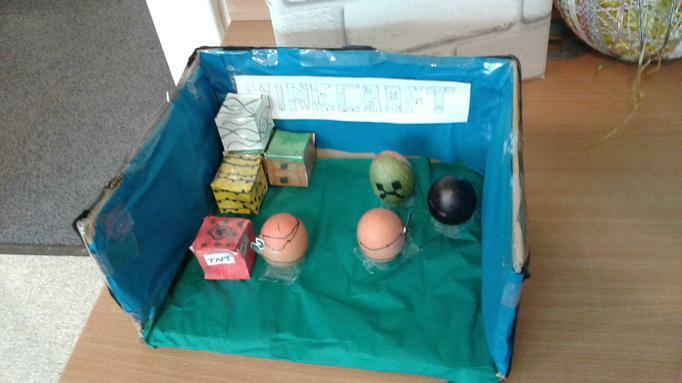 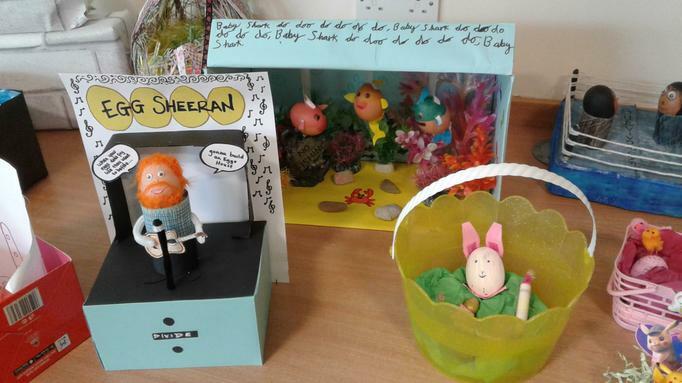 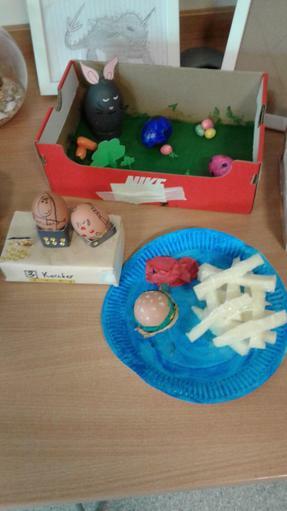 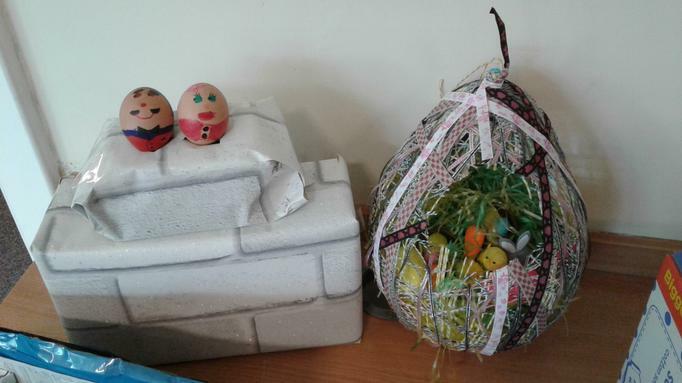 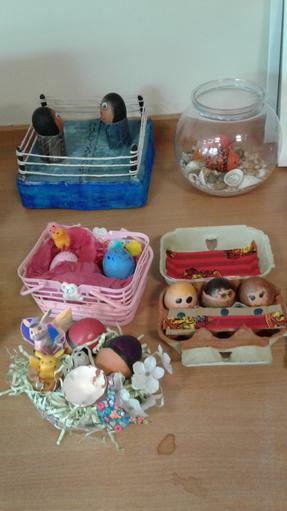 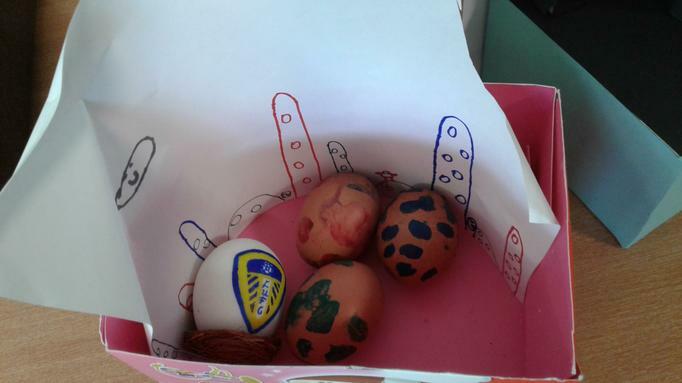 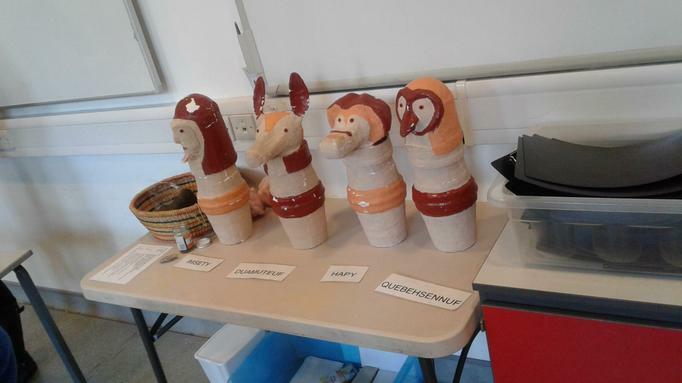 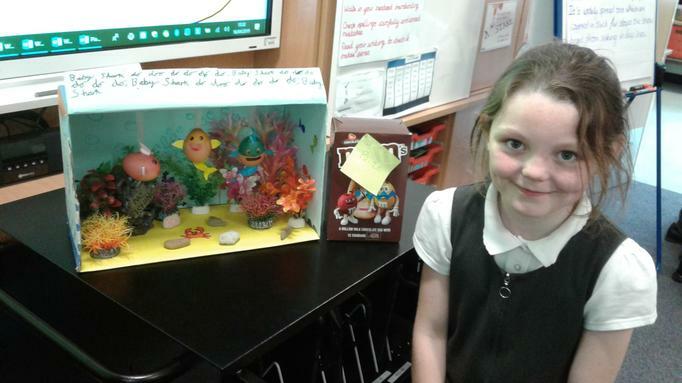 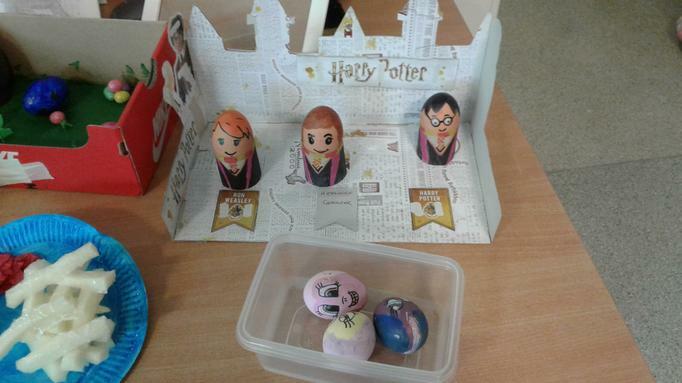 We made some amazing eggs for the Easter egg competition. 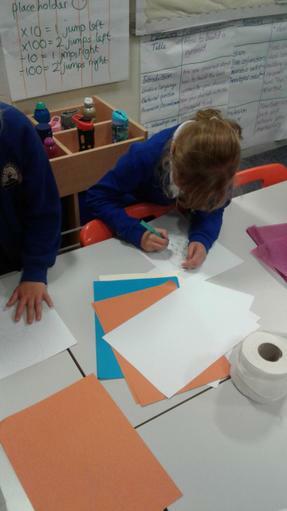 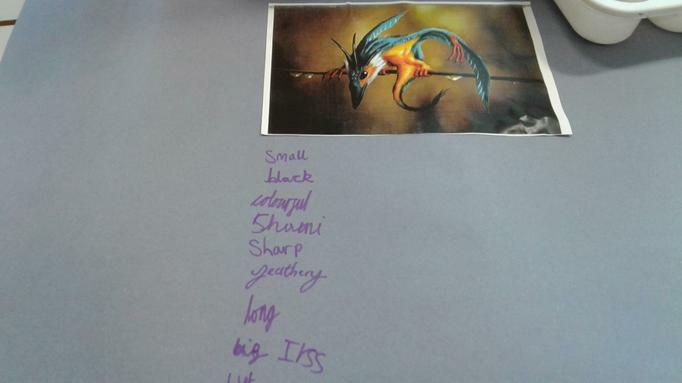 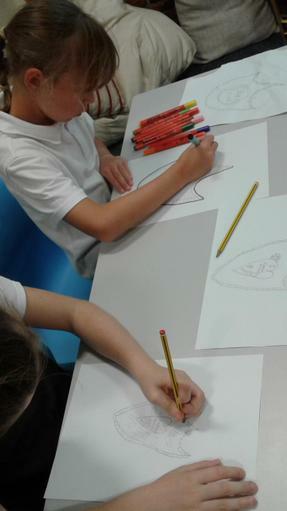 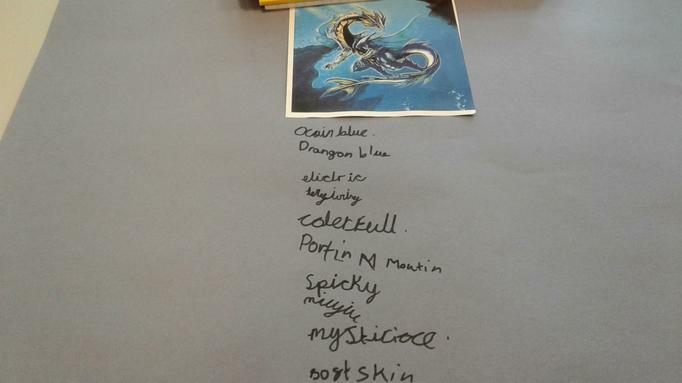 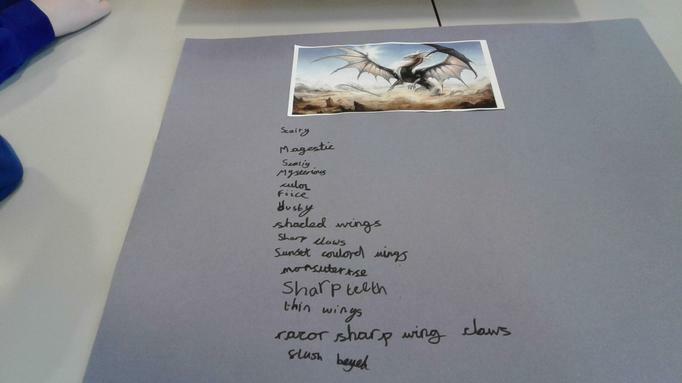 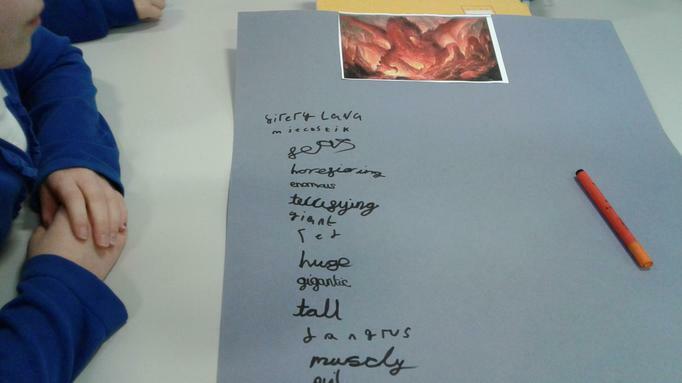 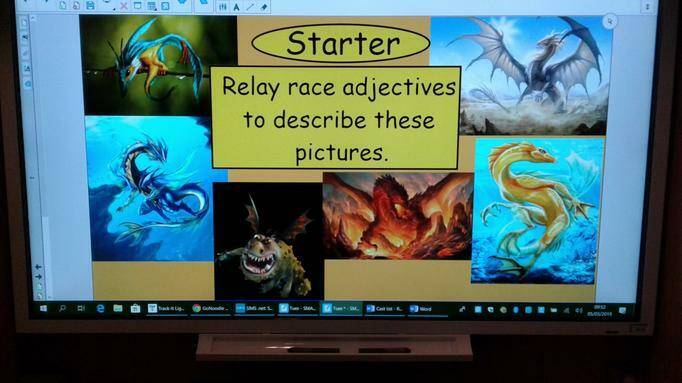 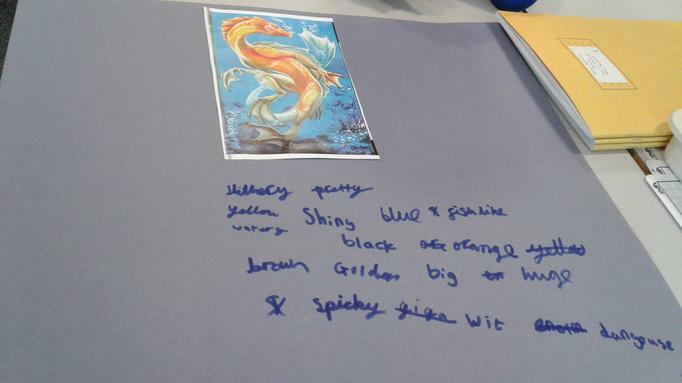 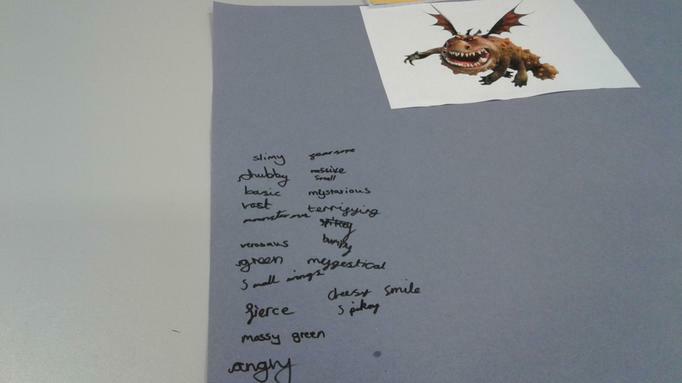 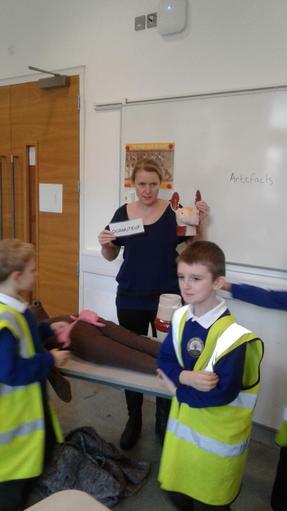 Coming up with adjectives to describe dragons. 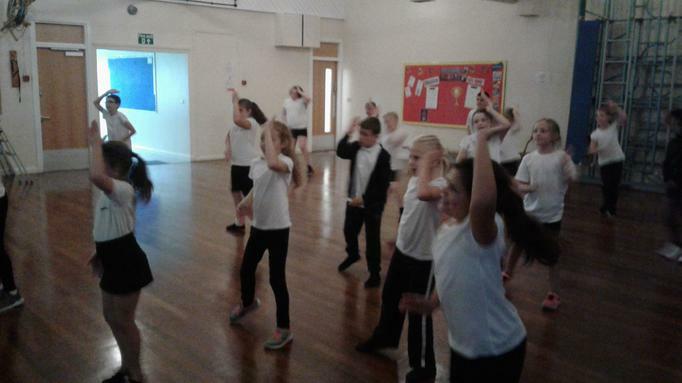 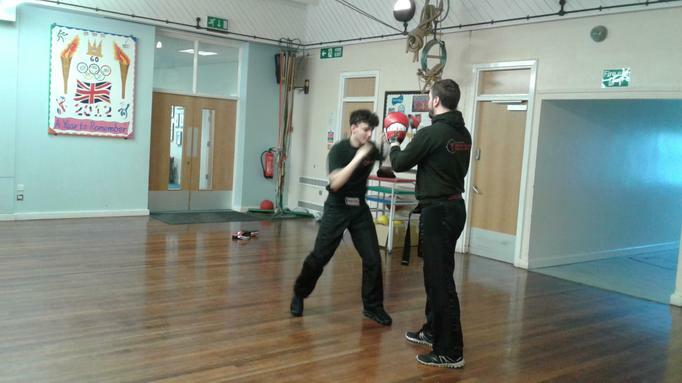 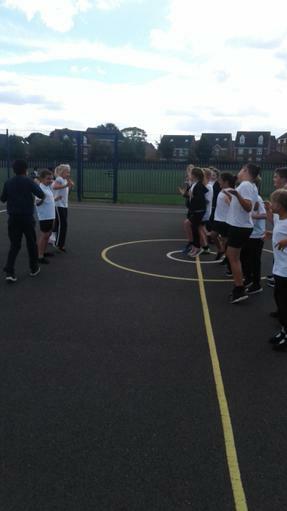 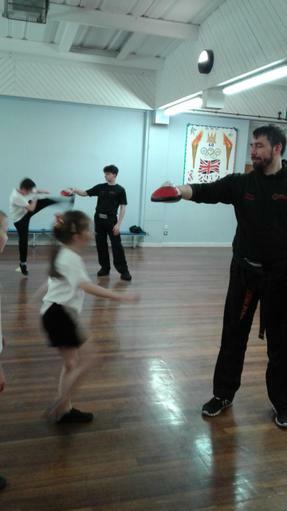 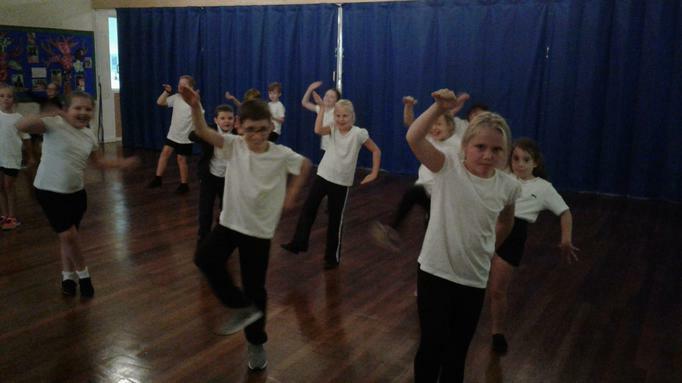 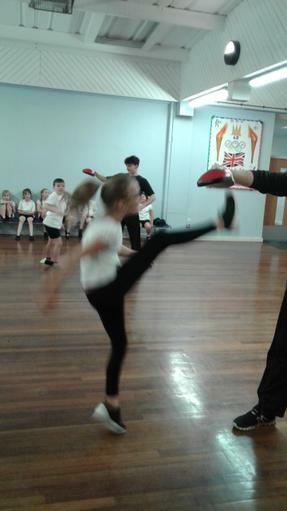 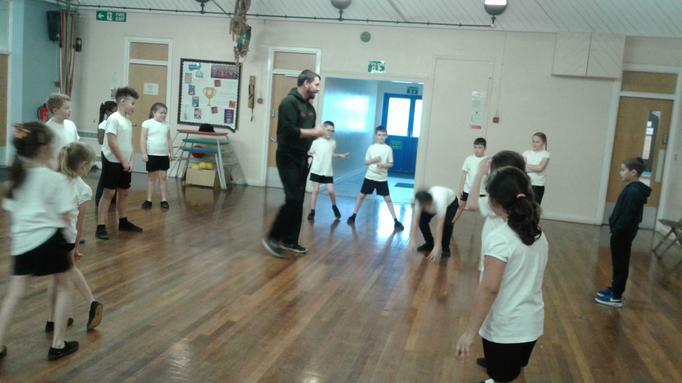 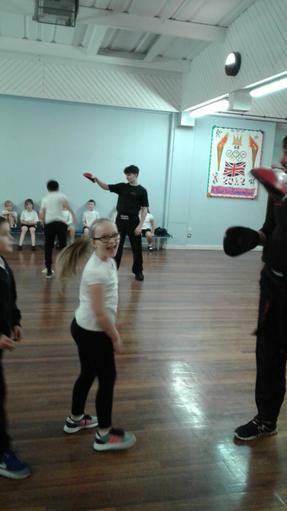 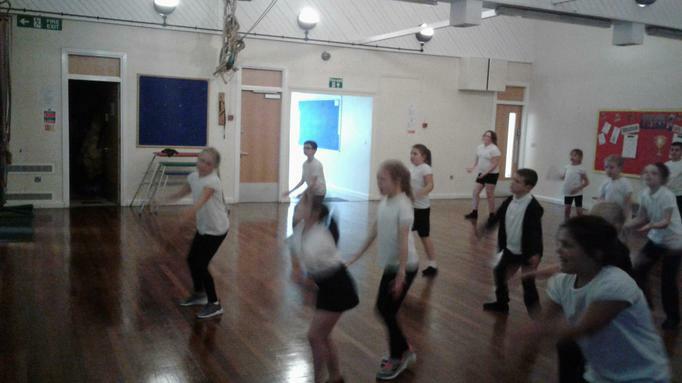 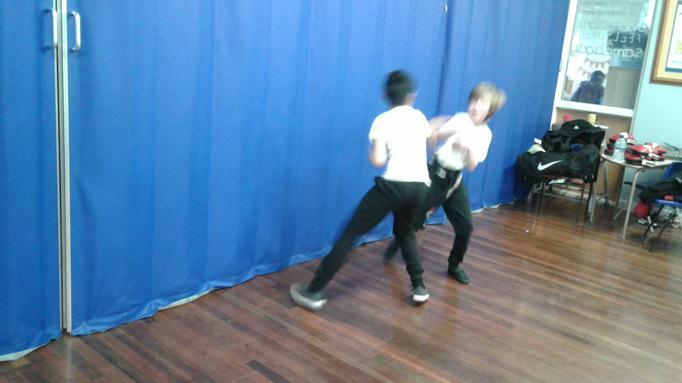 Having a fun taster session on kick boxing with Steve. 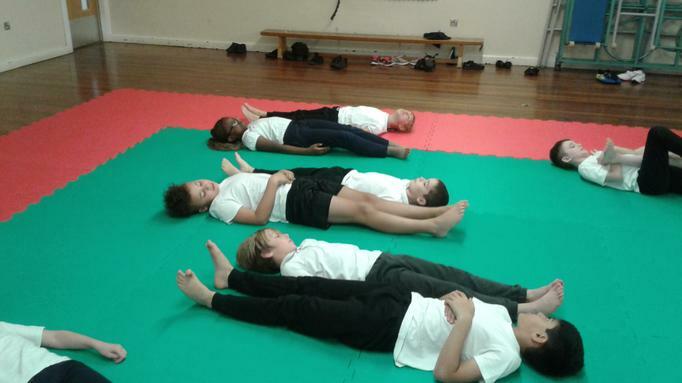 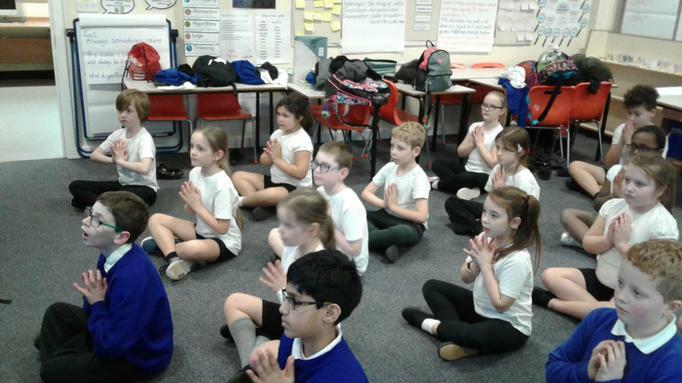 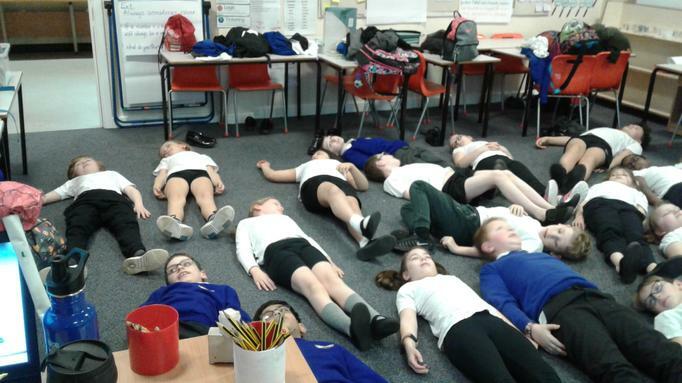 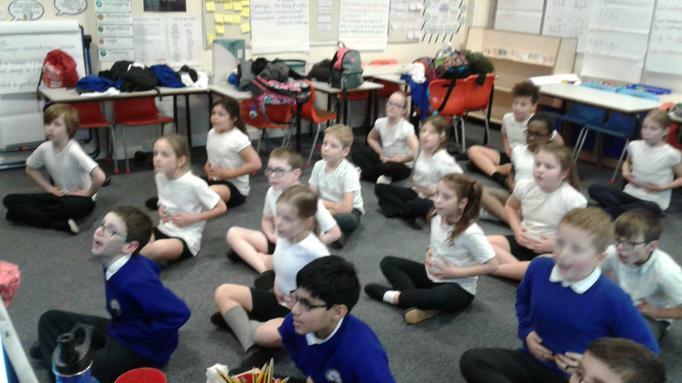 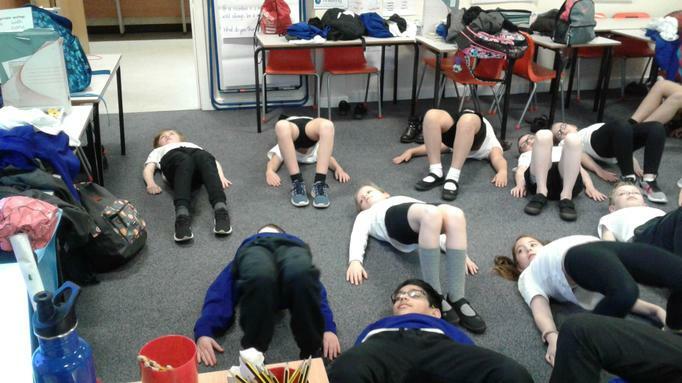 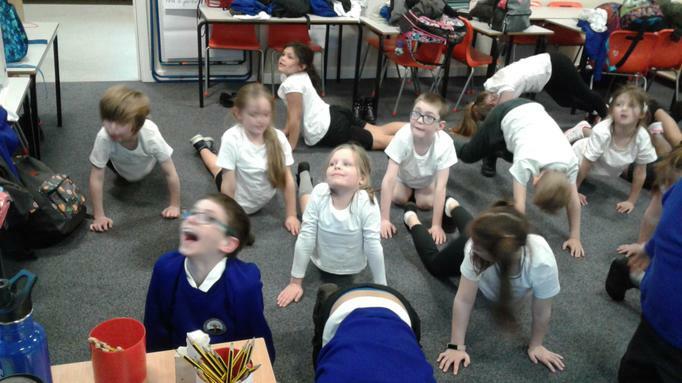 Trying our hand at yoga. 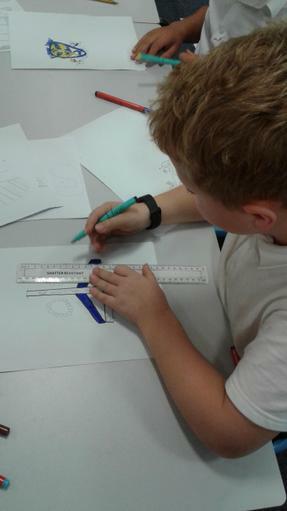 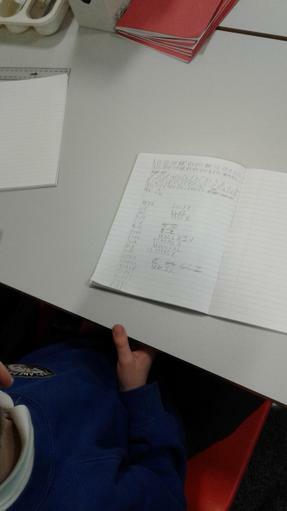 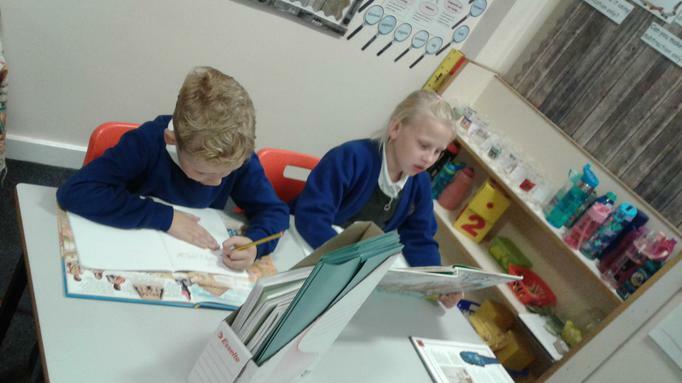 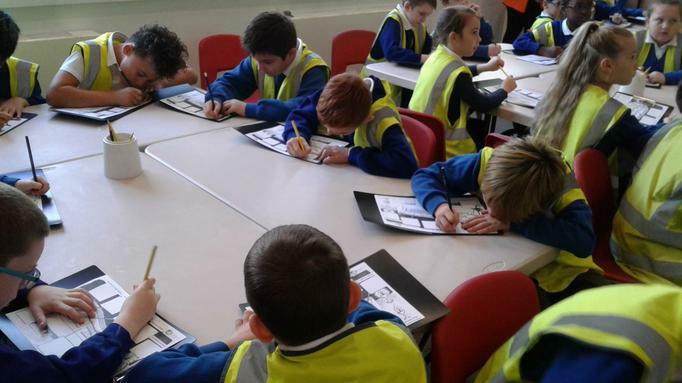 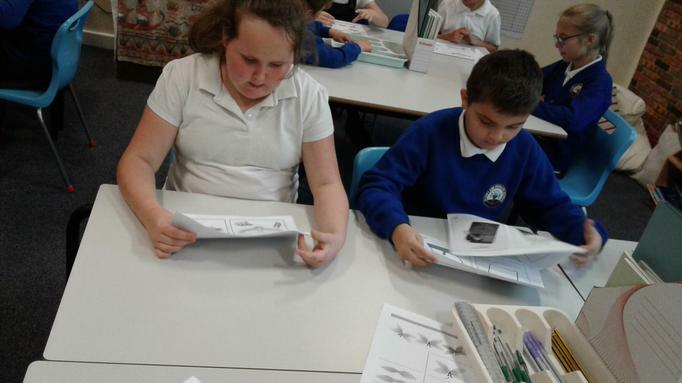 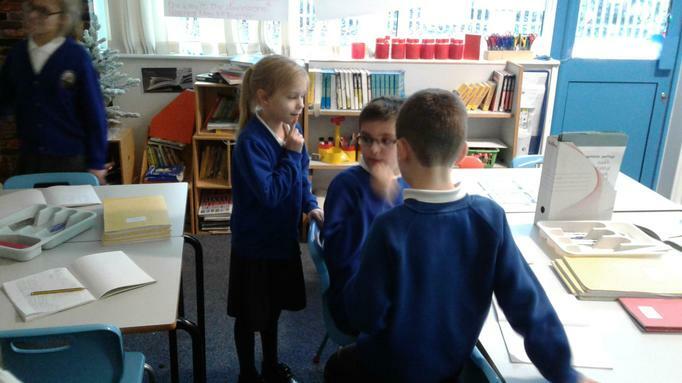 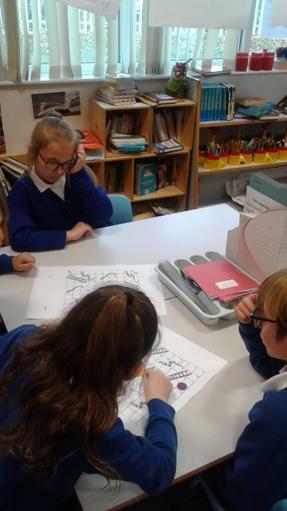 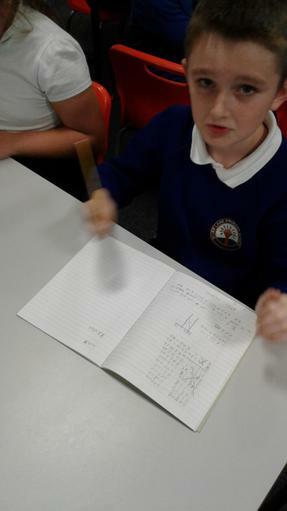 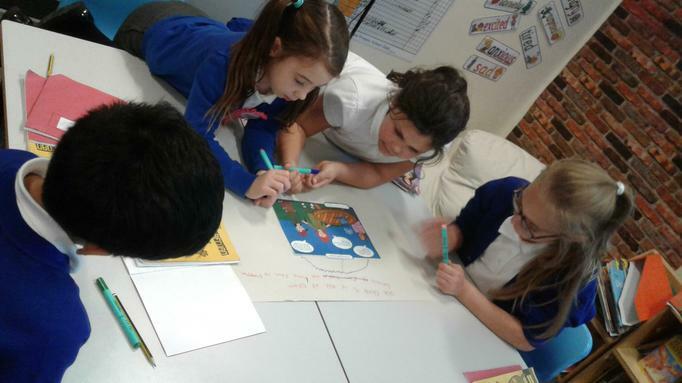 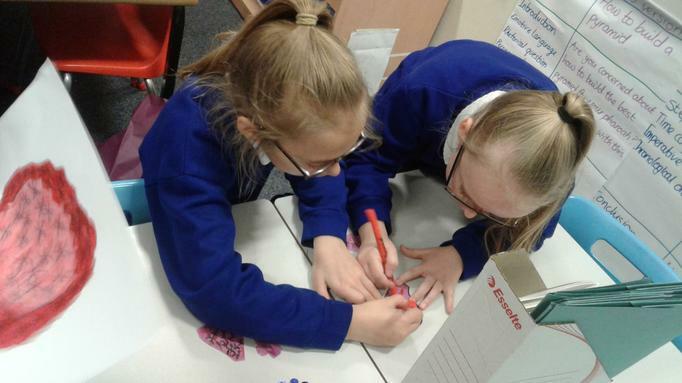 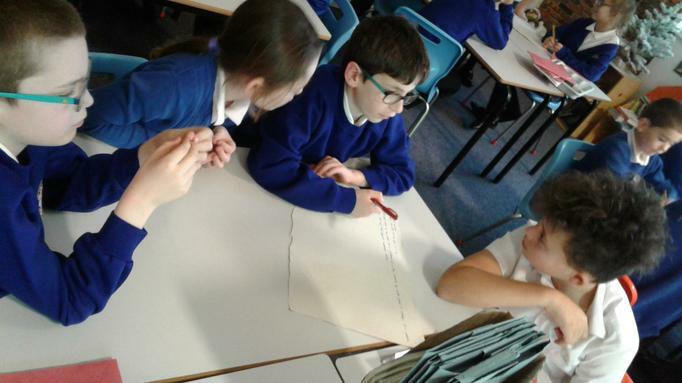 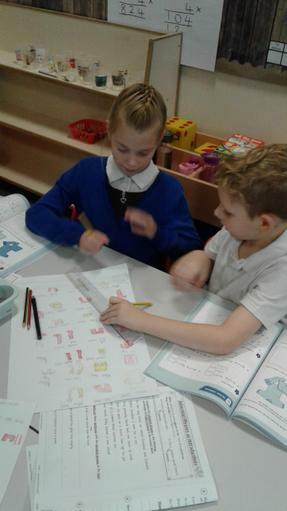 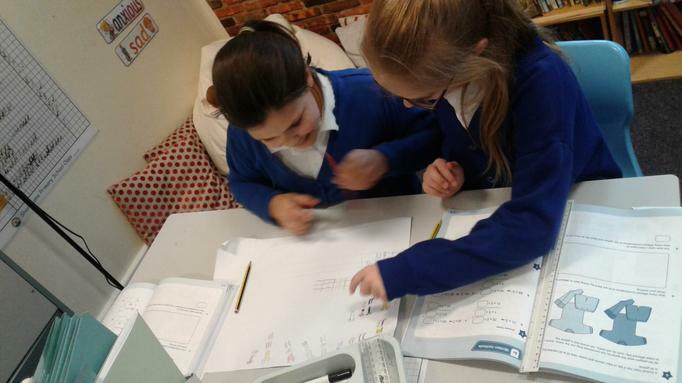 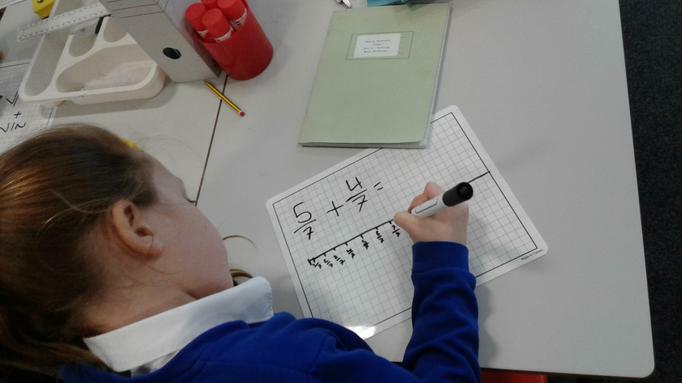 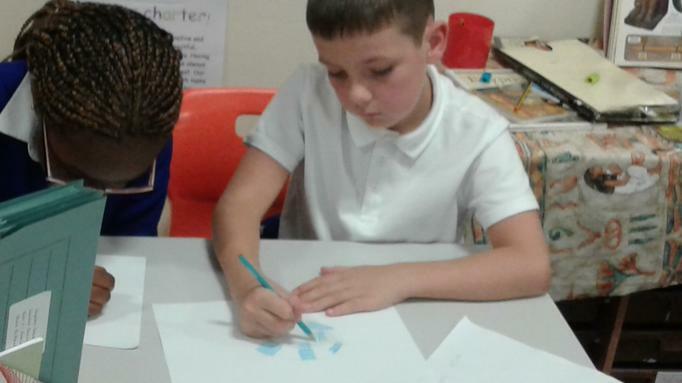 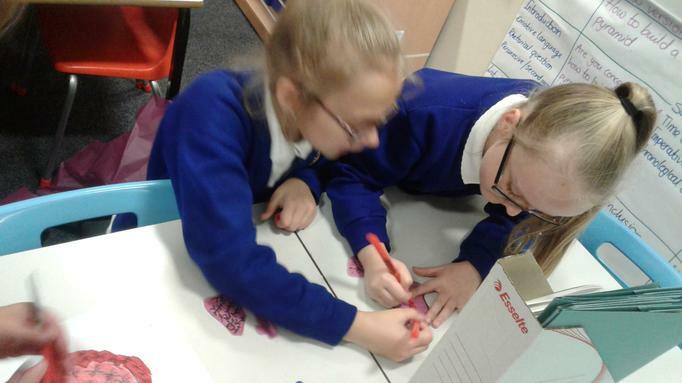 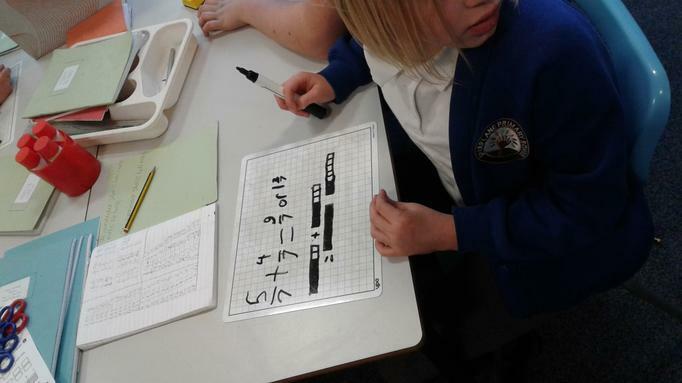 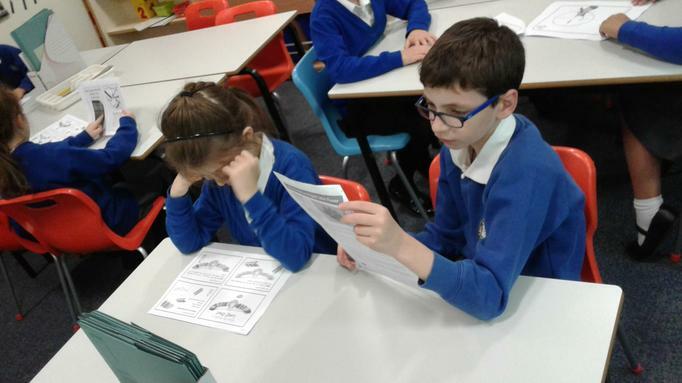 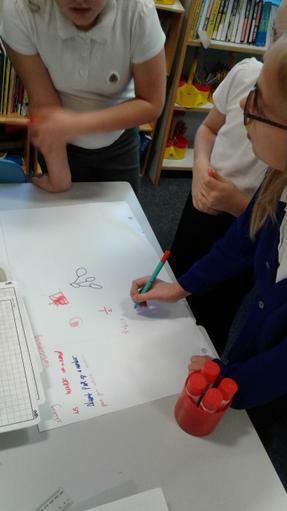 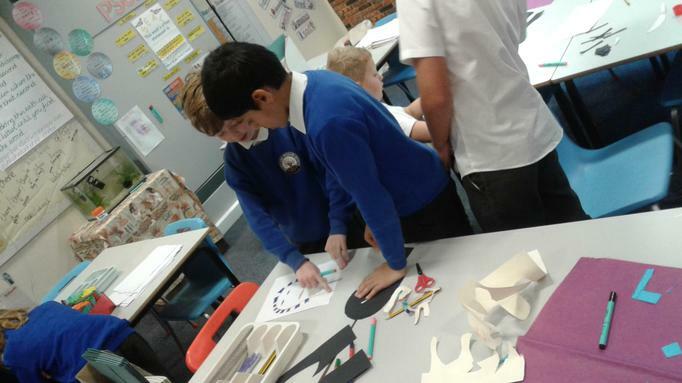 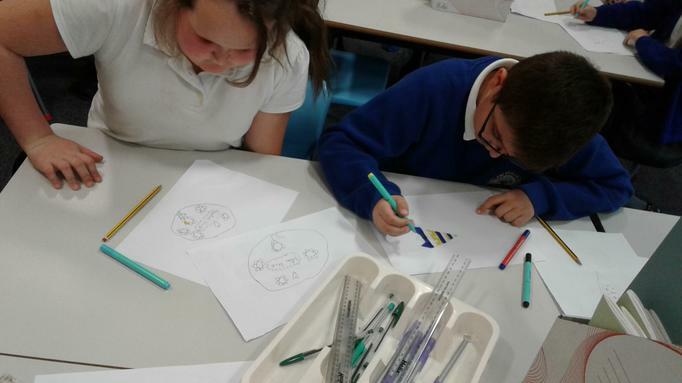 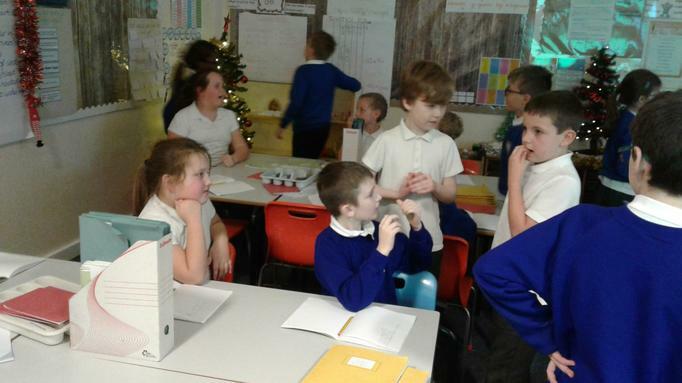 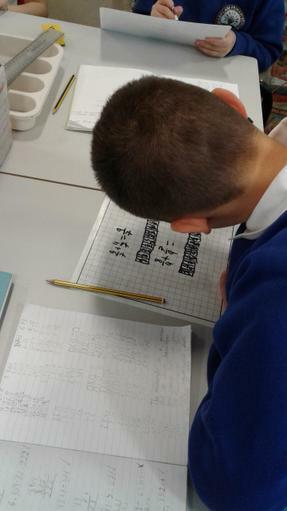 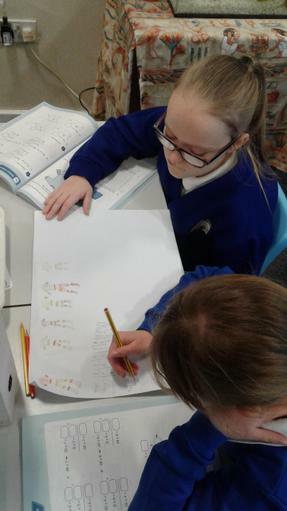 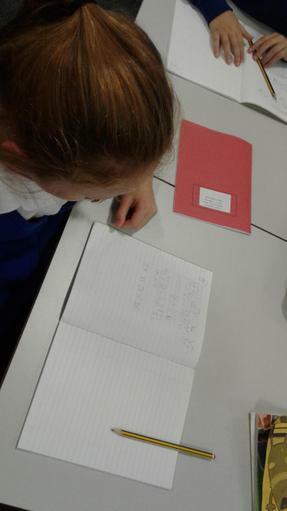 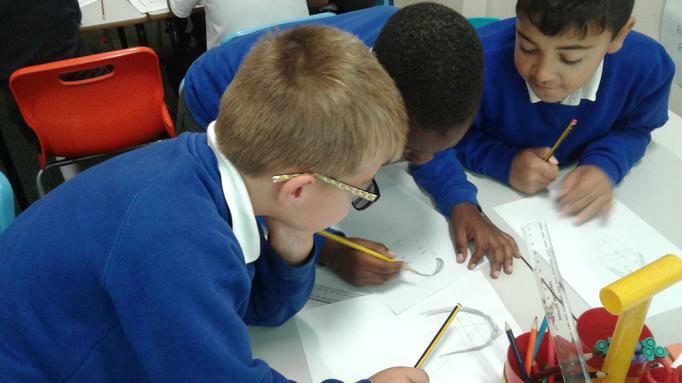 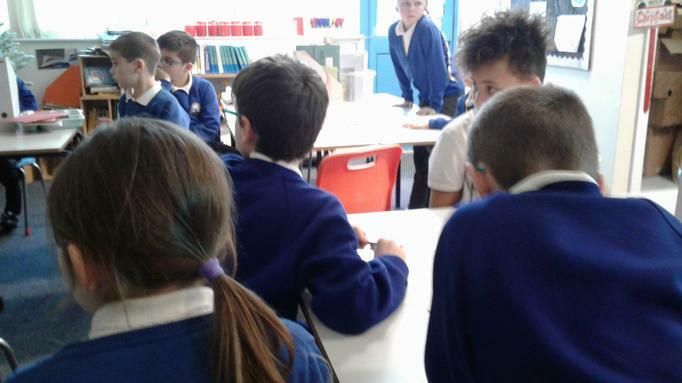 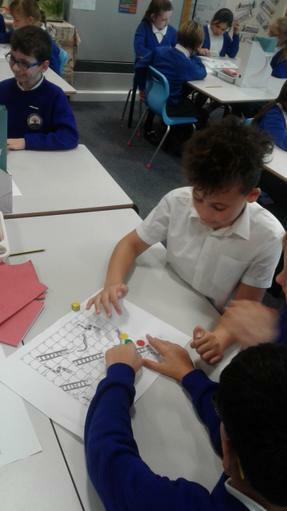 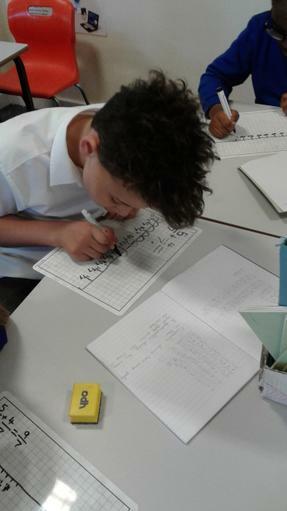 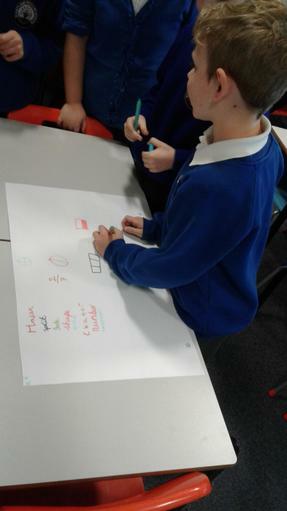 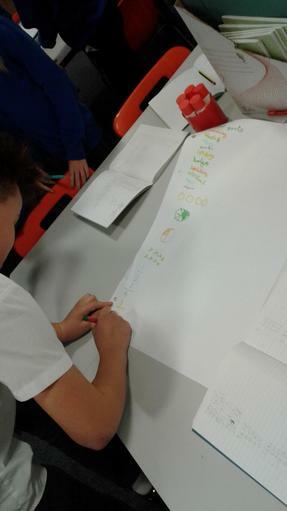 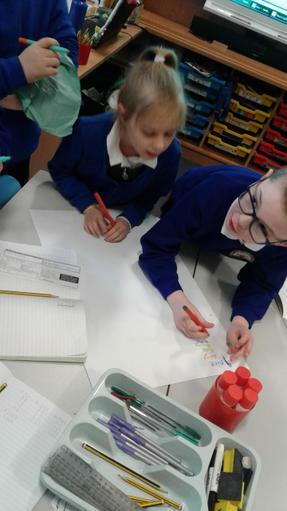 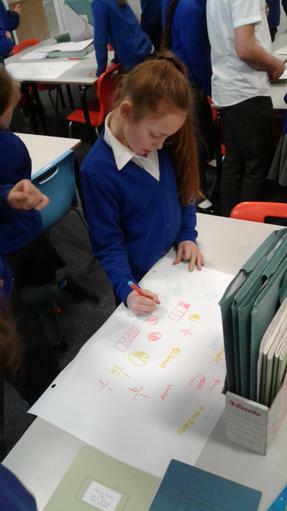 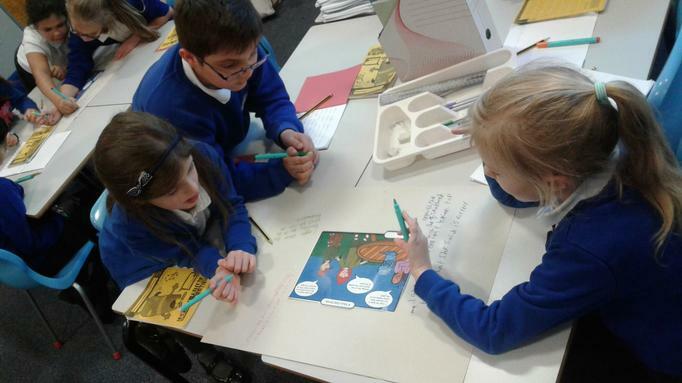 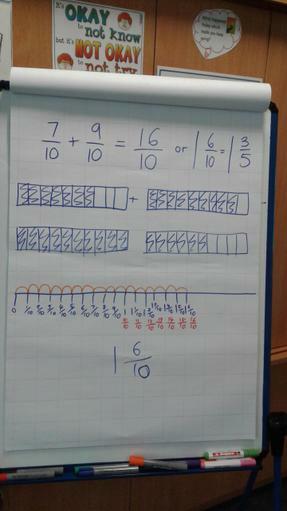 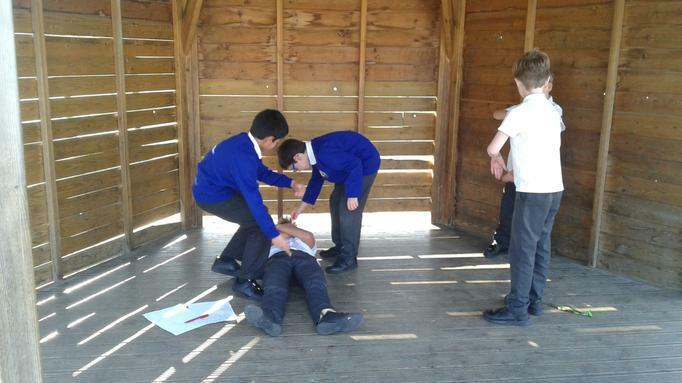 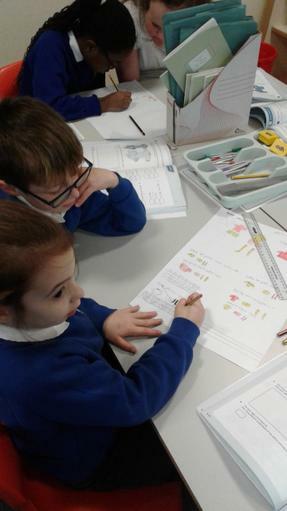 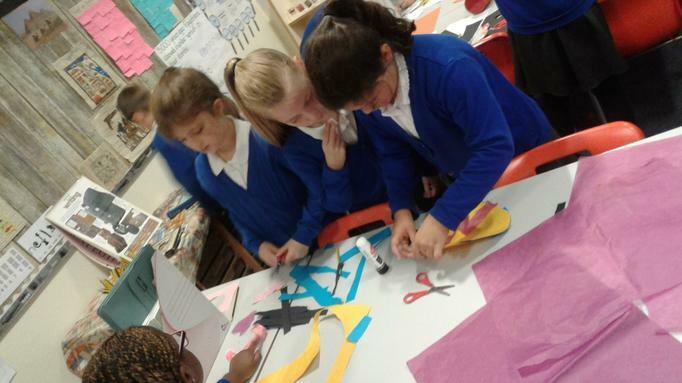 Solving maths problems with our partners. 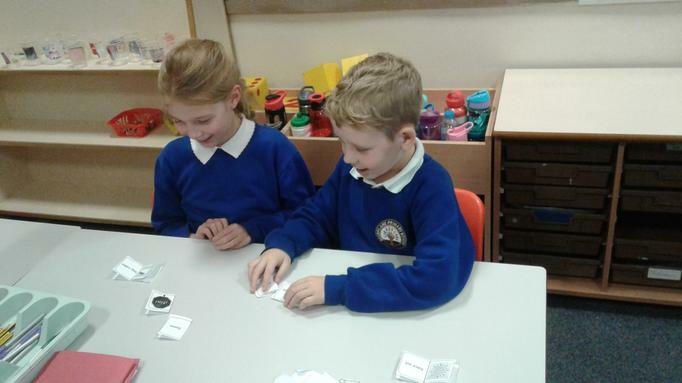 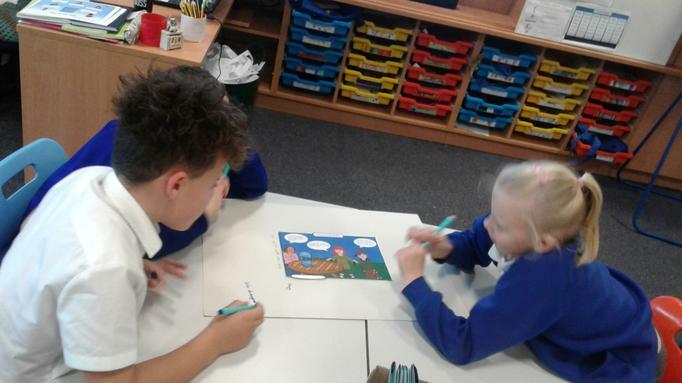 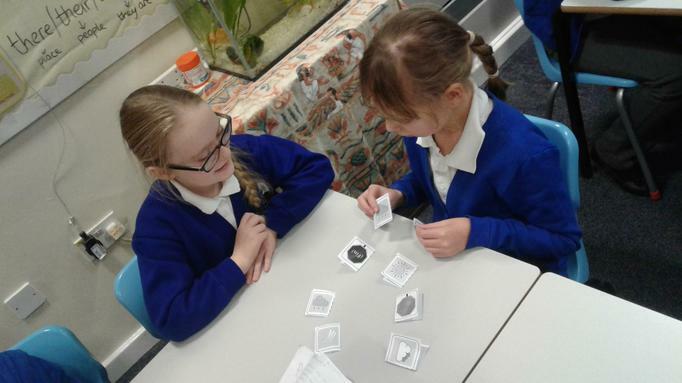 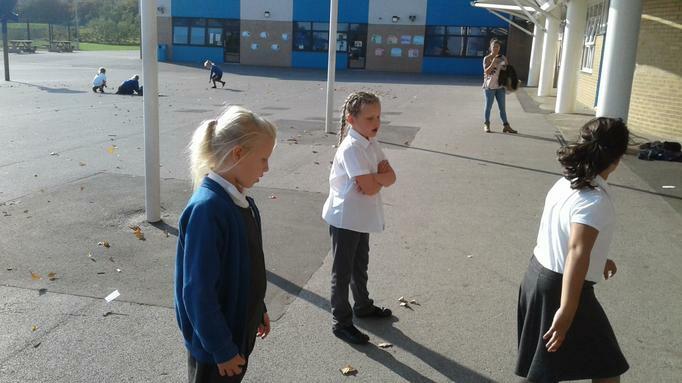 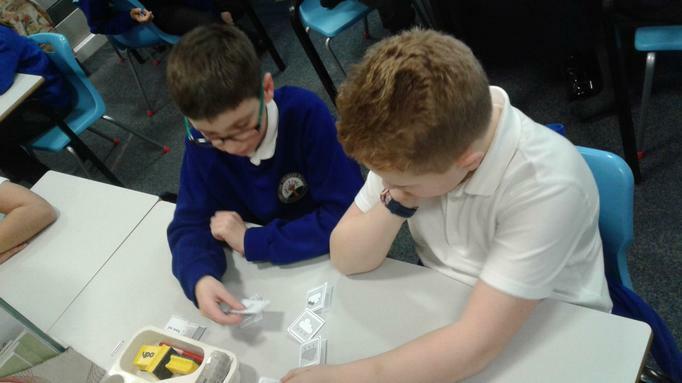 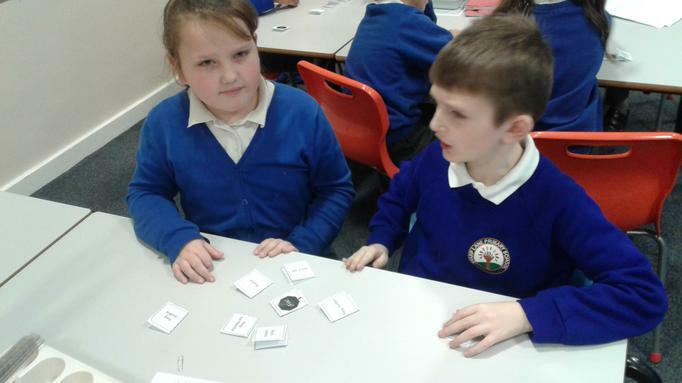 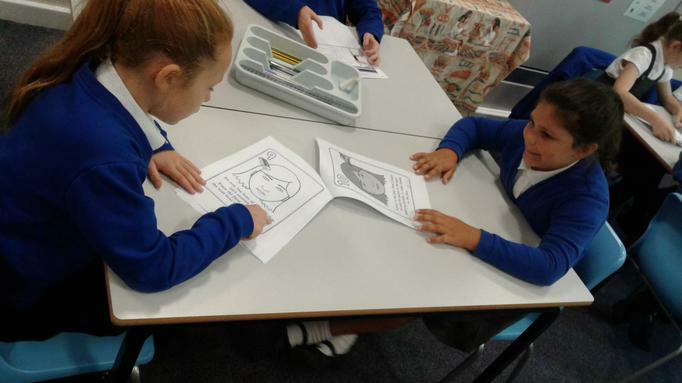 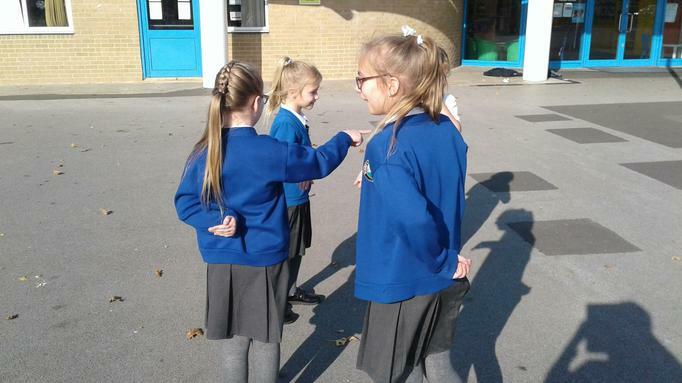 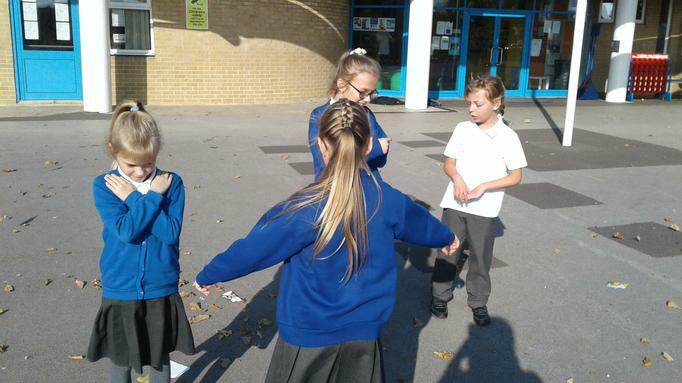 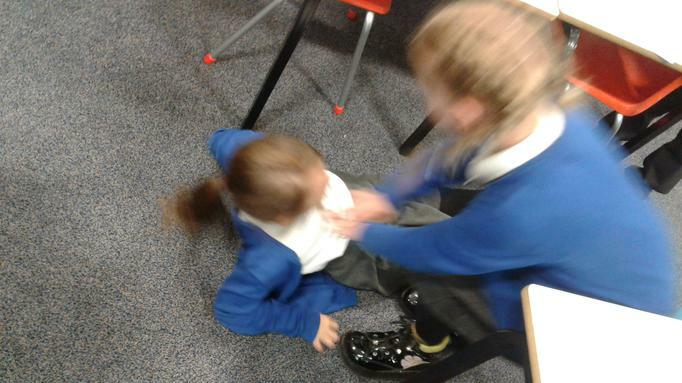 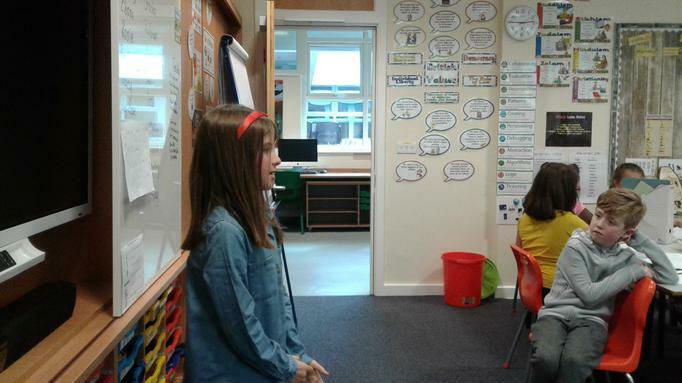 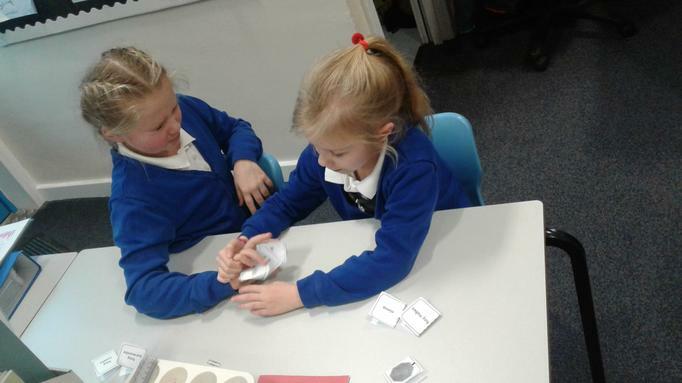 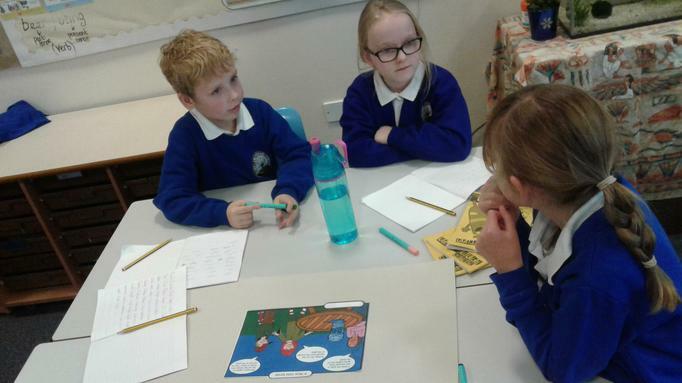 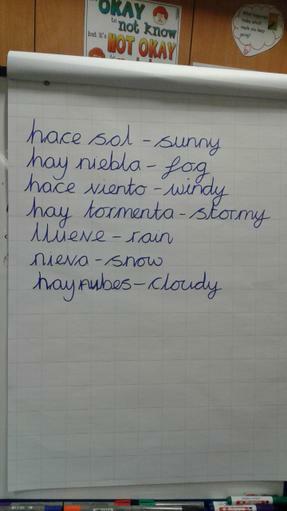 We played pairs to help us learn the weather in Spanish. 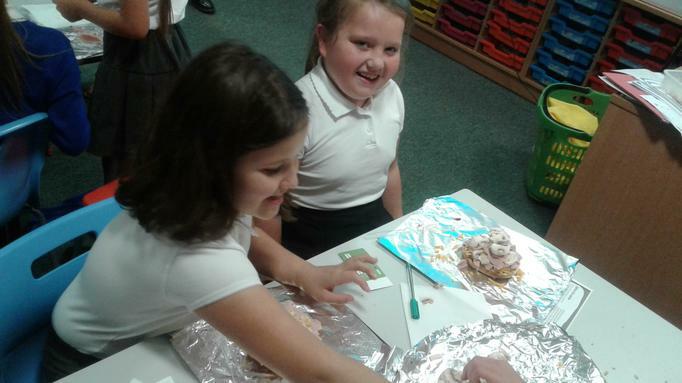 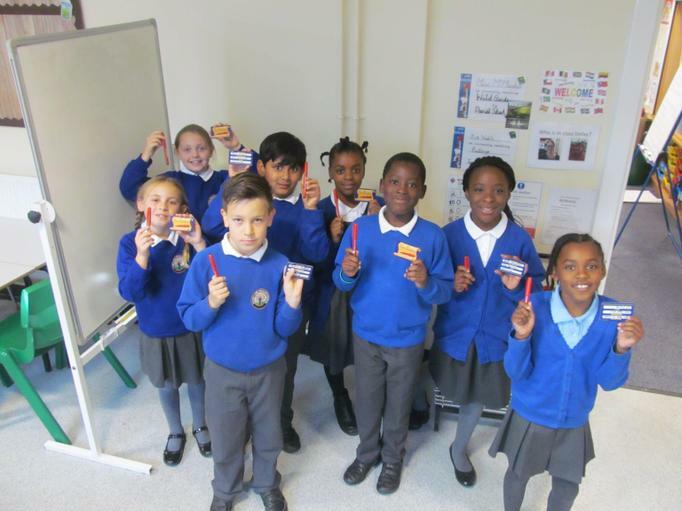 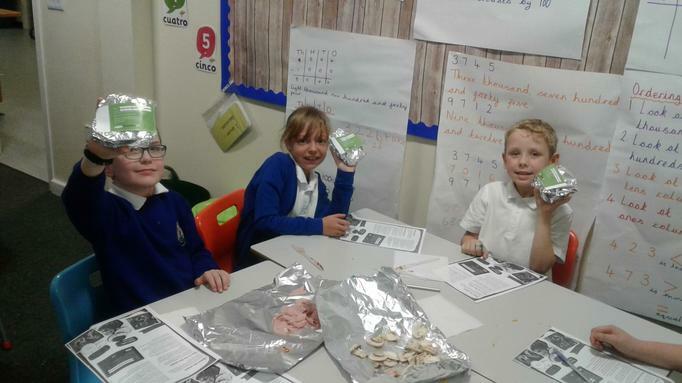 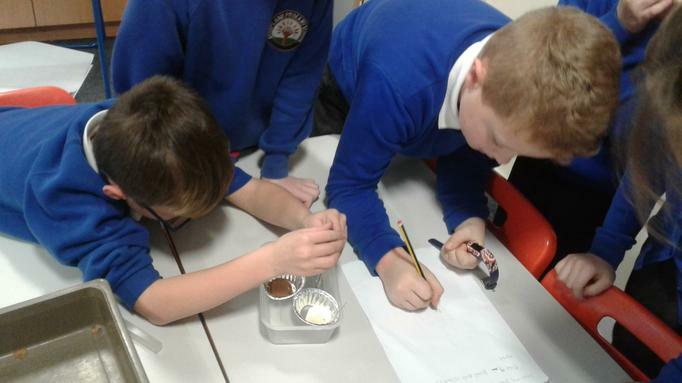 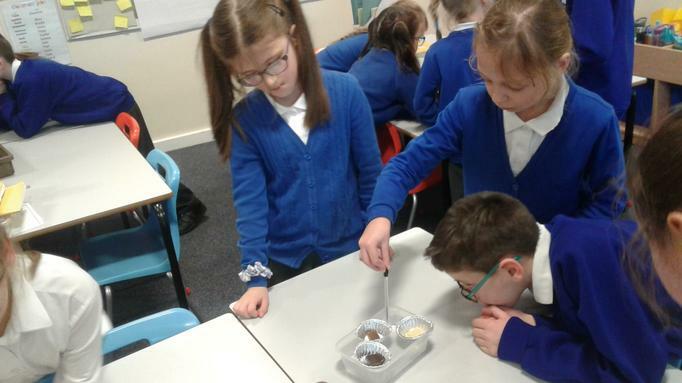 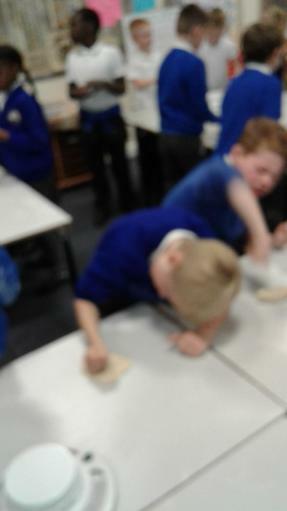 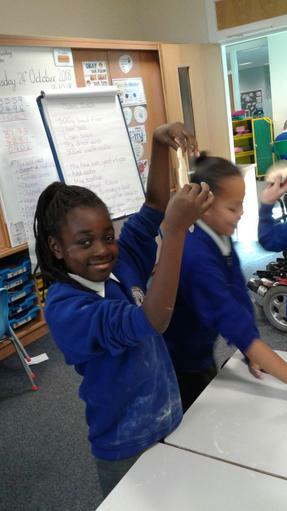 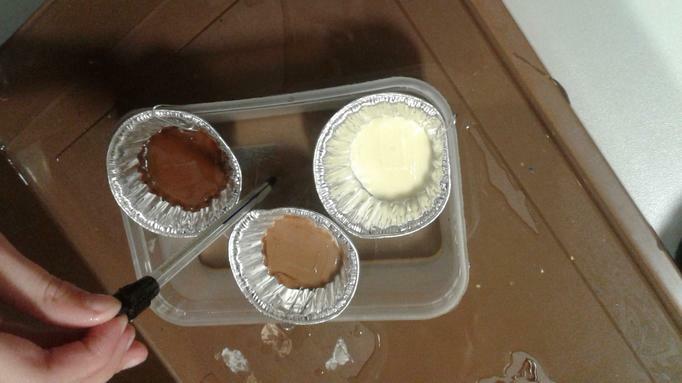 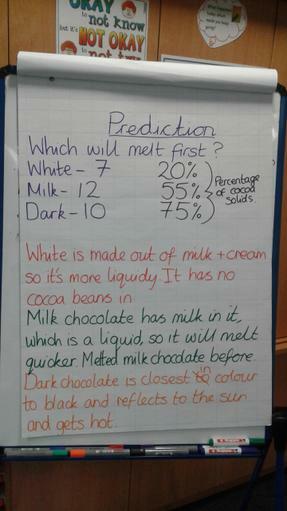 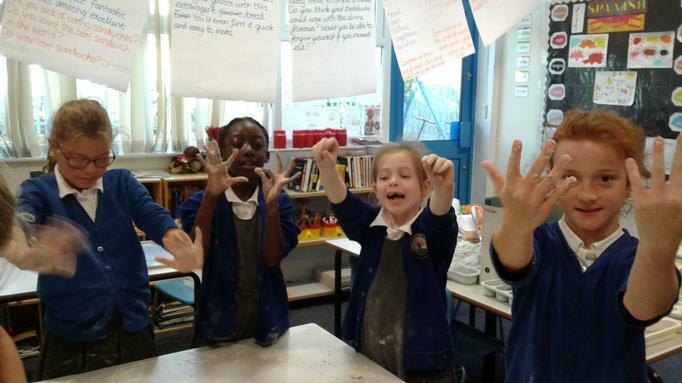 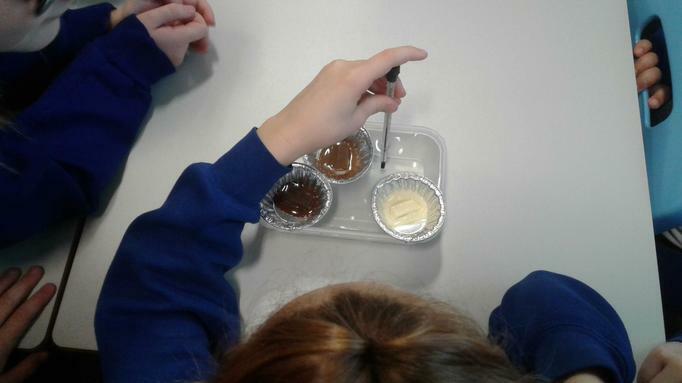 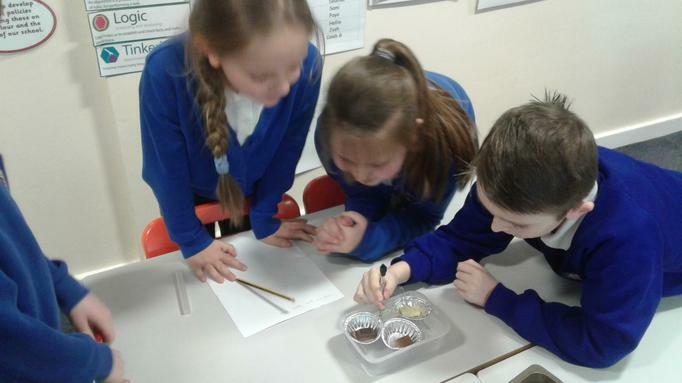 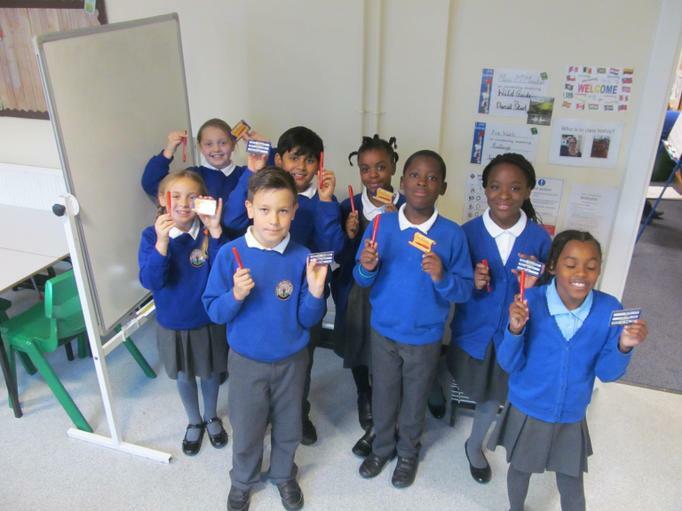 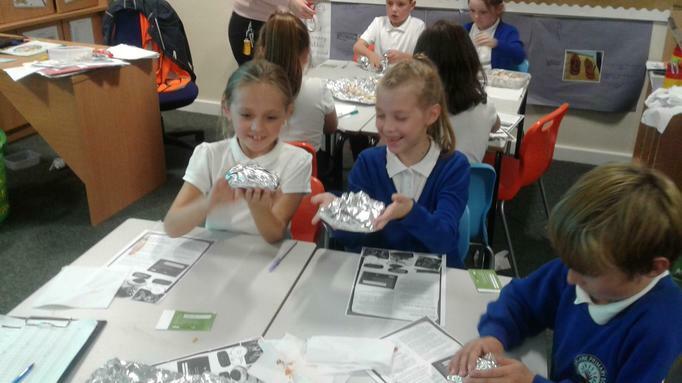 We did an experiment to see which type of chocolate melts quickest. 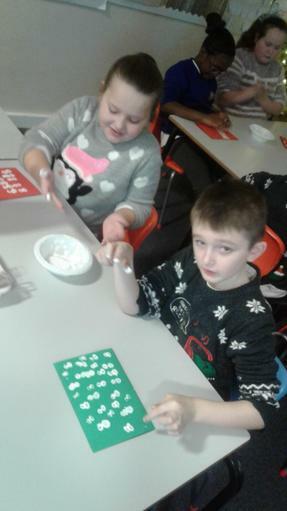 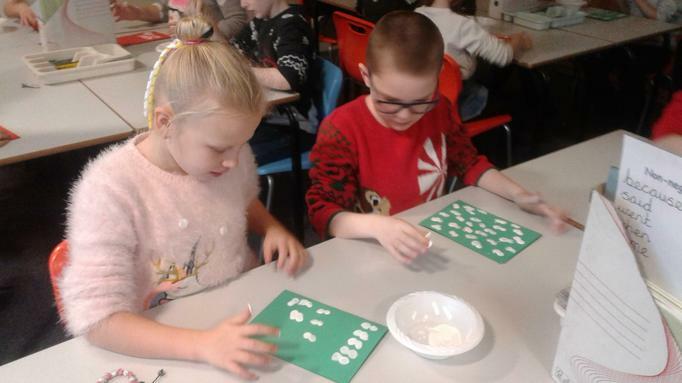 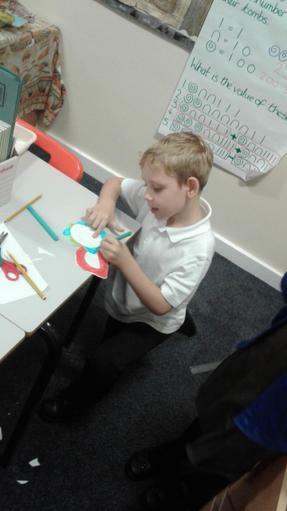 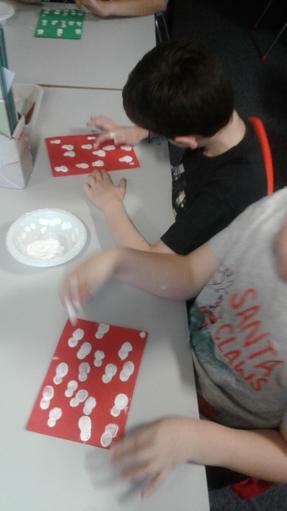 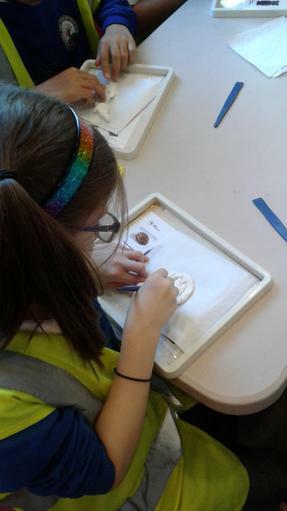 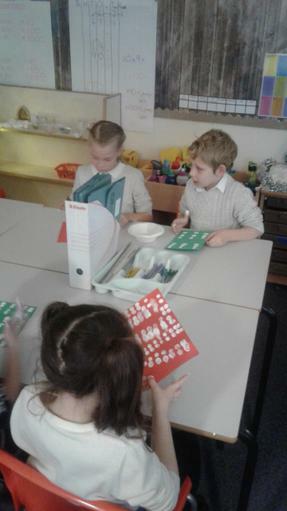 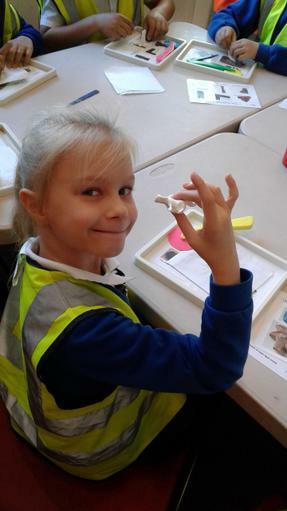 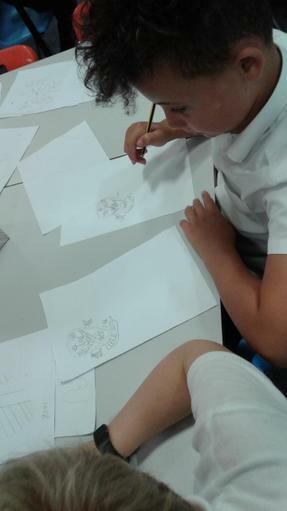 We made fingerprint, snowman cards. 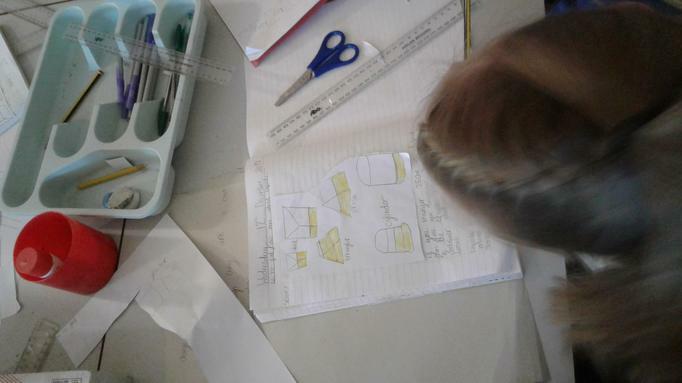 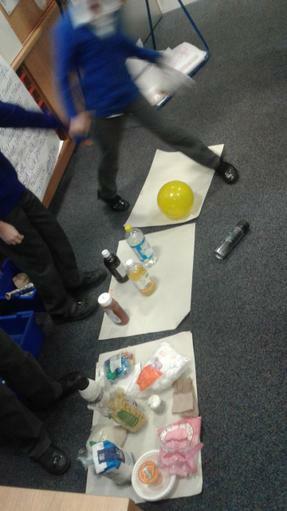 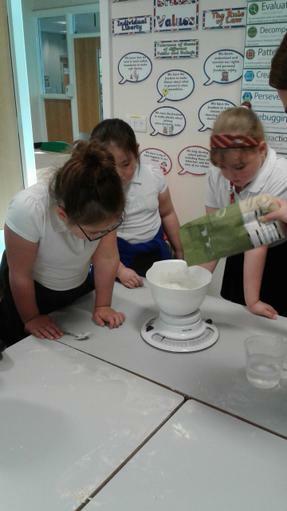 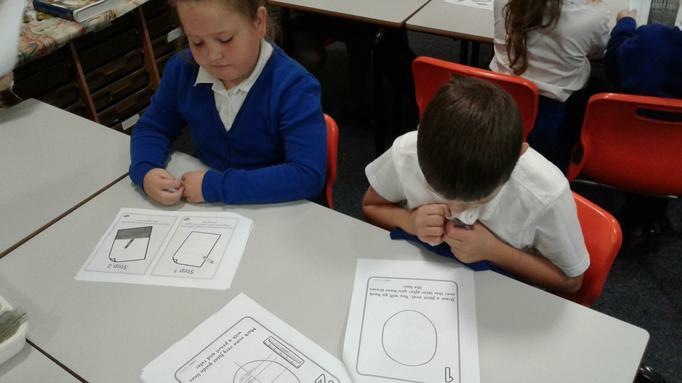 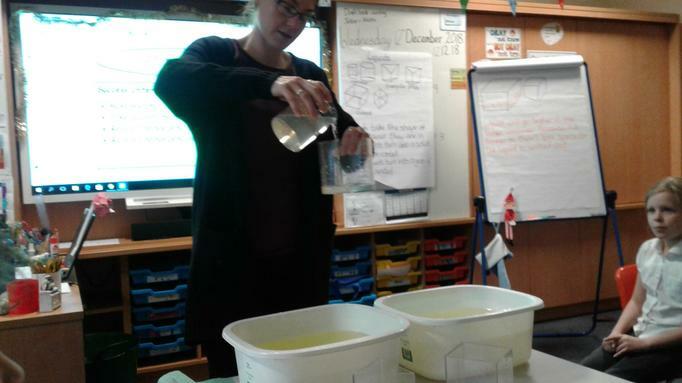 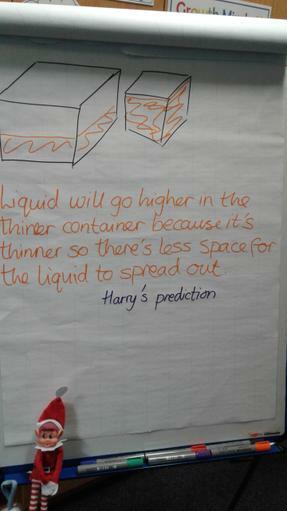 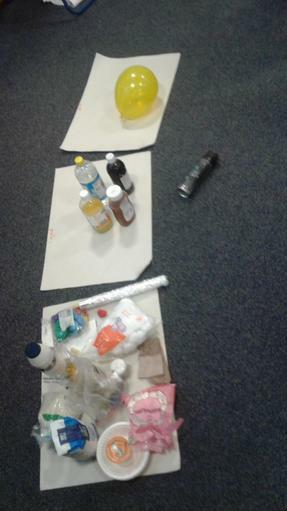 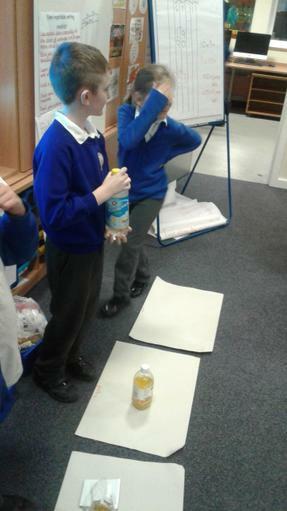 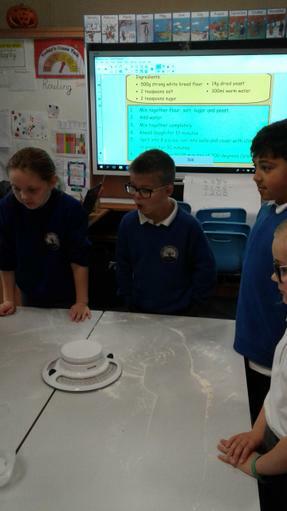 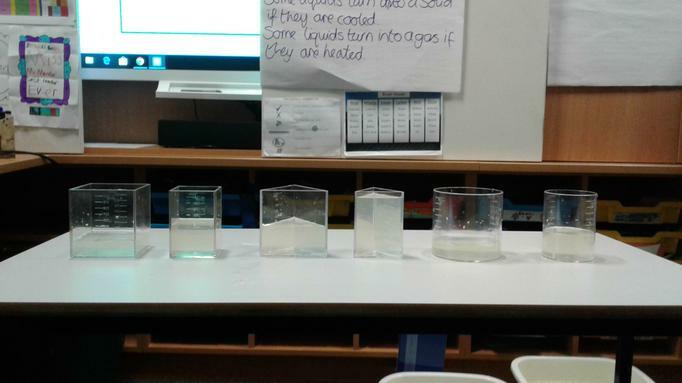 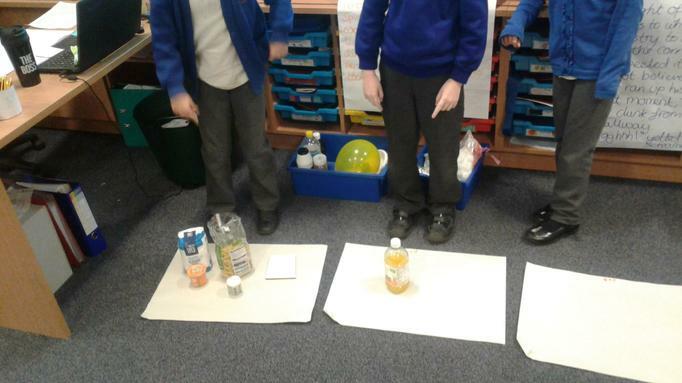 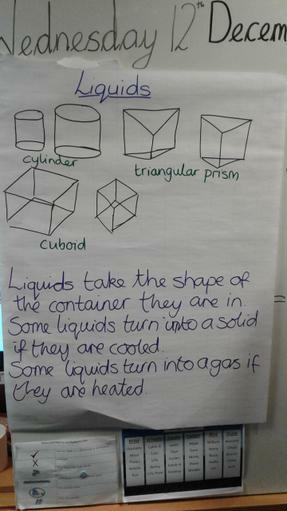 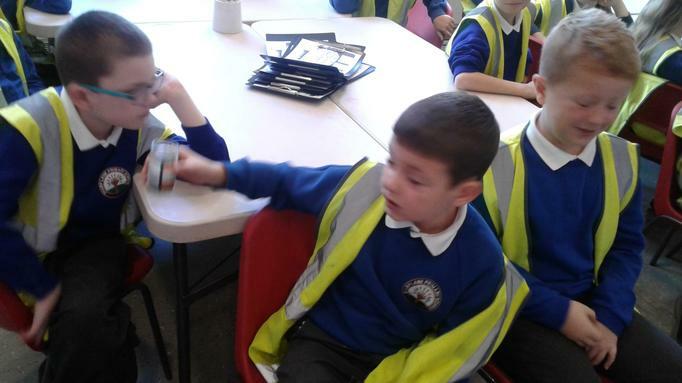 Discussing whether items are solids, liquids or gases. 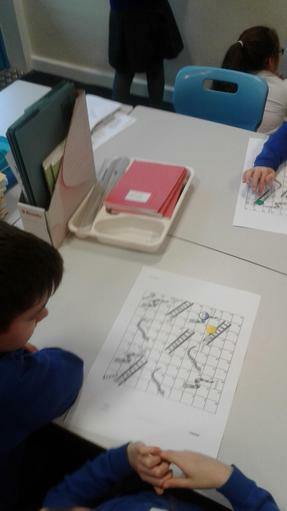 Our text map to help us learn our finding tale. 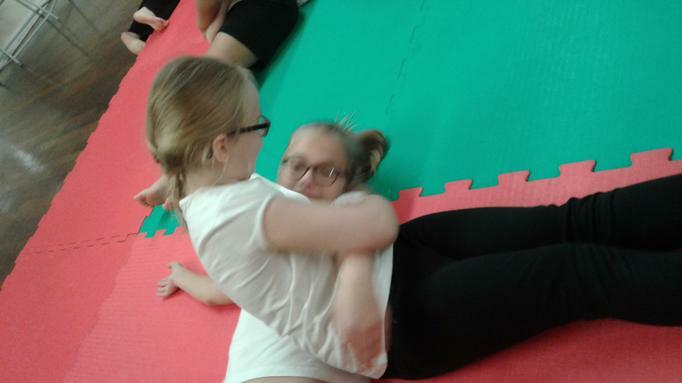 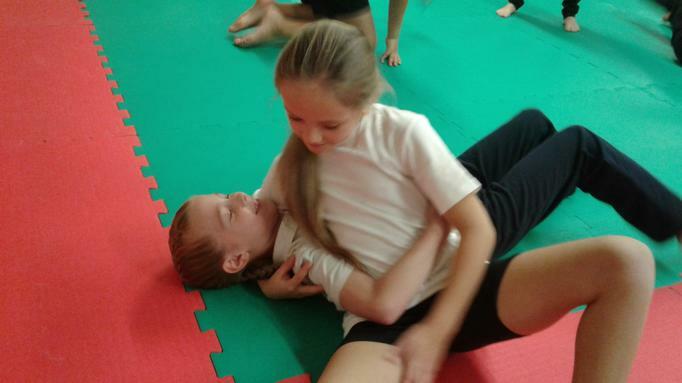 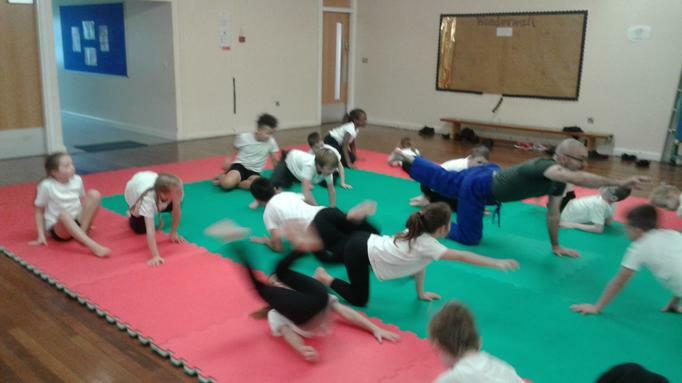 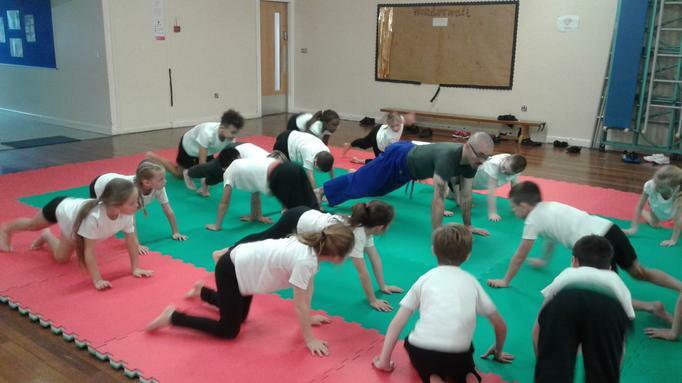 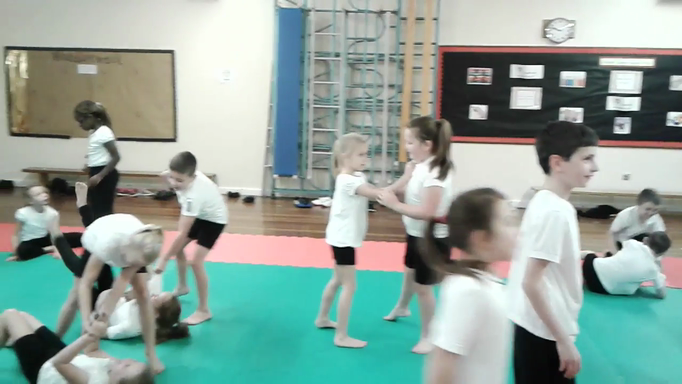 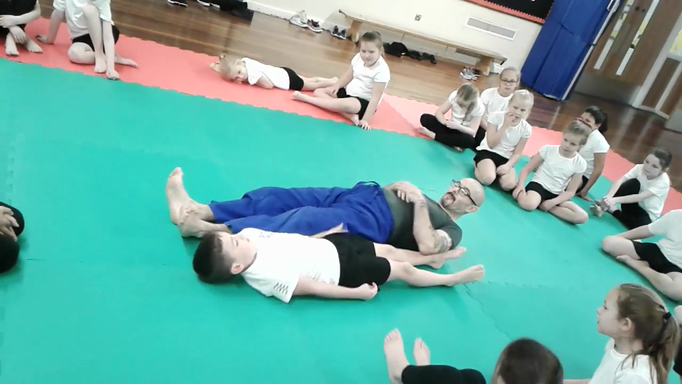 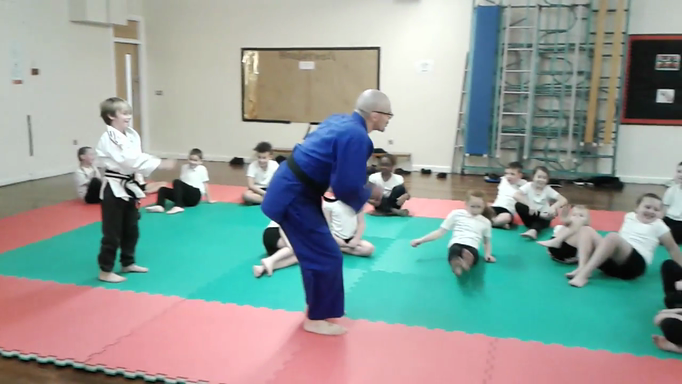 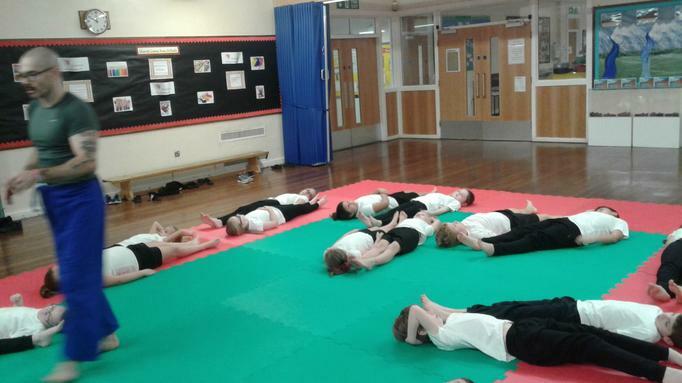 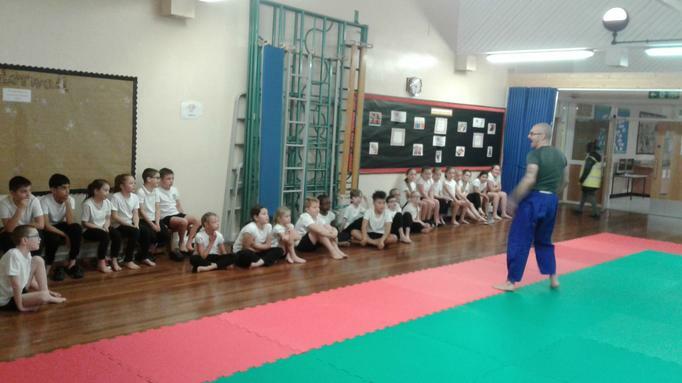 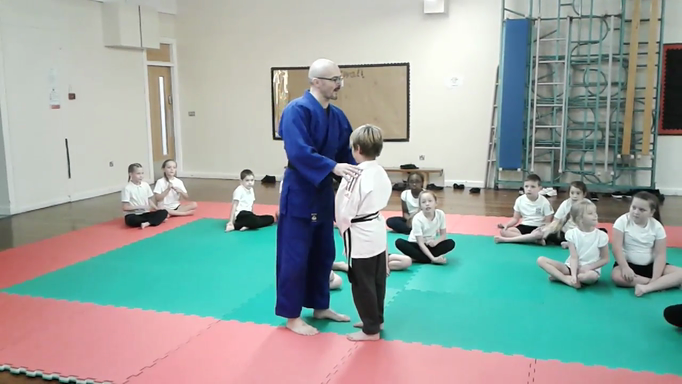 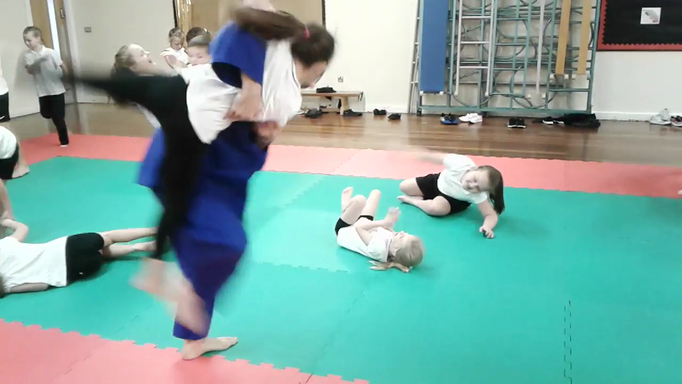 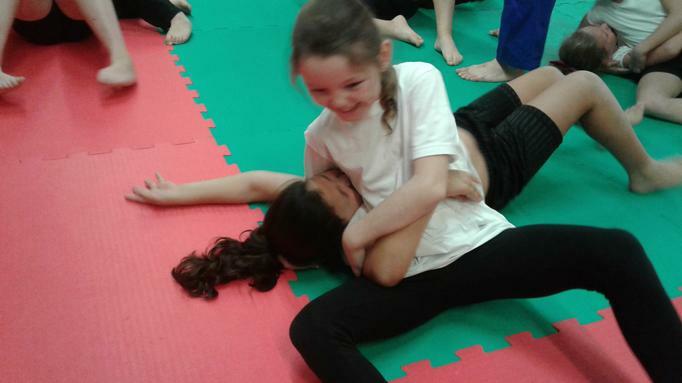 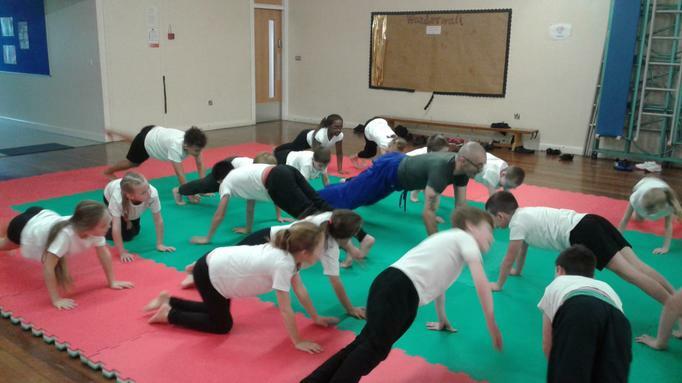 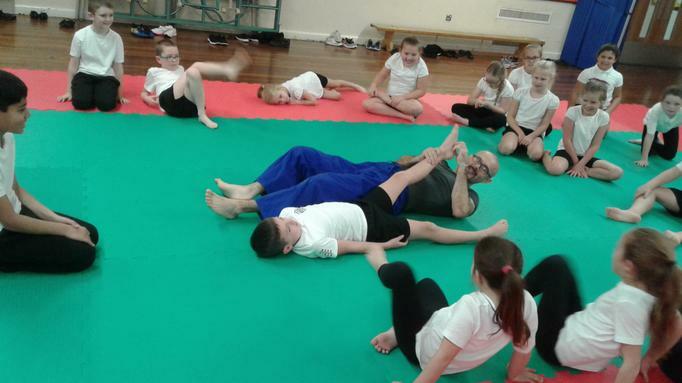 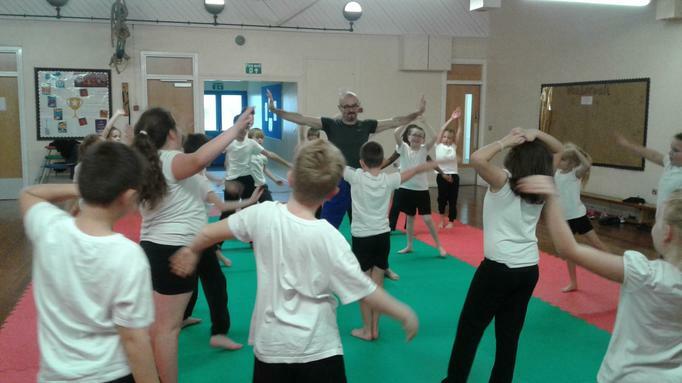 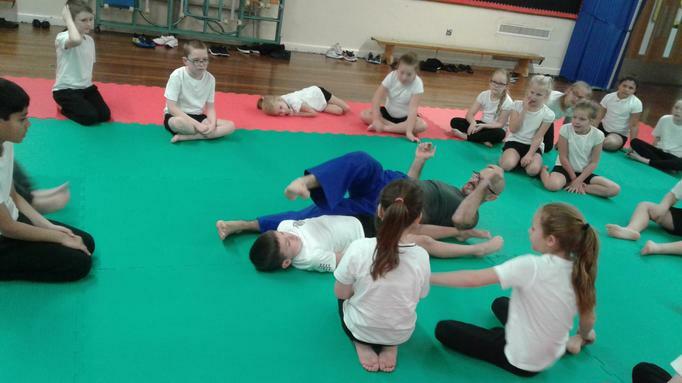 Judo with Gareth was so much fun. 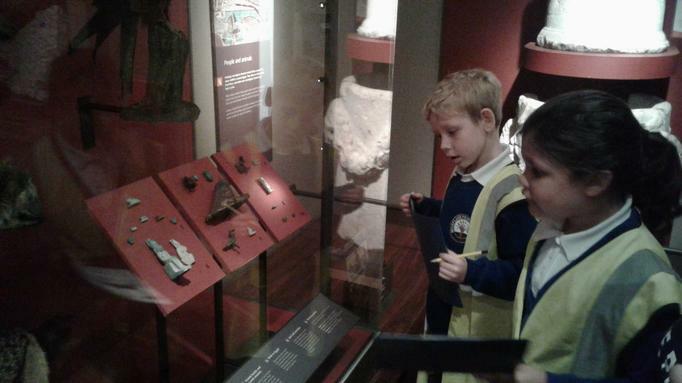 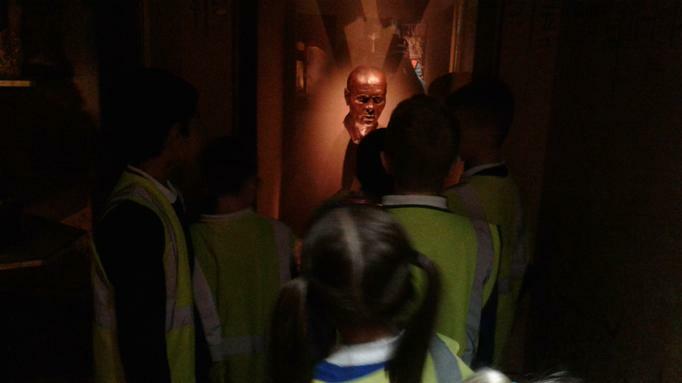 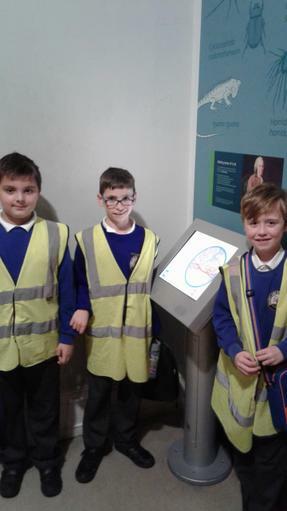 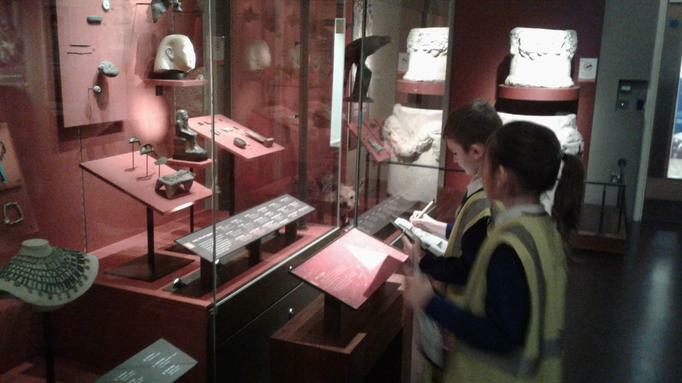 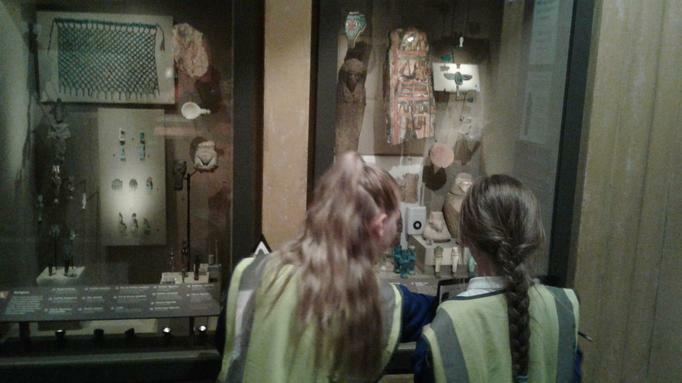 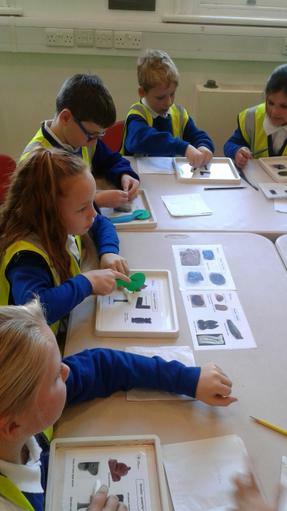 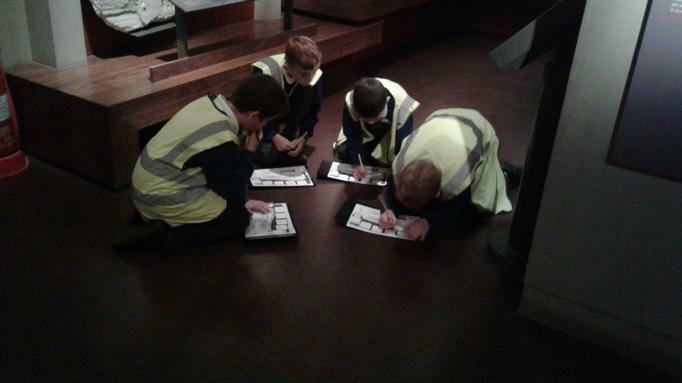 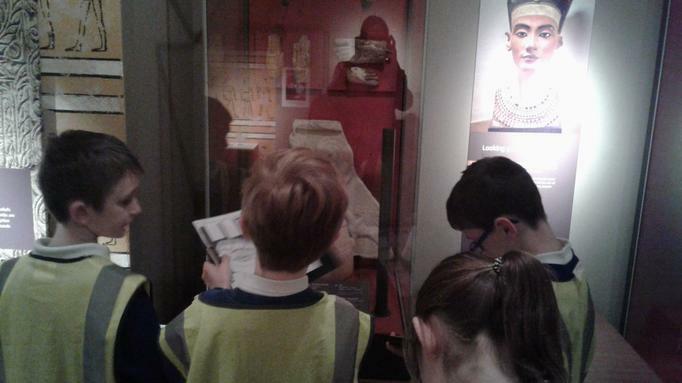 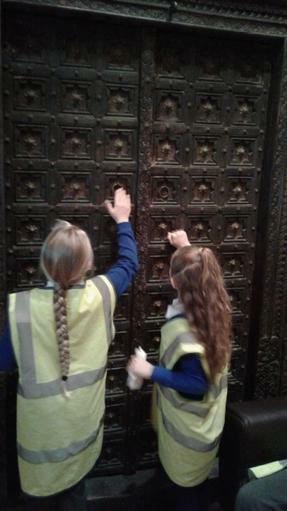 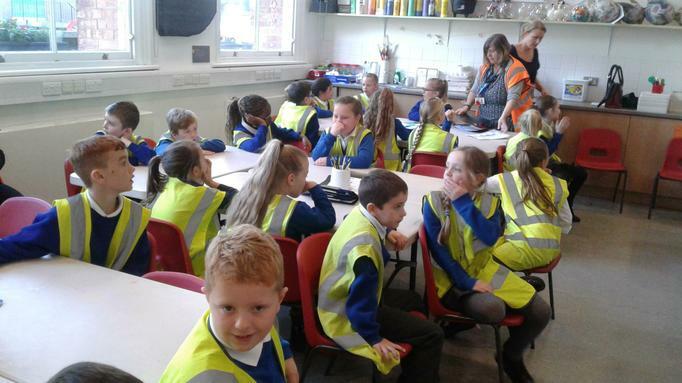 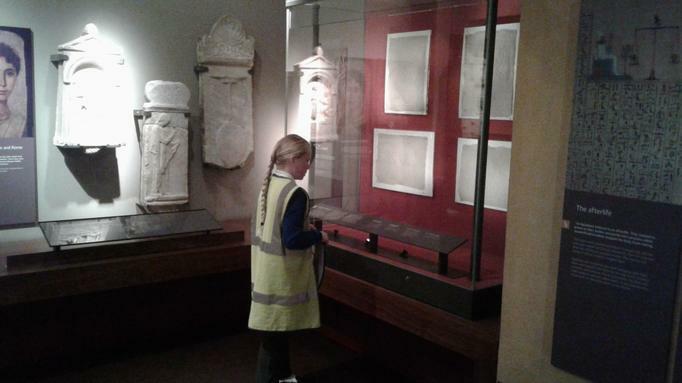 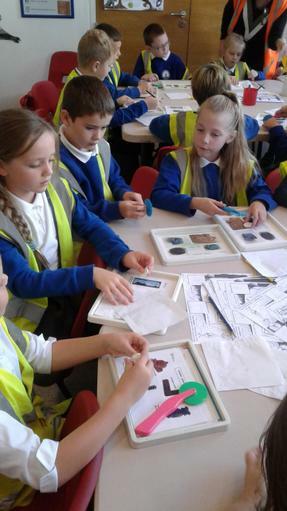 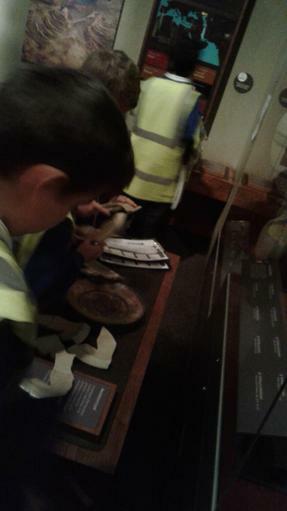 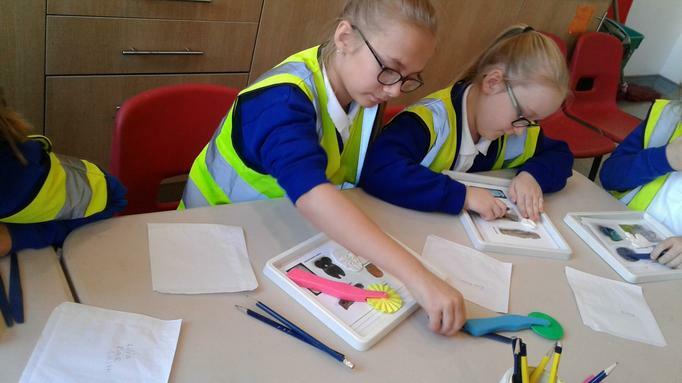 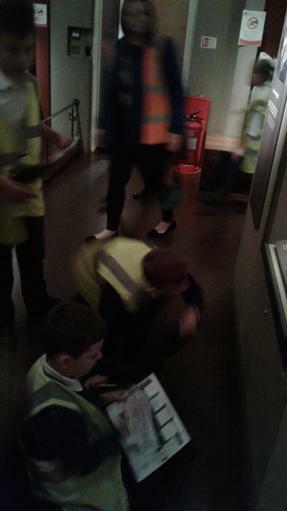 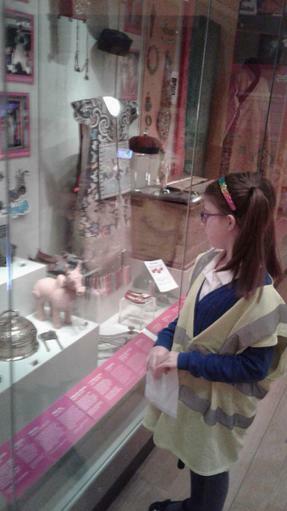 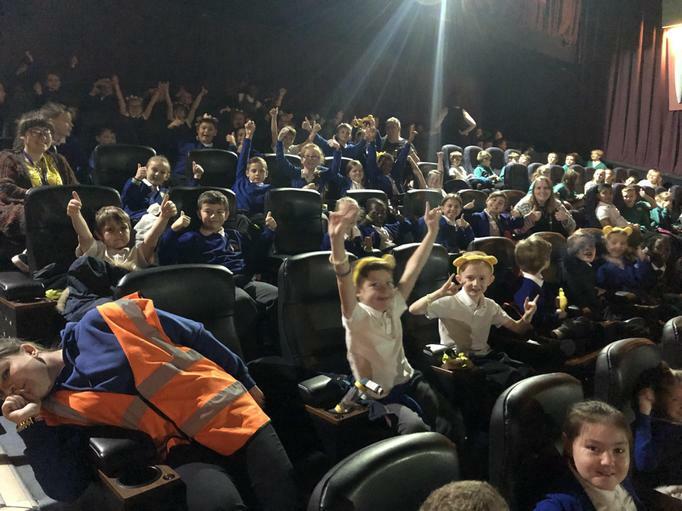 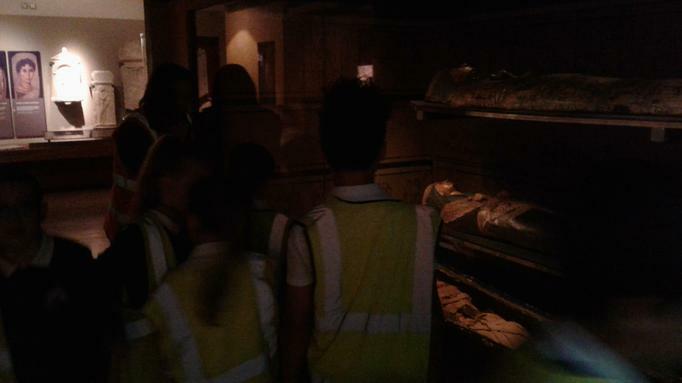 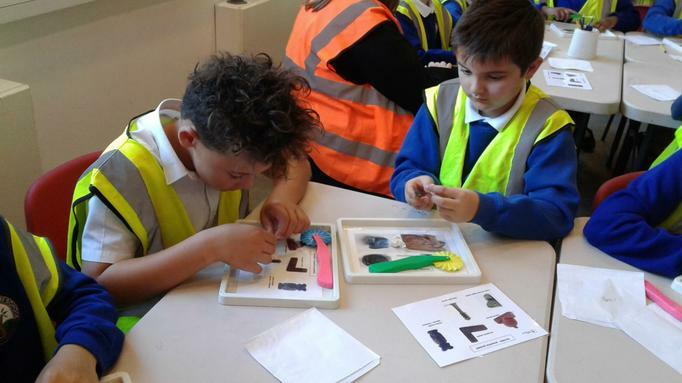 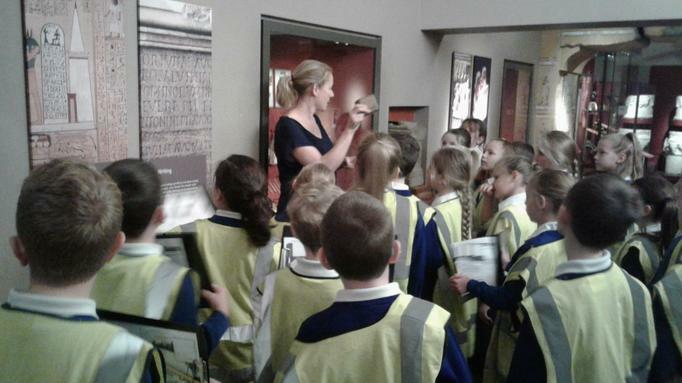 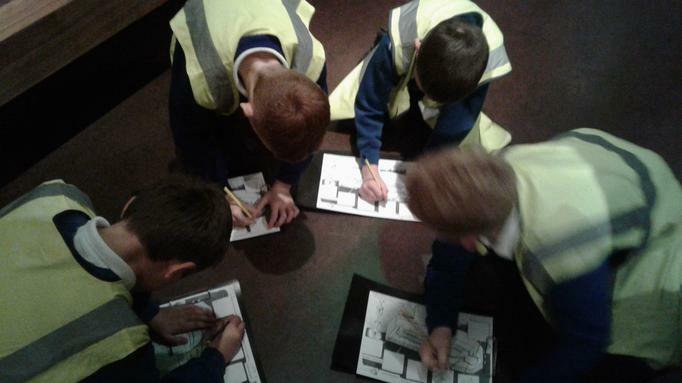 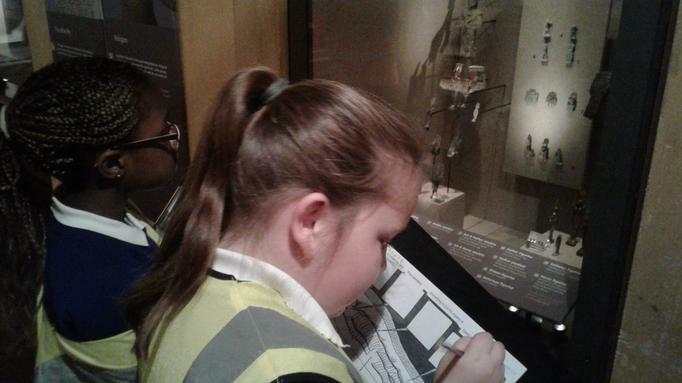 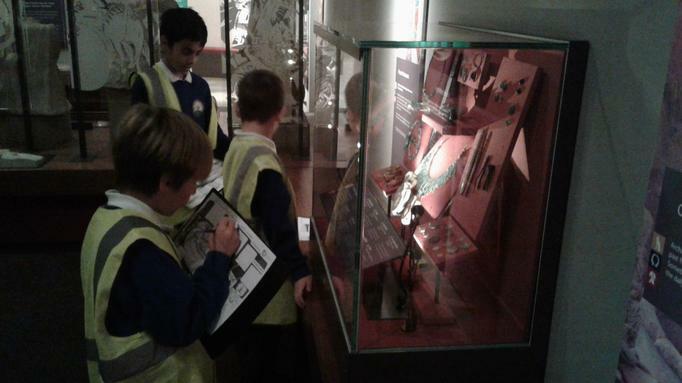 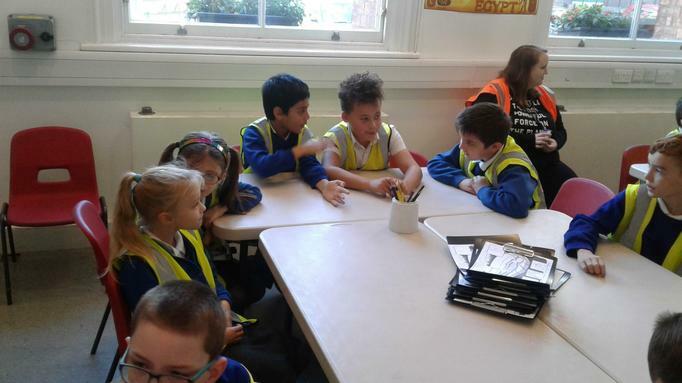 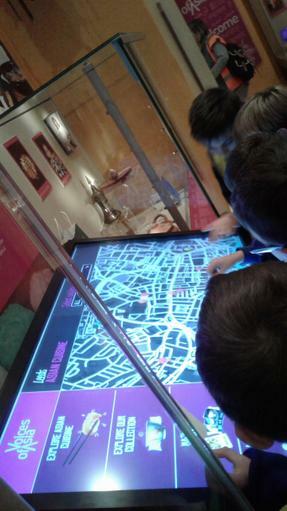 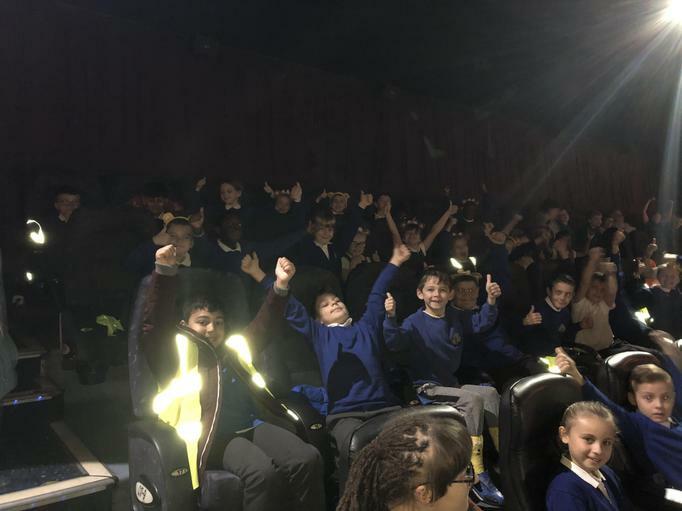 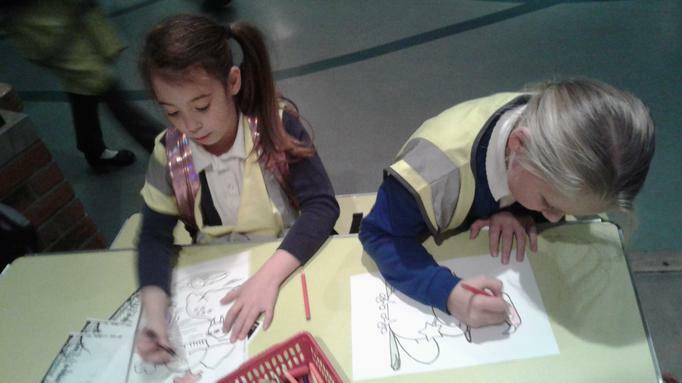 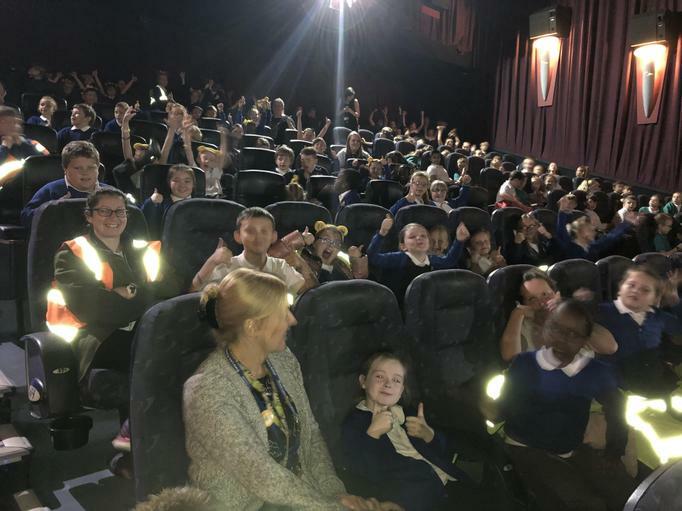 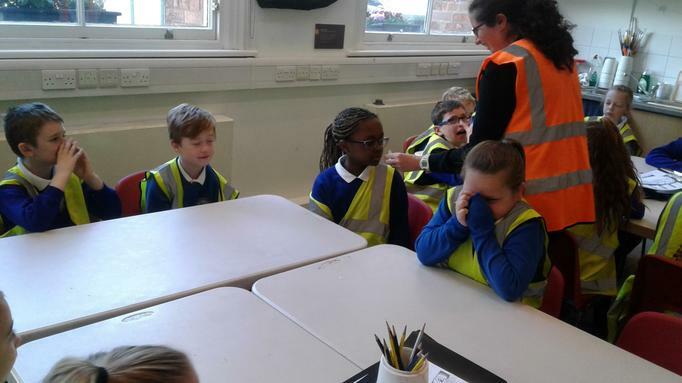 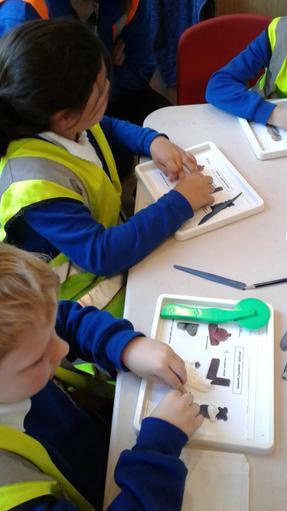 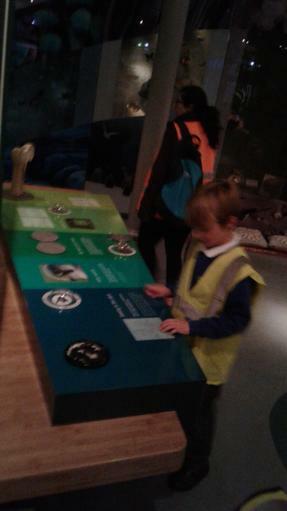 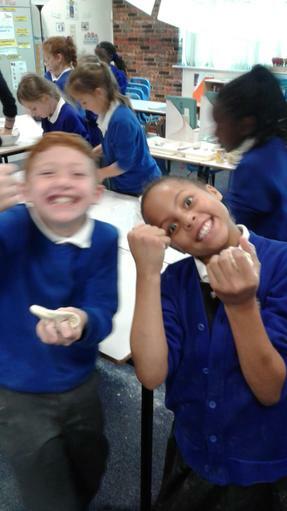 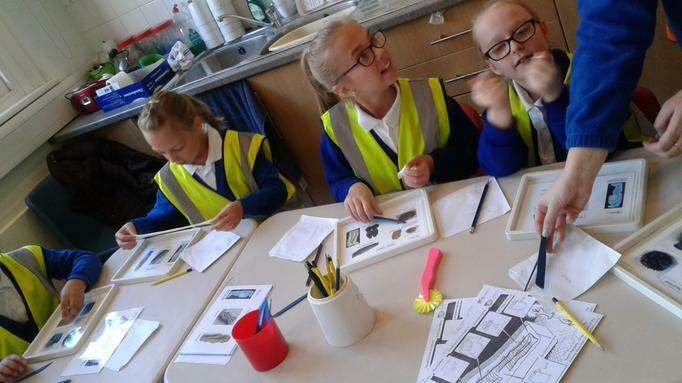 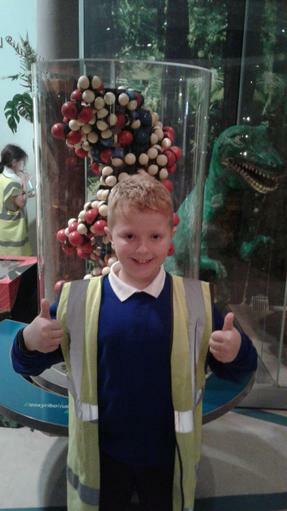 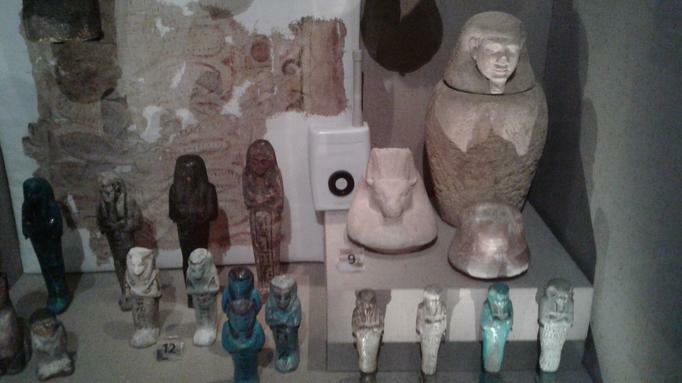 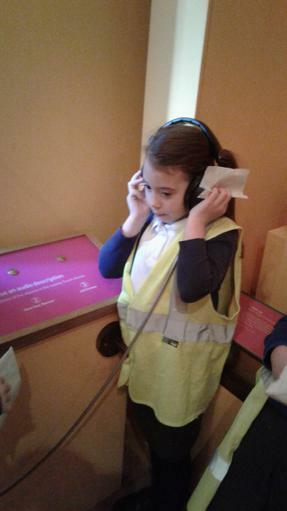 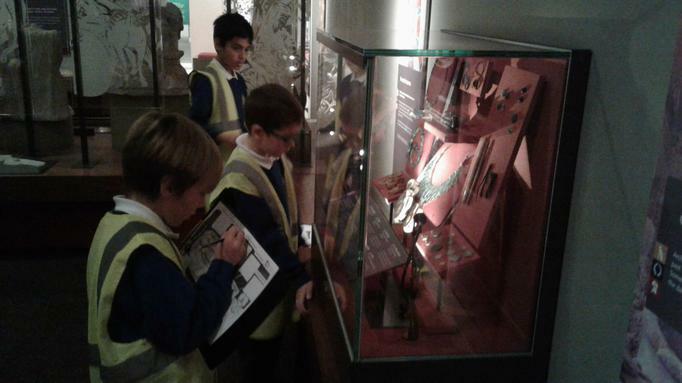 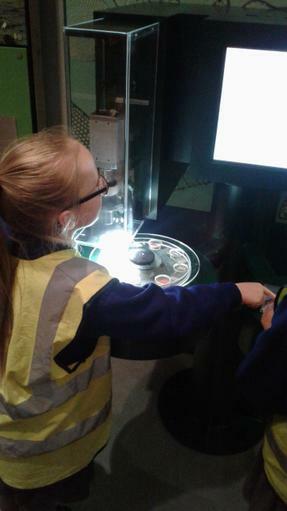 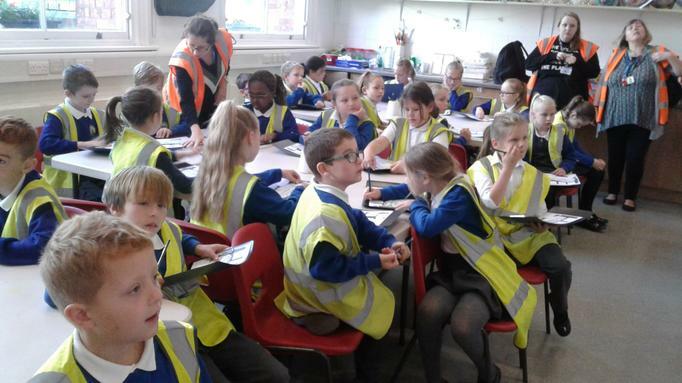 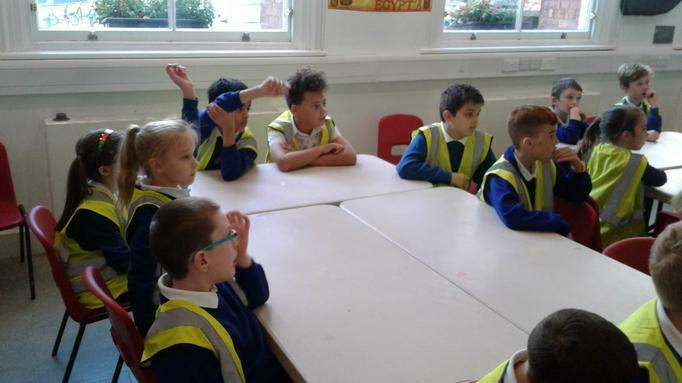 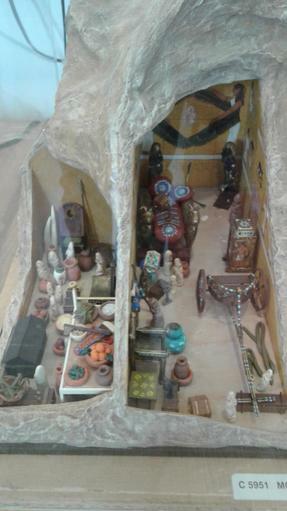 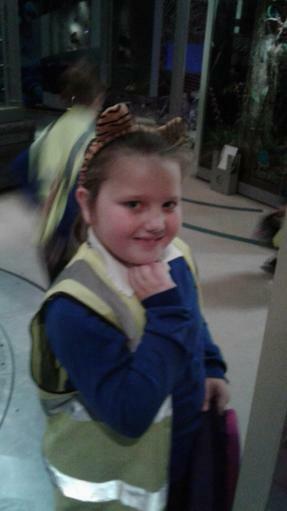 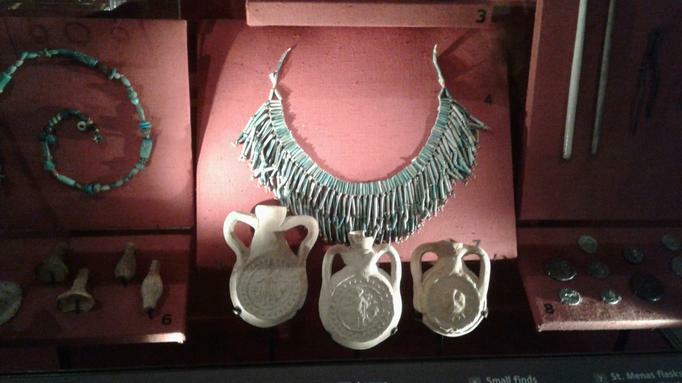 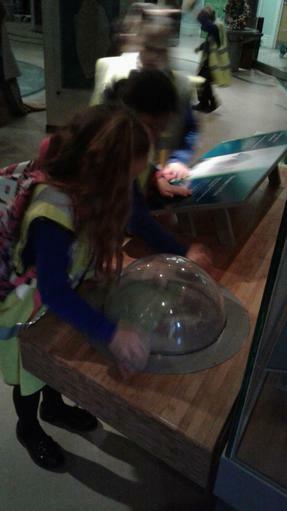 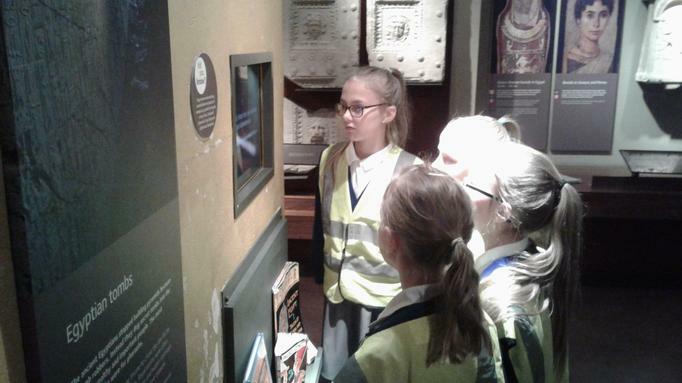 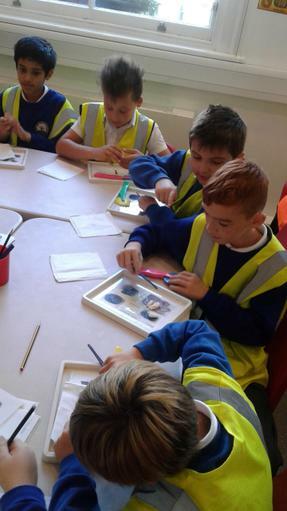 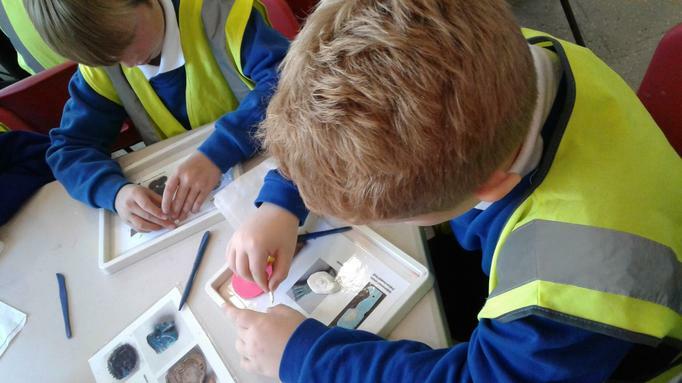 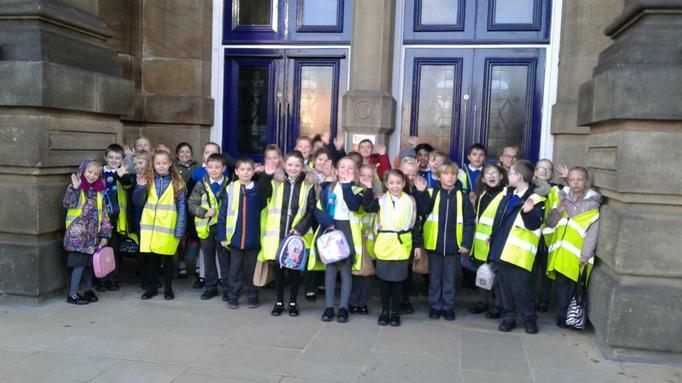 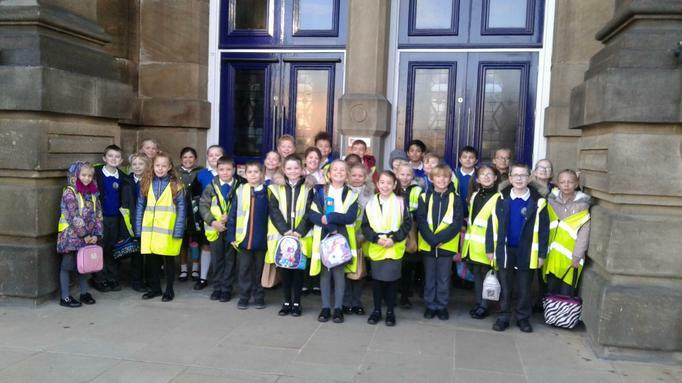 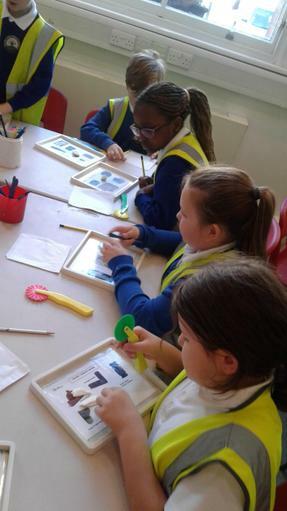 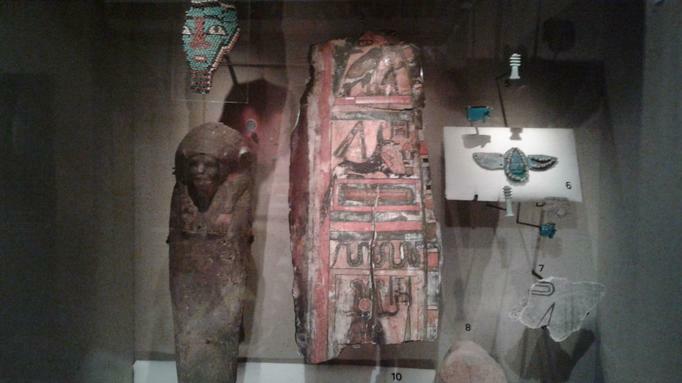 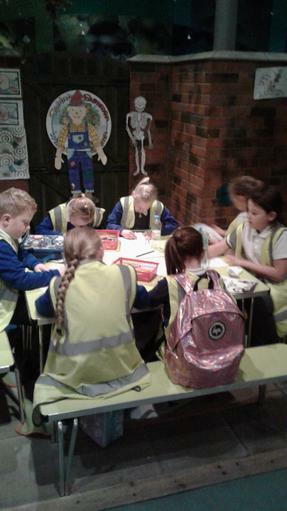 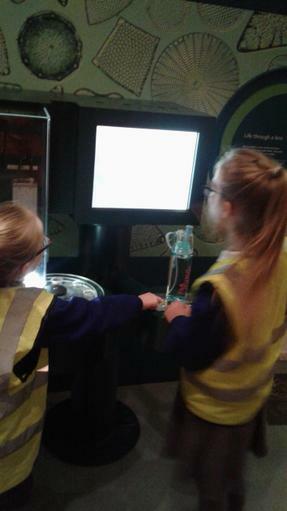 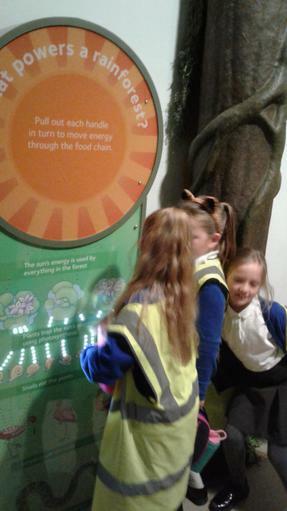 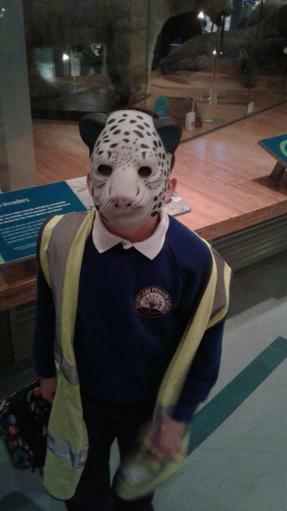 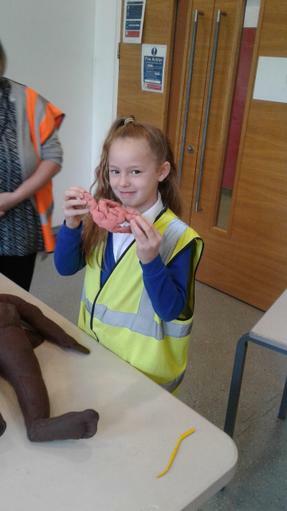 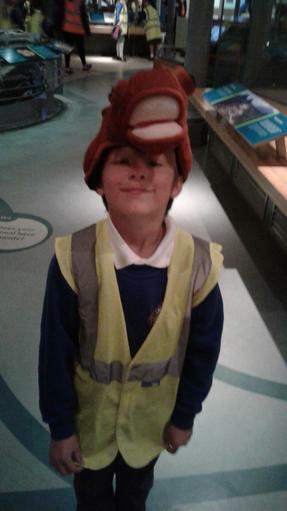 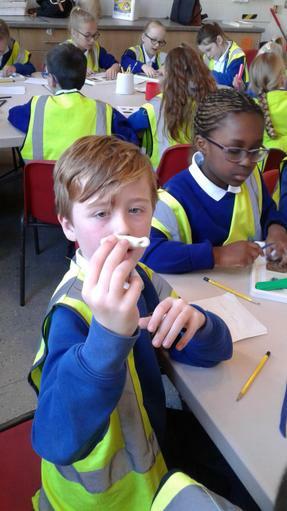 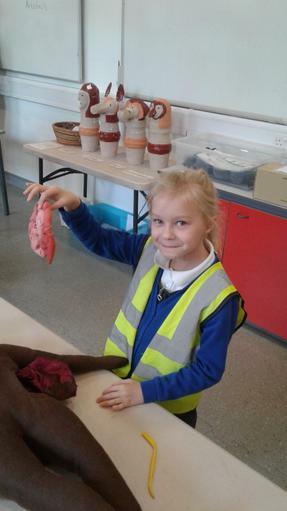 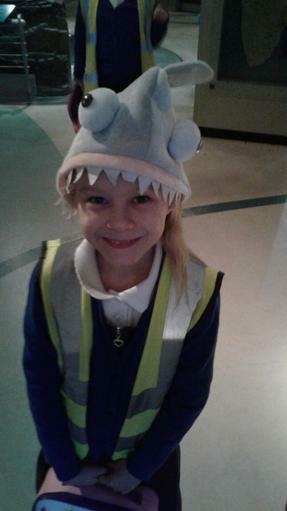 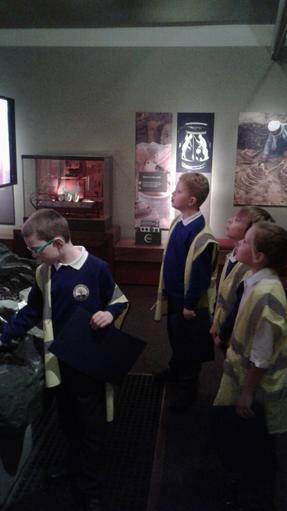 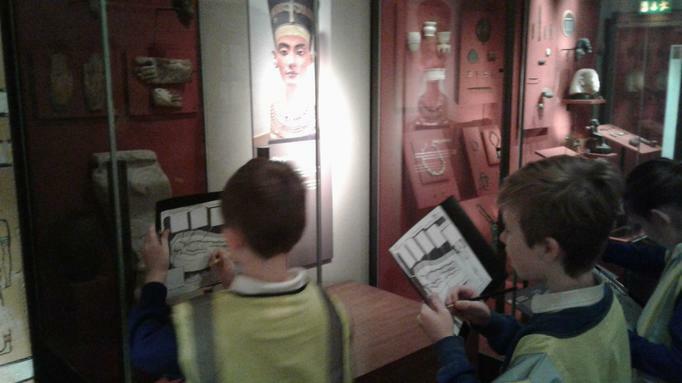 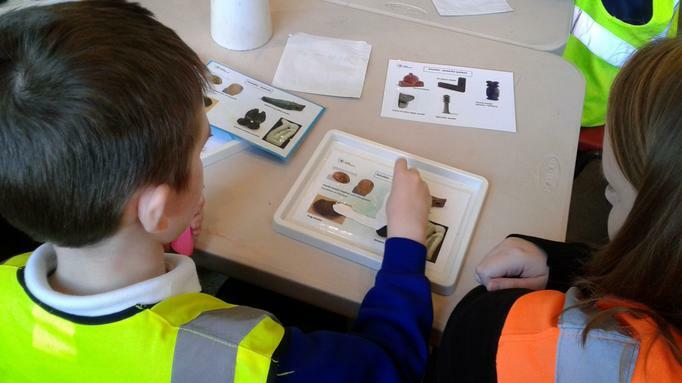 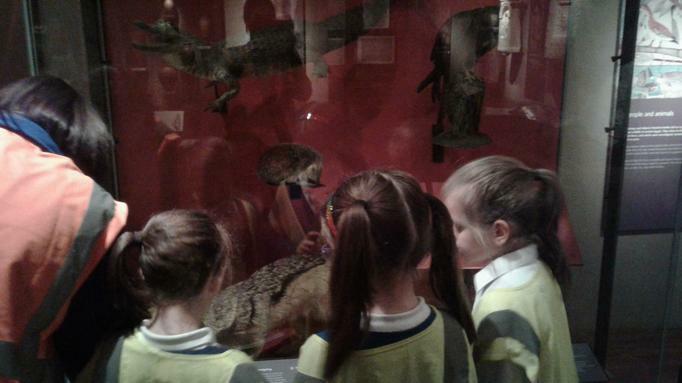 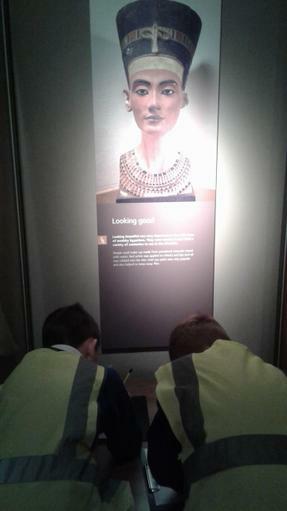 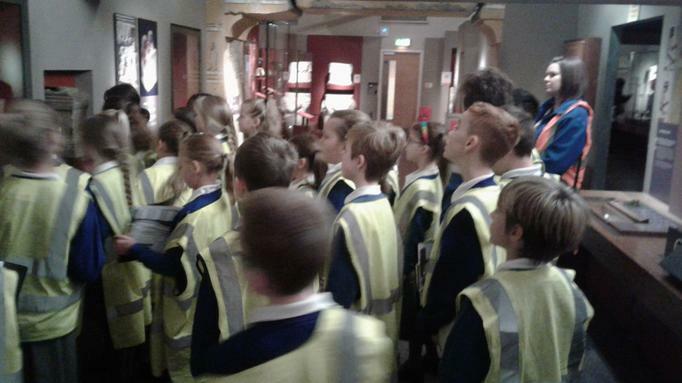 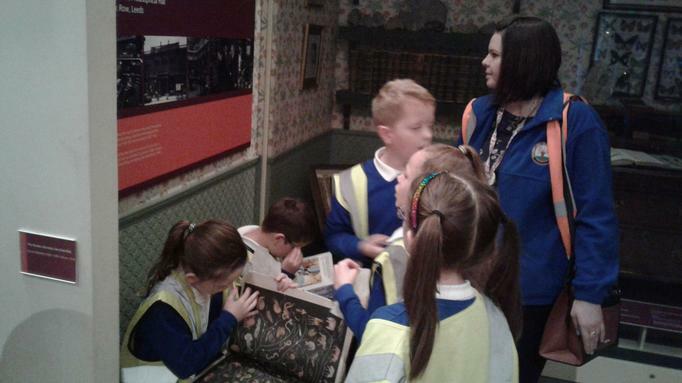 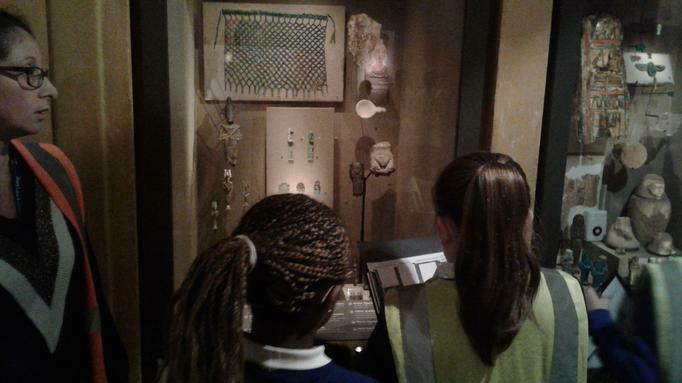 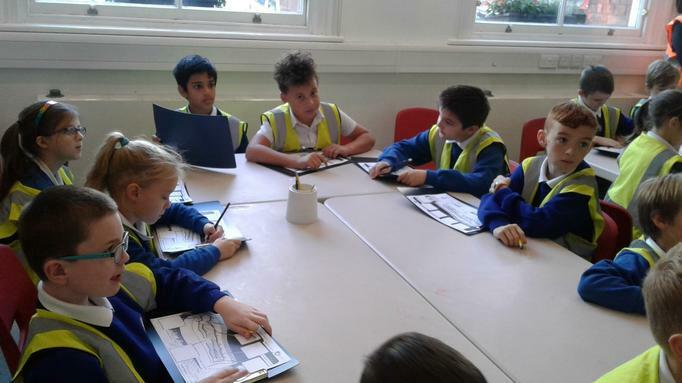 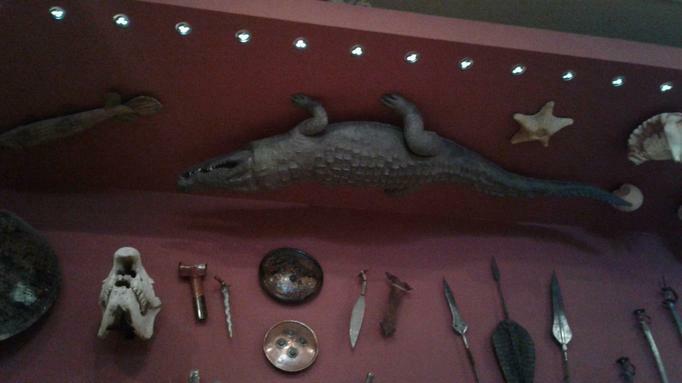 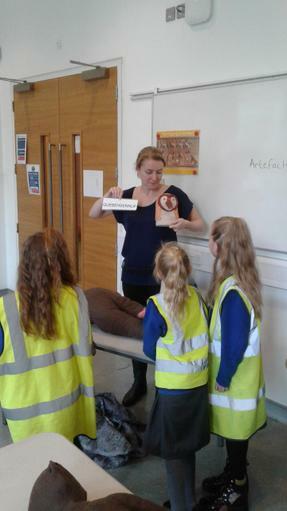 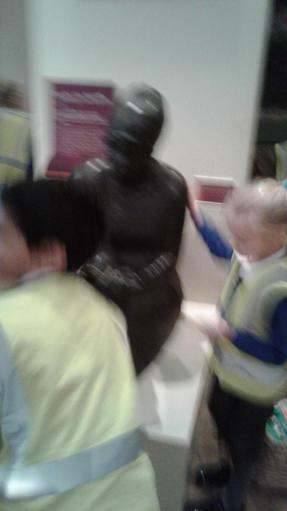 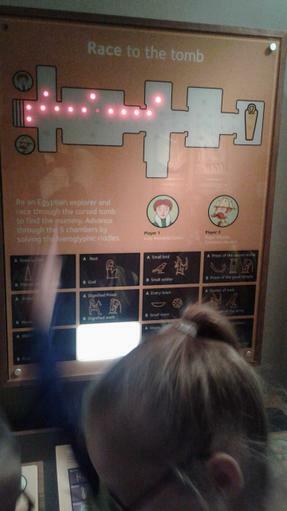 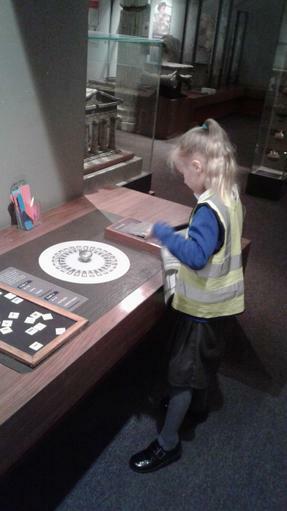 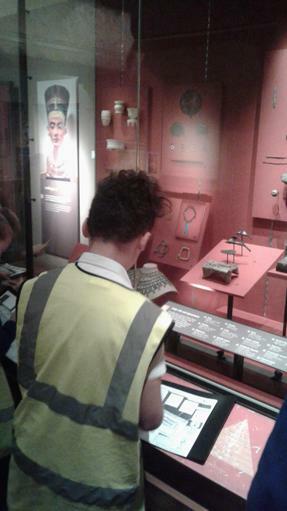 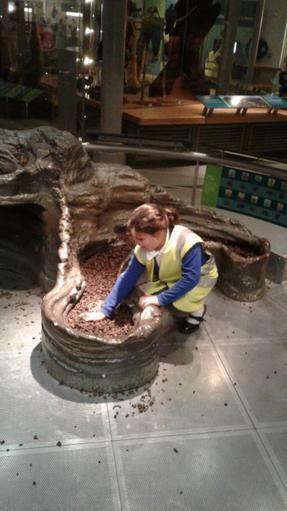 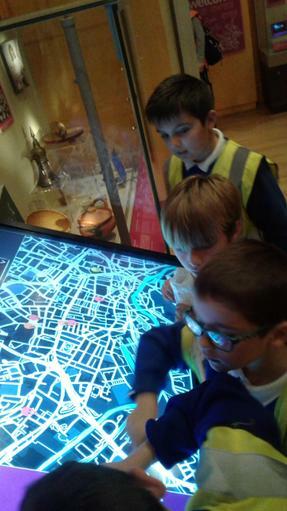 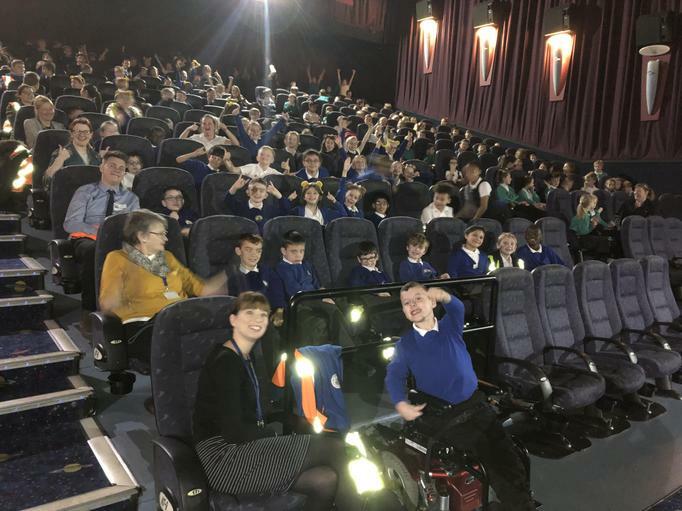 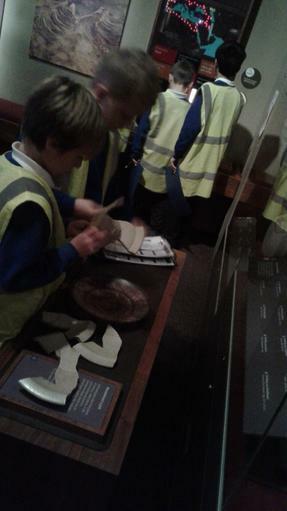 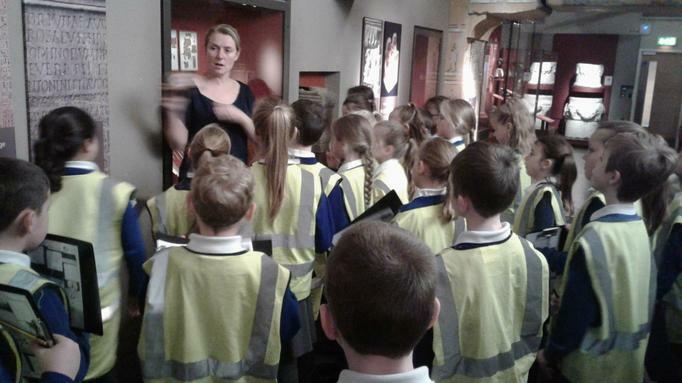 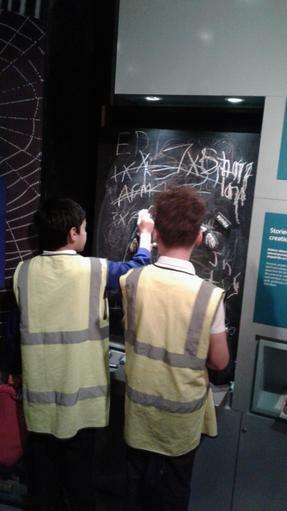 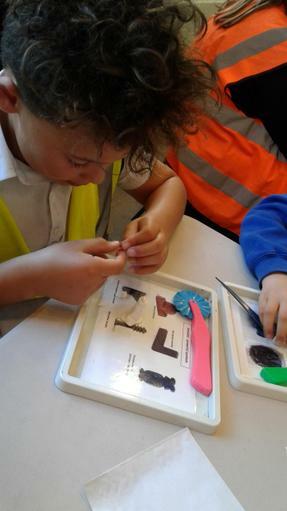 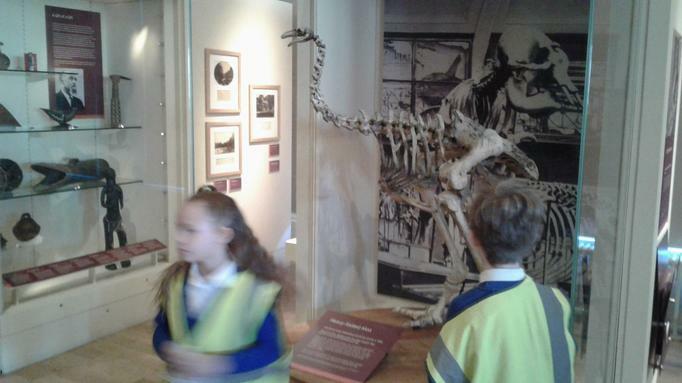 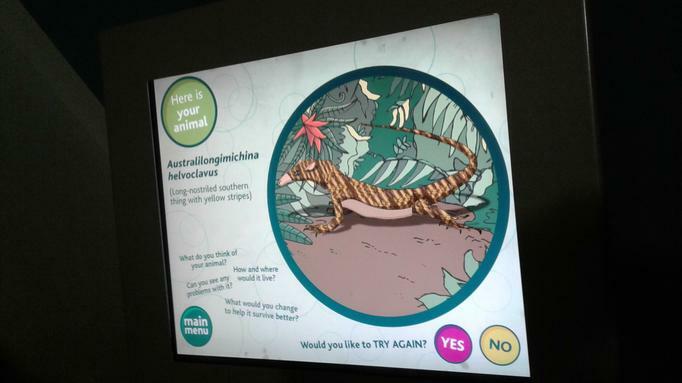 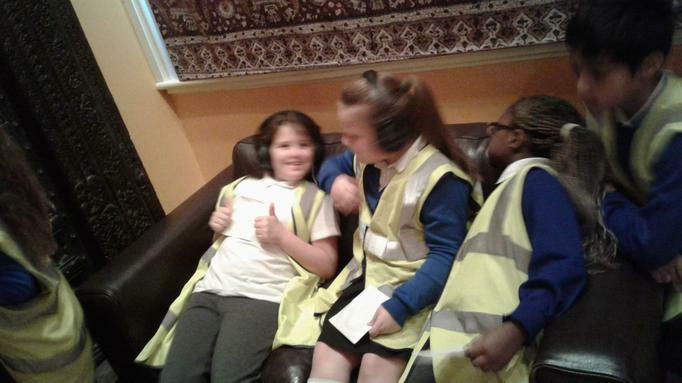 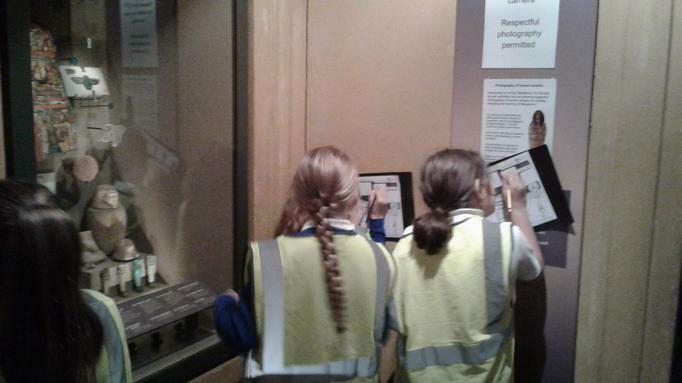 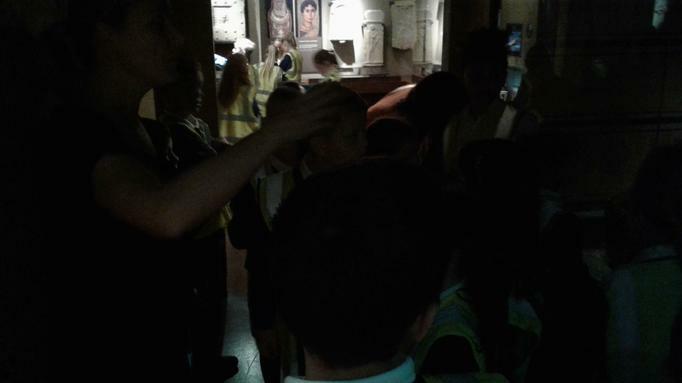 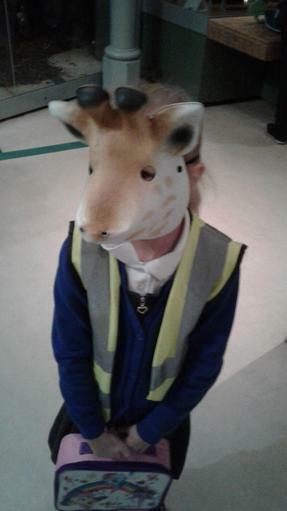 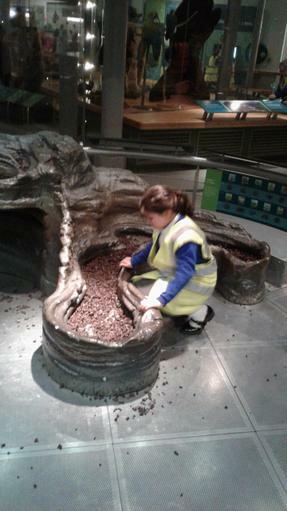 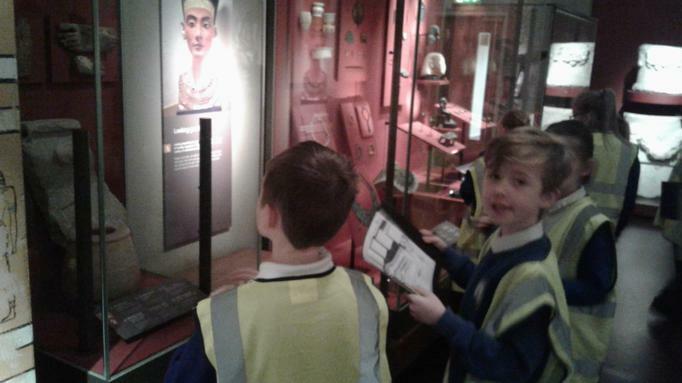 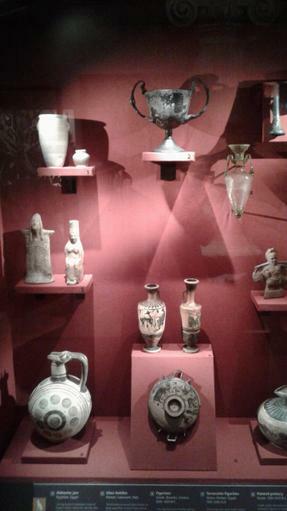 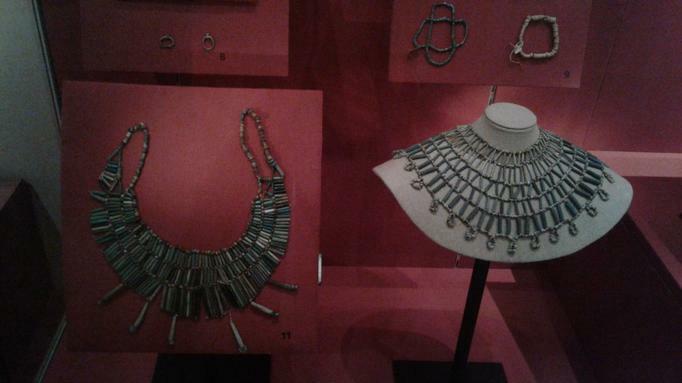 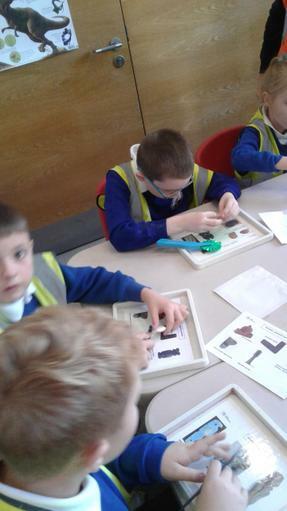 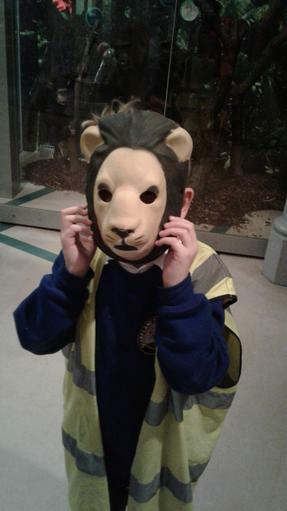 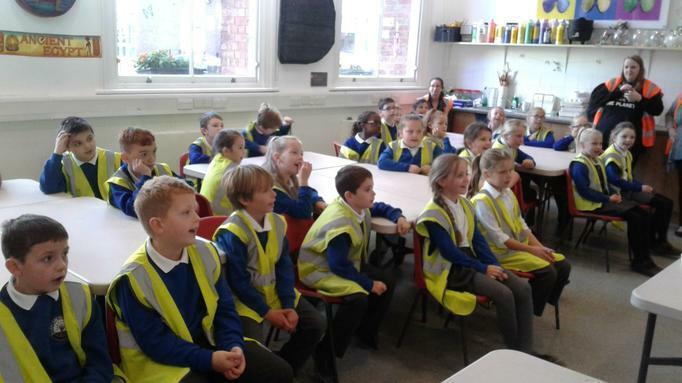 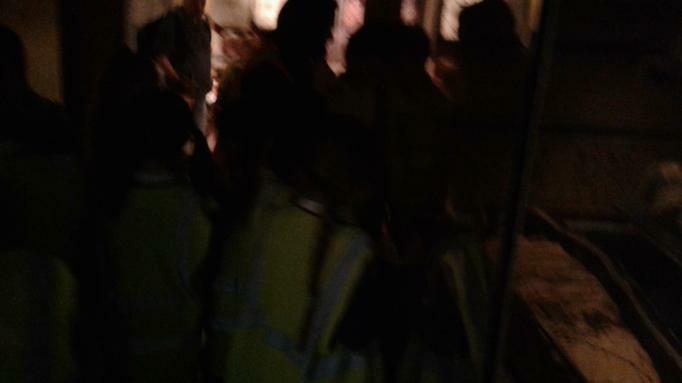 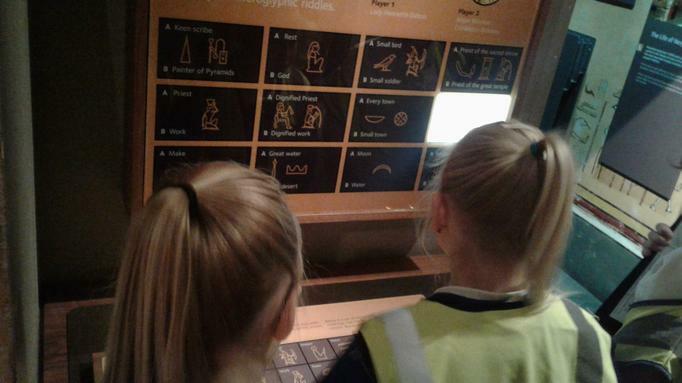 We have had an amazing day at Leeds museum and have learnt lots of new things. 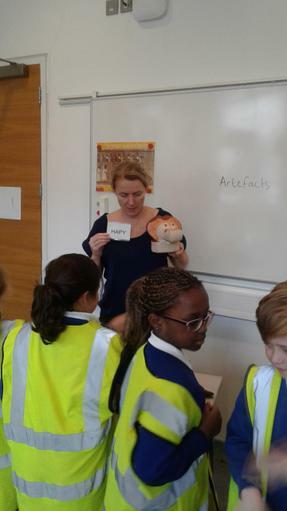 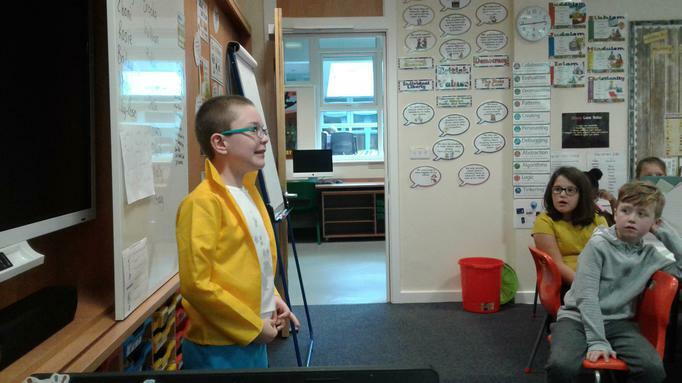 We were really lucky to have Lyle come and talk to us about International Stammering Awareness Day. 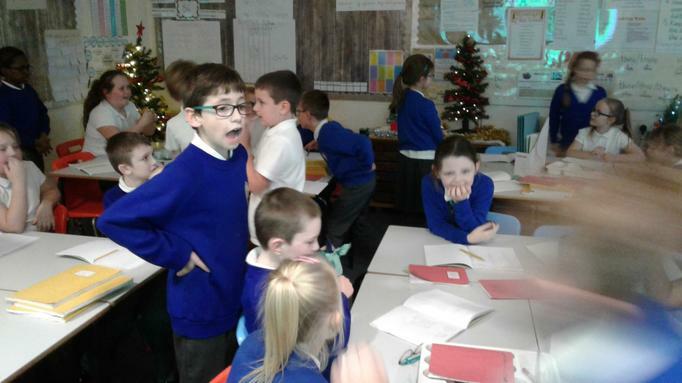 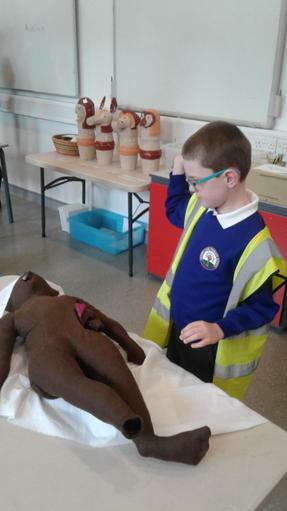 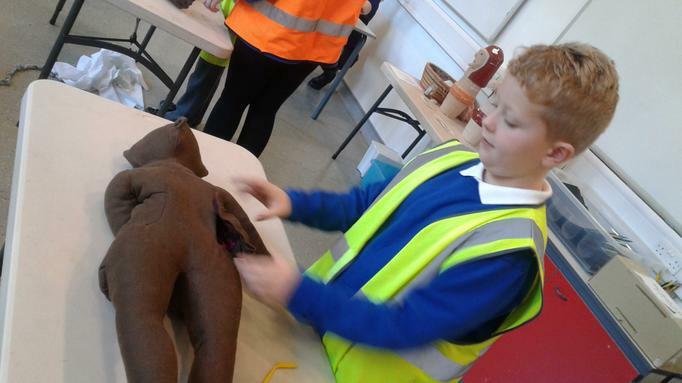 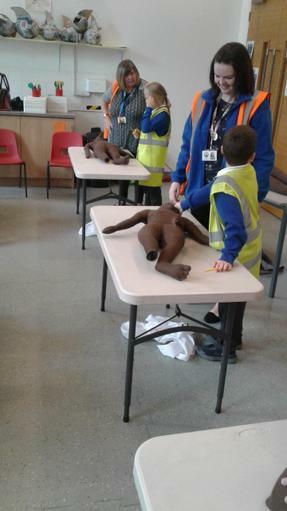 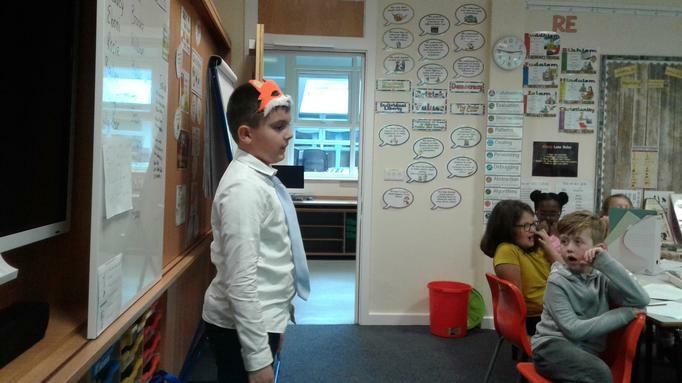 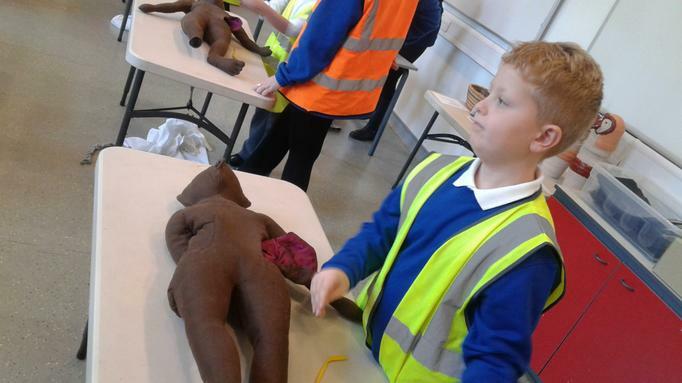 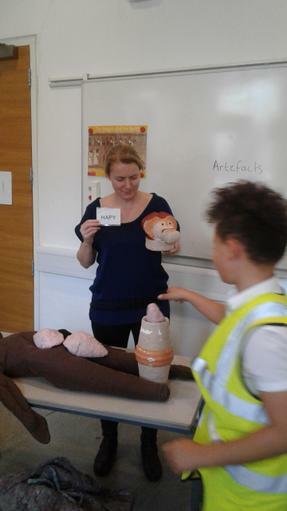 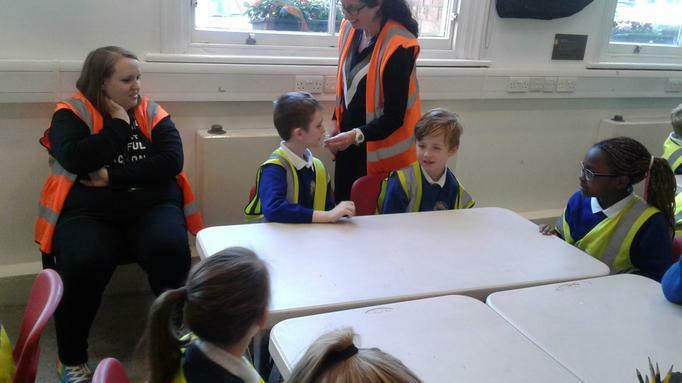 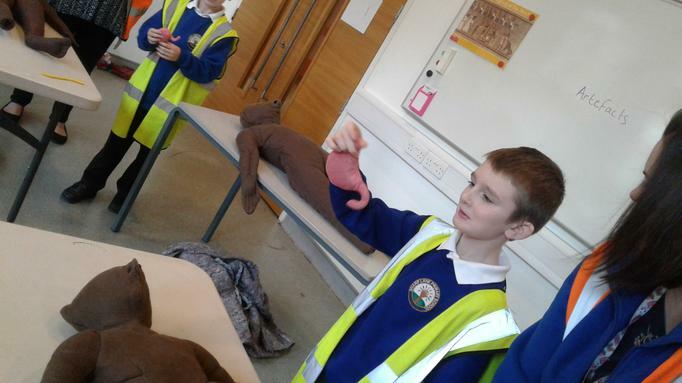 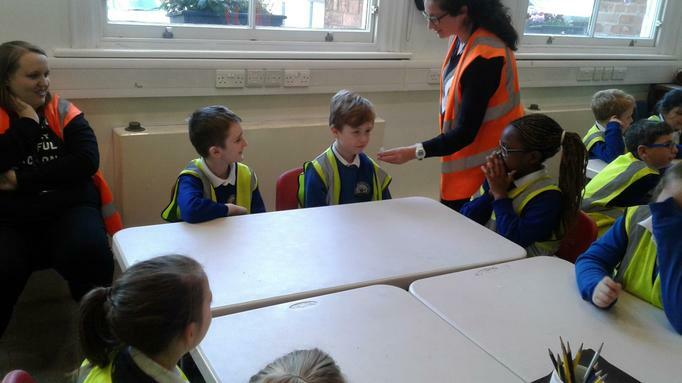 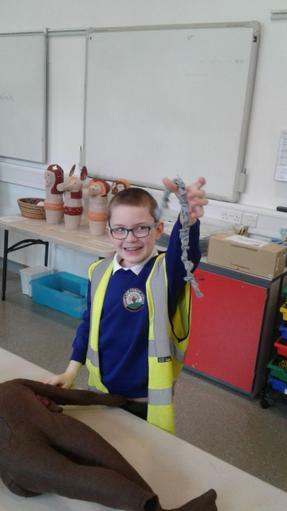 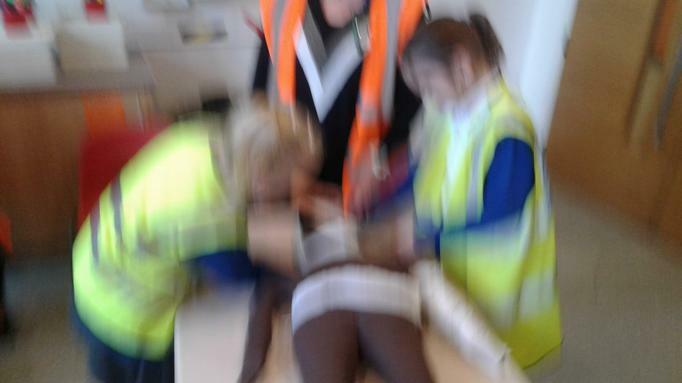 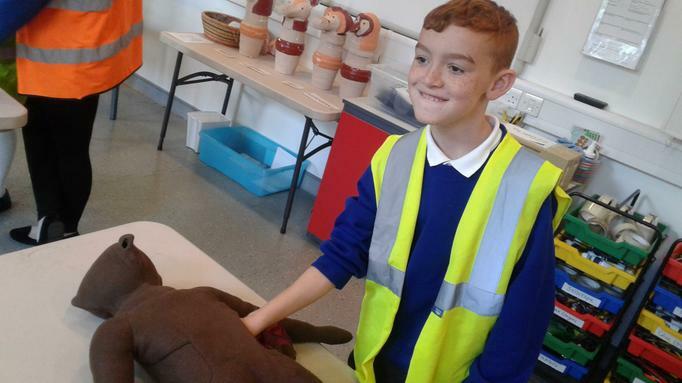 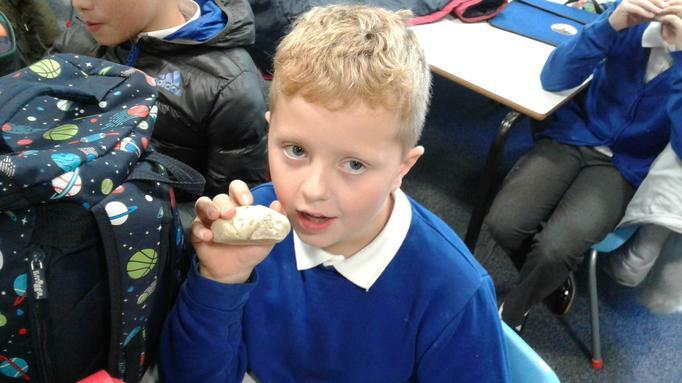 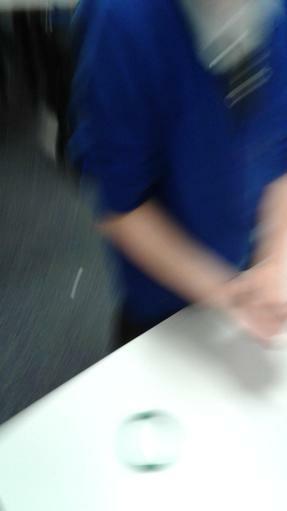 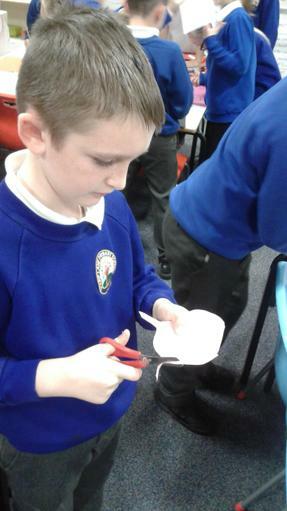 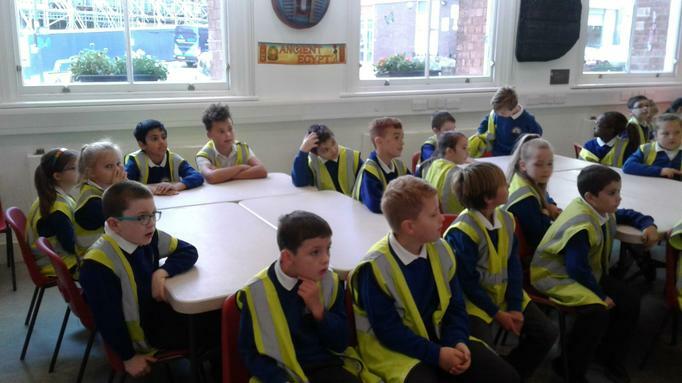 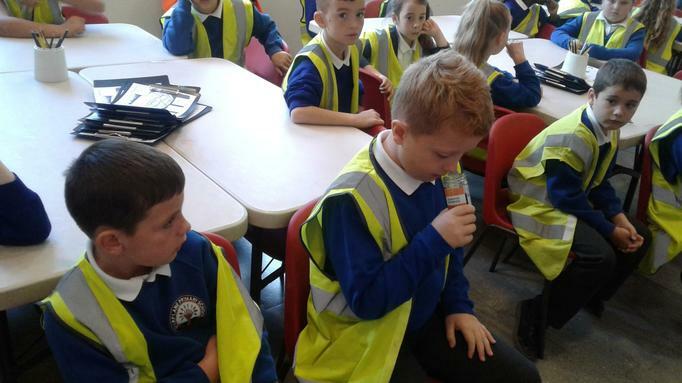 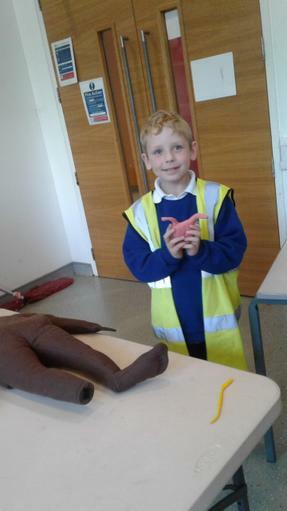 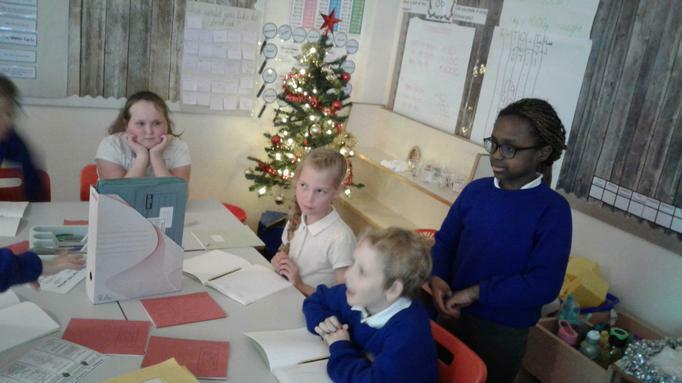 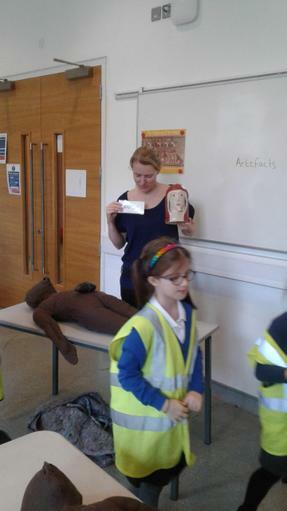  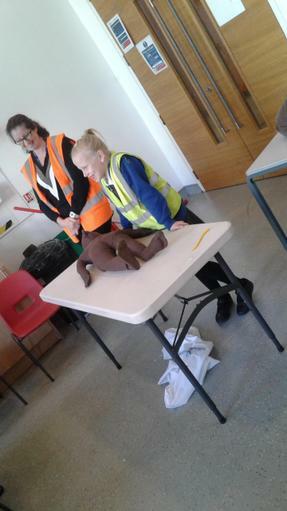 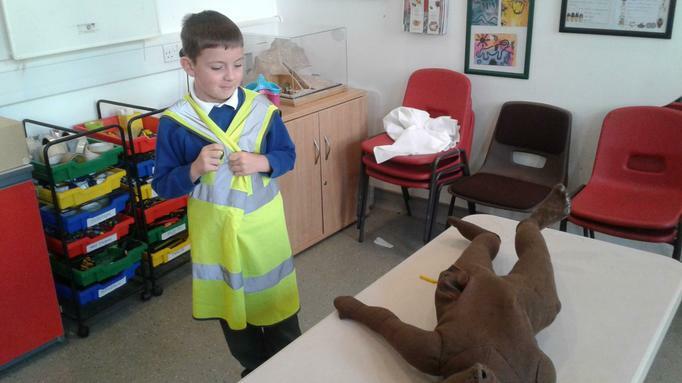 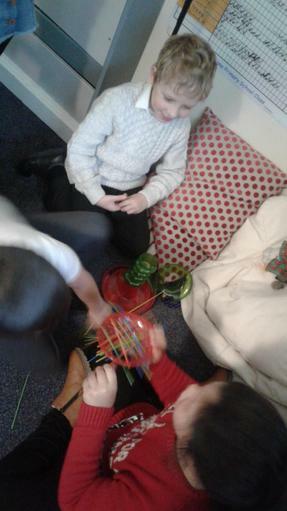 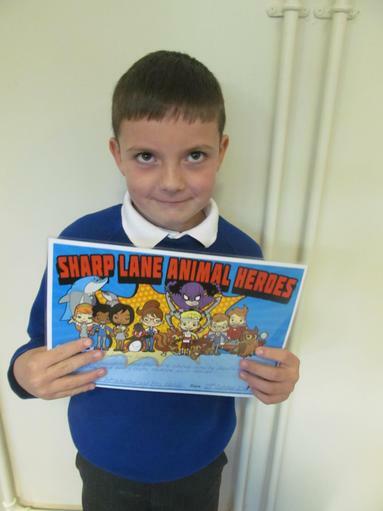 We learnt a lot and were all proud of Lyle for being so brave and telling us all about it. 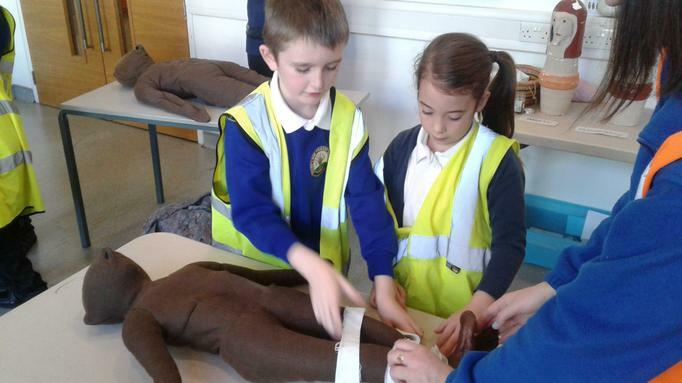 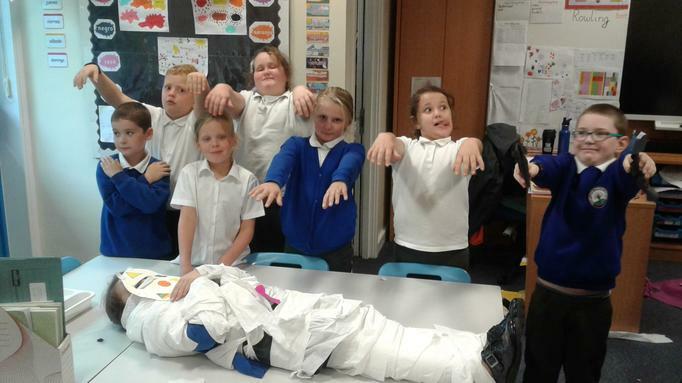 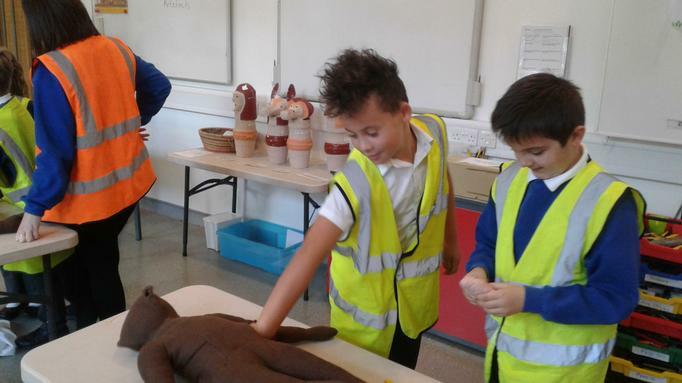 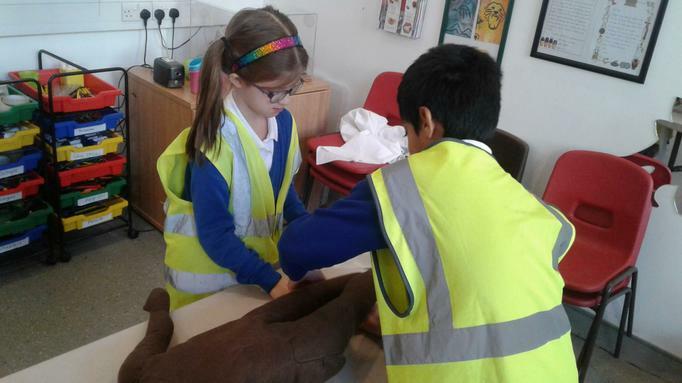 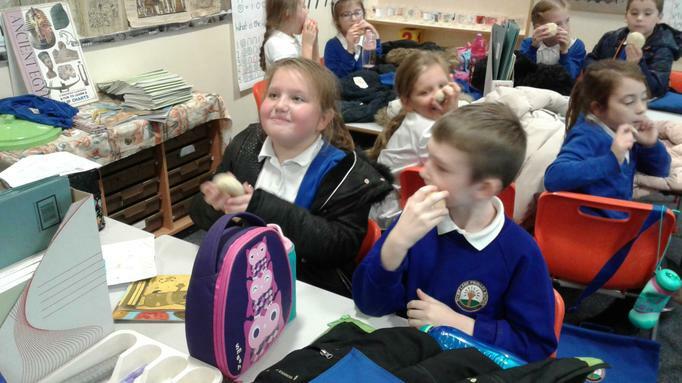 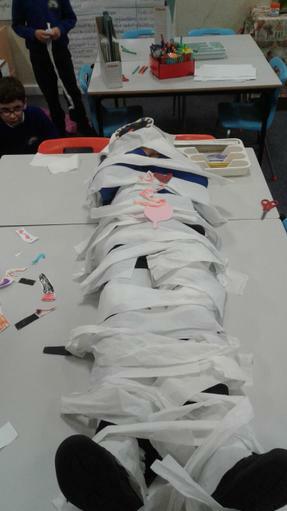 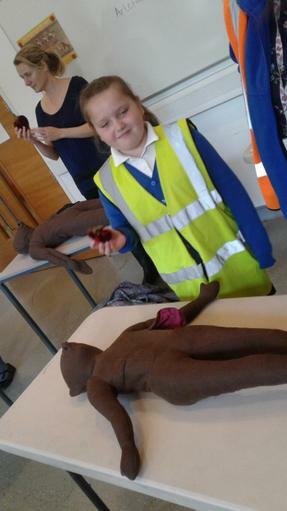 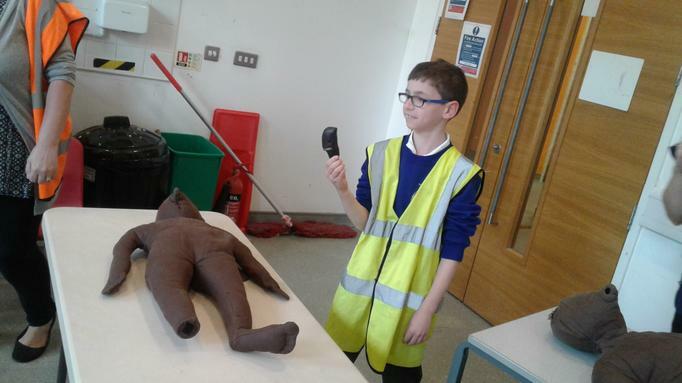 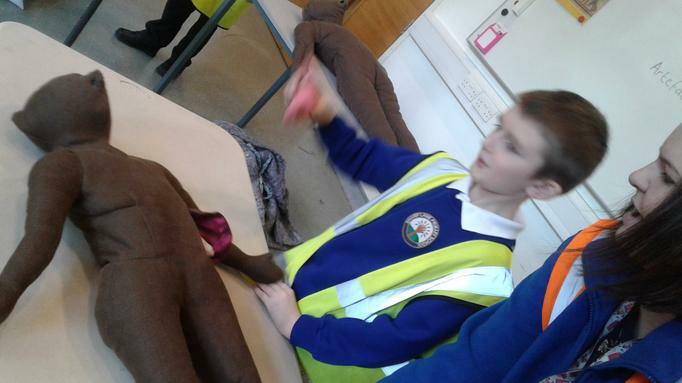 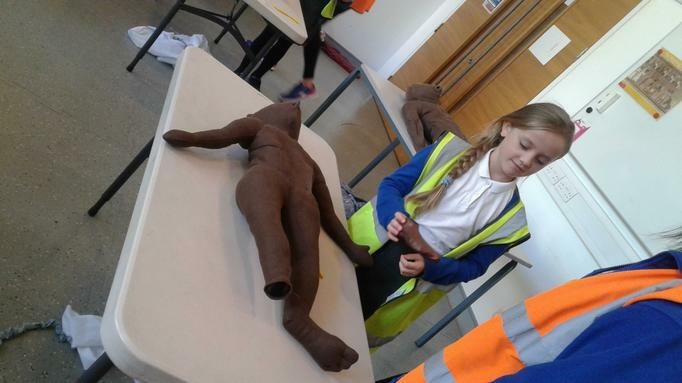 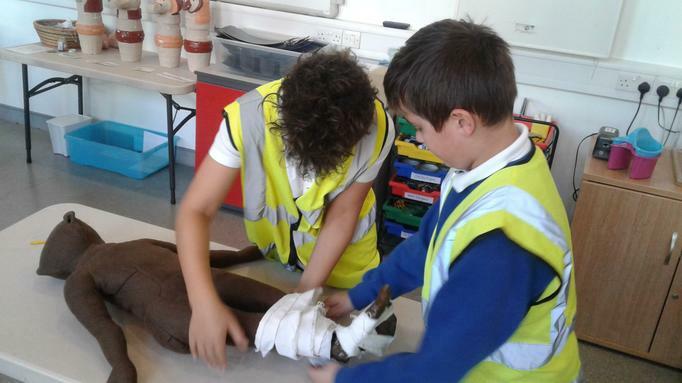 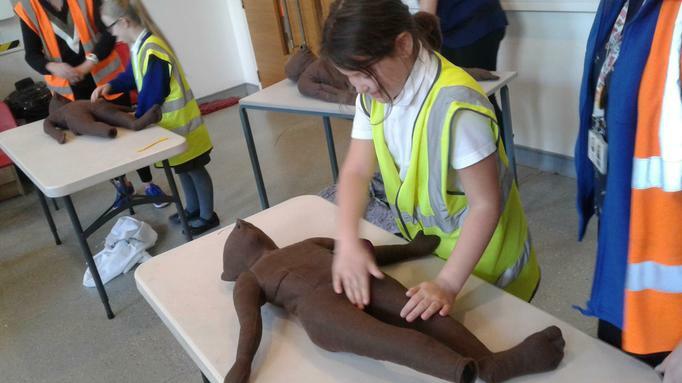 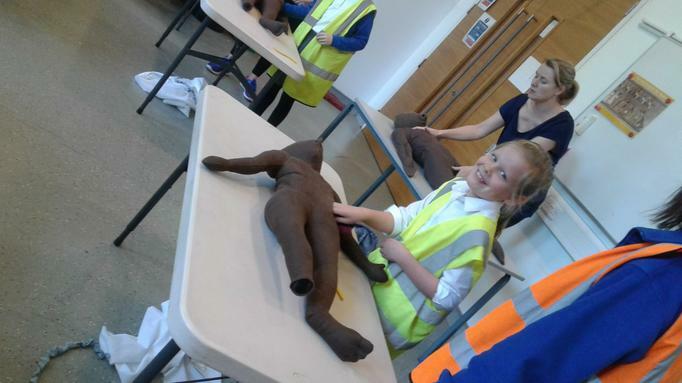 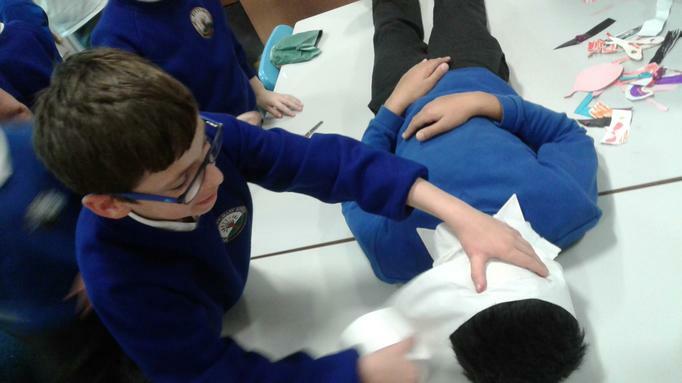 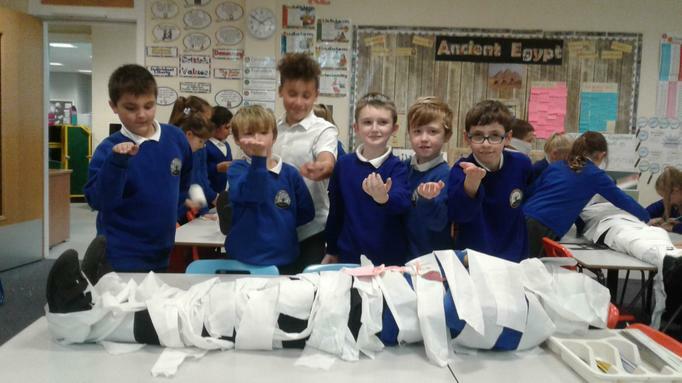 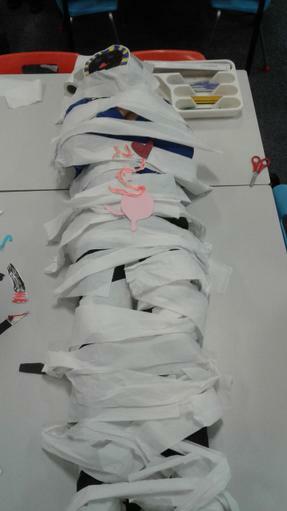 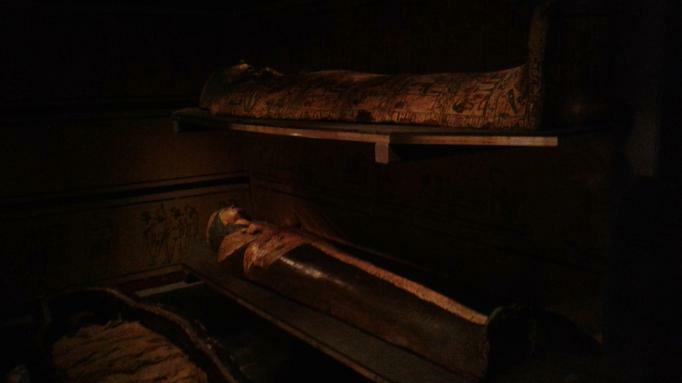 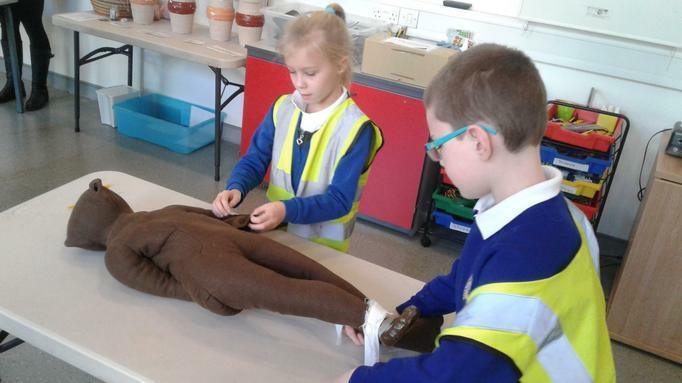 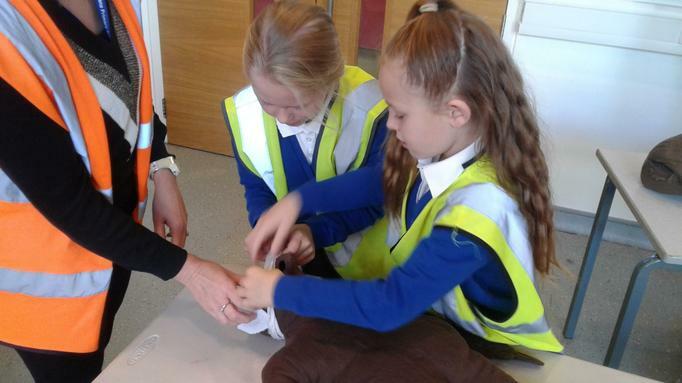 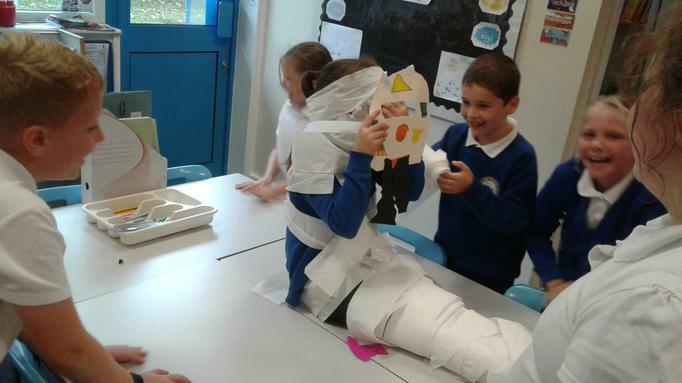 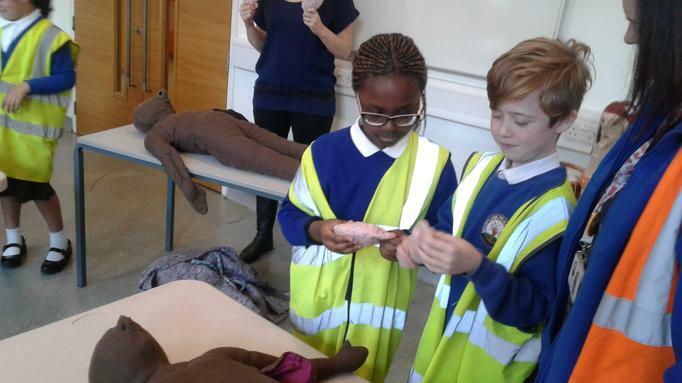 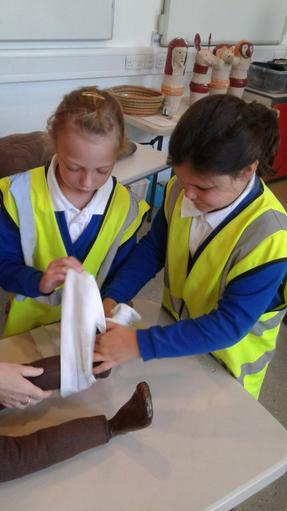 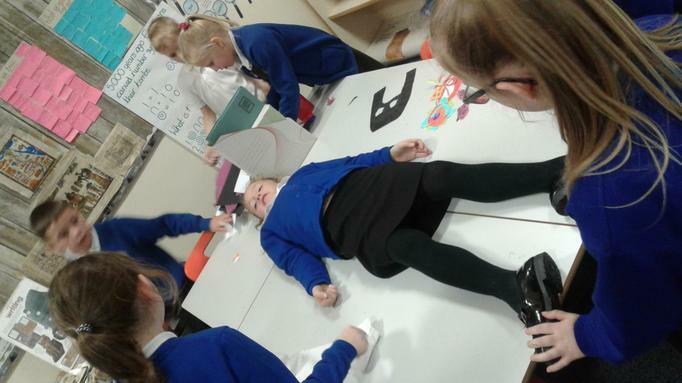 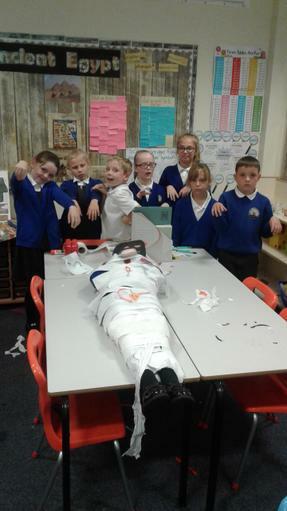 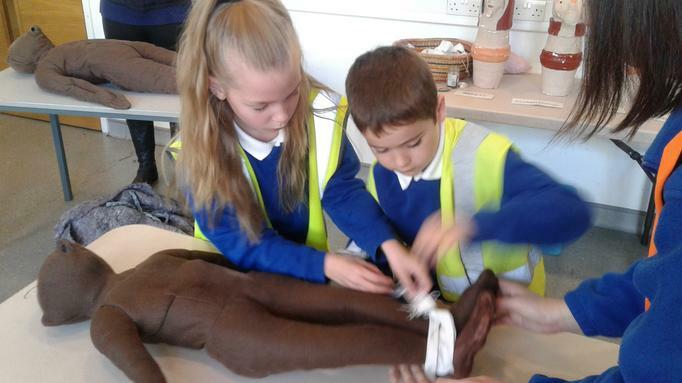 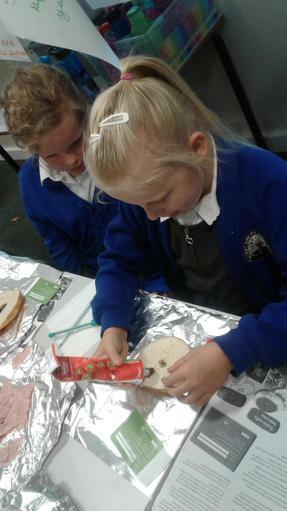 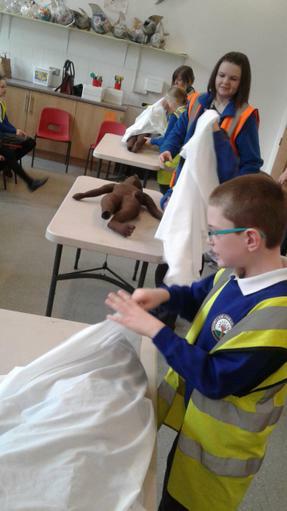 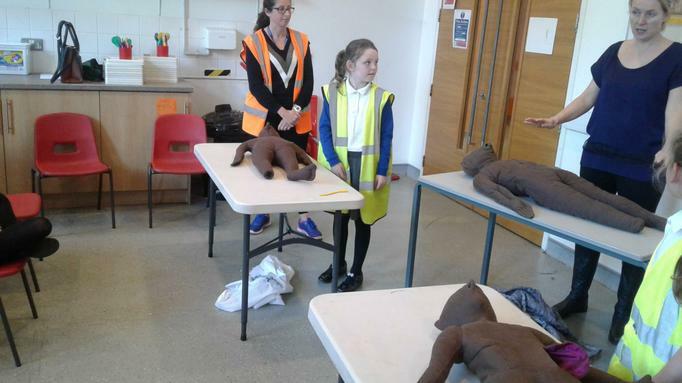 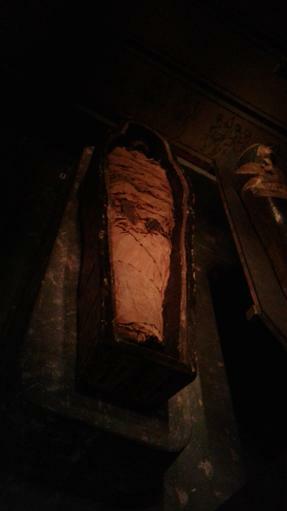 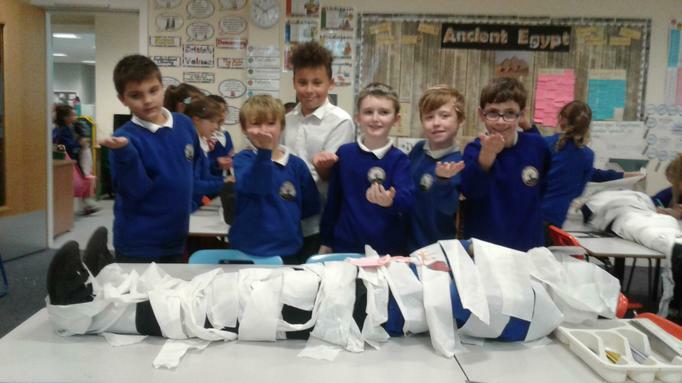 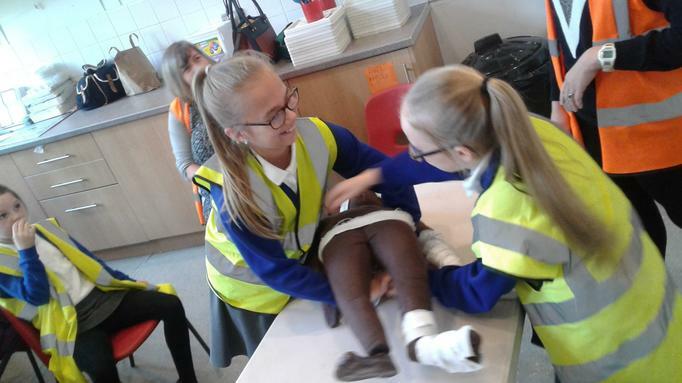 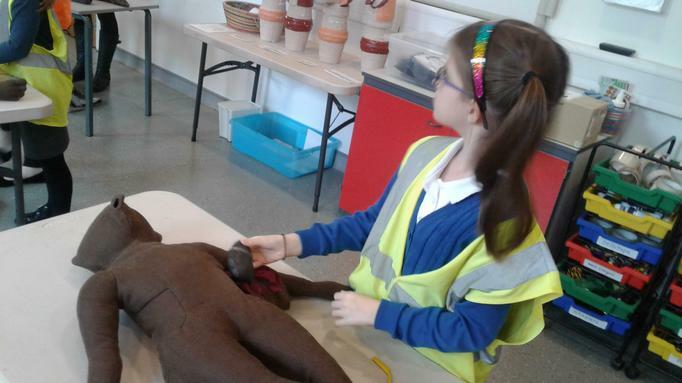 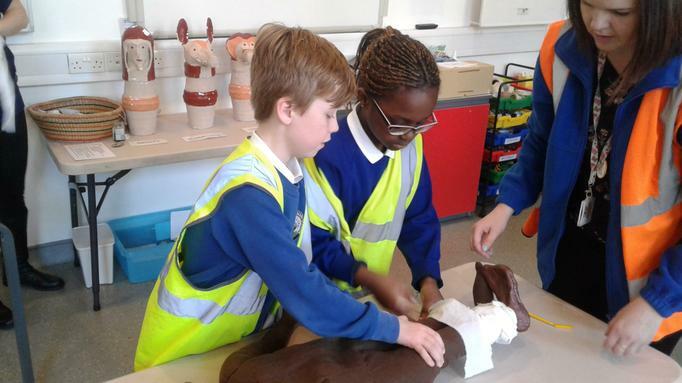 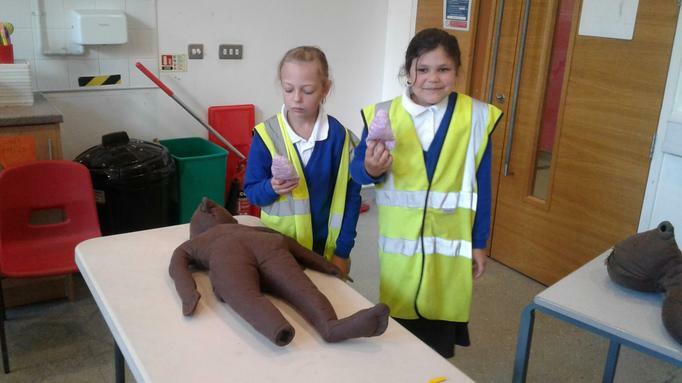 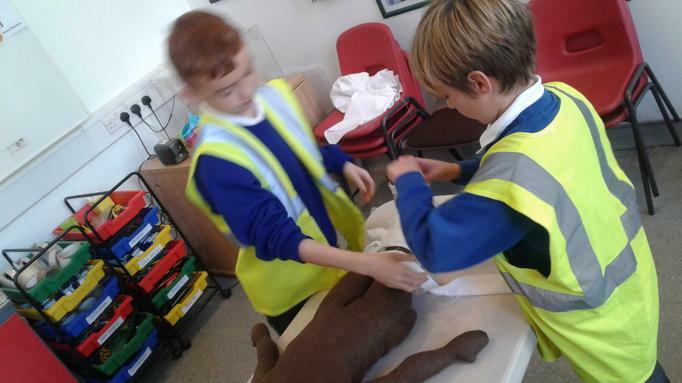 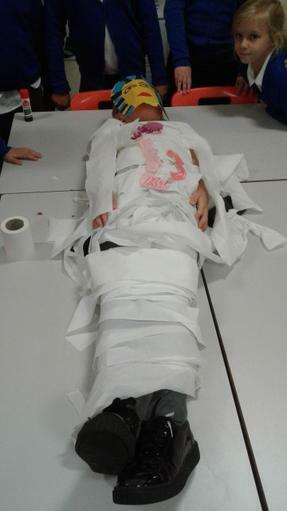 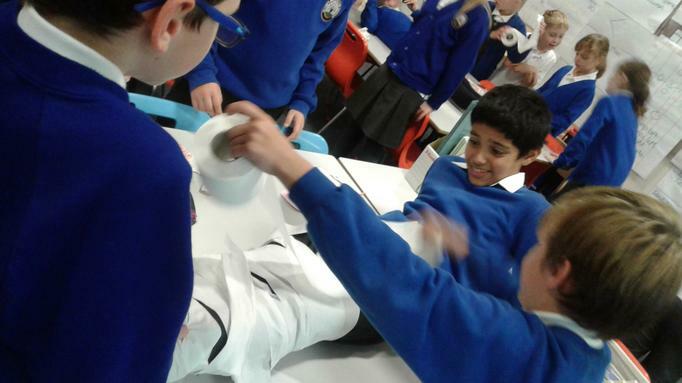 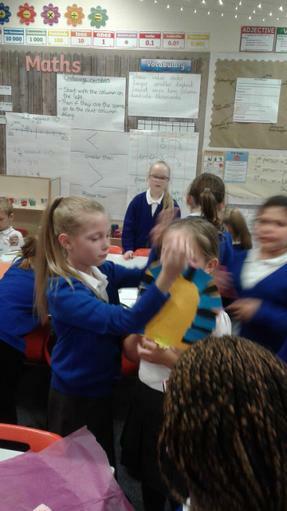 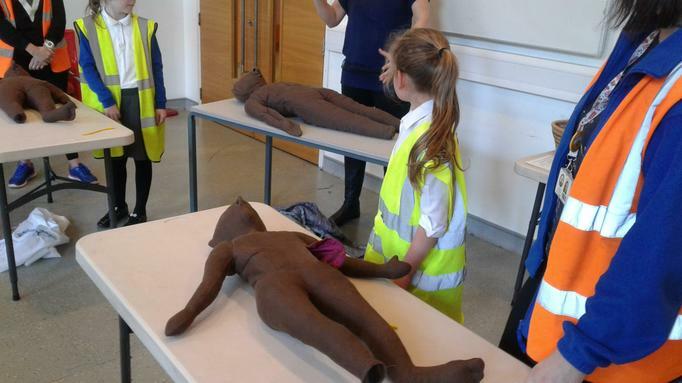 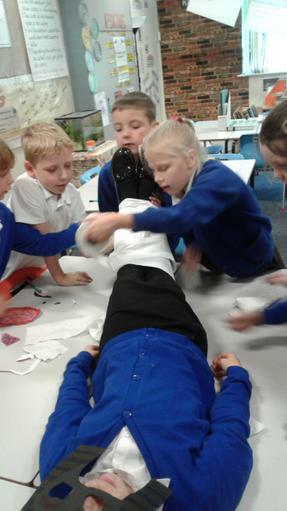 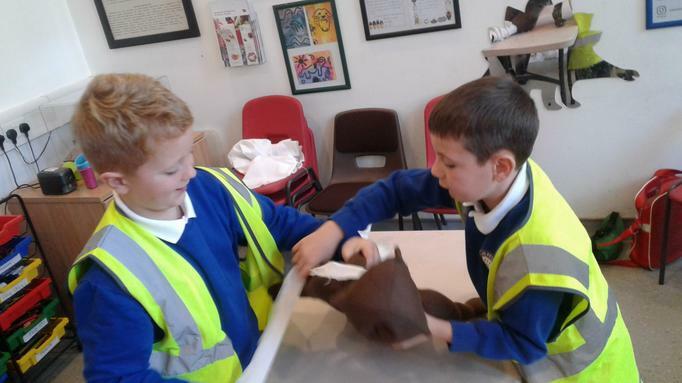 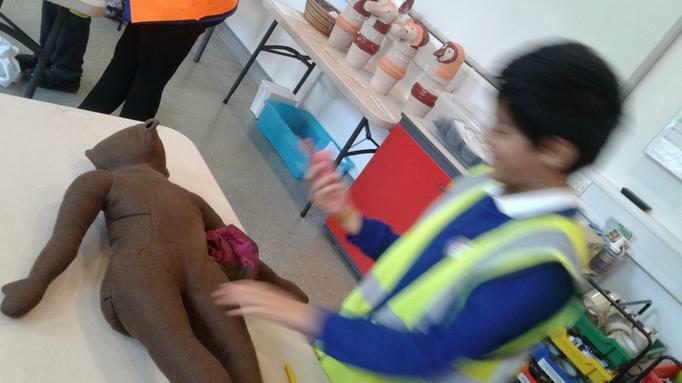 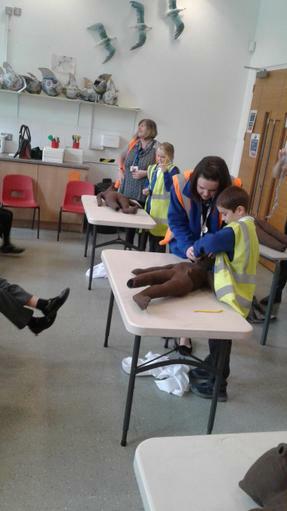 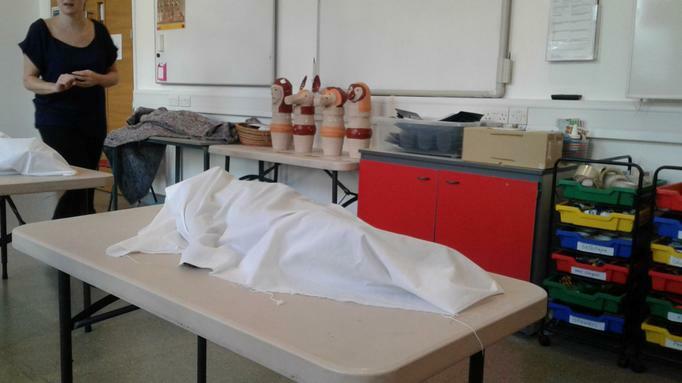 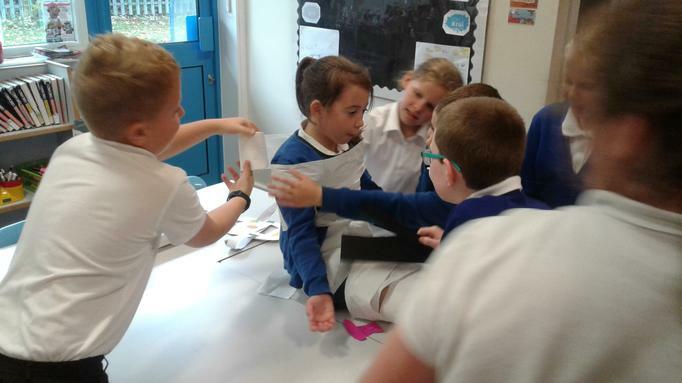 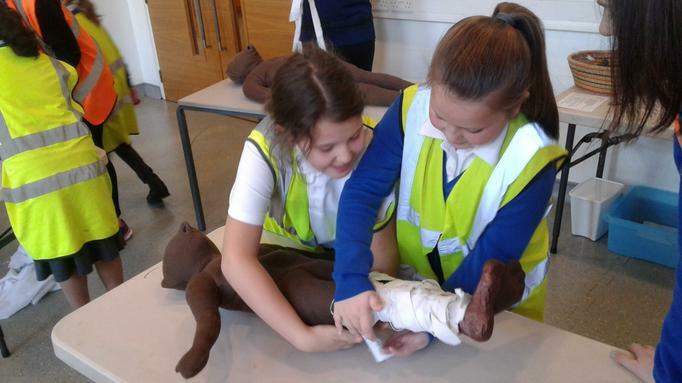 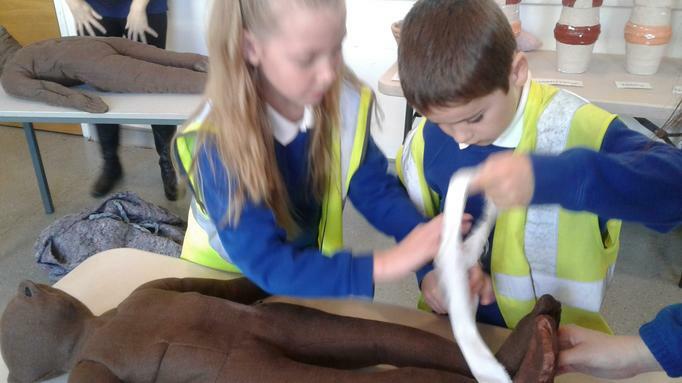 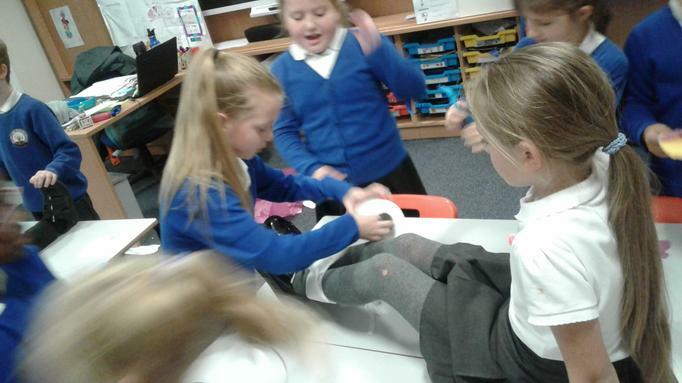 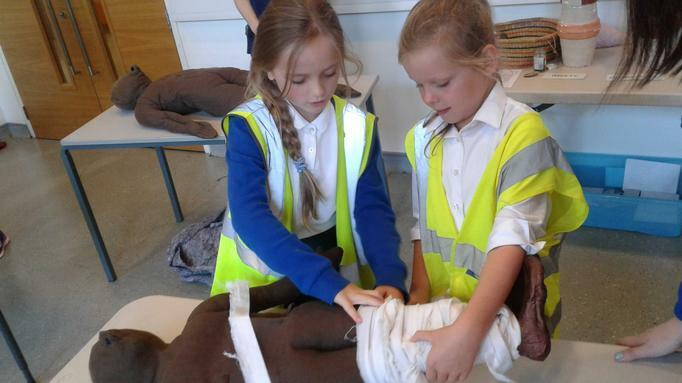 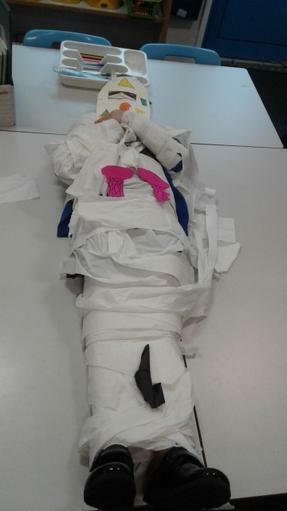 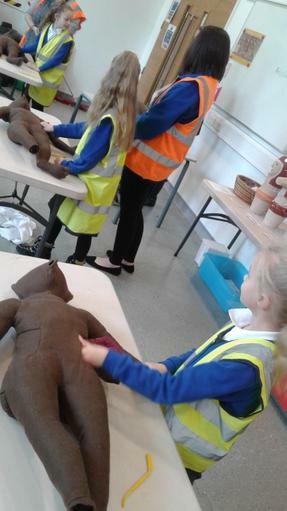 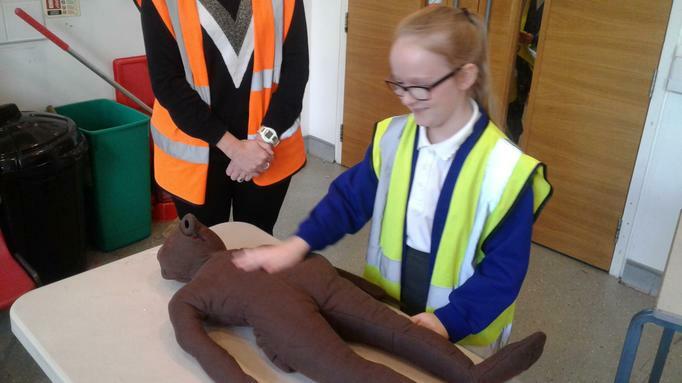 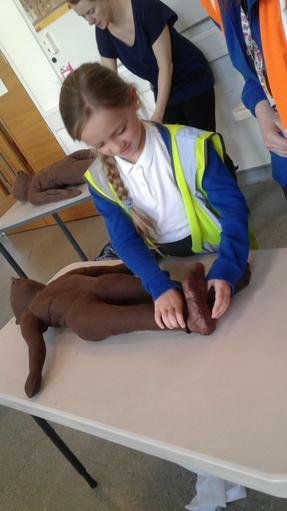 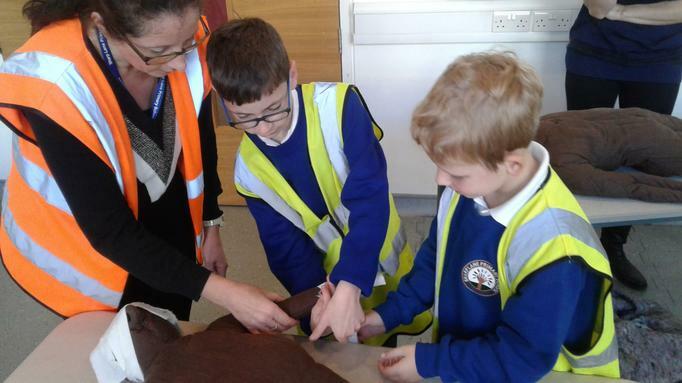 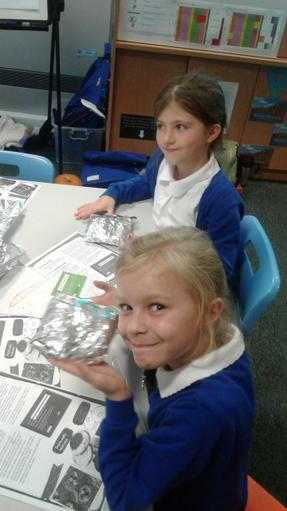 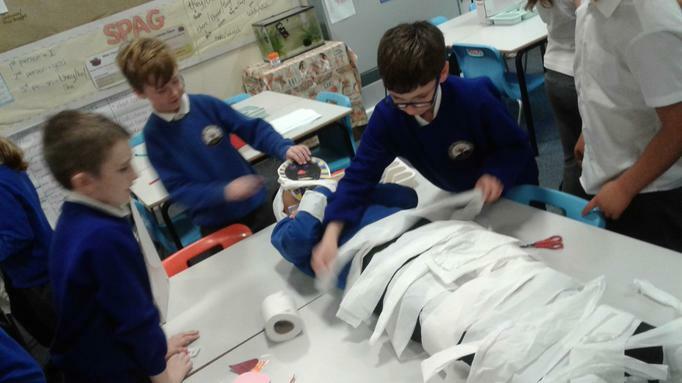 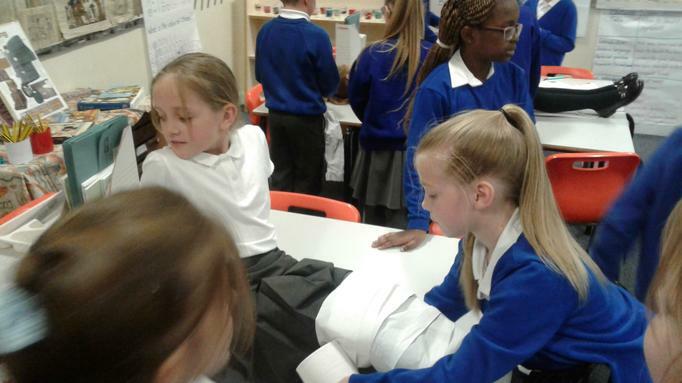 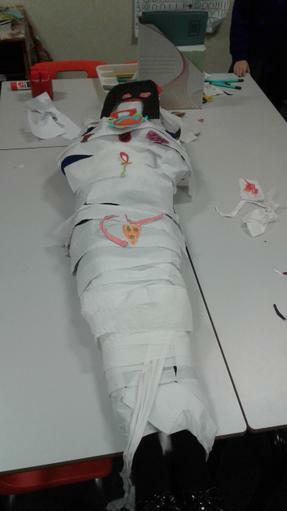 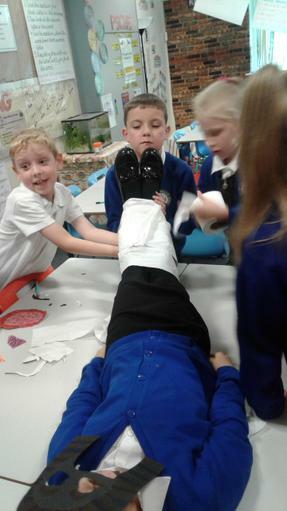 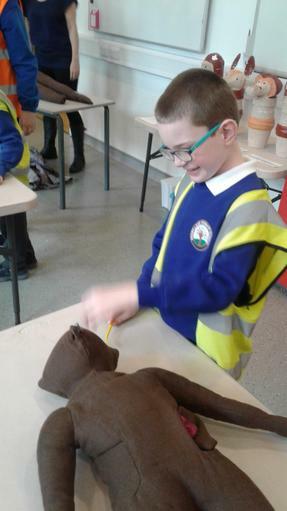 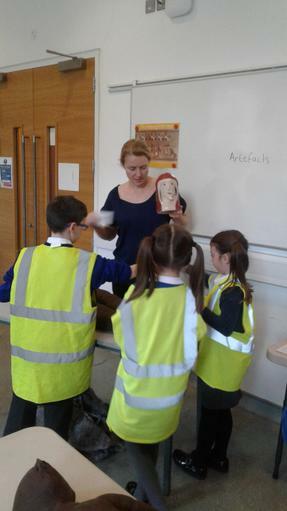 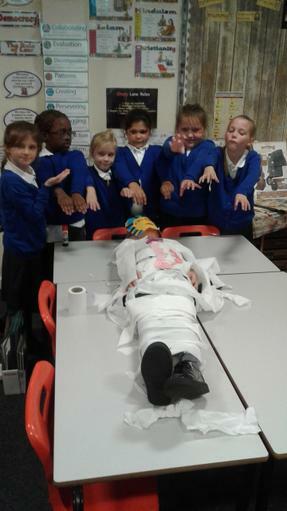 We had a great time mummifying some of our friends. 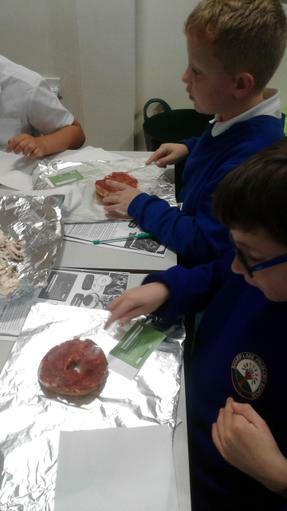 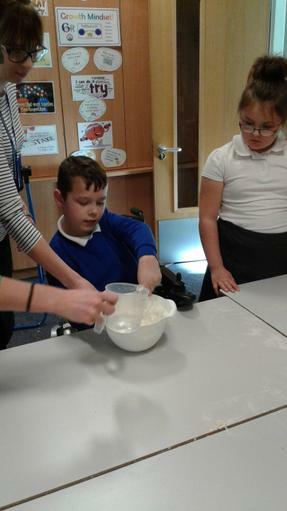 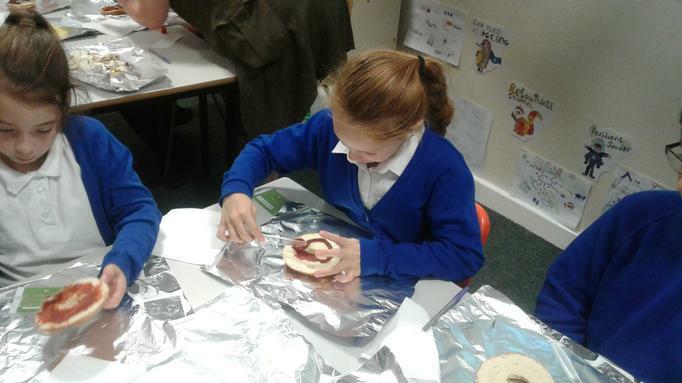 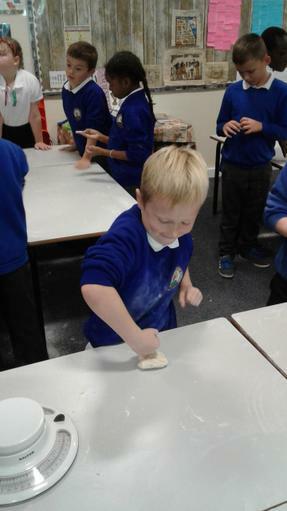 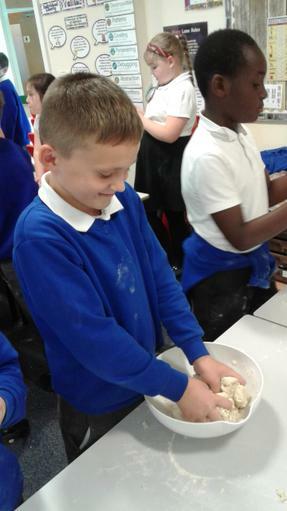 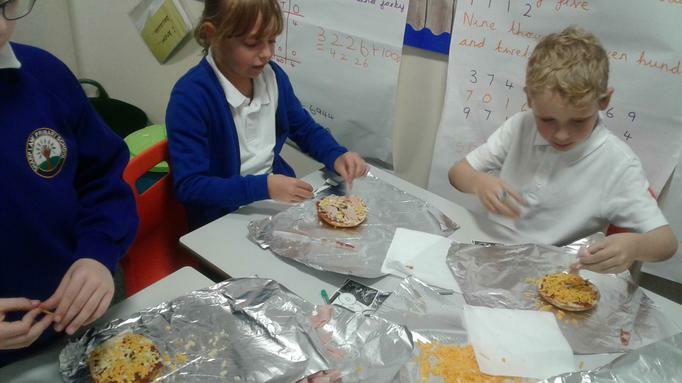 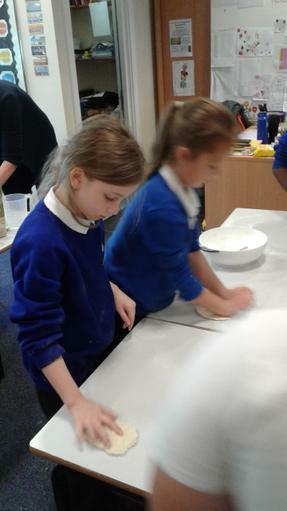 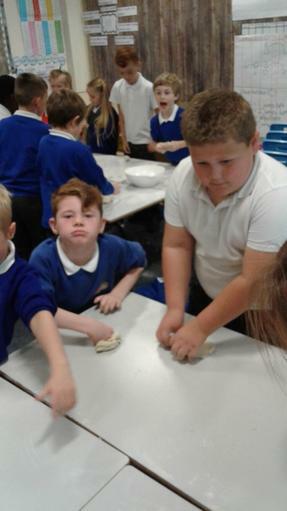 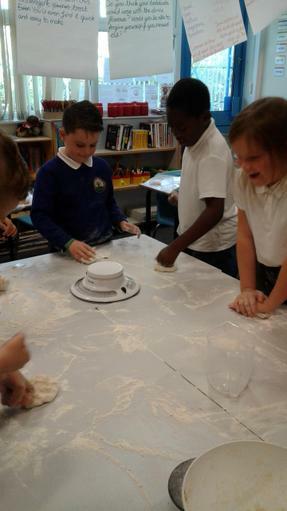 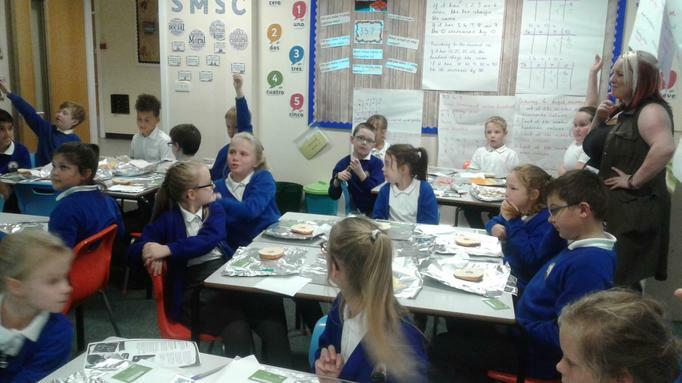 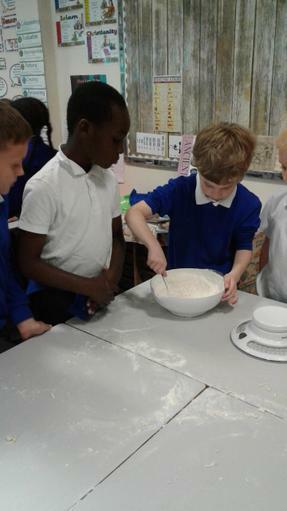 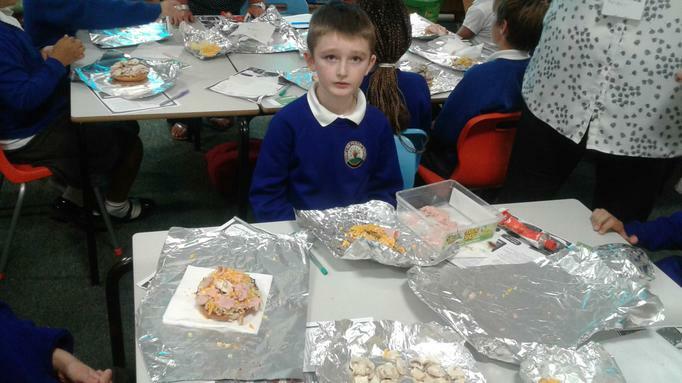 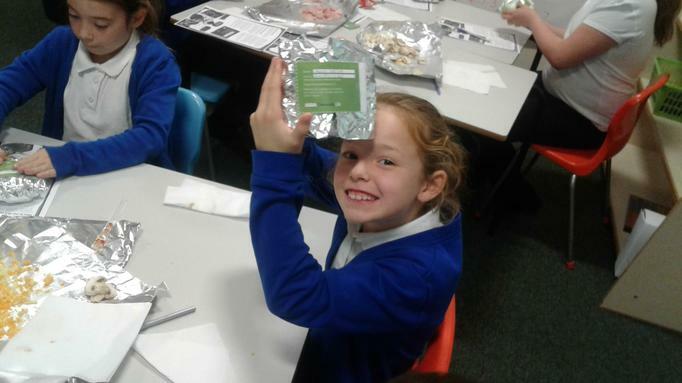 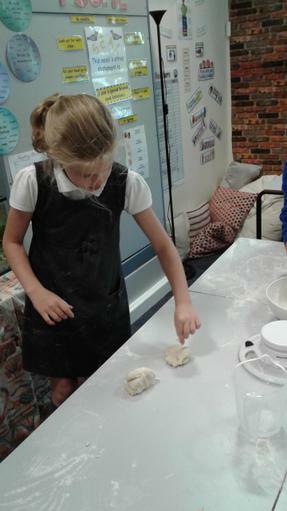 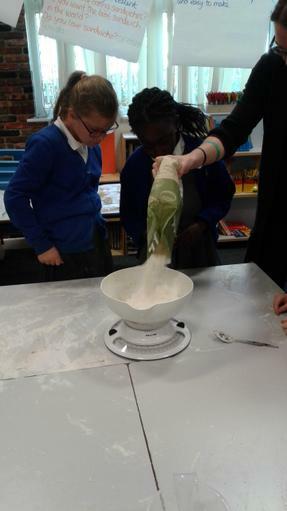 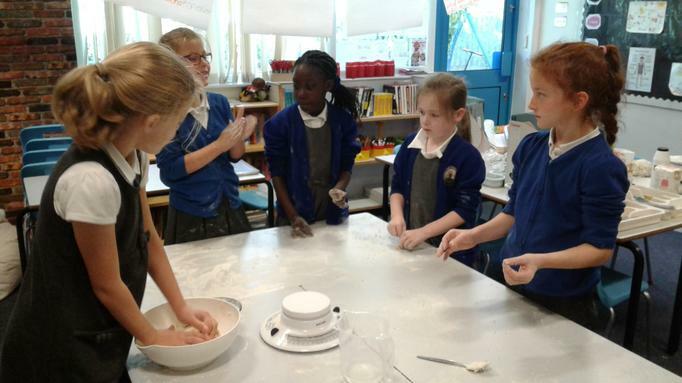 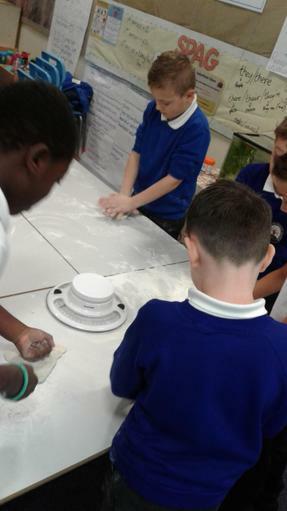 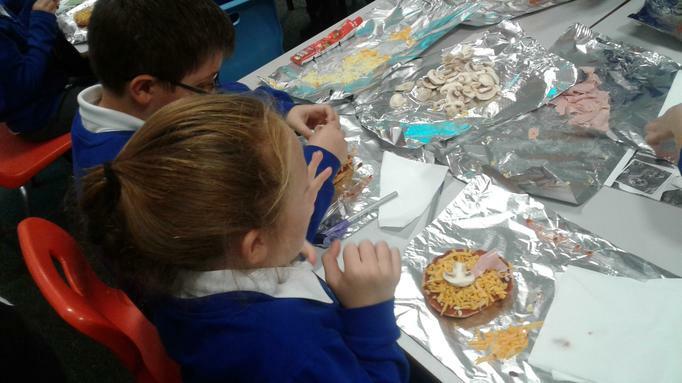 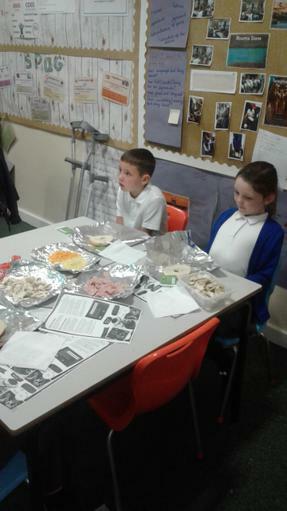 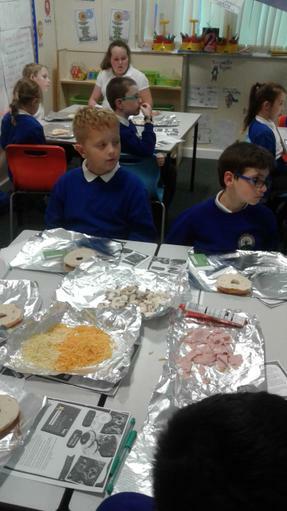 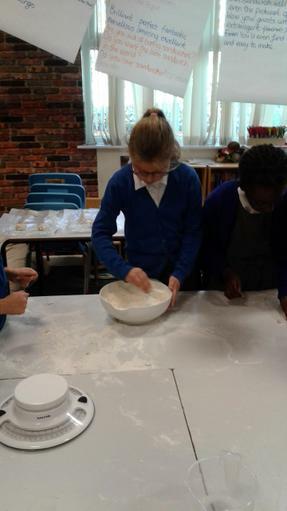 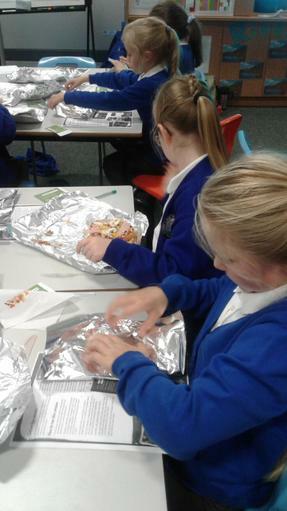 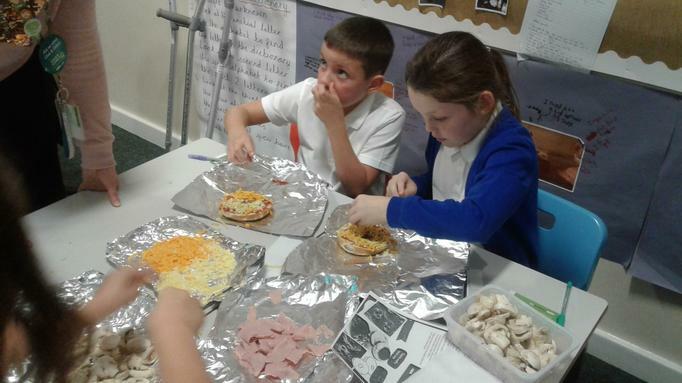 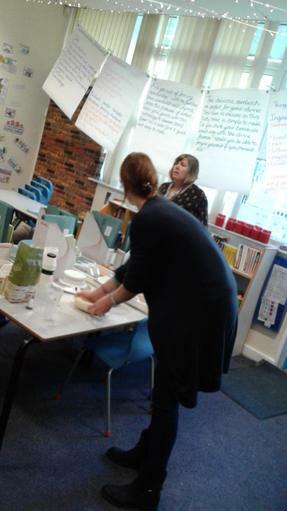 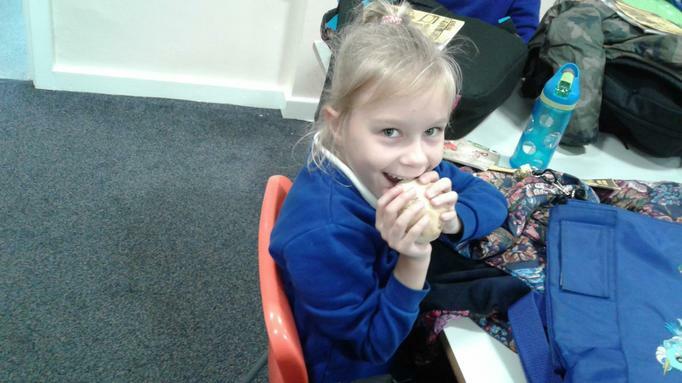 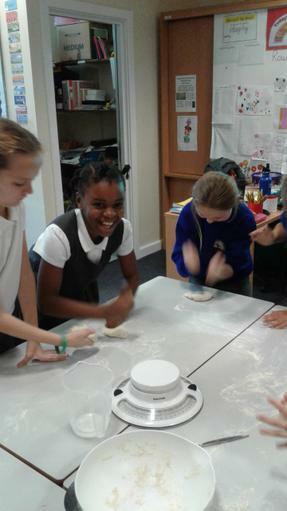 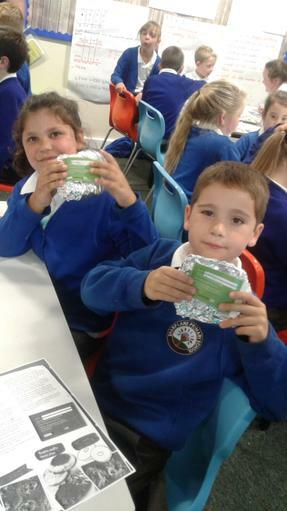 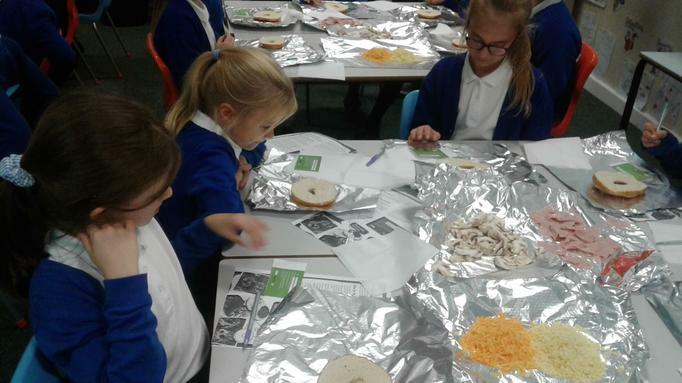 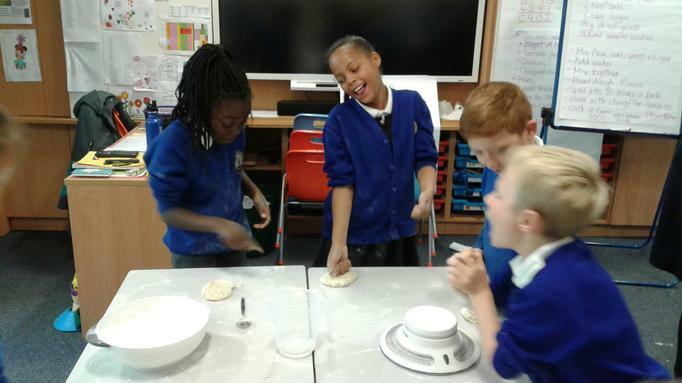 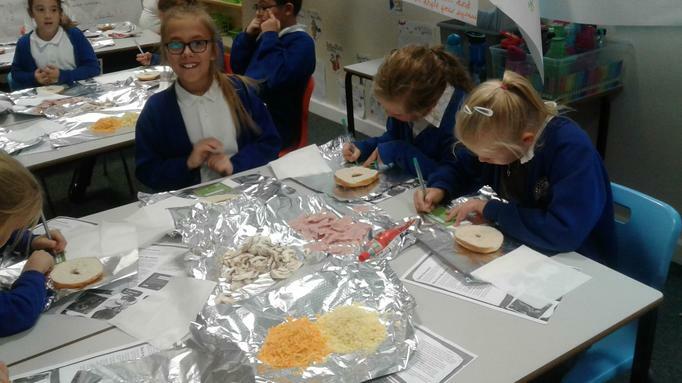 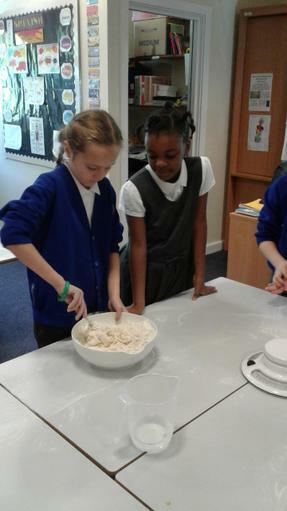 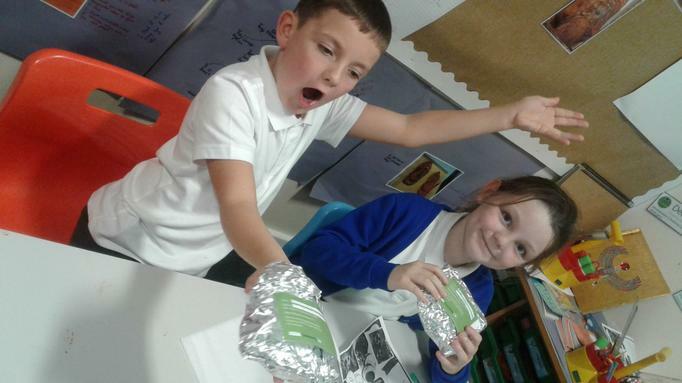 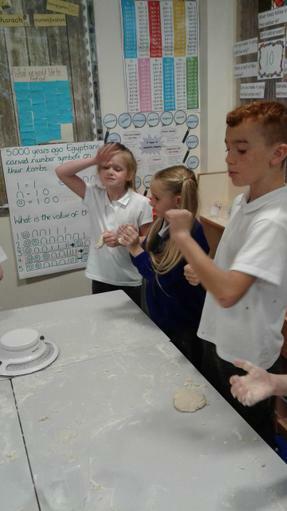 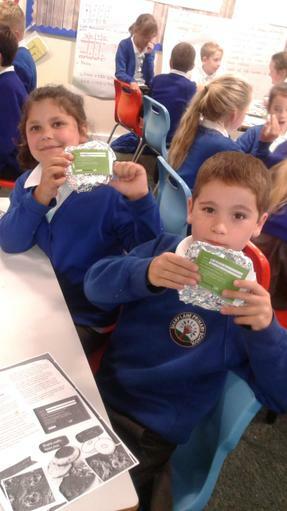 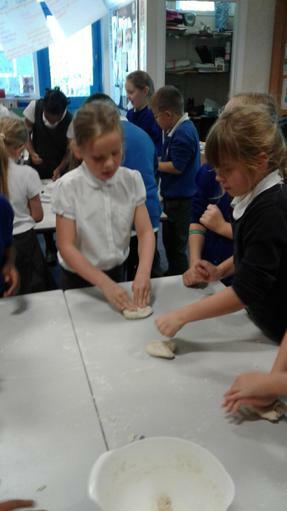 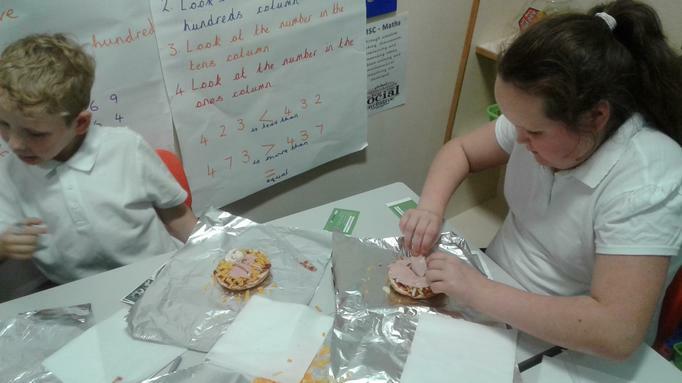 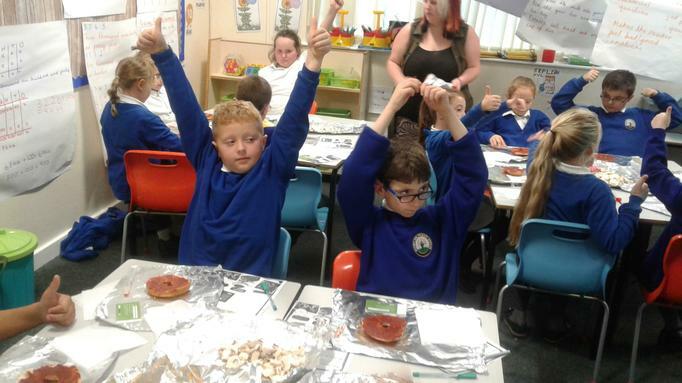 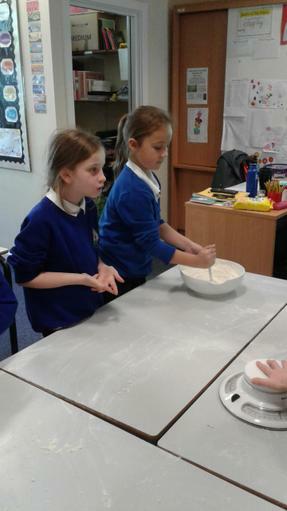 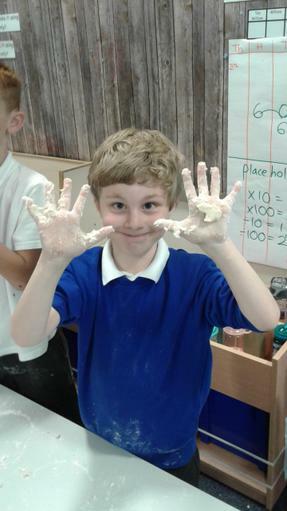 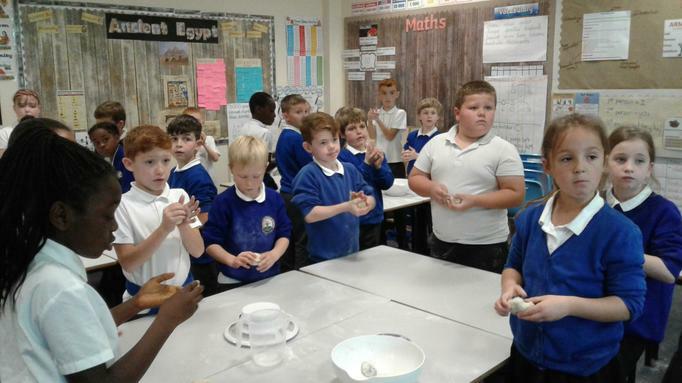 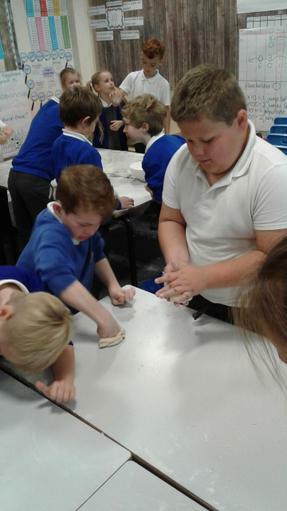 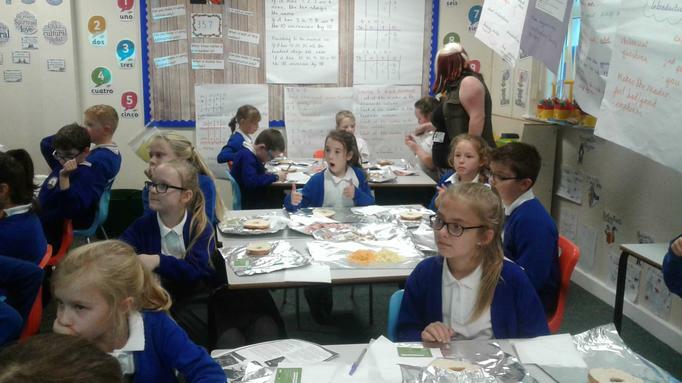 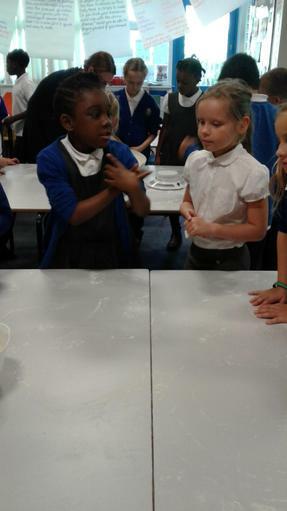 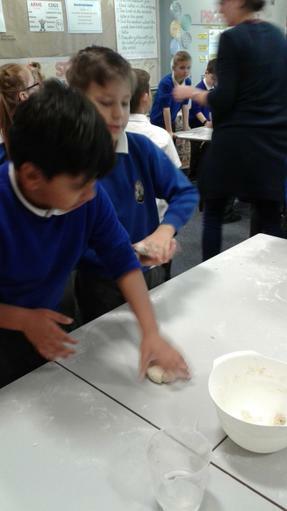 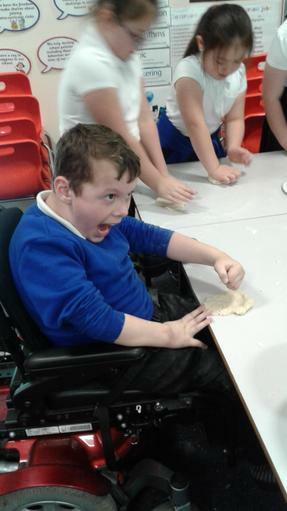 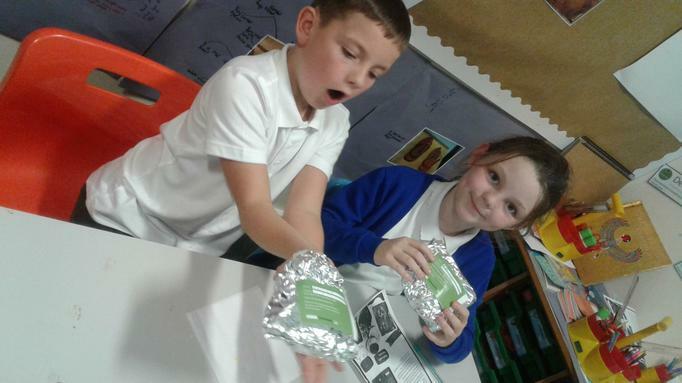 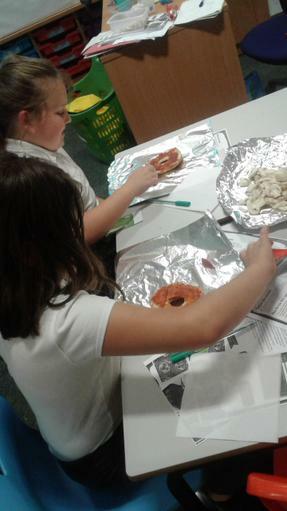 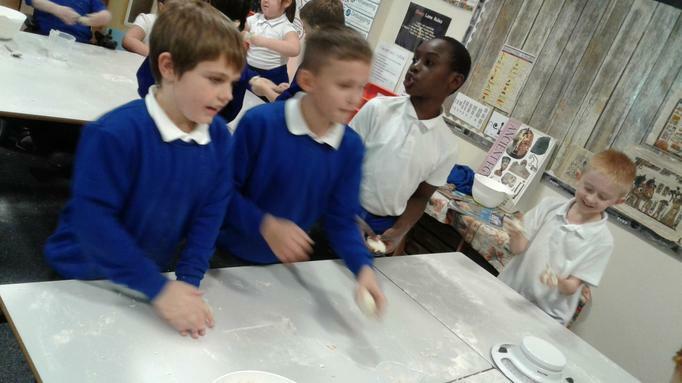 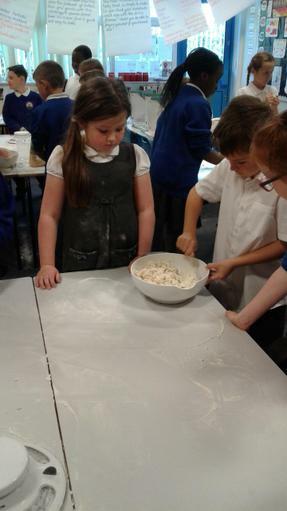 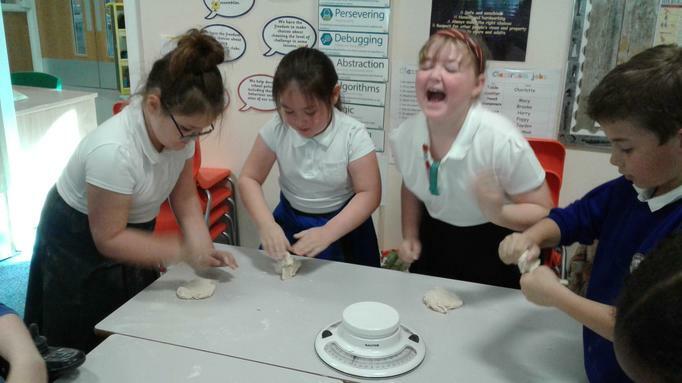 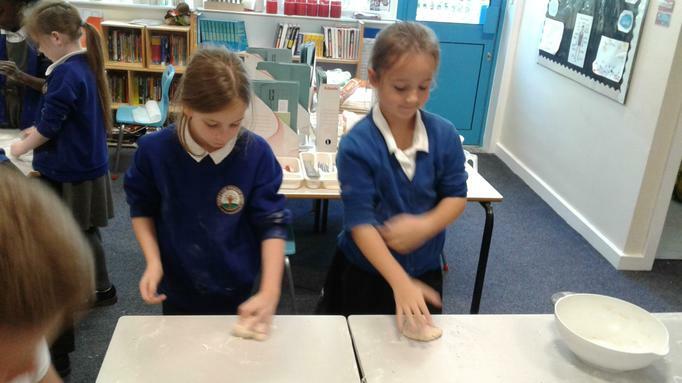 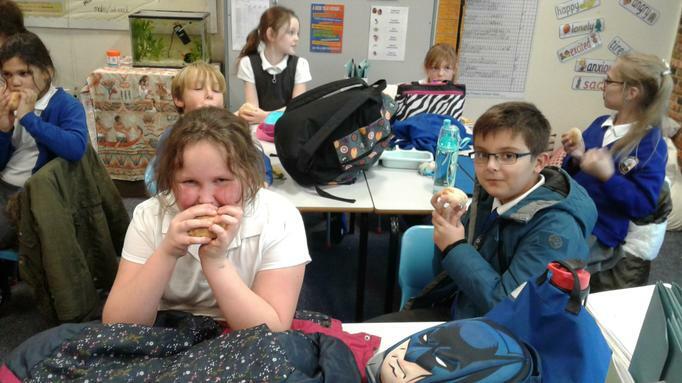 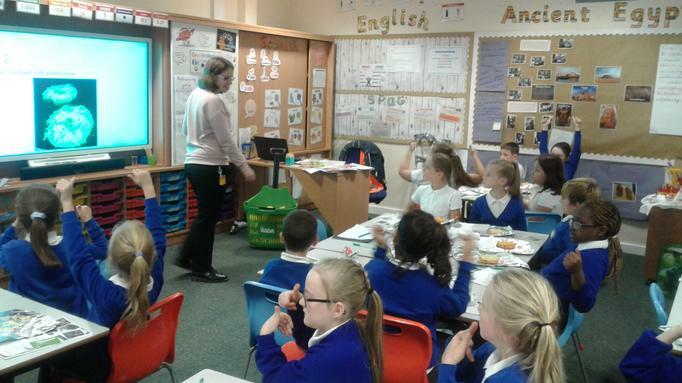 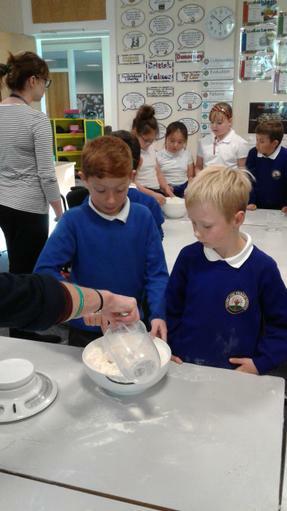 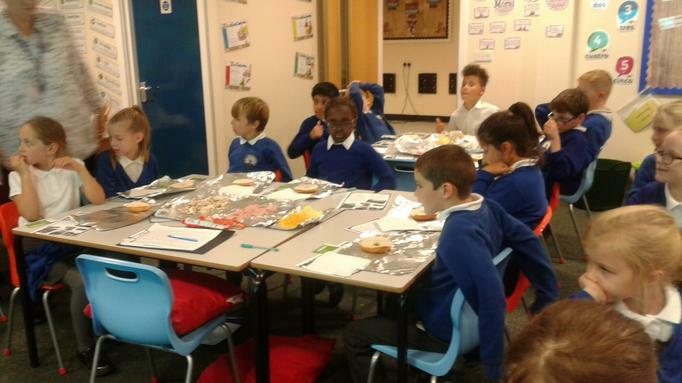 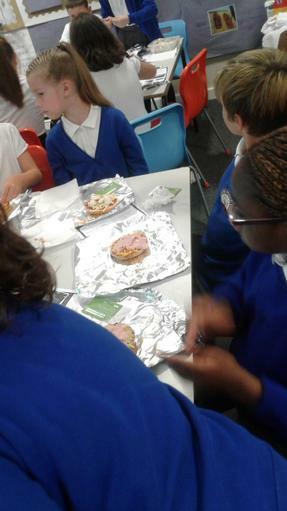 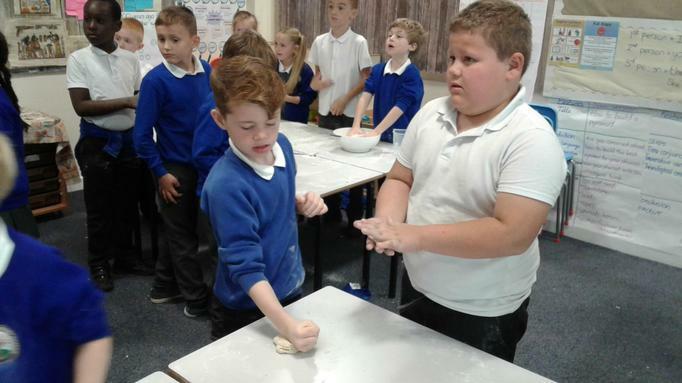 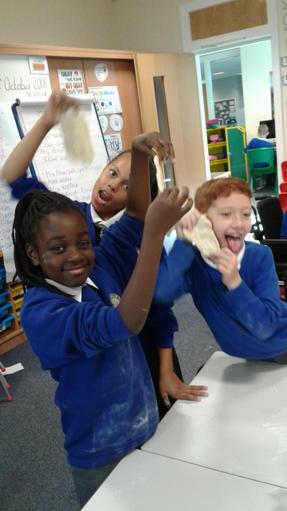 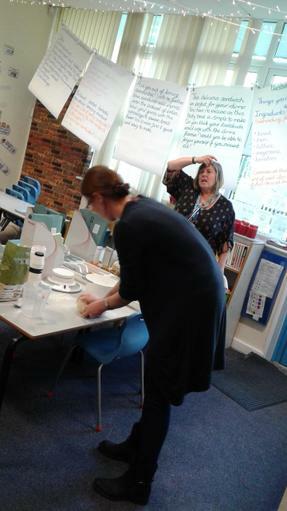 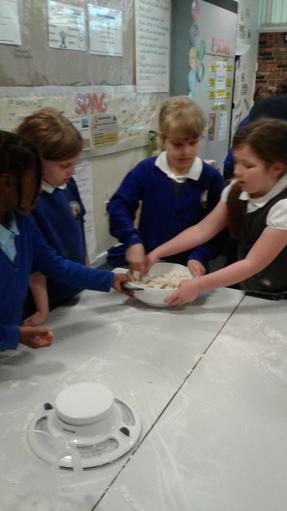 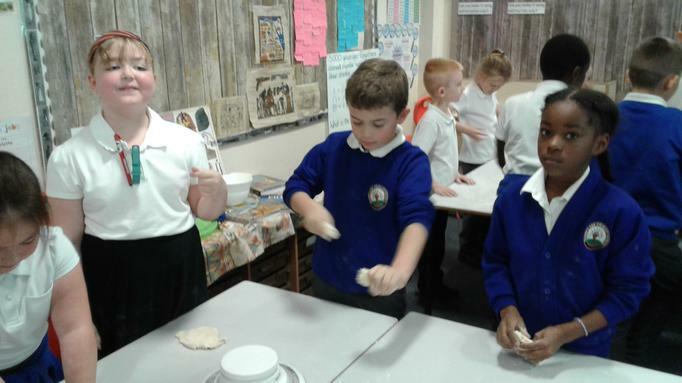 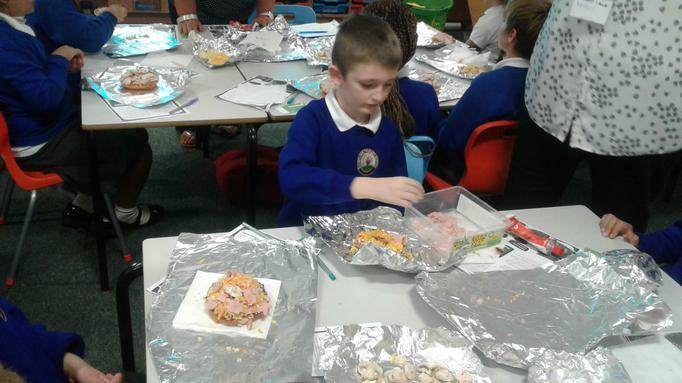 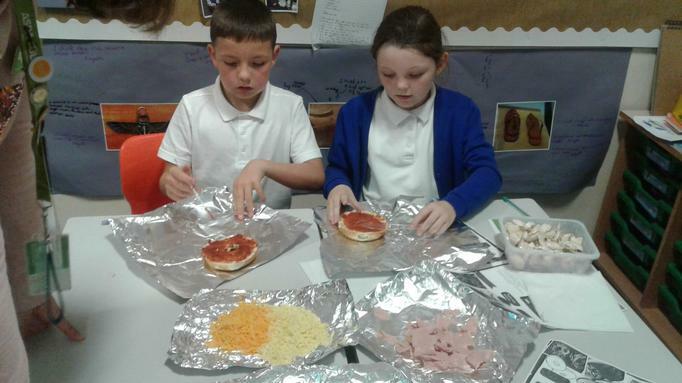 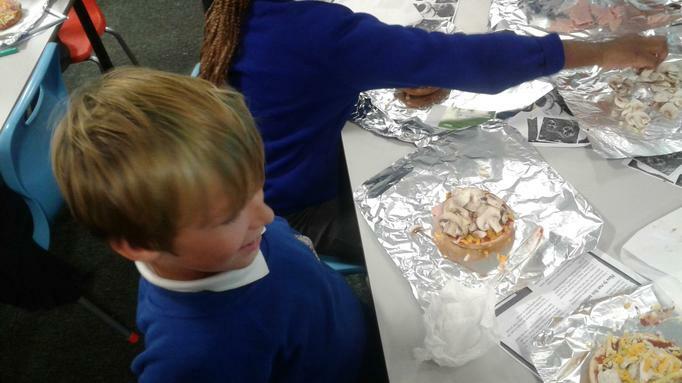 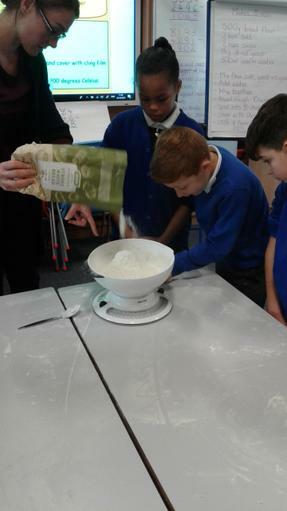 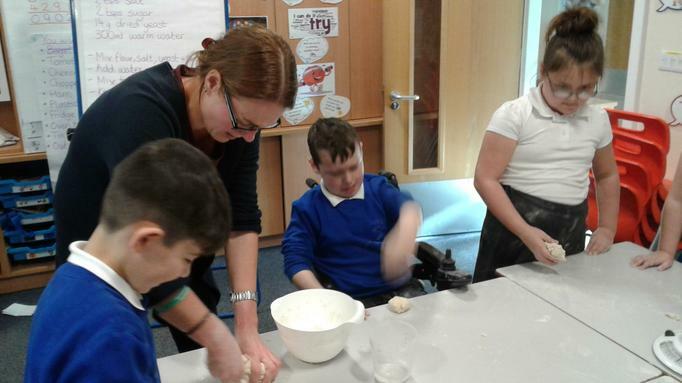 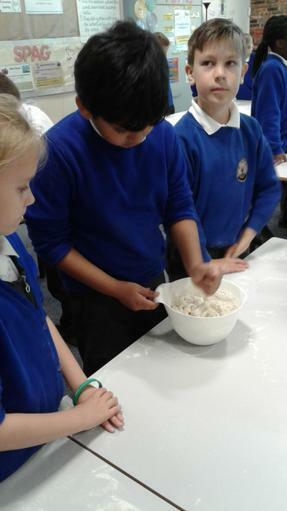 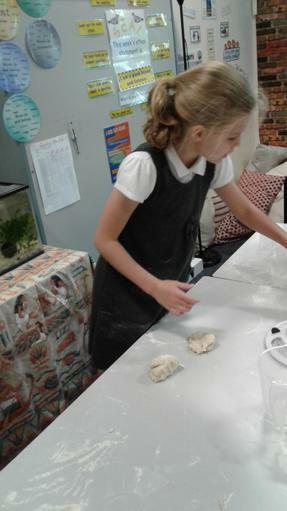 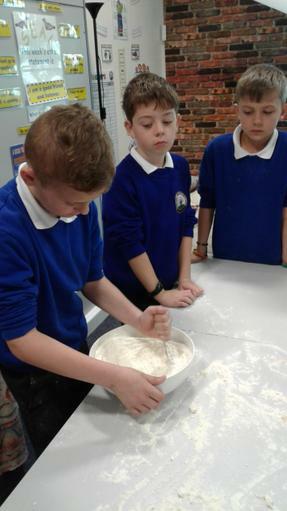 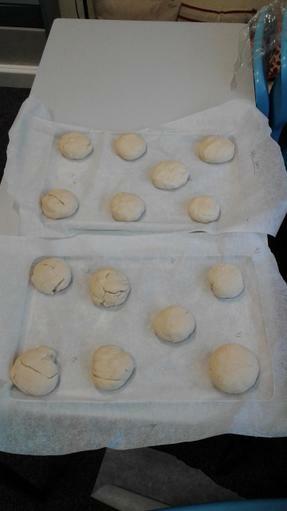 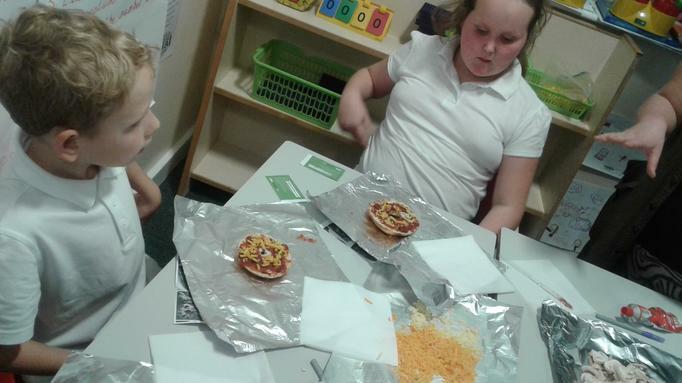 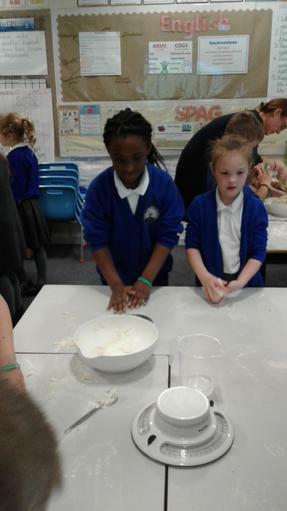 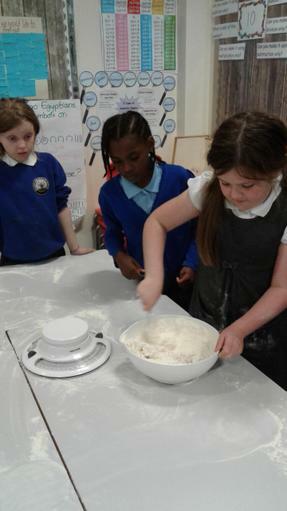 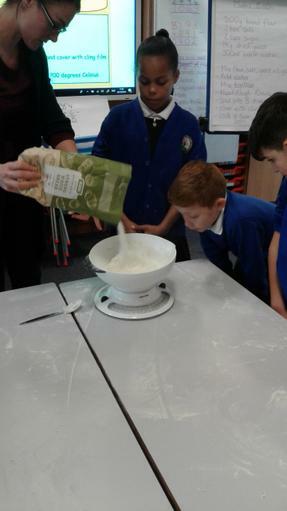 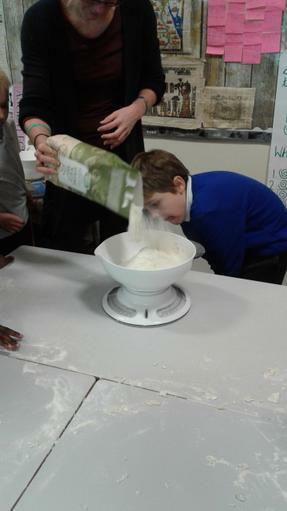 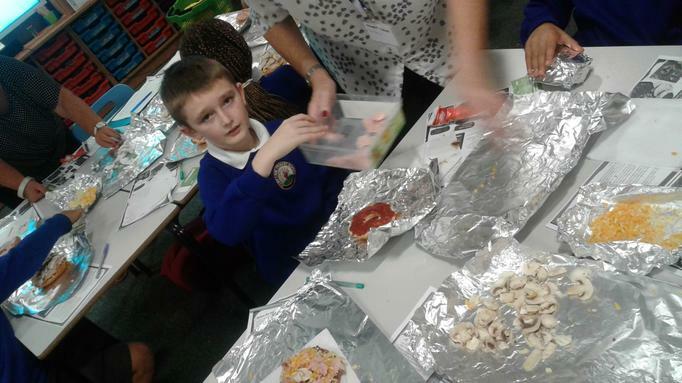 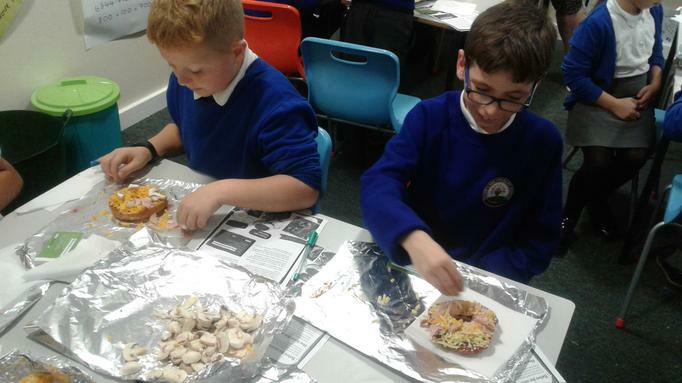 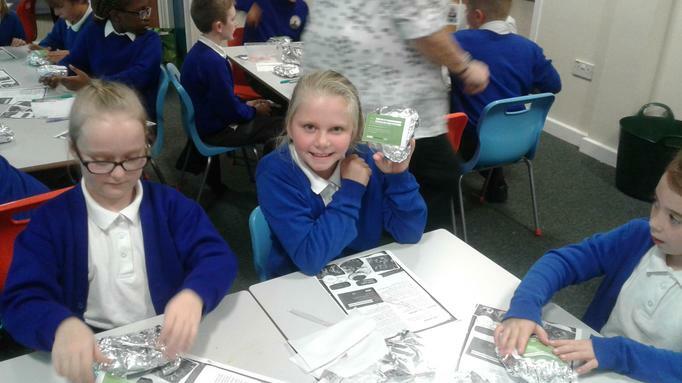 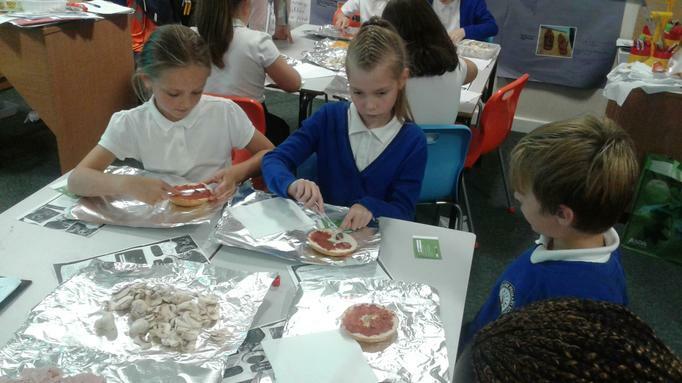 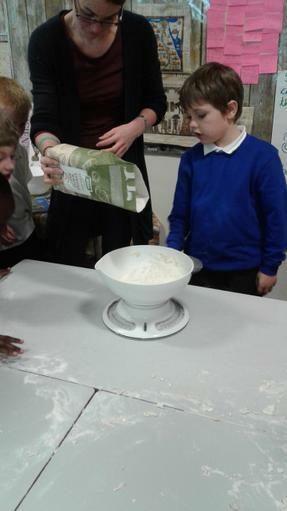 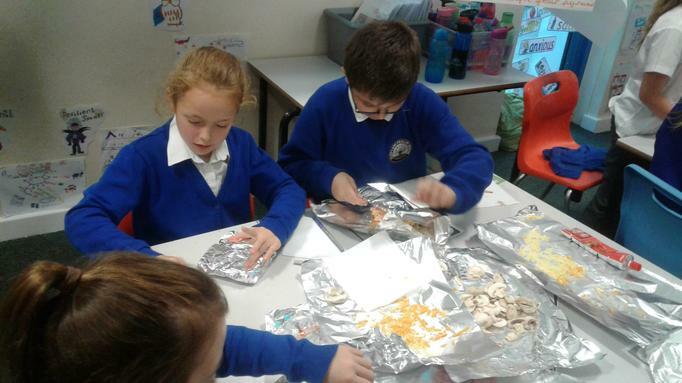 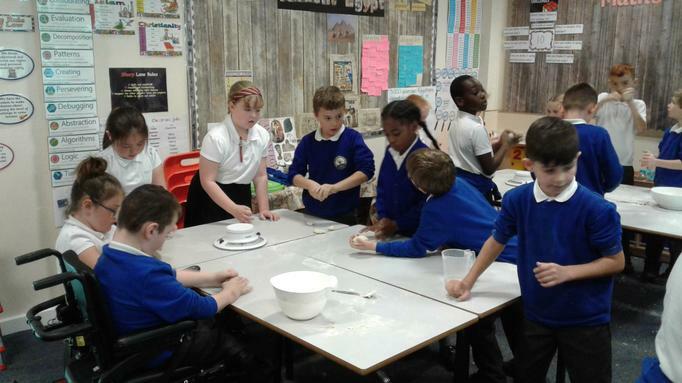 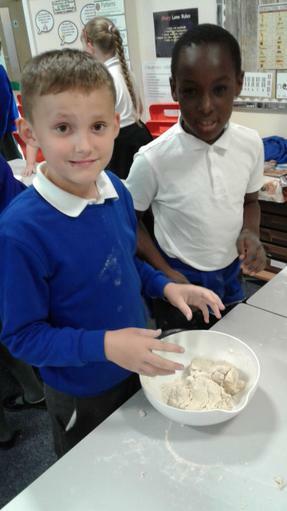 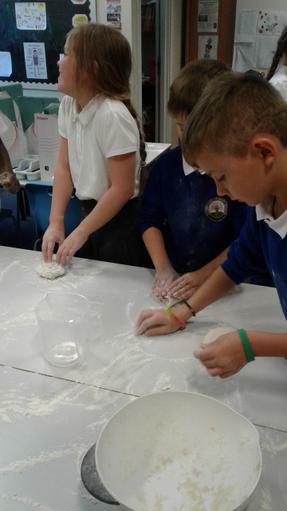 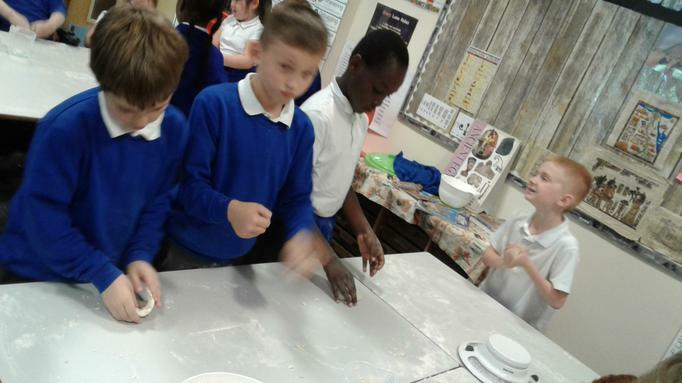 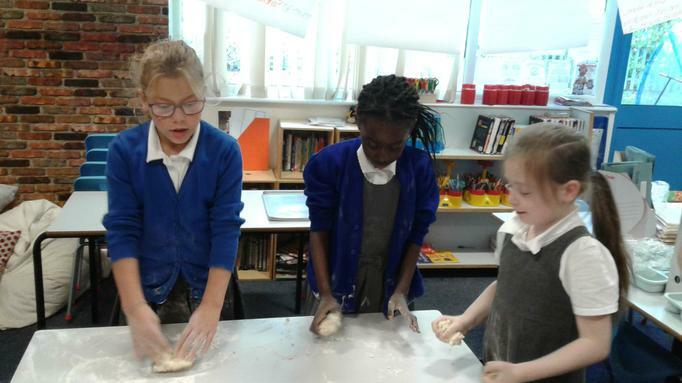 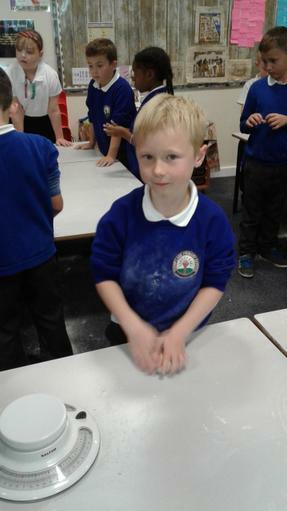 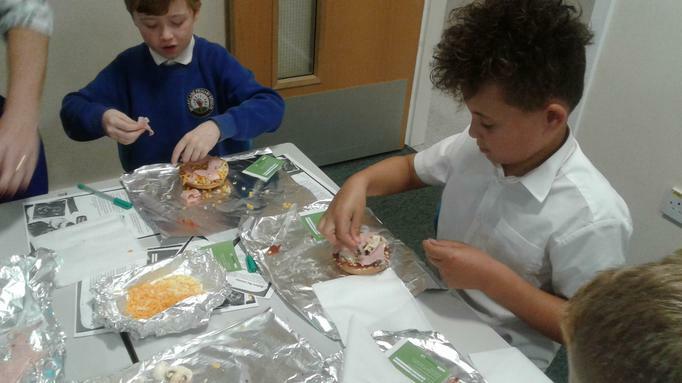 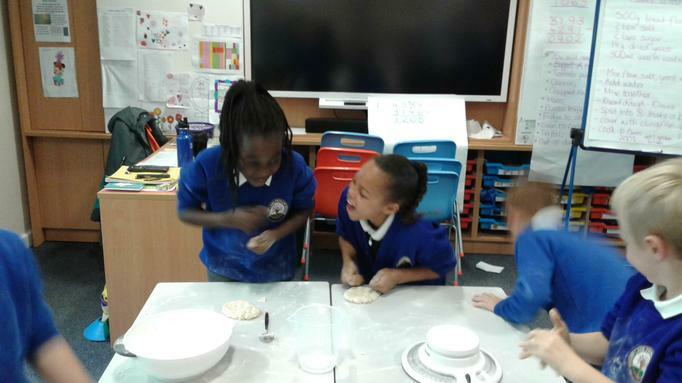 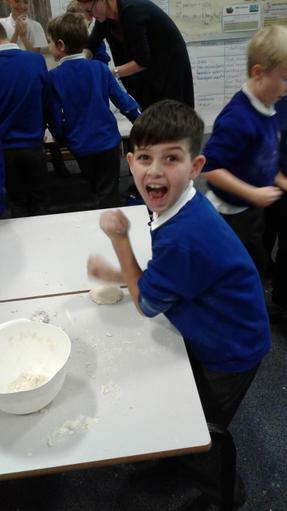 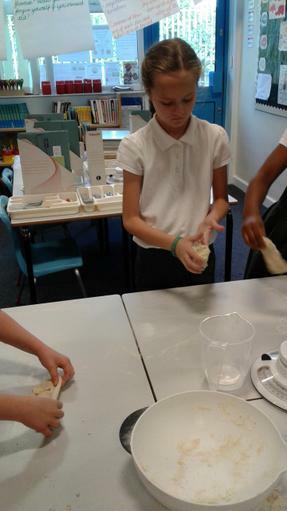 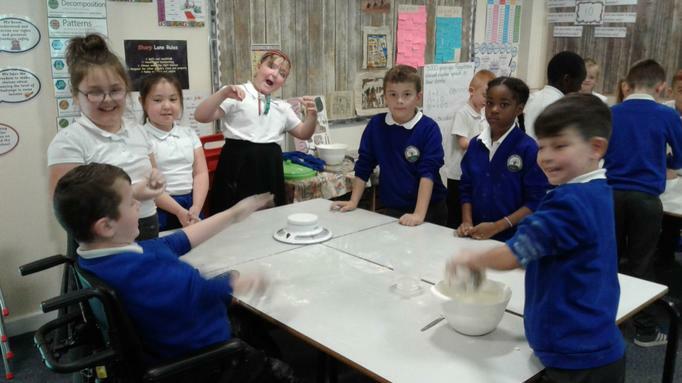 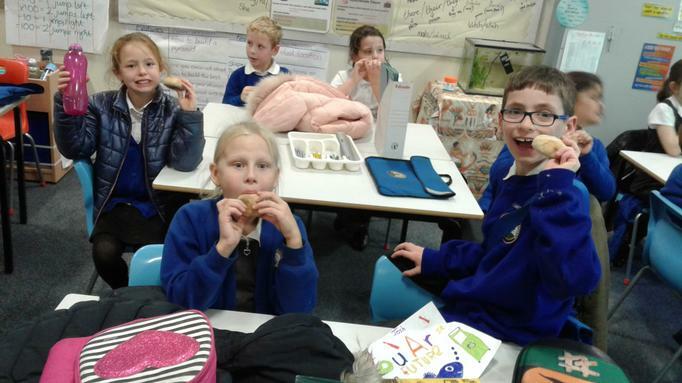 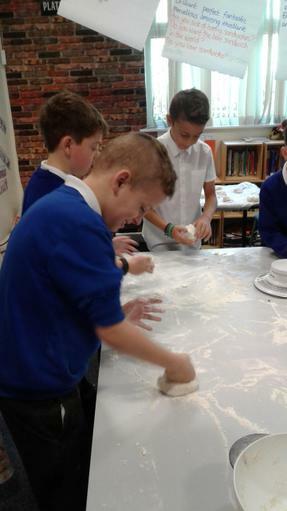 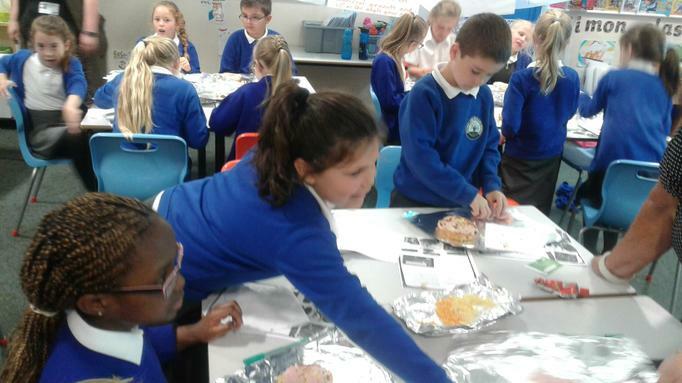 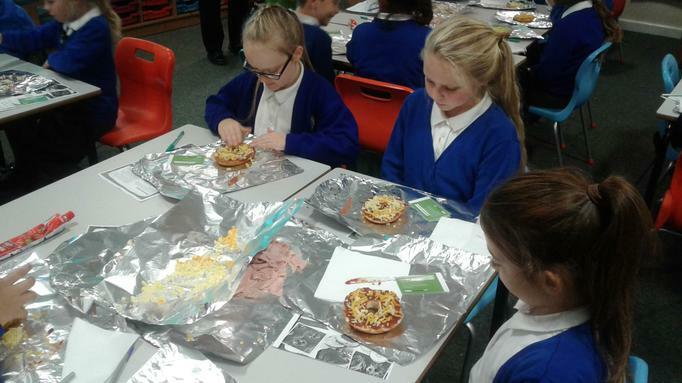 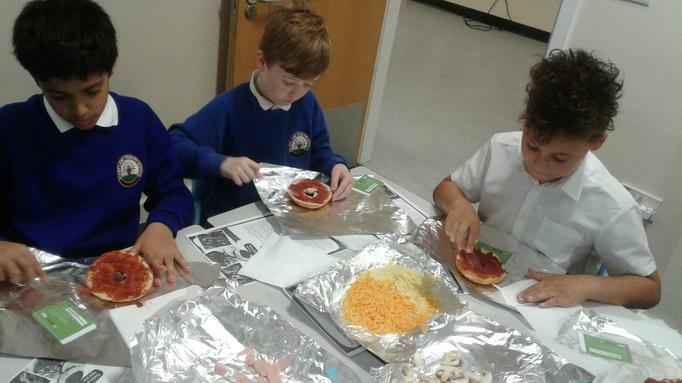 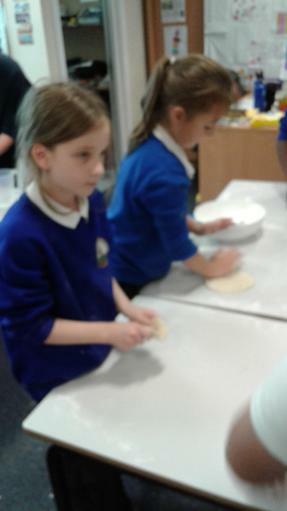 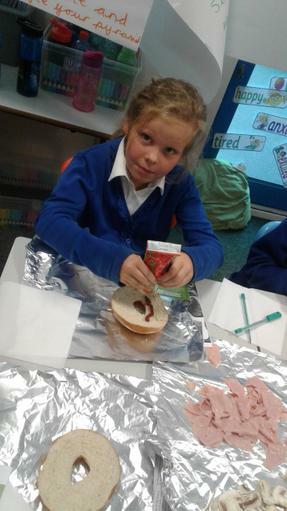 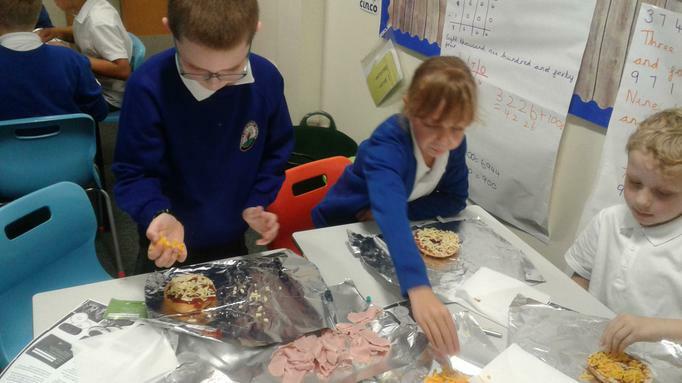 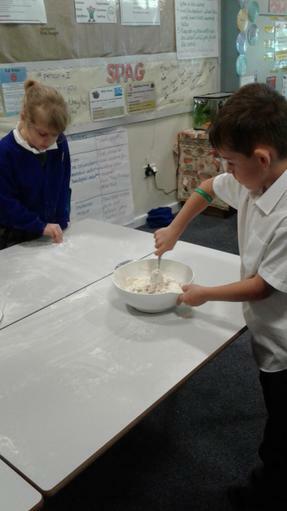 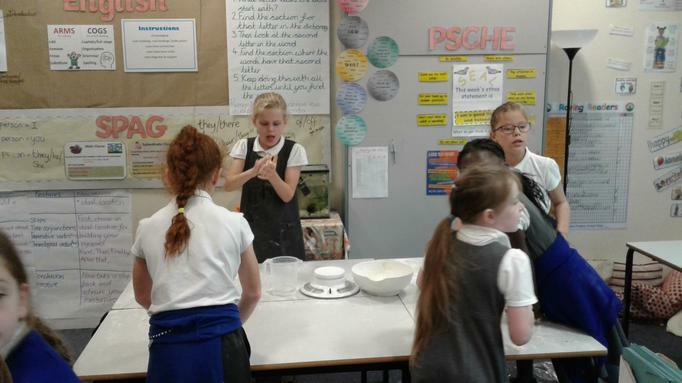 We are looking forward to trying the pizzas we made today! 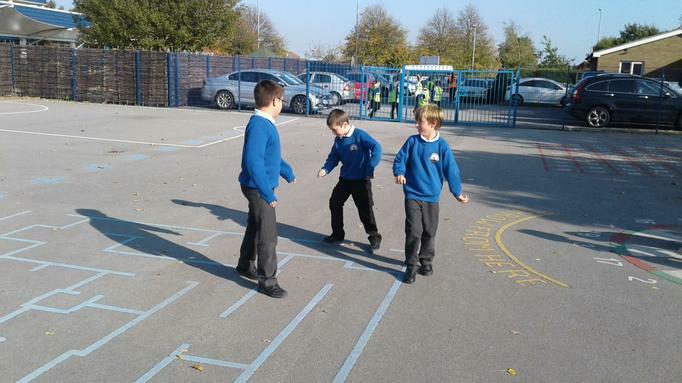 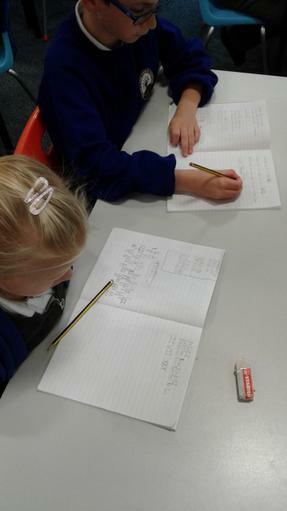 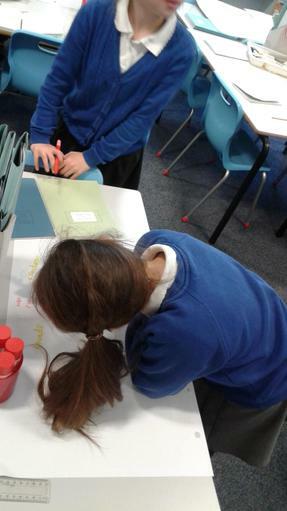 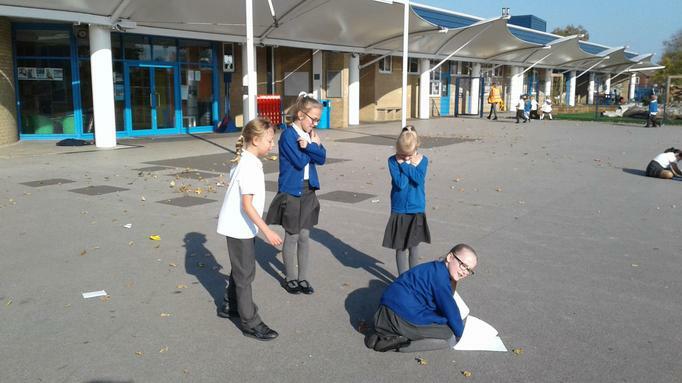 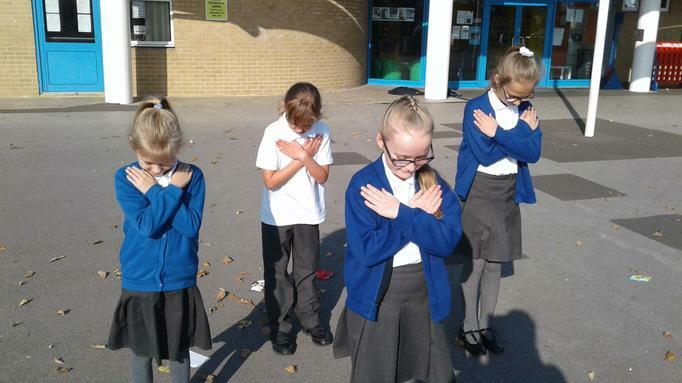 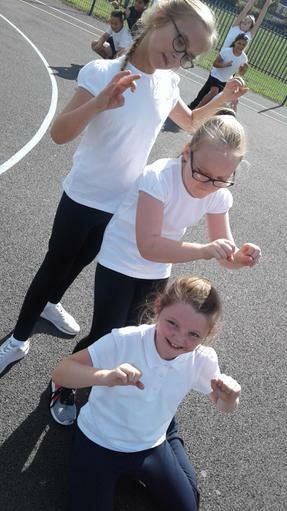 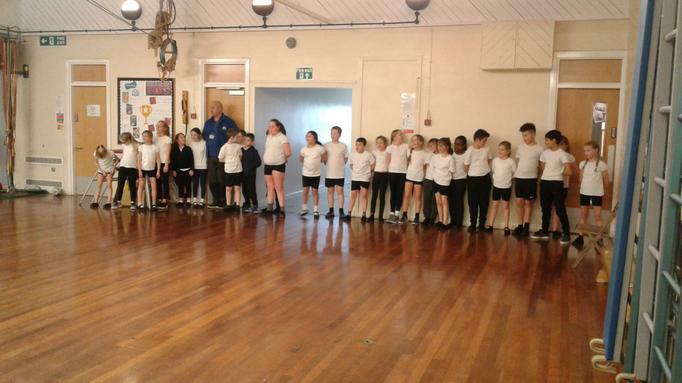 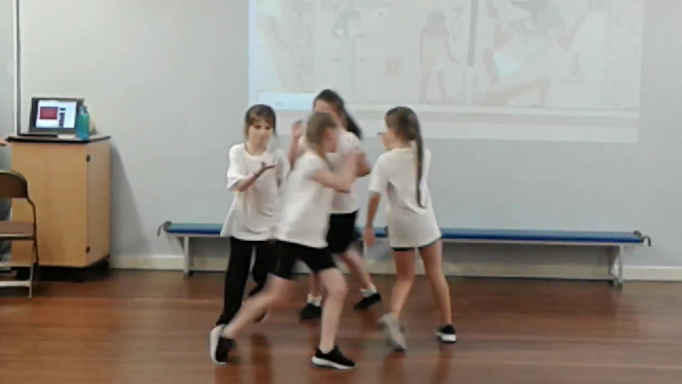 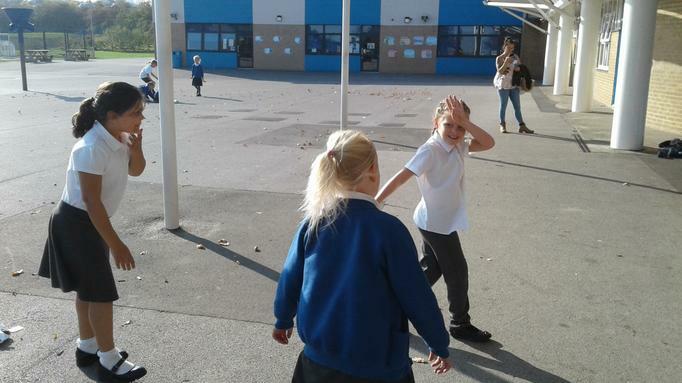 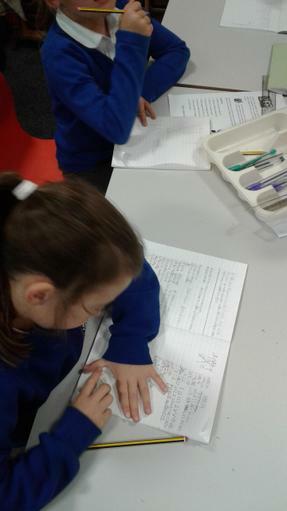 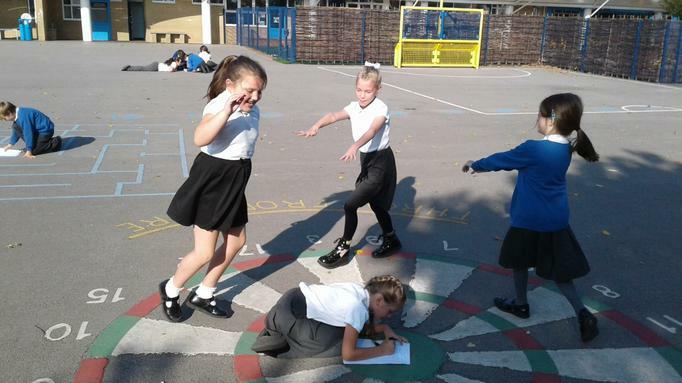 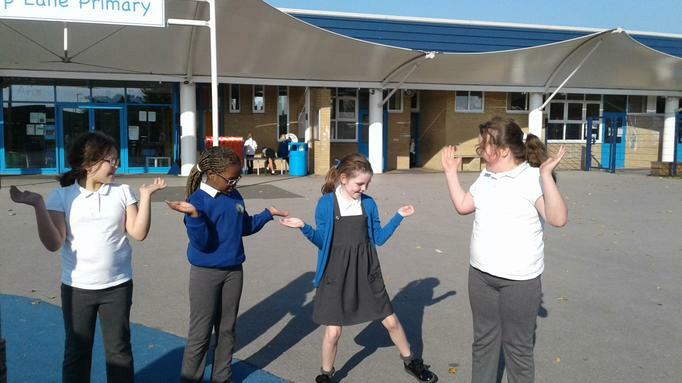 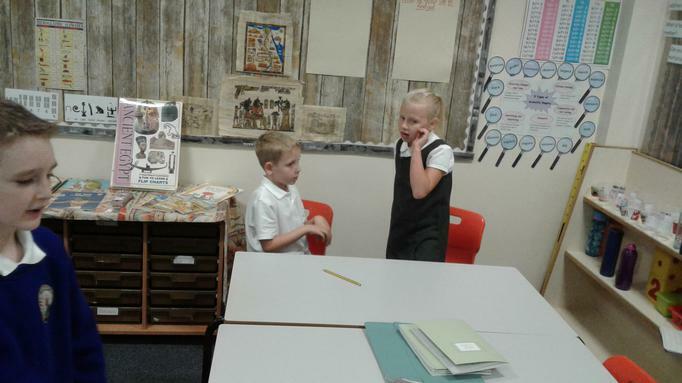 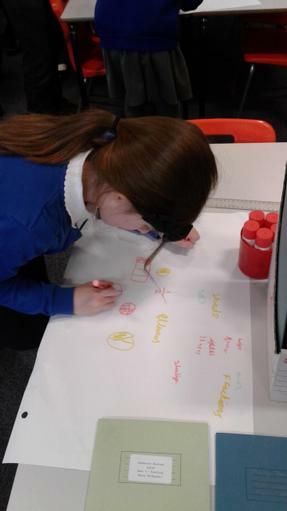 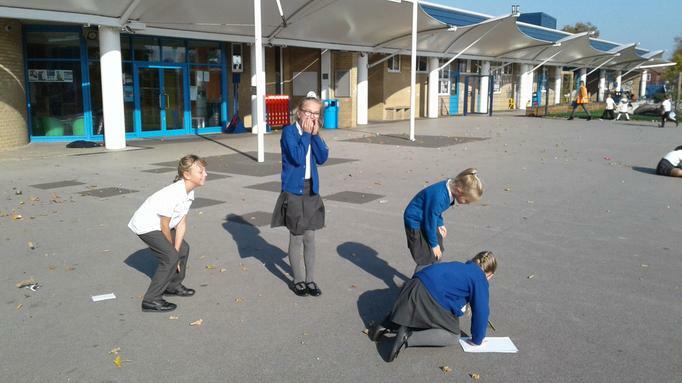 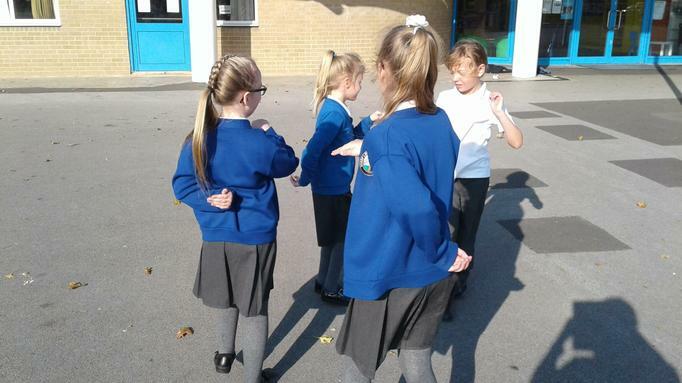 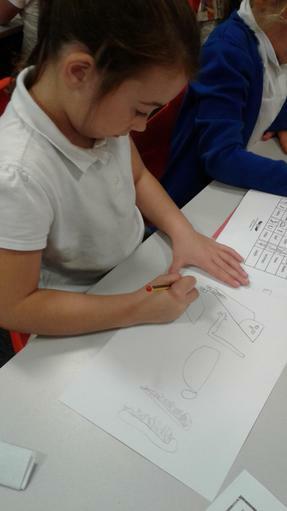 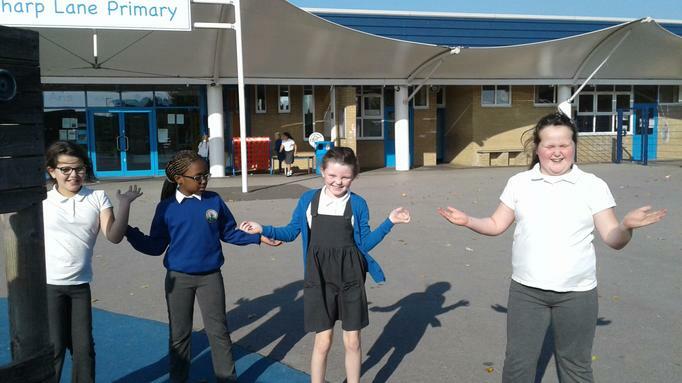 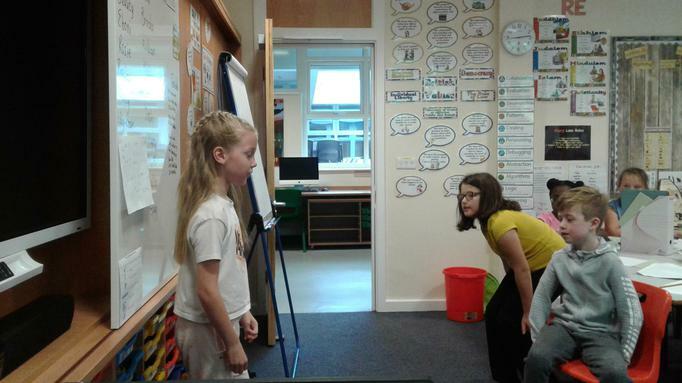 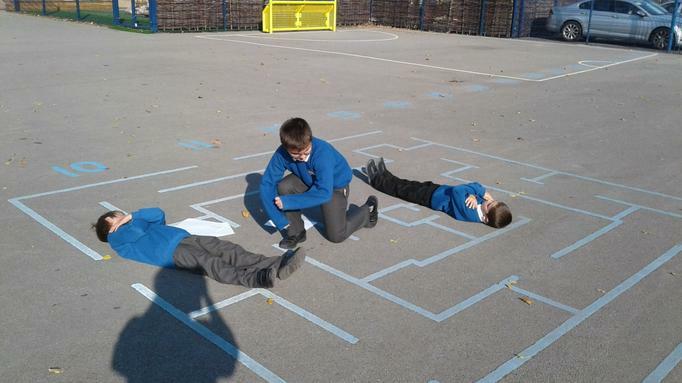 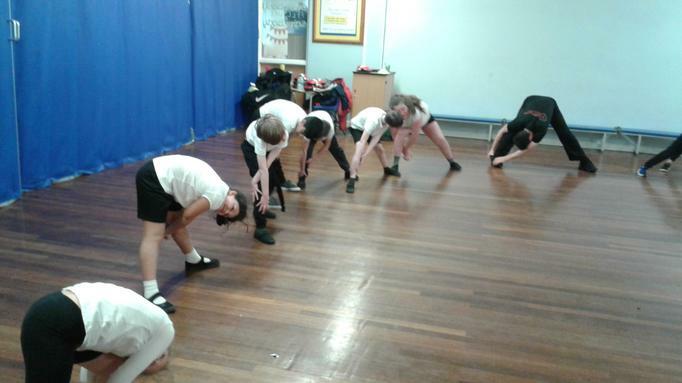 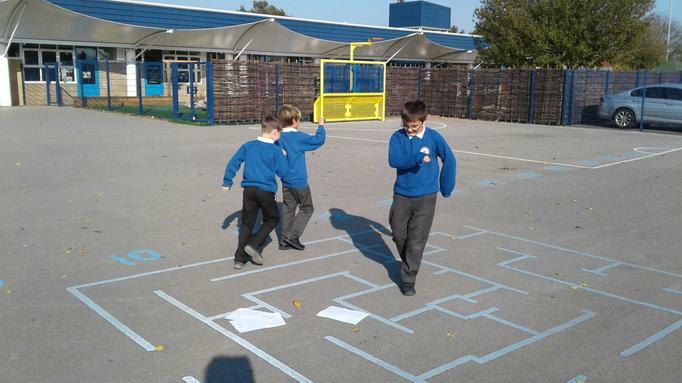 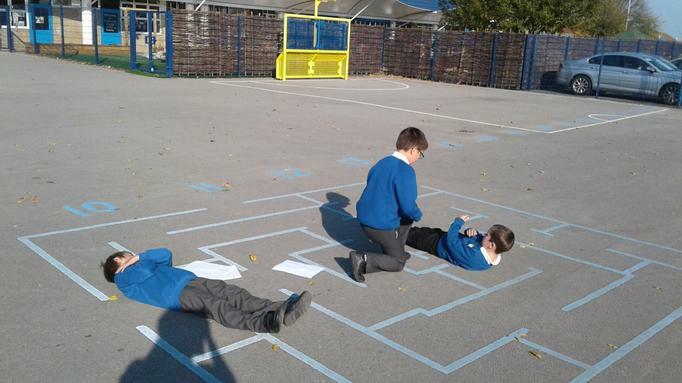 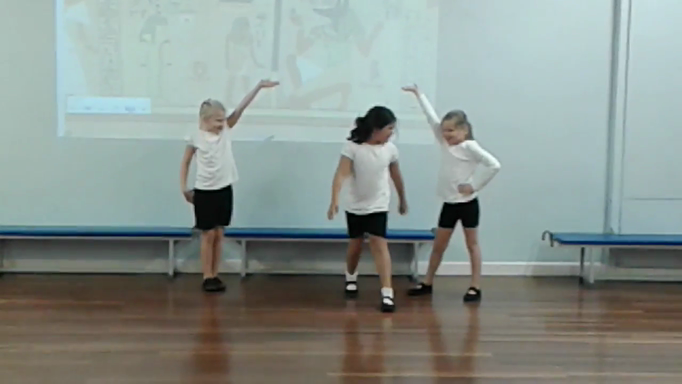 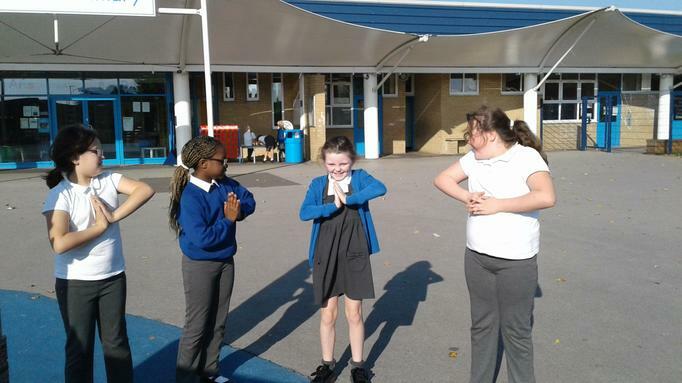 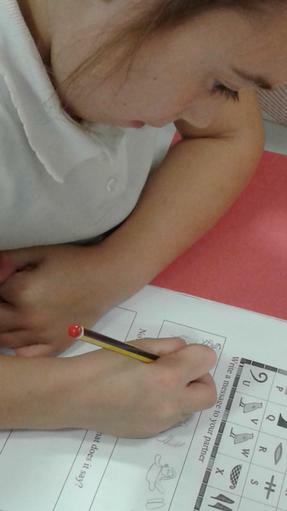 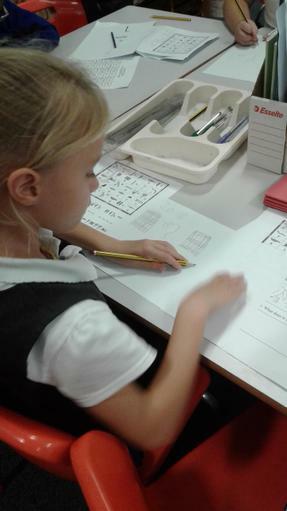 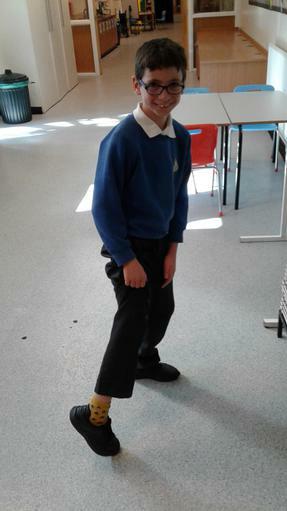 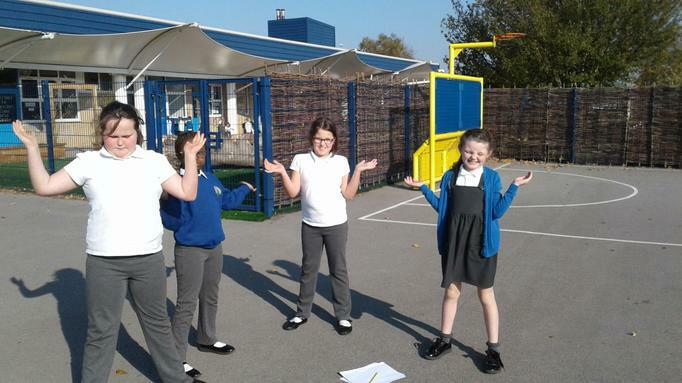 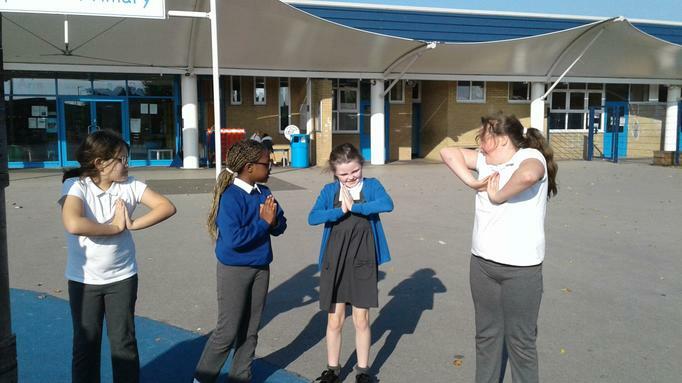 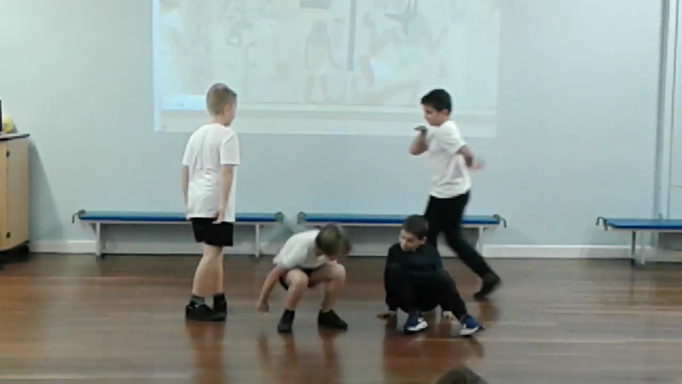 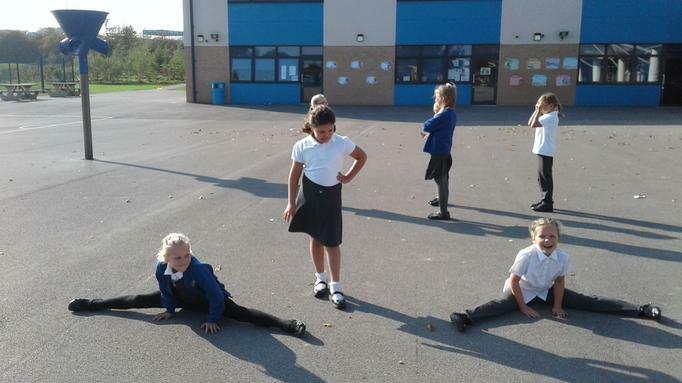 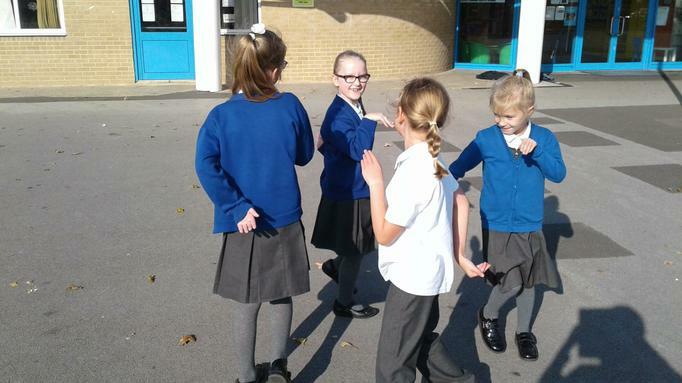 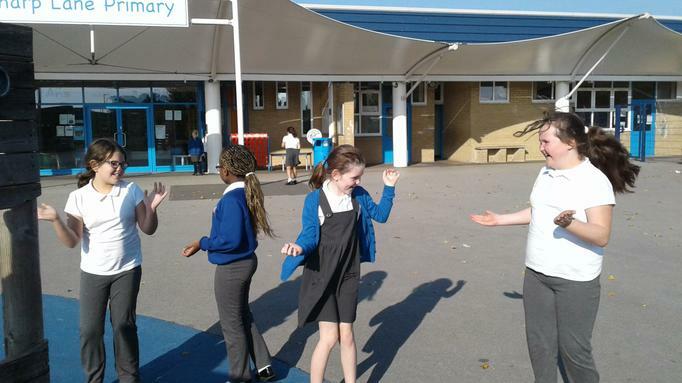 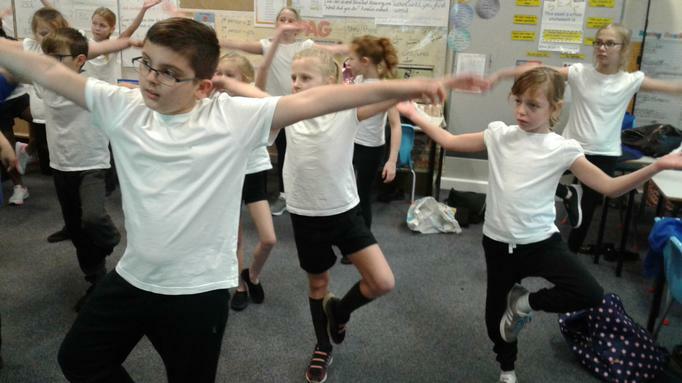 We enjoyed practising our Egyptian dances and have written down the steps so others can have a go at them. 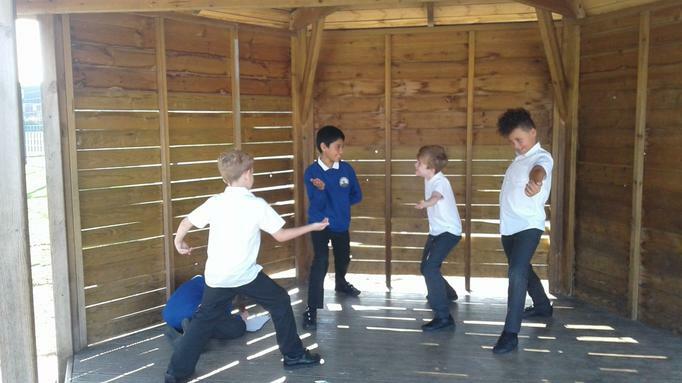 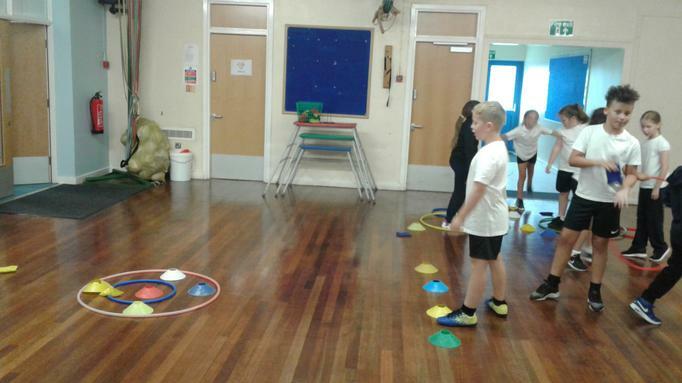 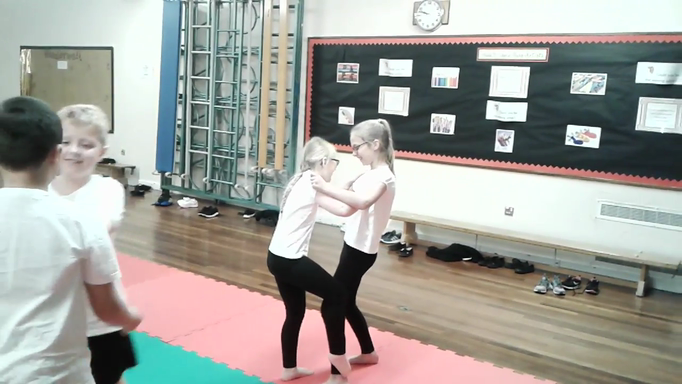 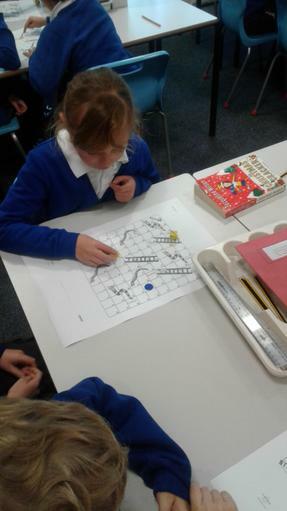 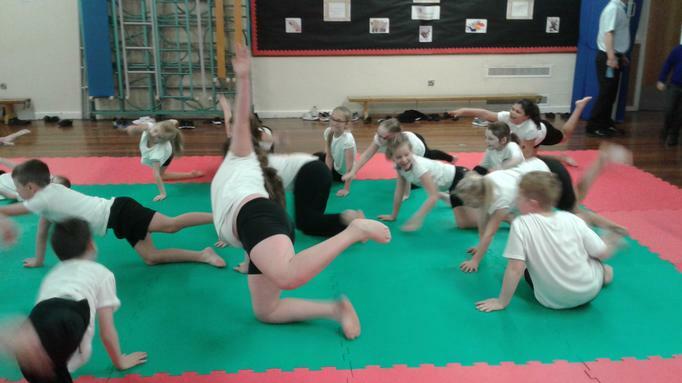 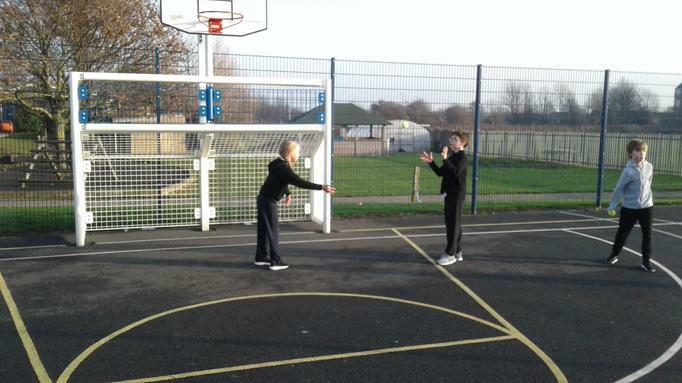 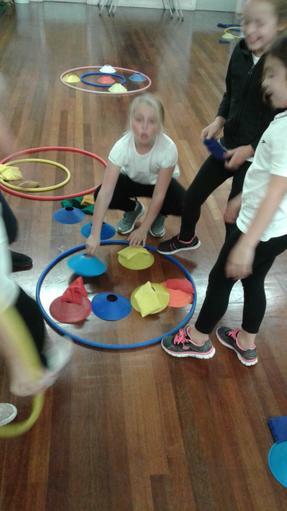 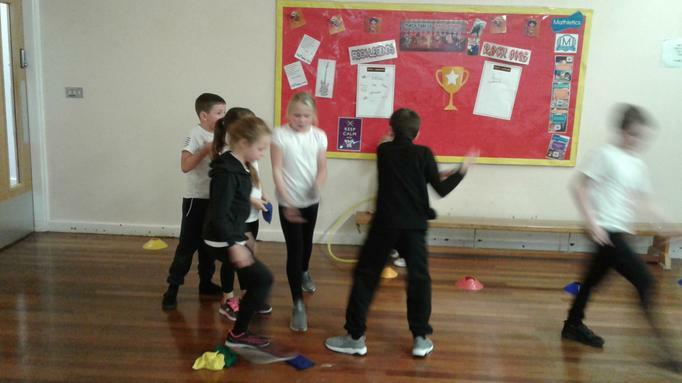 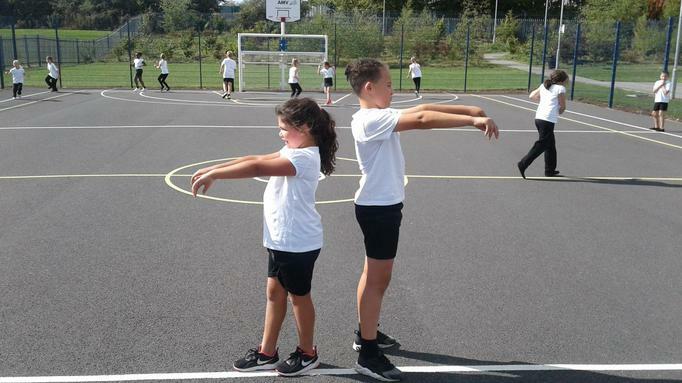 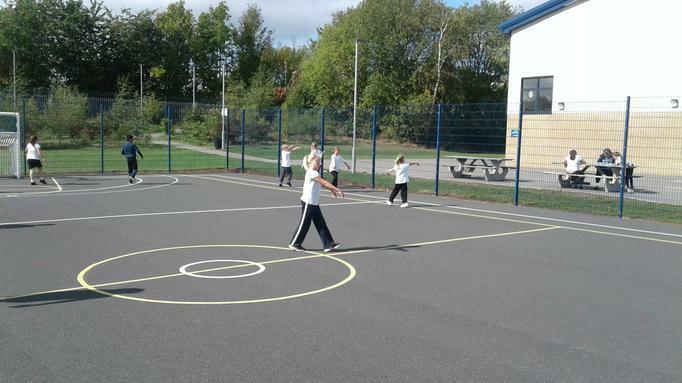 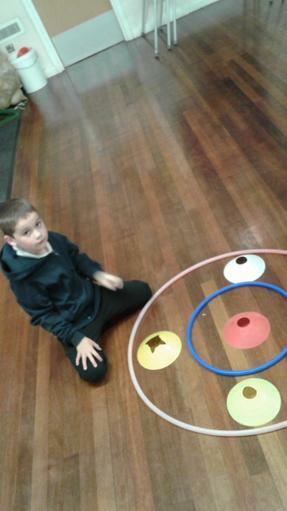 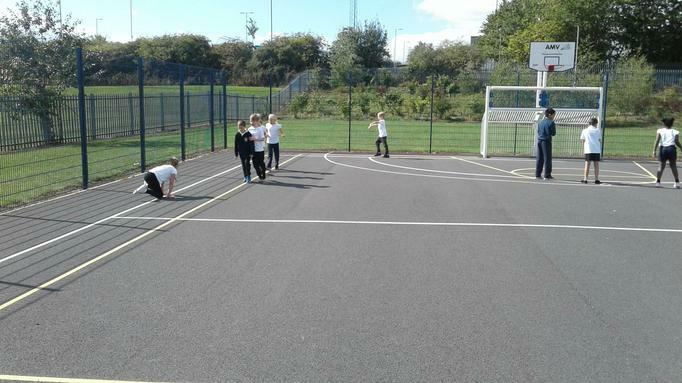 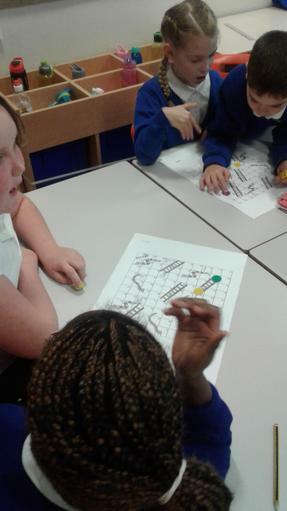 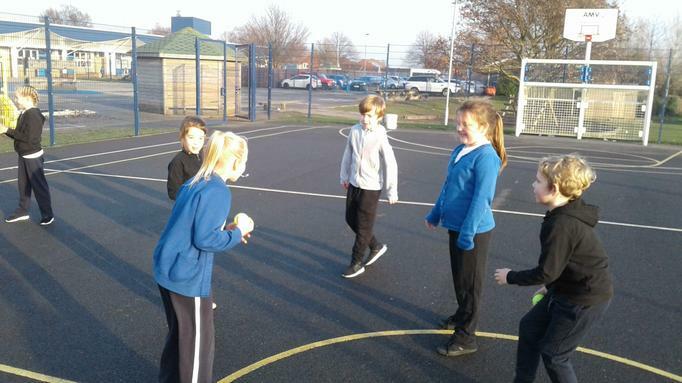 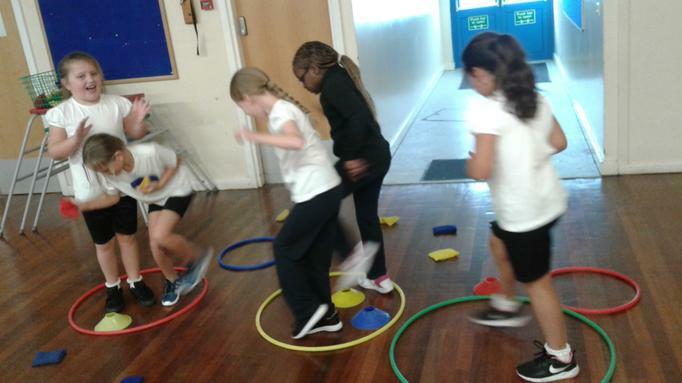 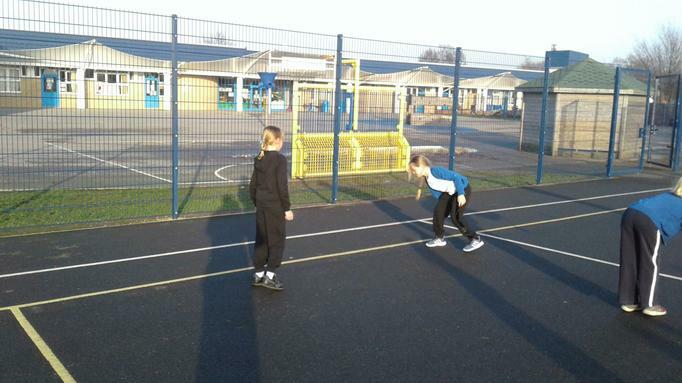 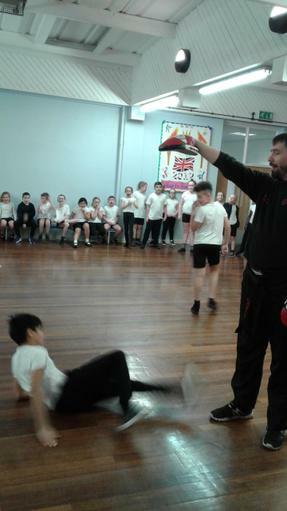 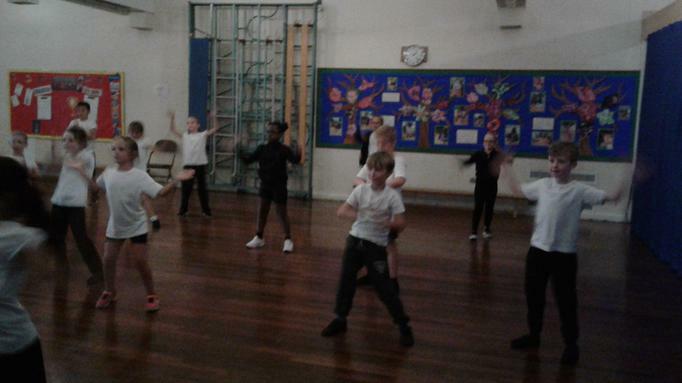 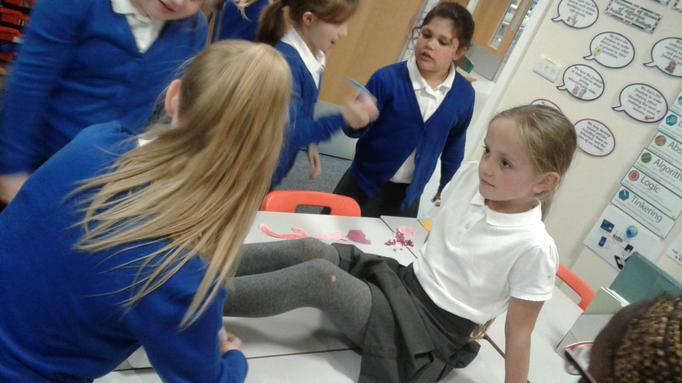 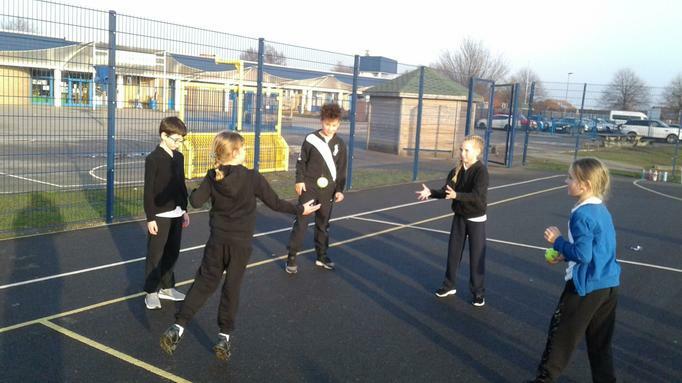 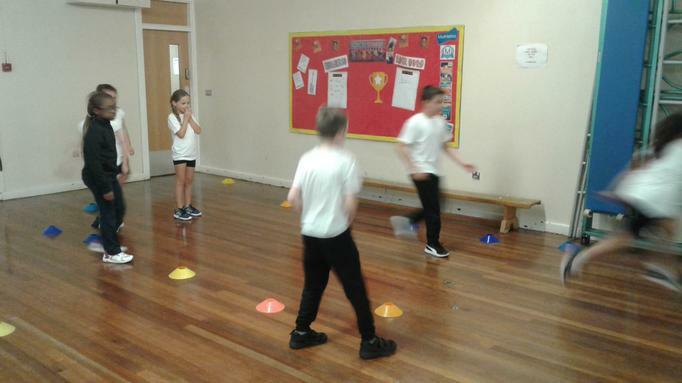 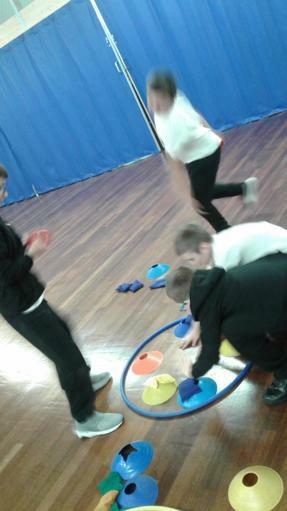 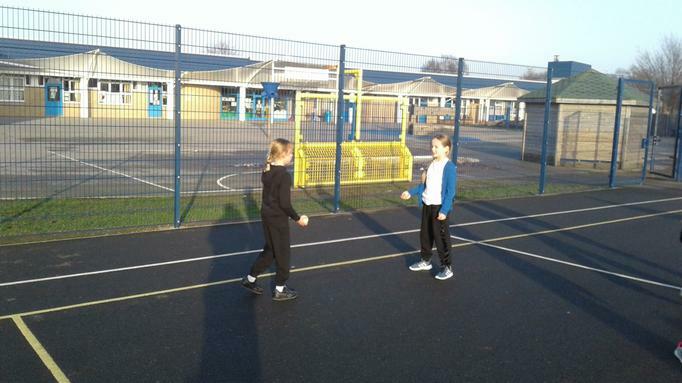 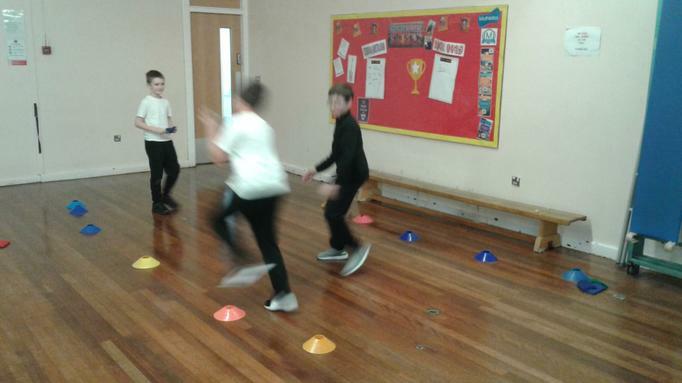 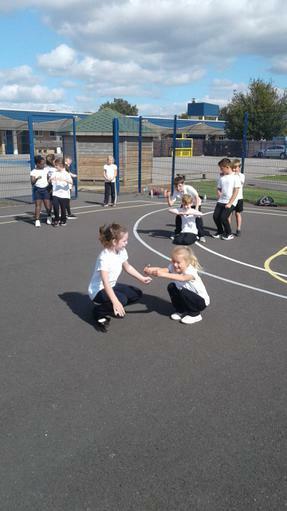 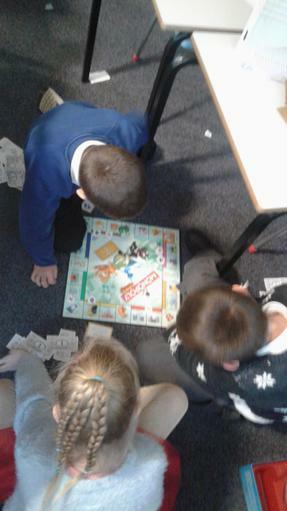 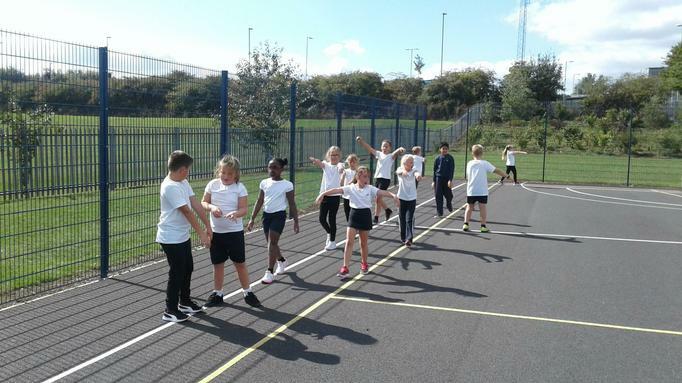 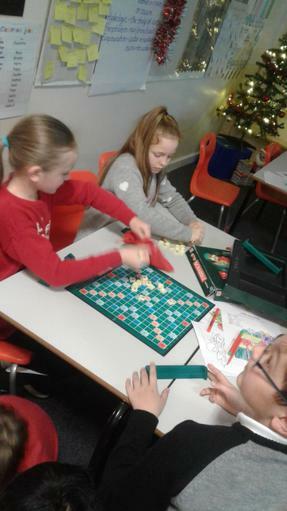 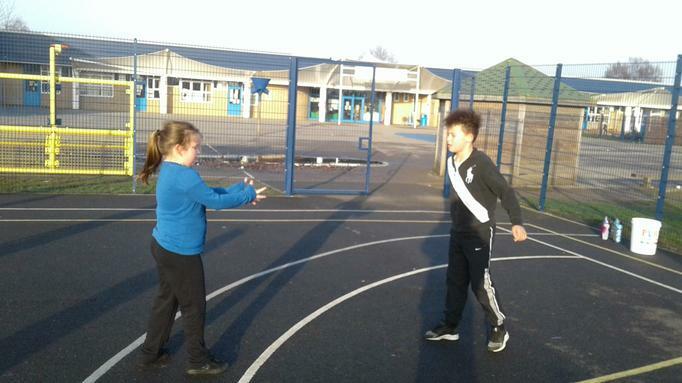 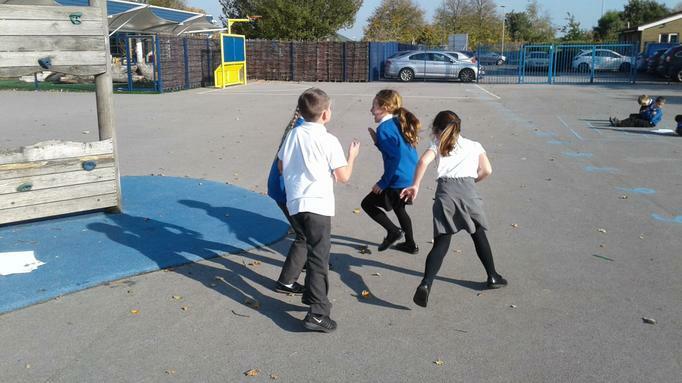 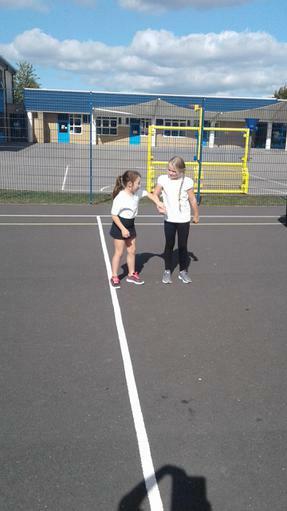 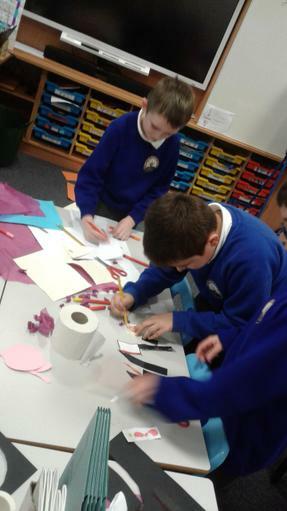 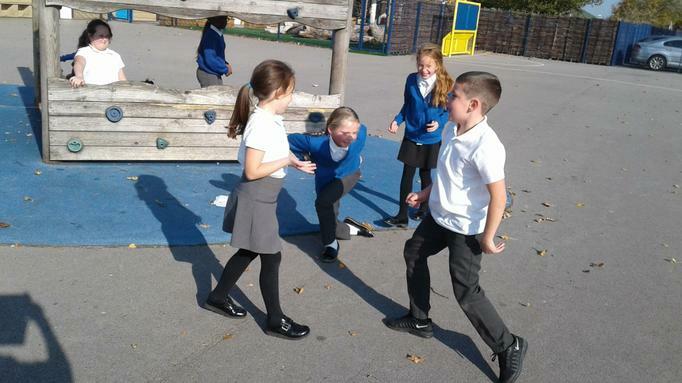 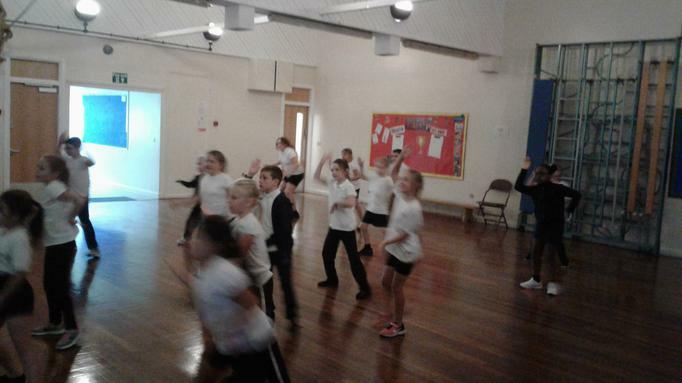 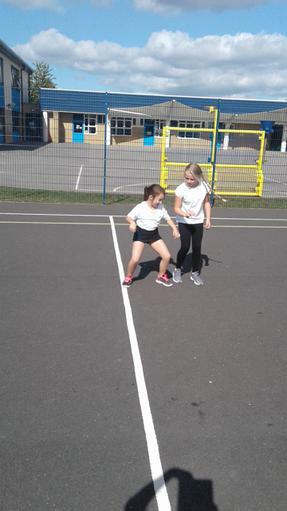 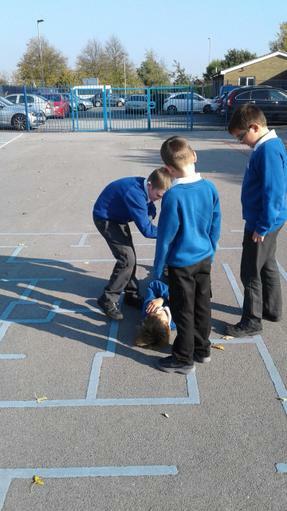 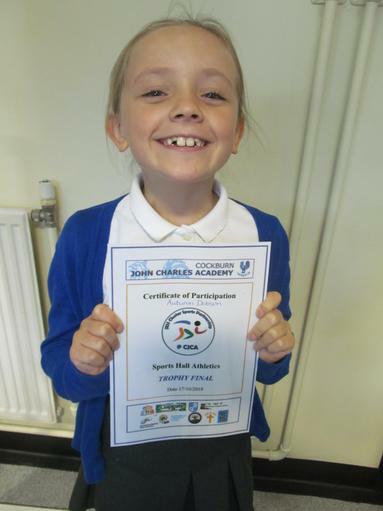 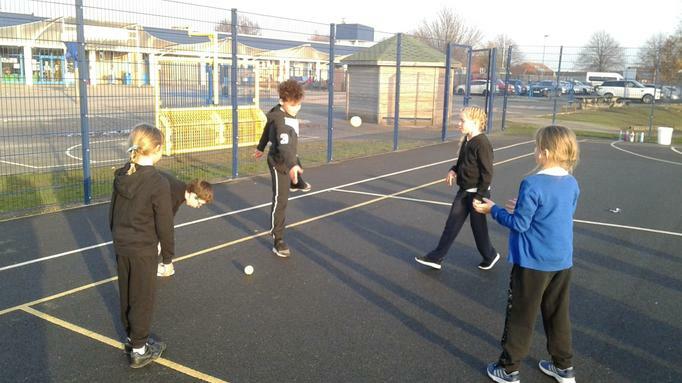 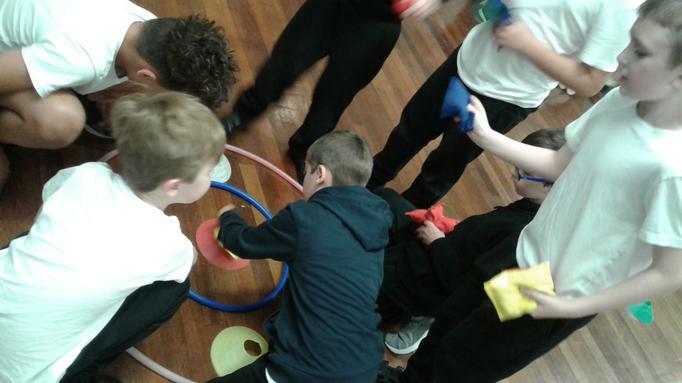 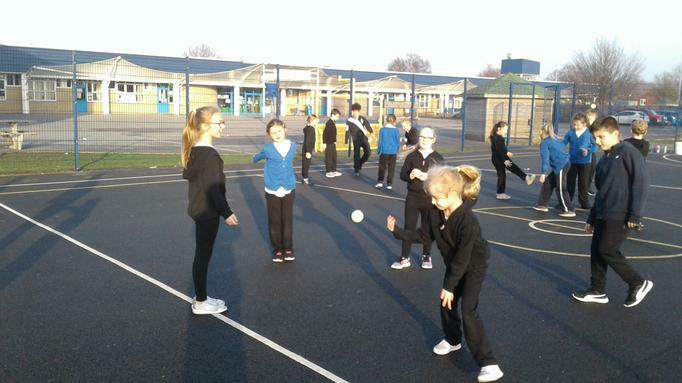 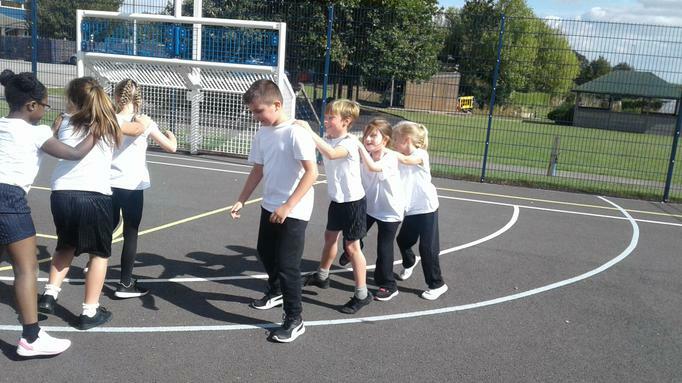 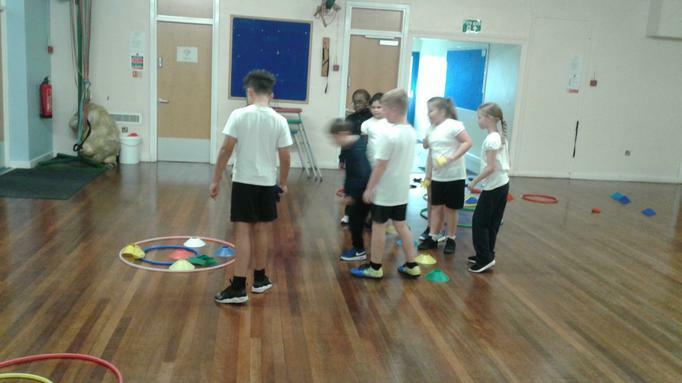 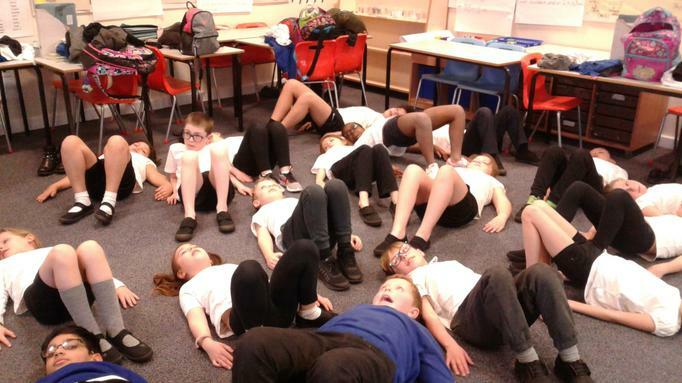 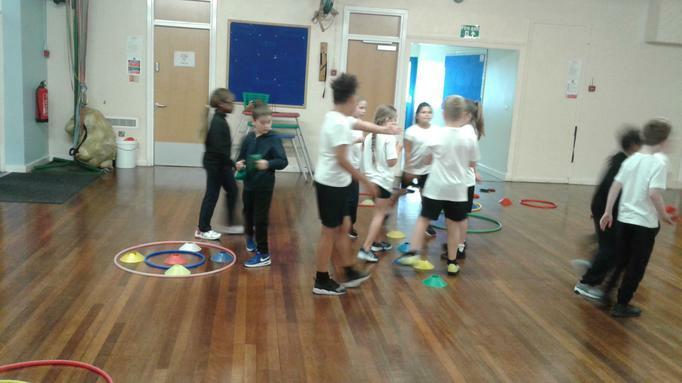 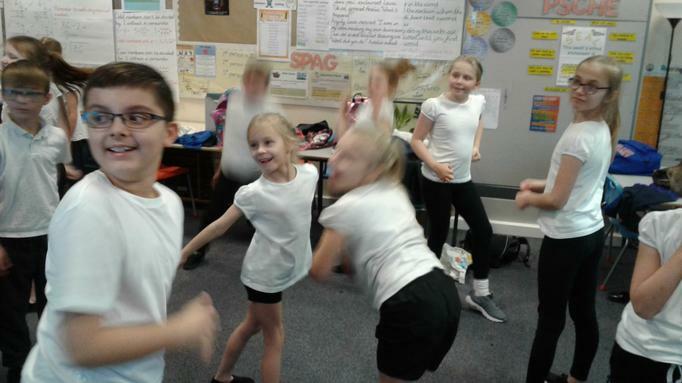 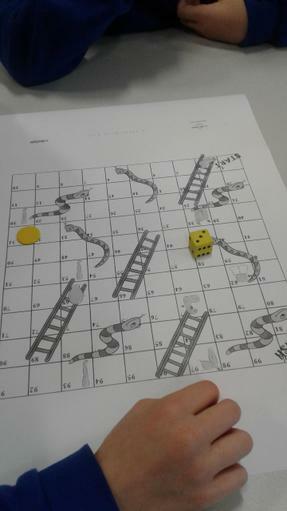 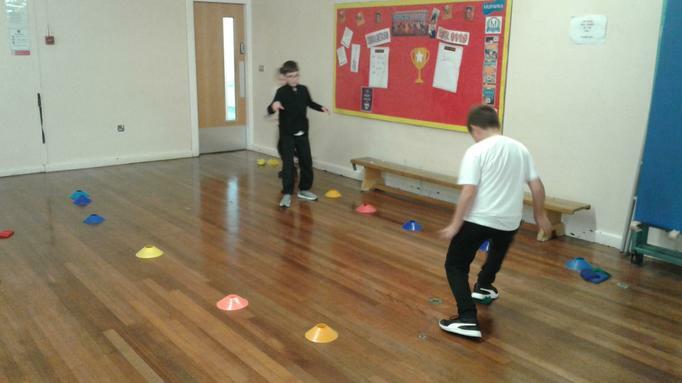 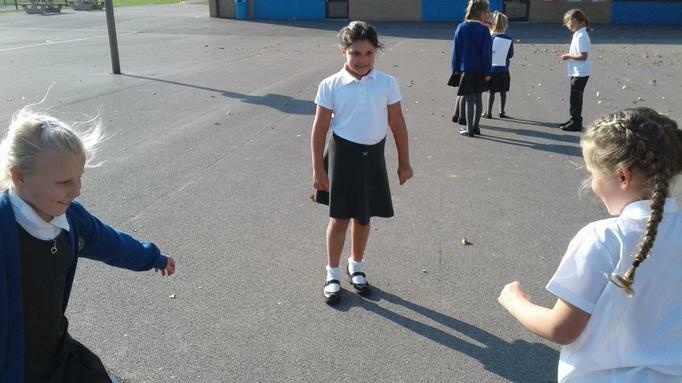 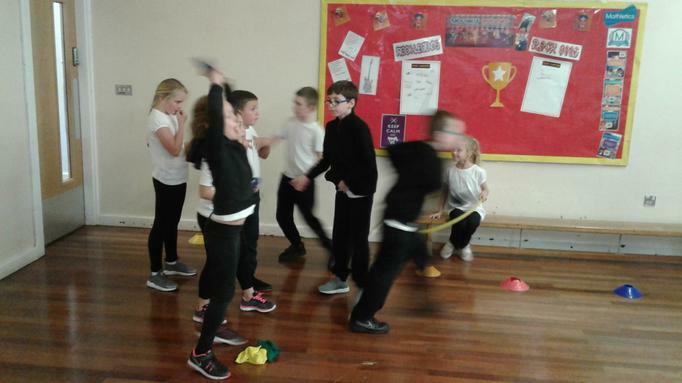 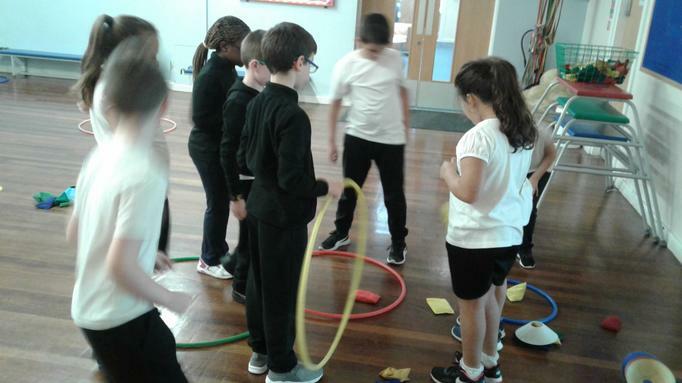 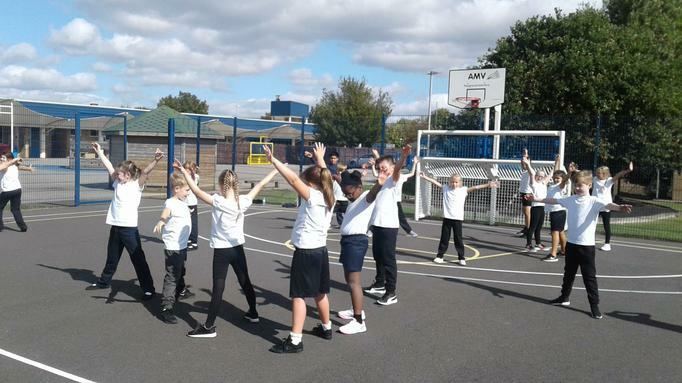 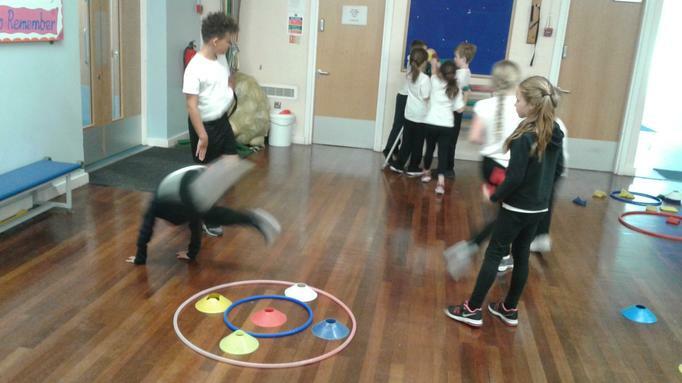 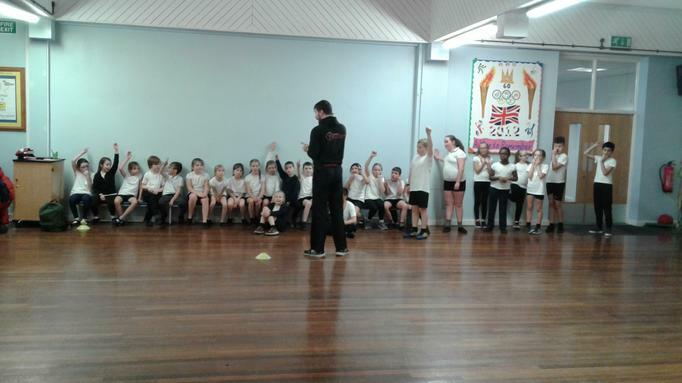 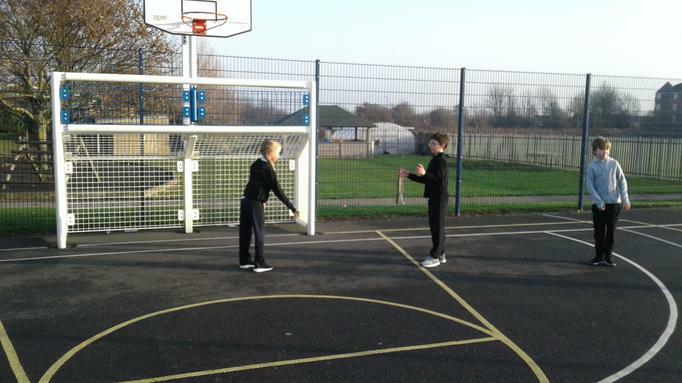 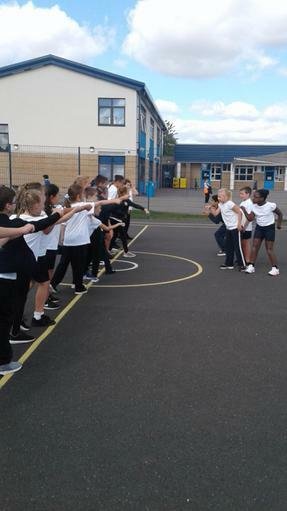 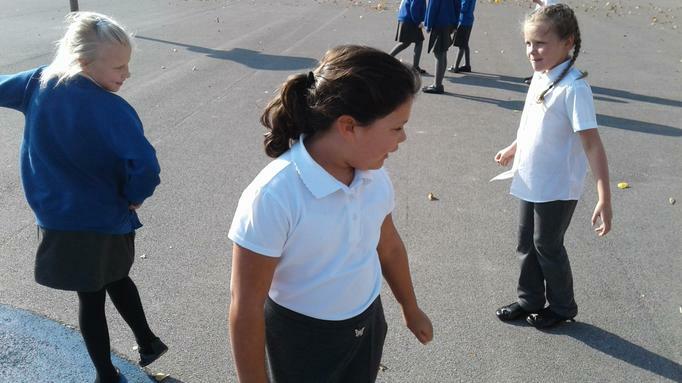 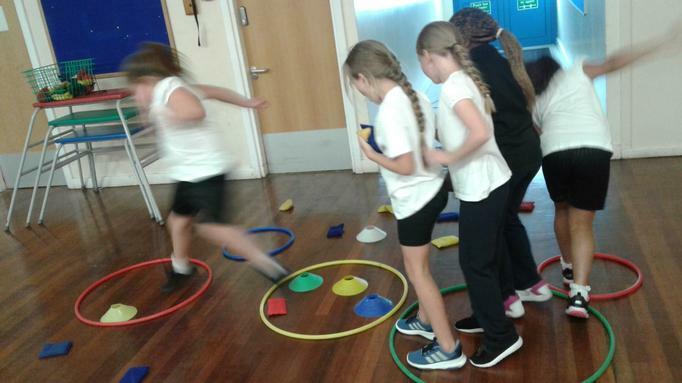 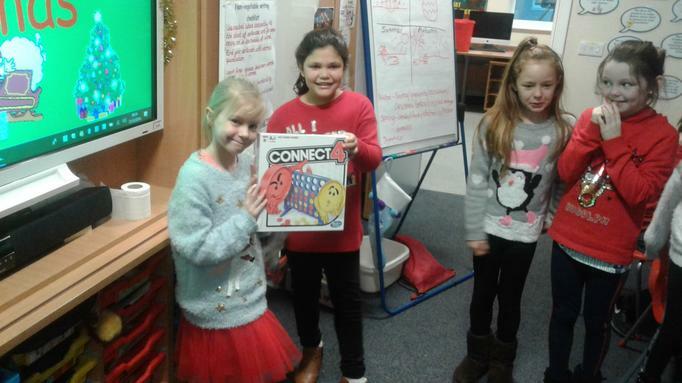 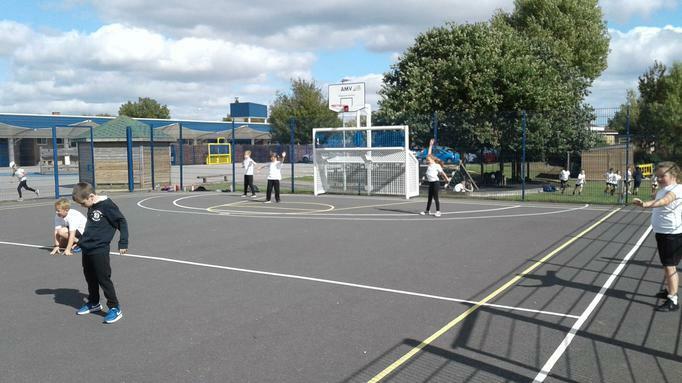 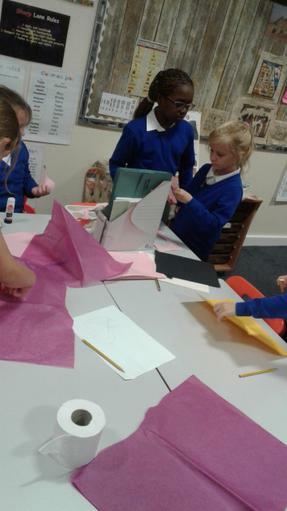 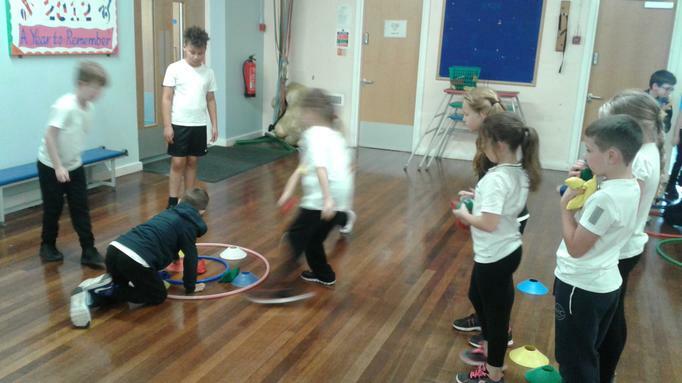 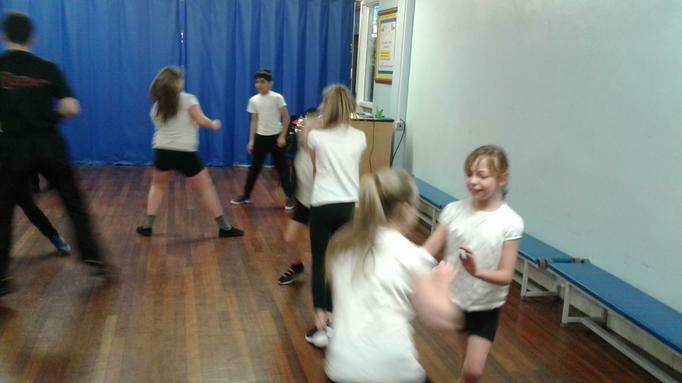 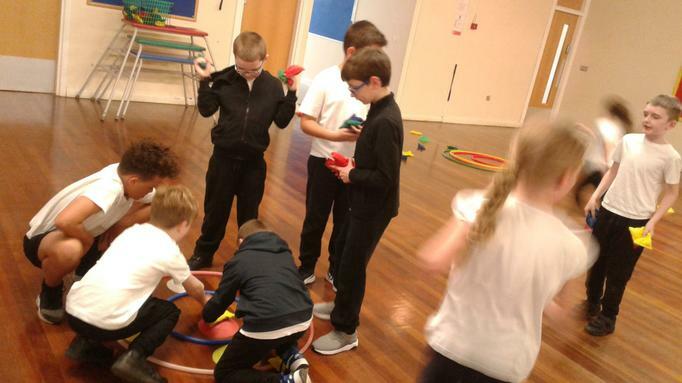 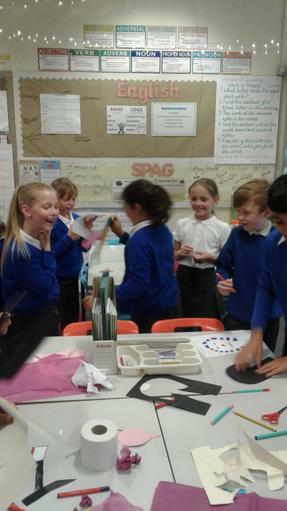 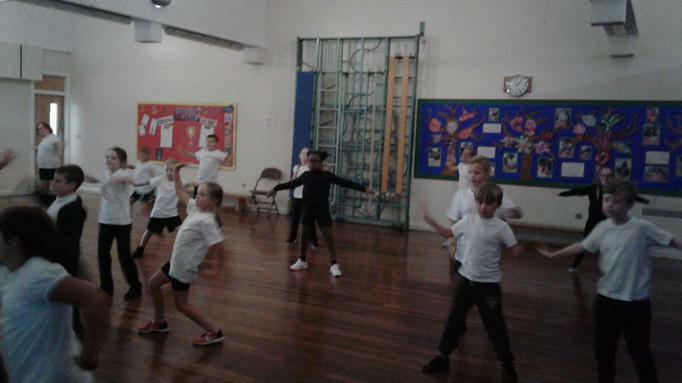 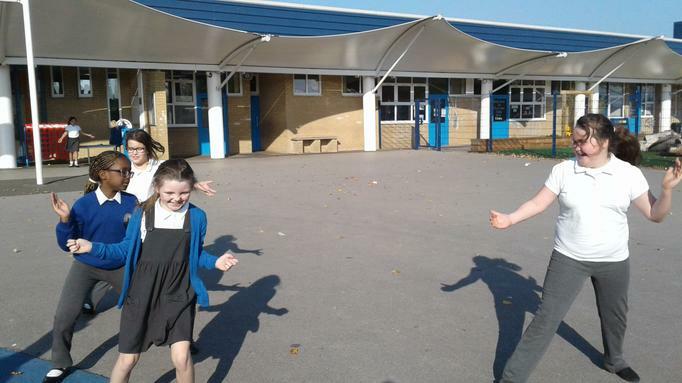 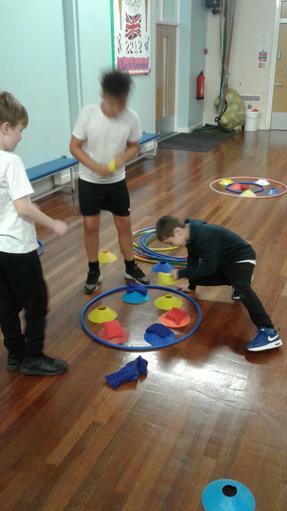 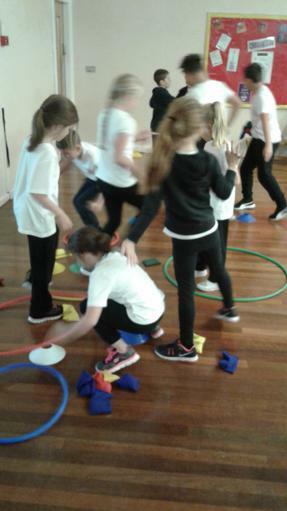 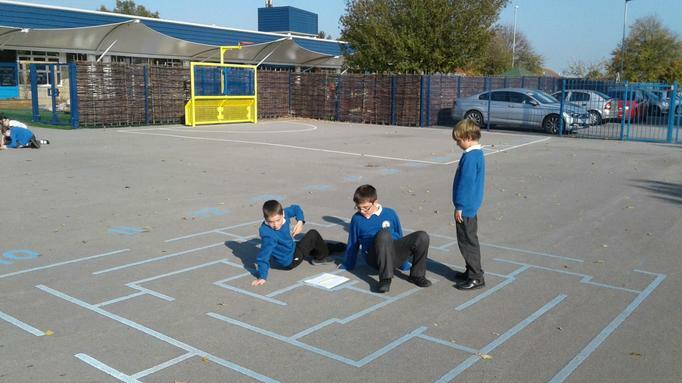 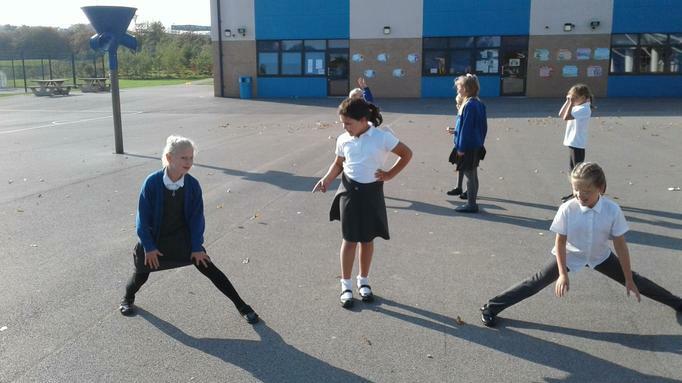 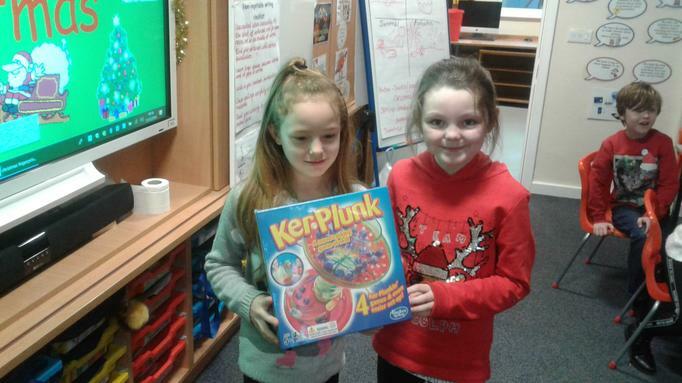 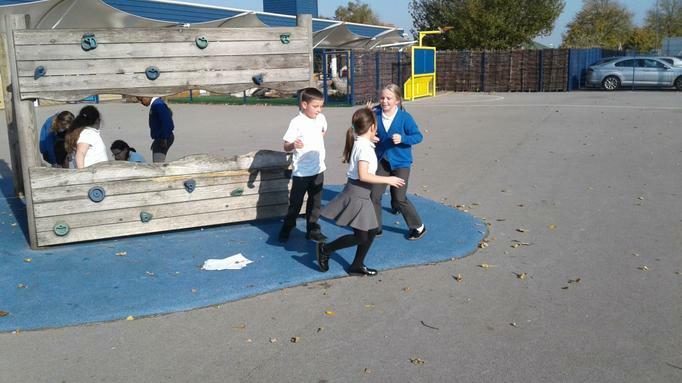 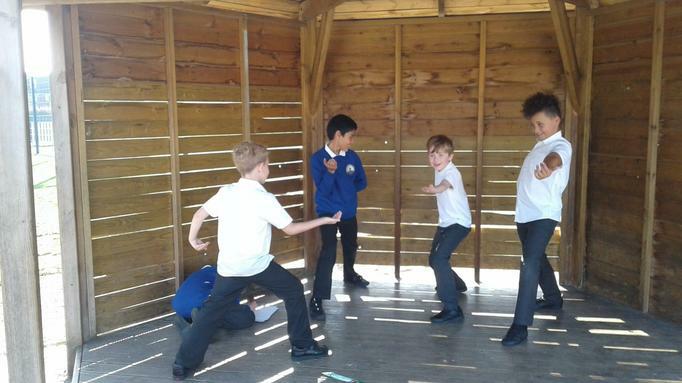 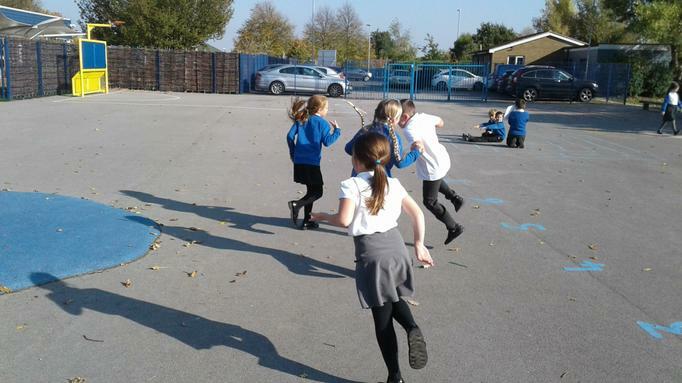 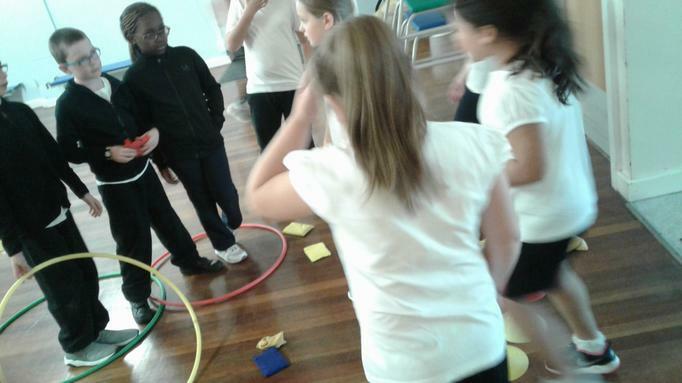 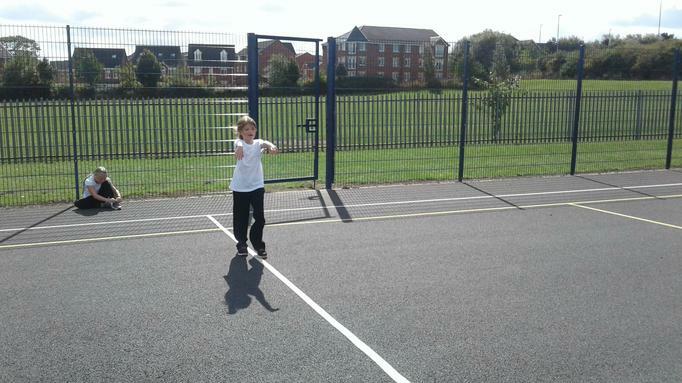 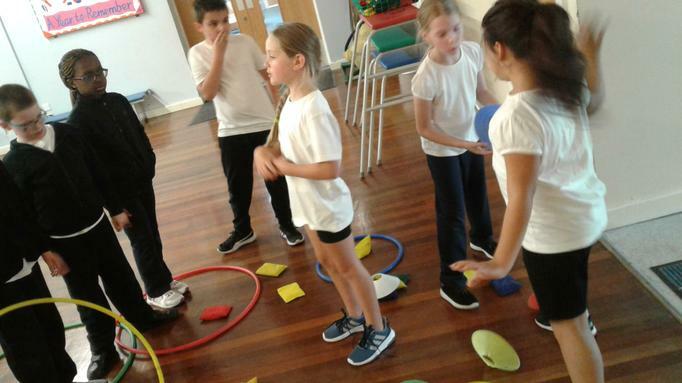 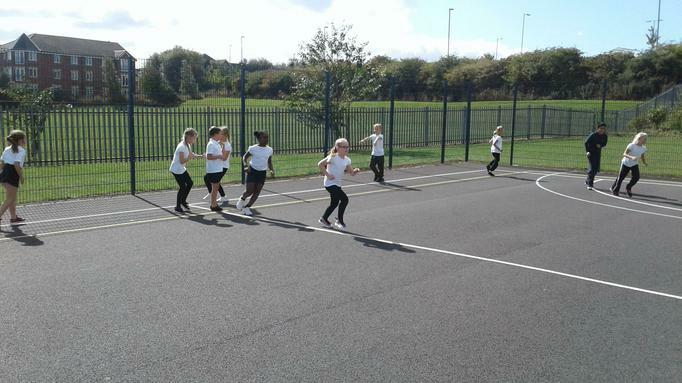 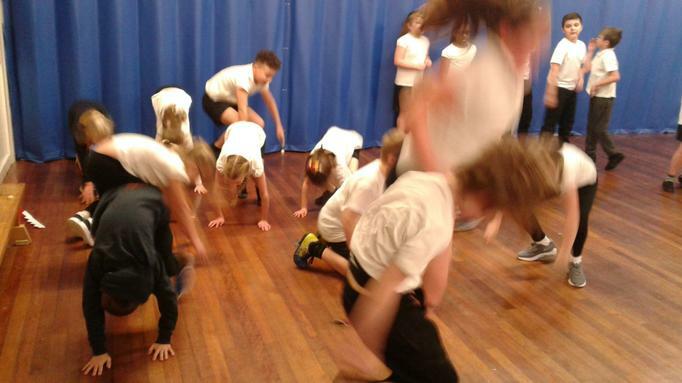 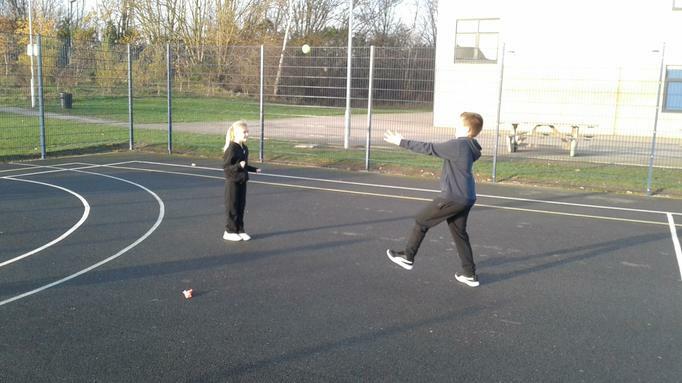 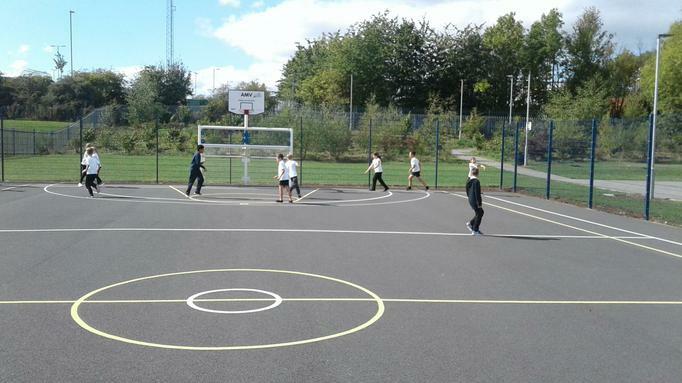 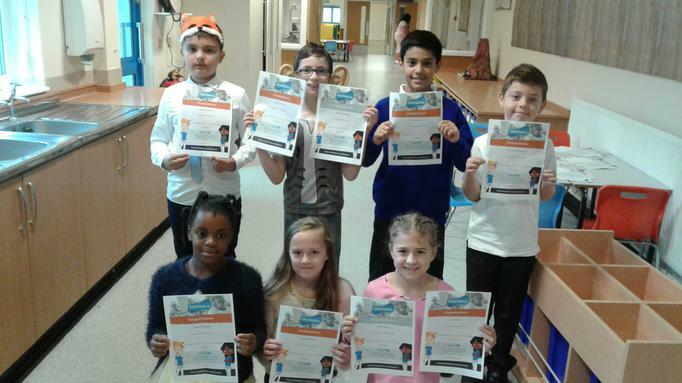 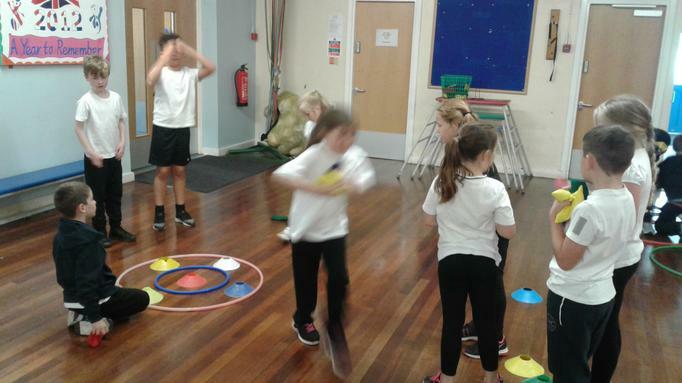 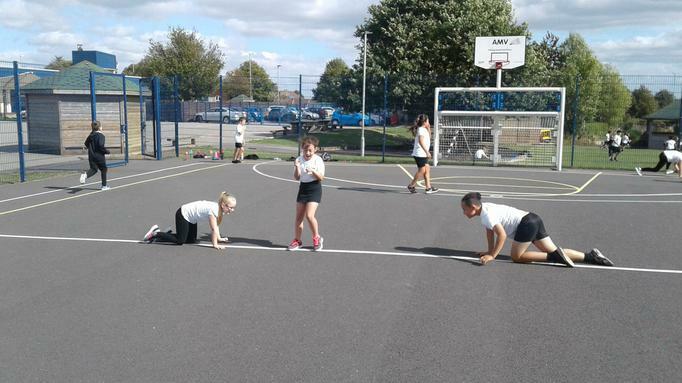 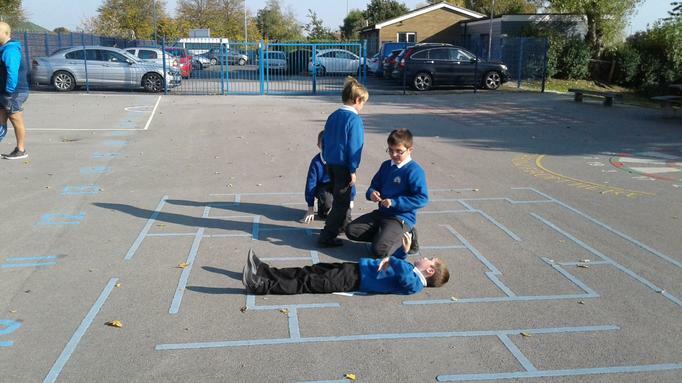 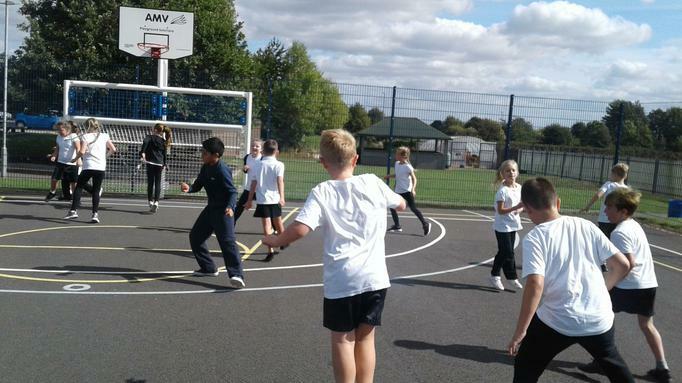 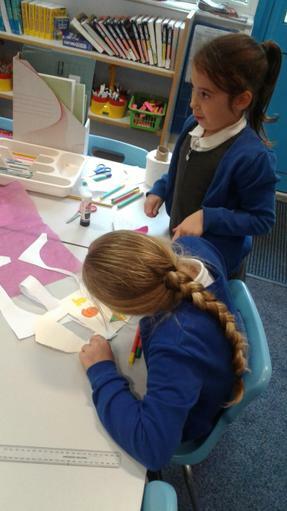 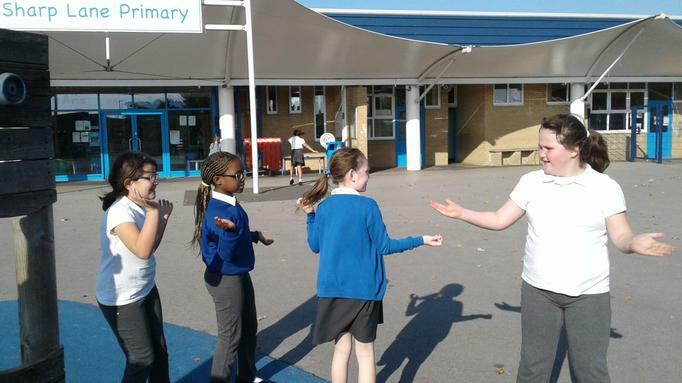 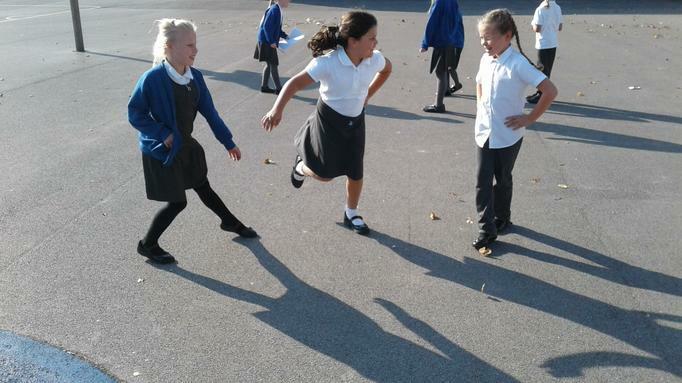 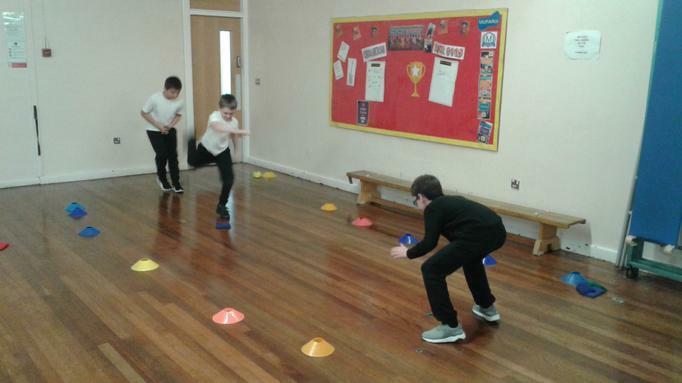 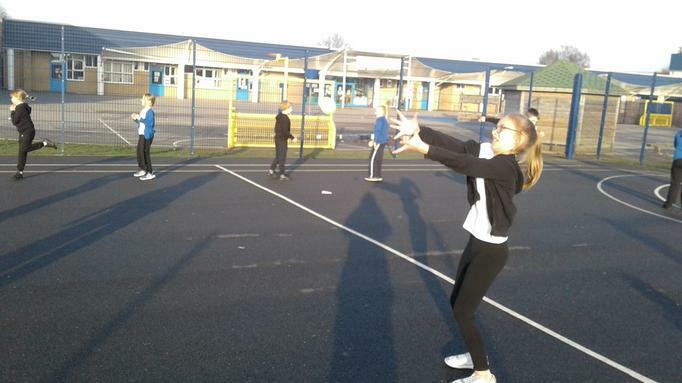 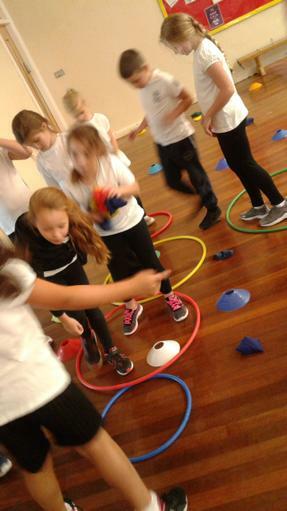 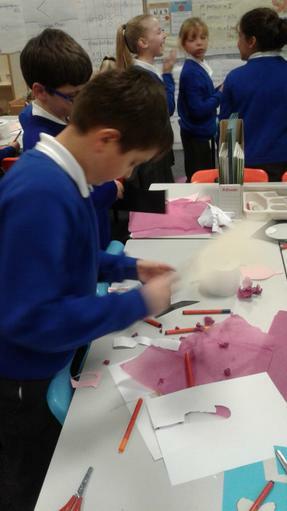 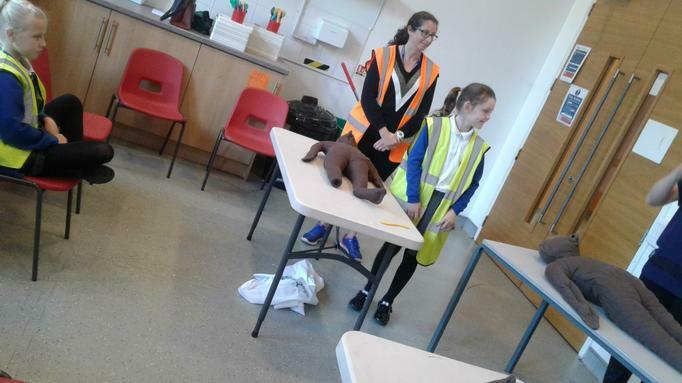 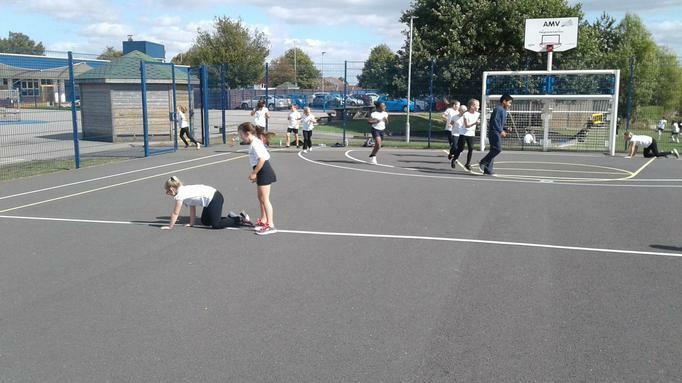 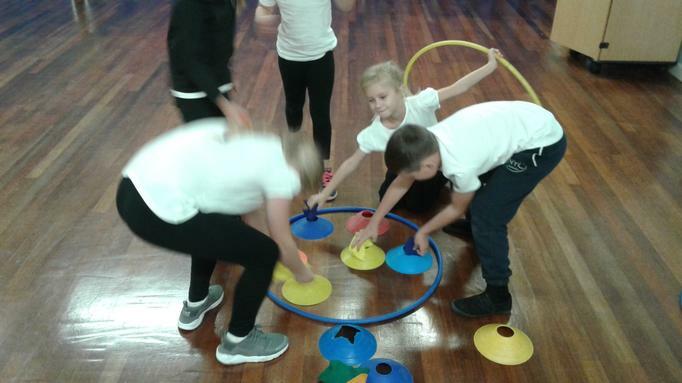 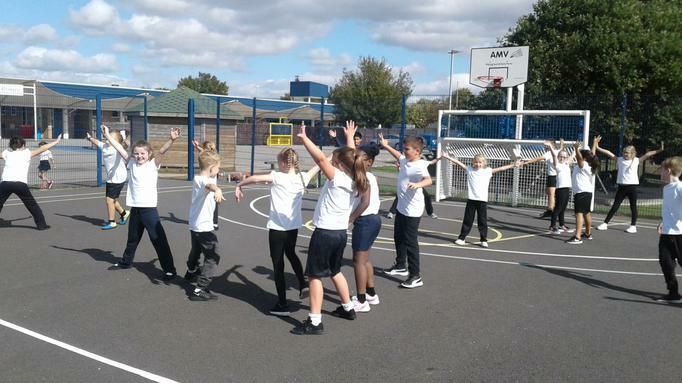 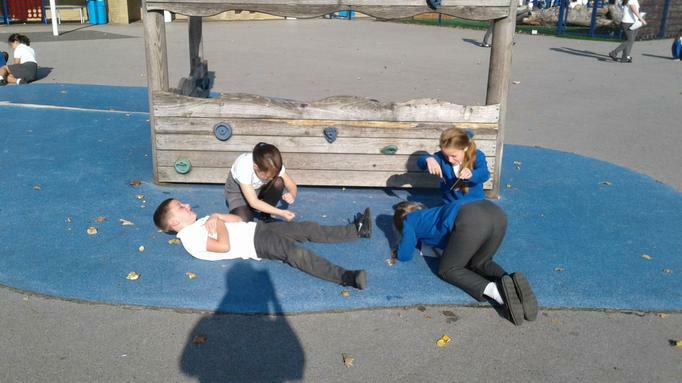 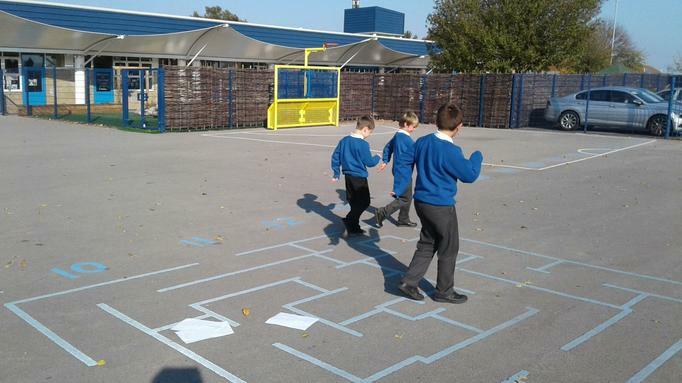 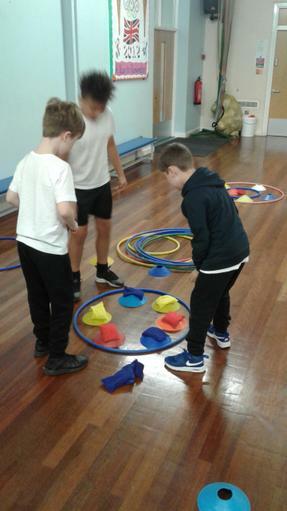 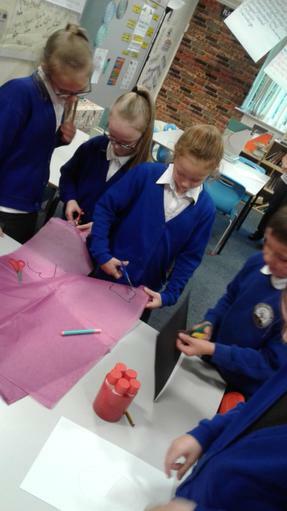 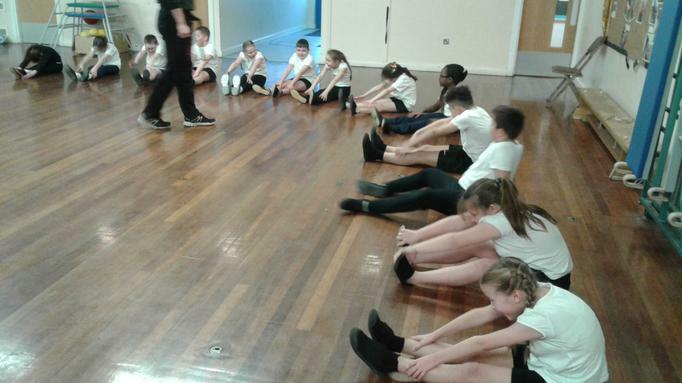 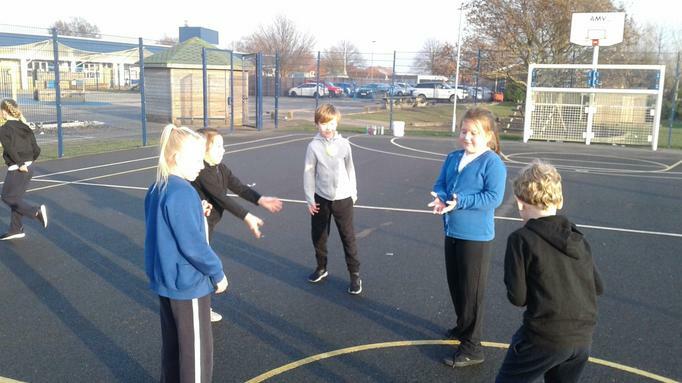 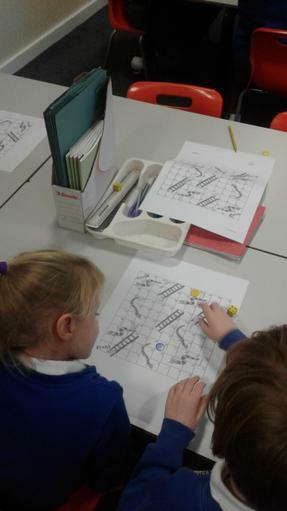 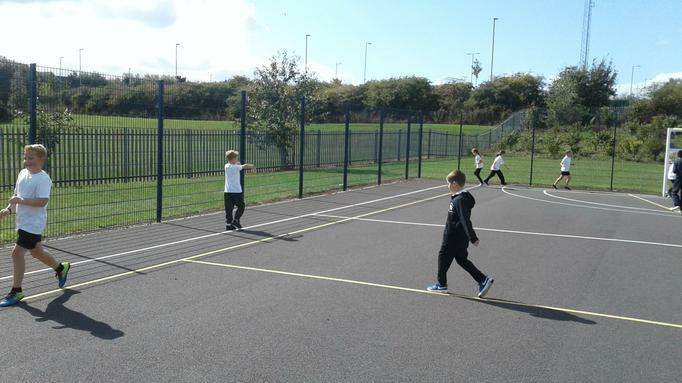 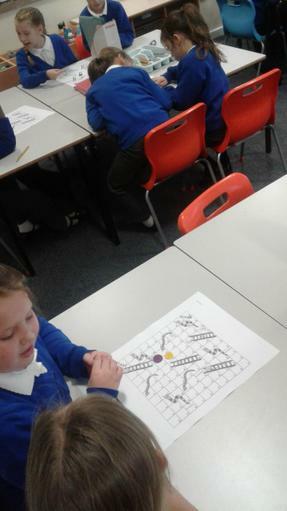 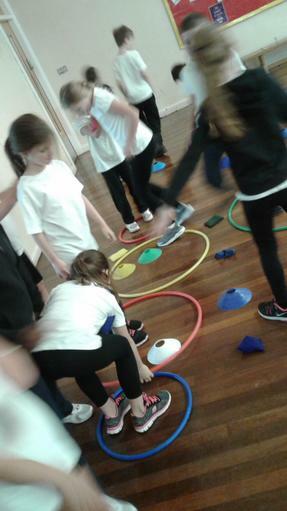 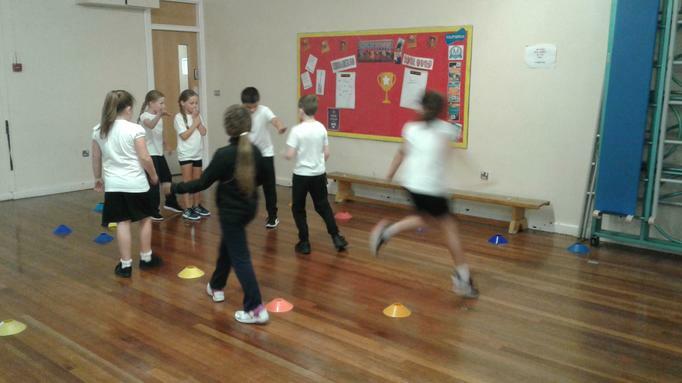 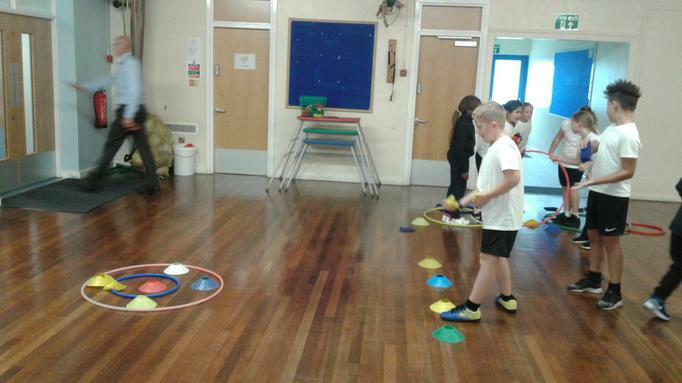 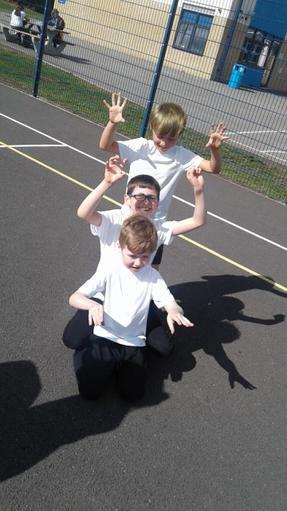 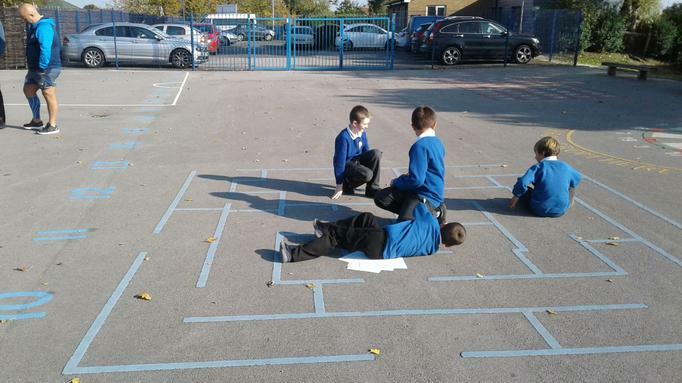 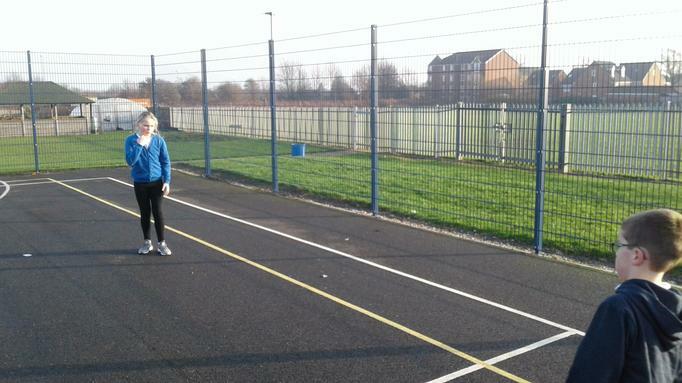 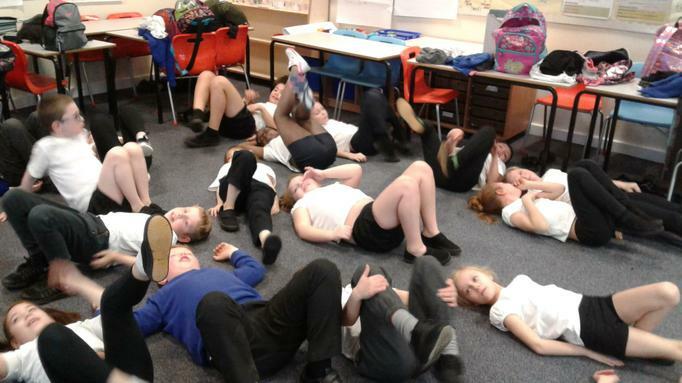 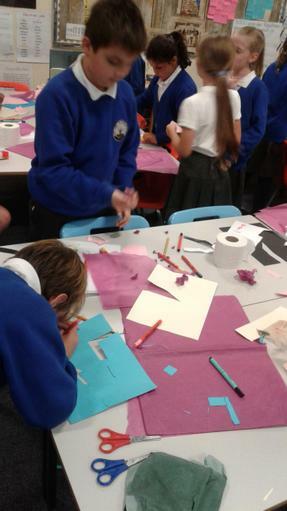 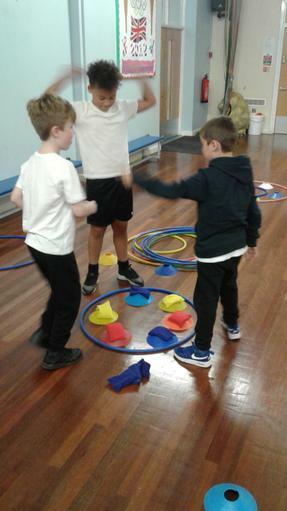 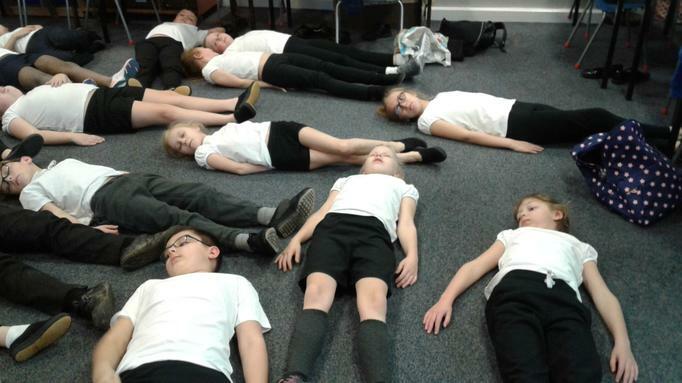 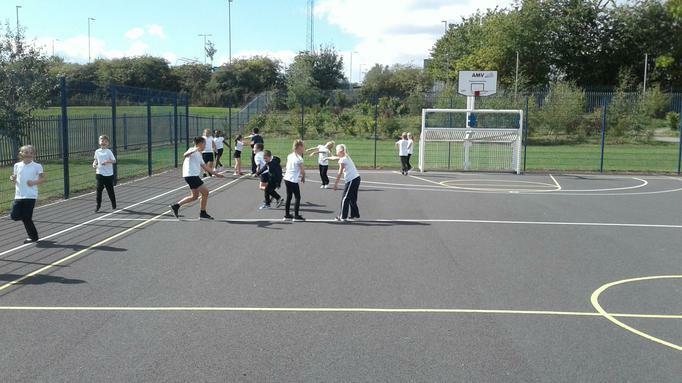 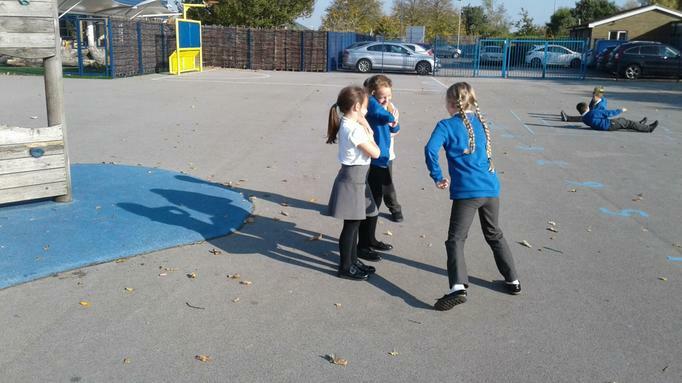 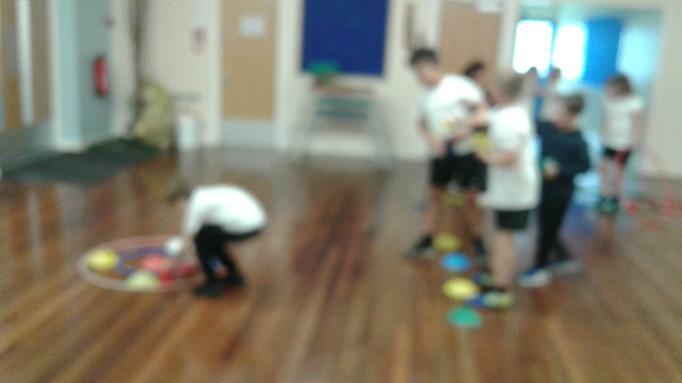 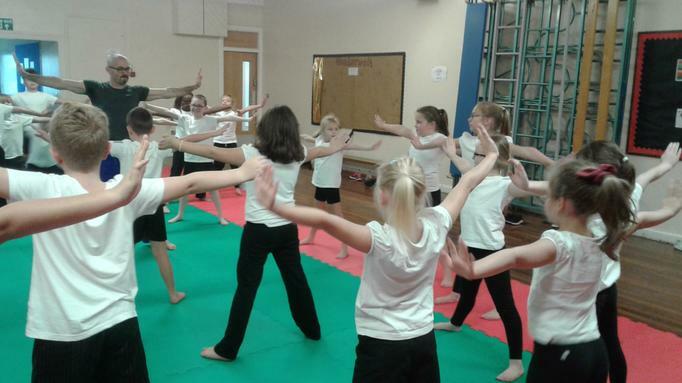 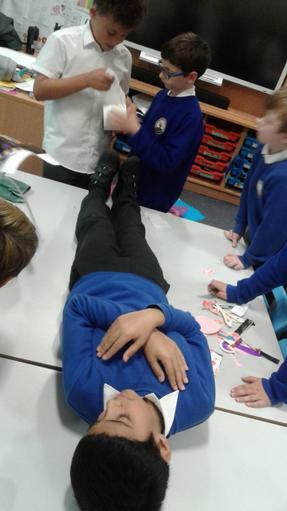 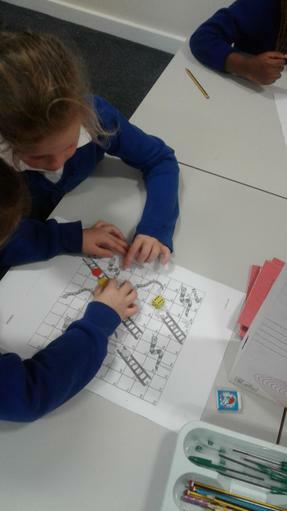 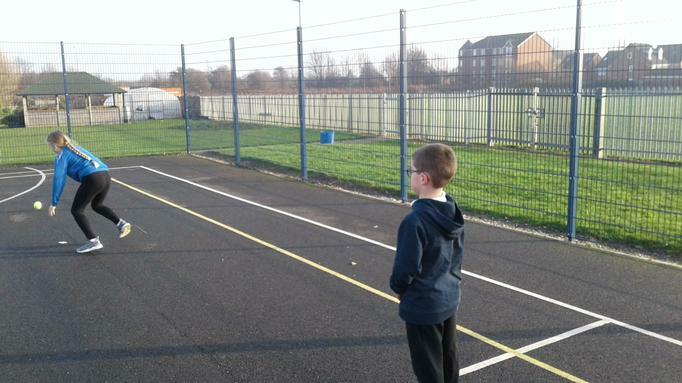 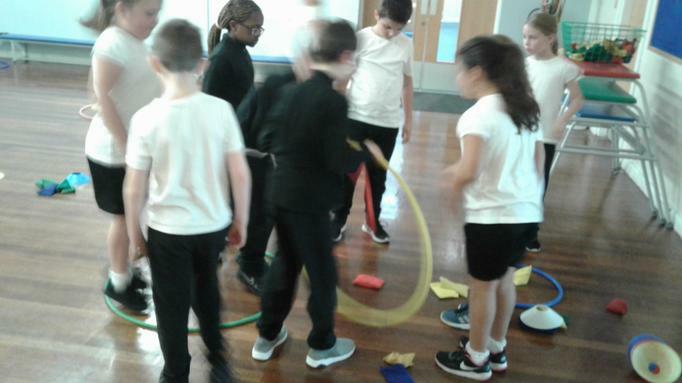 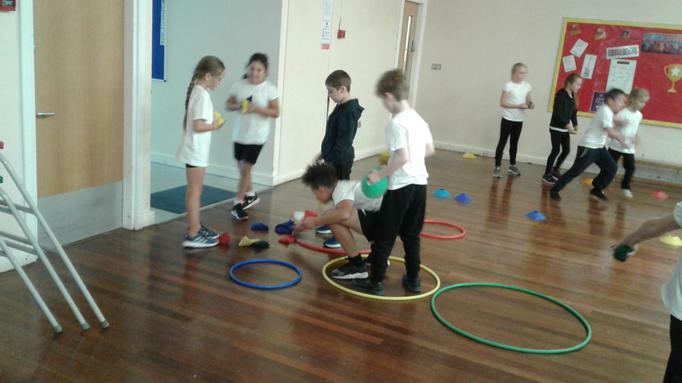 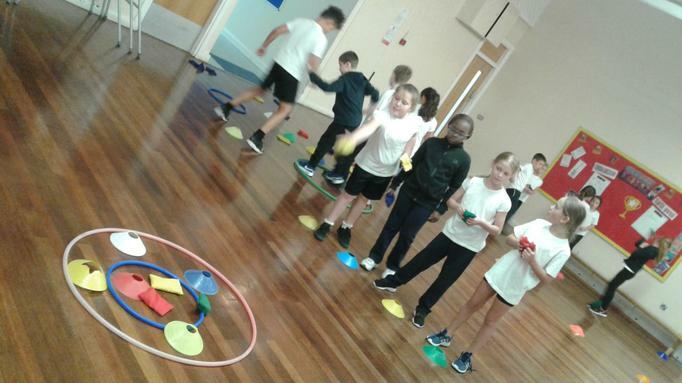 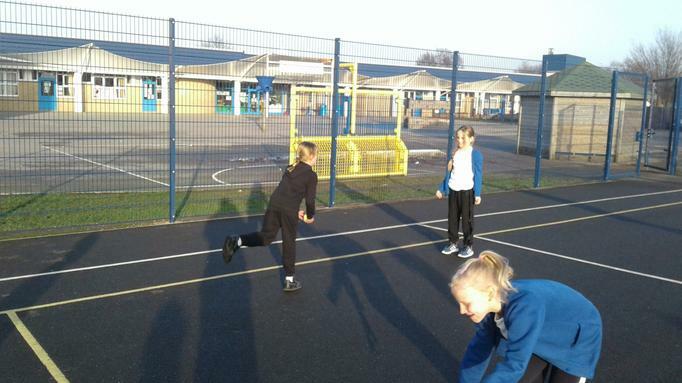 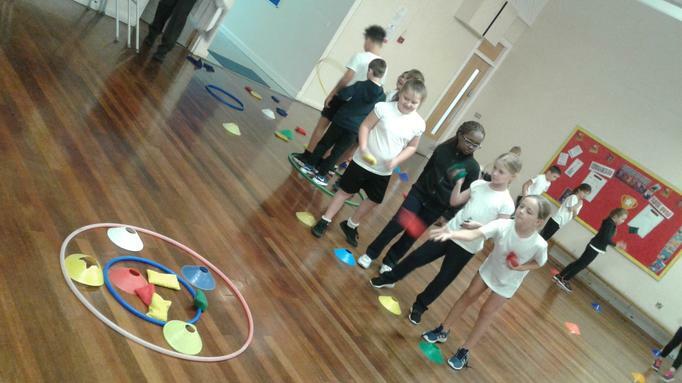 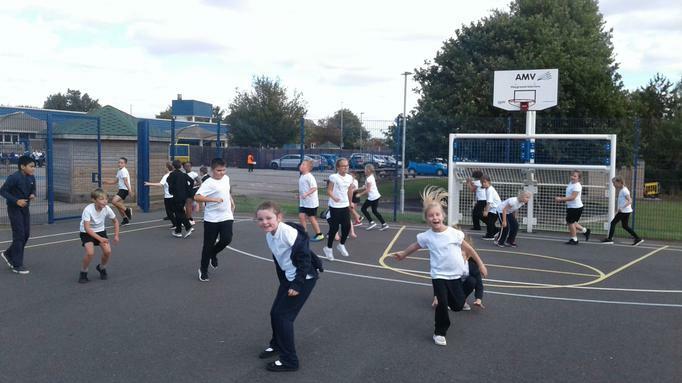 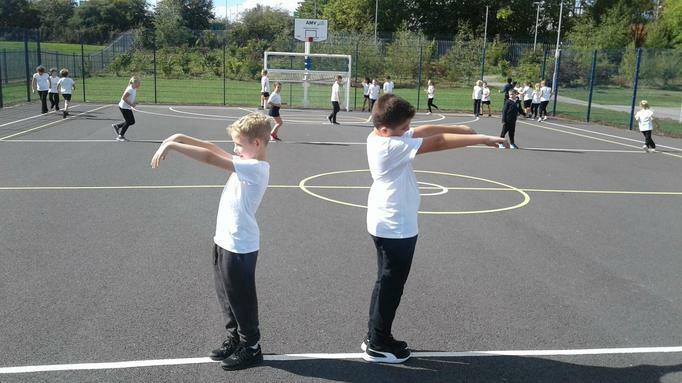 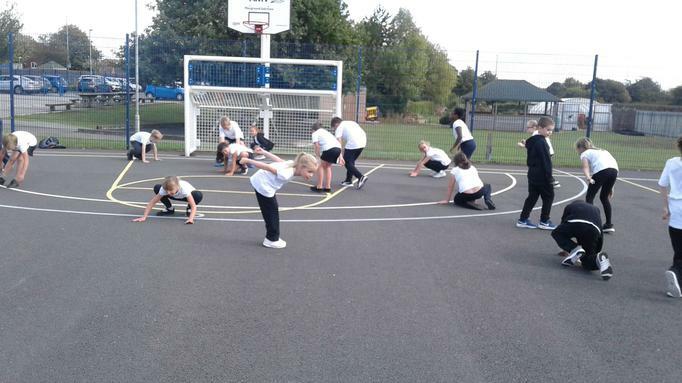 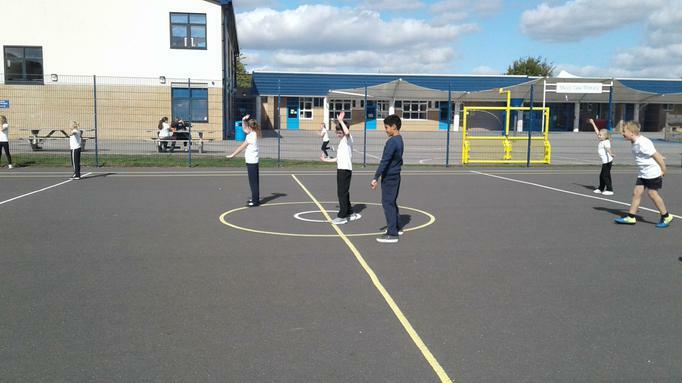 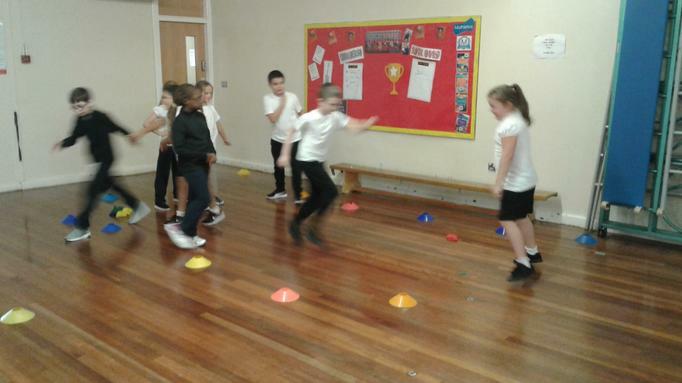 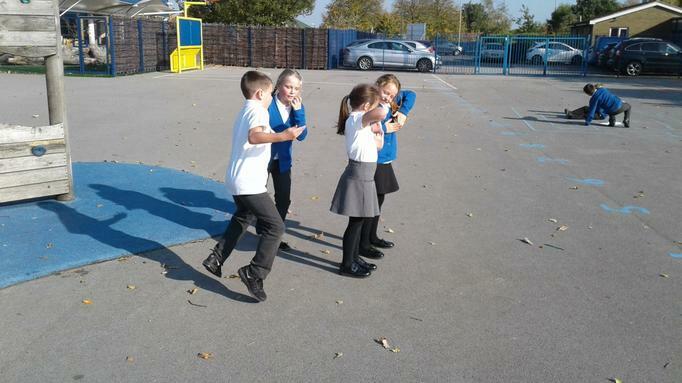 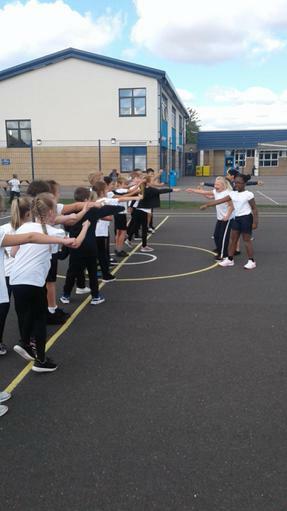 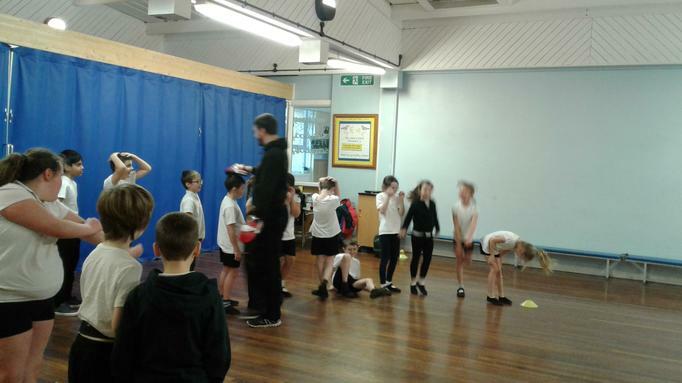 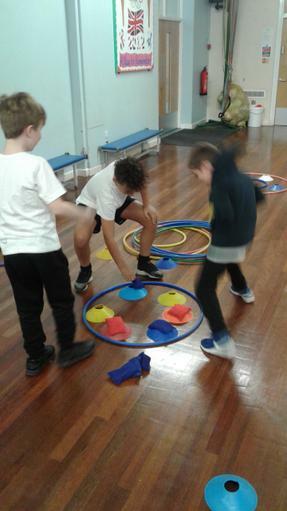 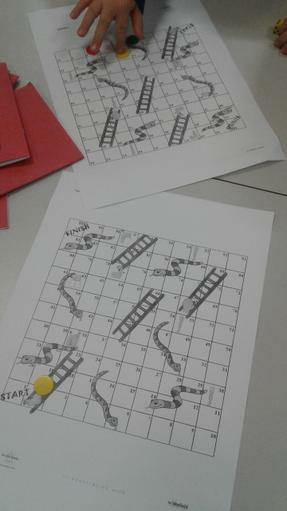 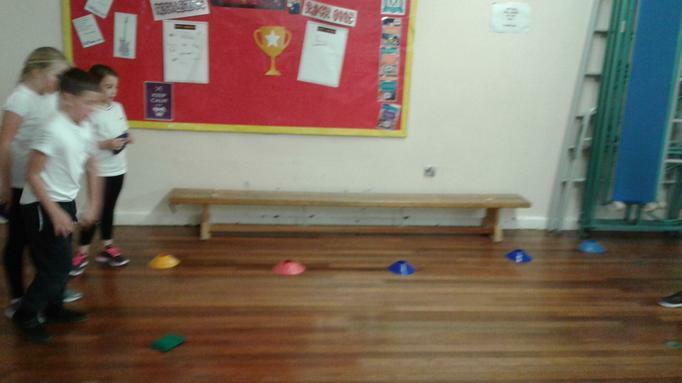 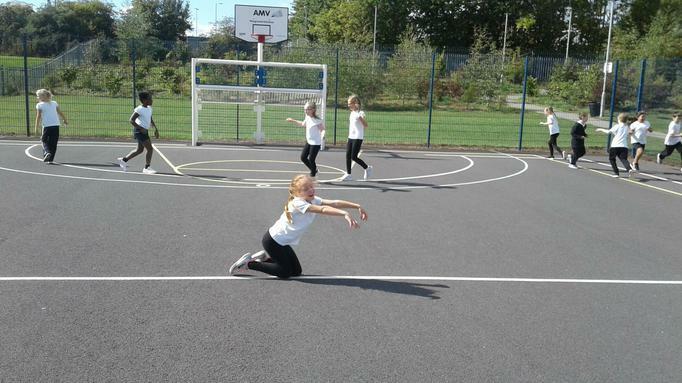 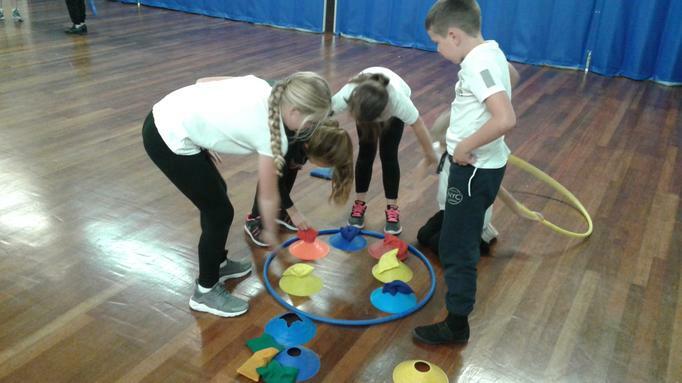 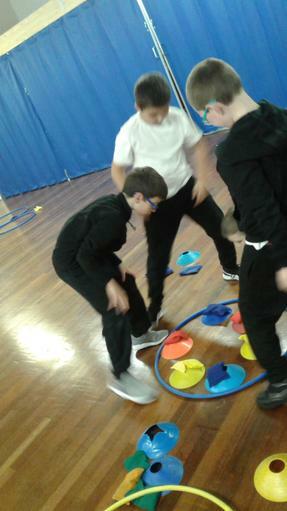 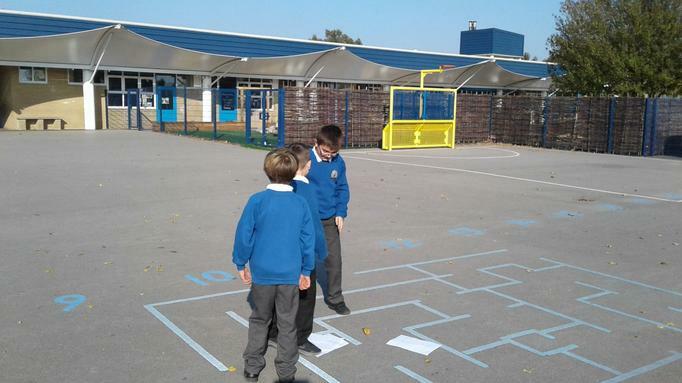 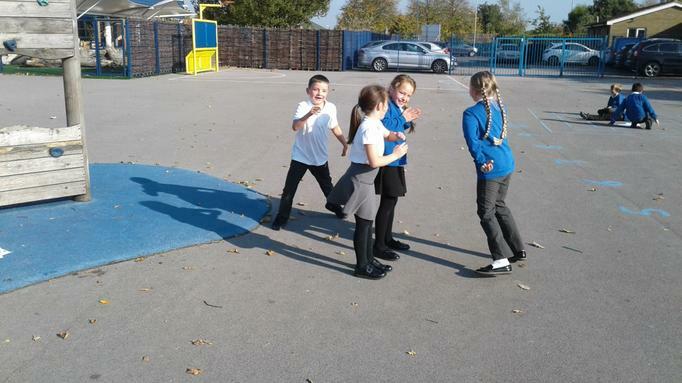 We had great fun making our own games in P.E. 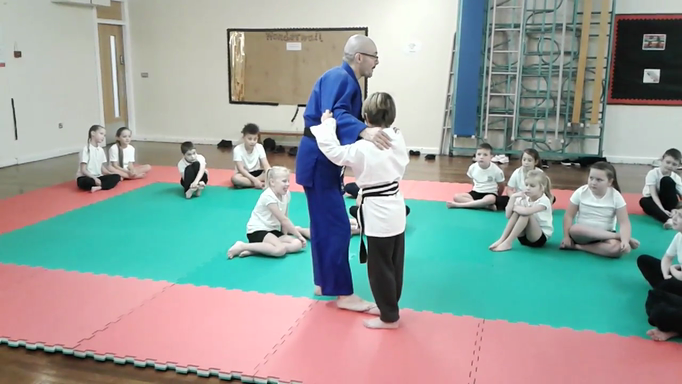 then teaching them to others. 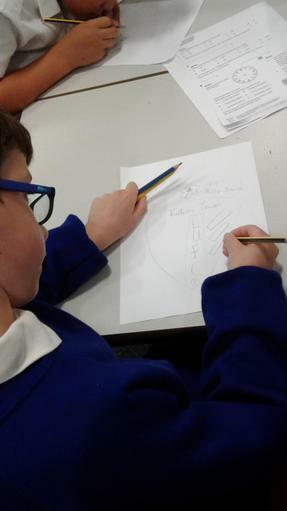 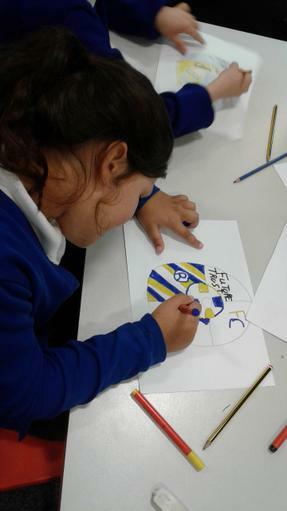 We have designed Future Trust logos for the Leeds United Supporters' Trust competition. 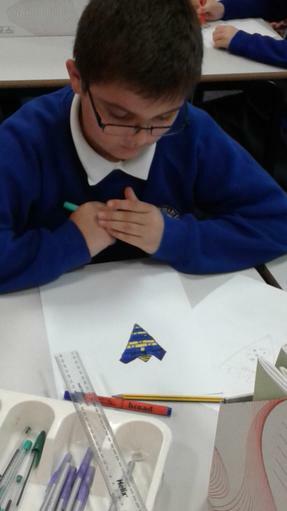 Fingers crossed one of our designs wins. 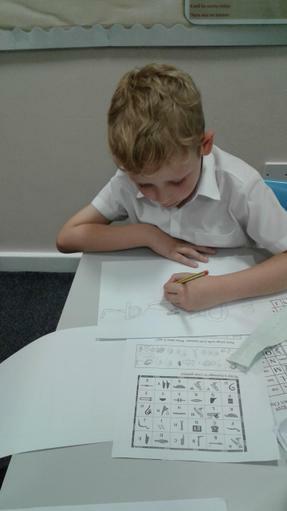 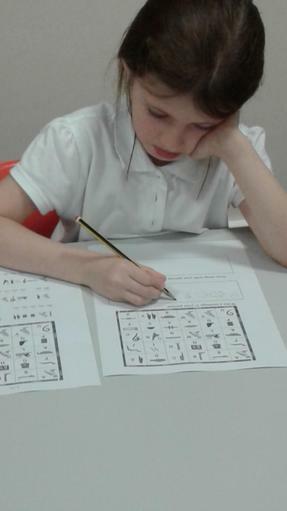 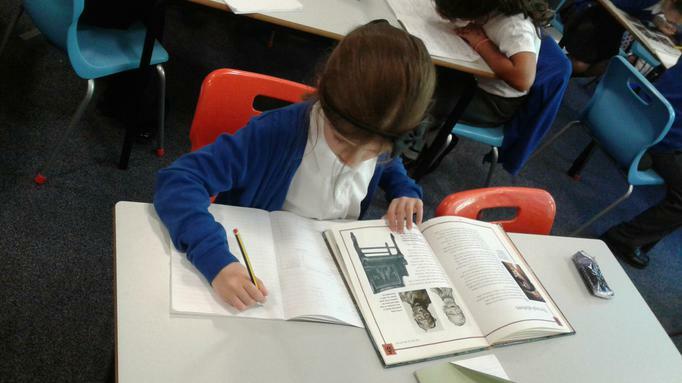 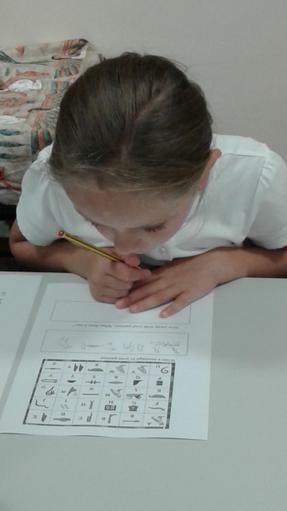 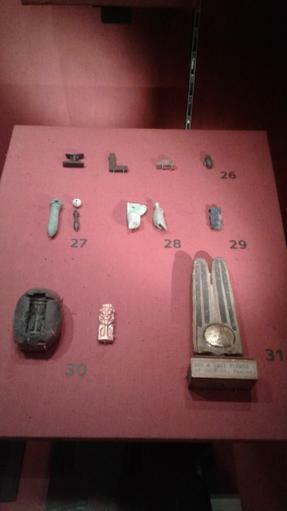 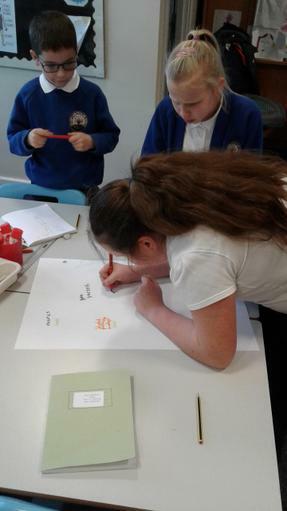 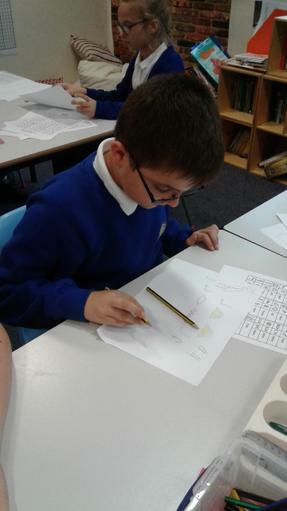 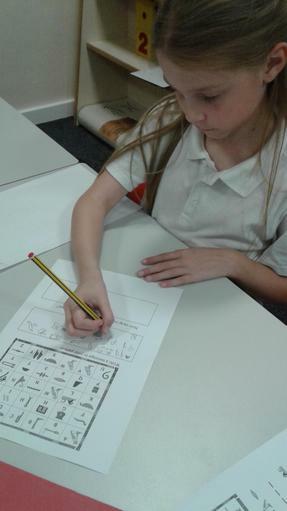 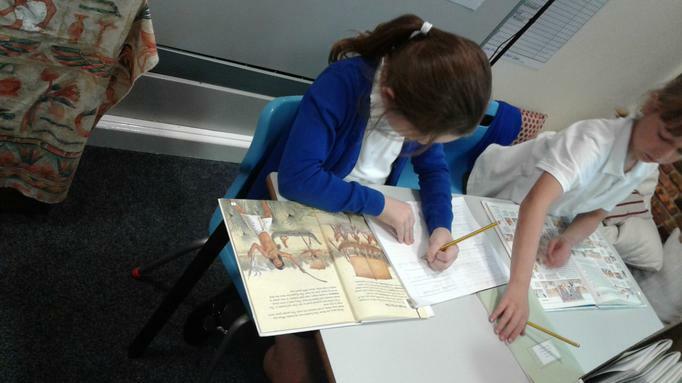 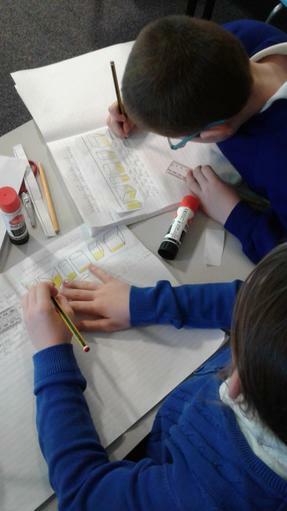 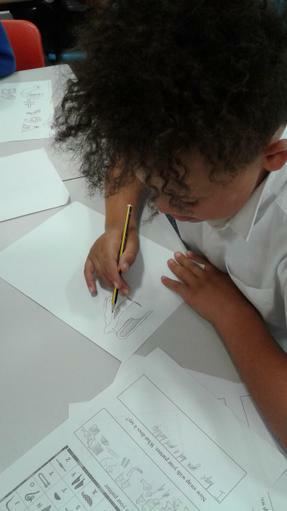 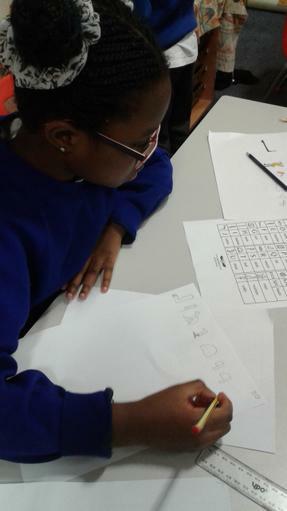 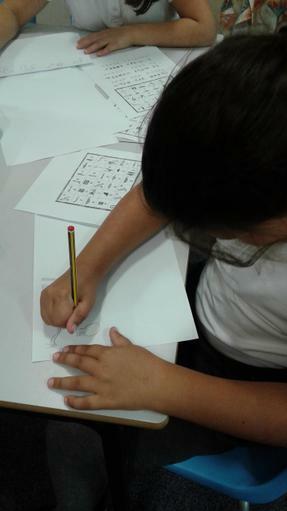 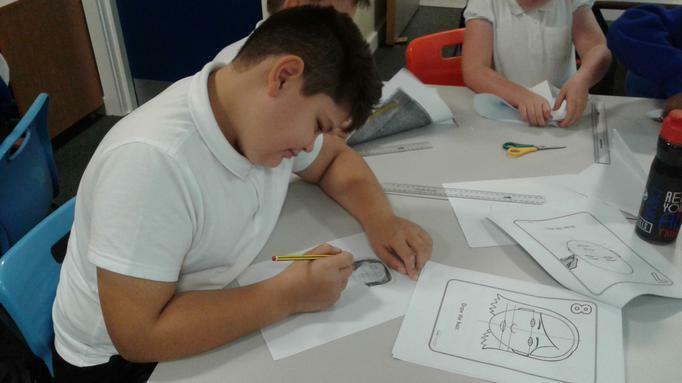 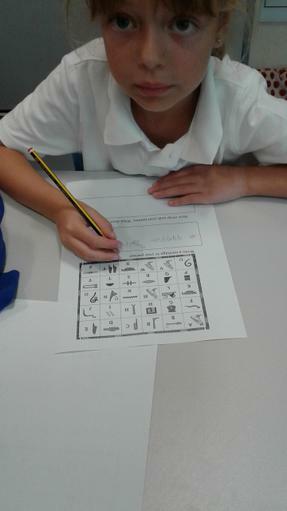 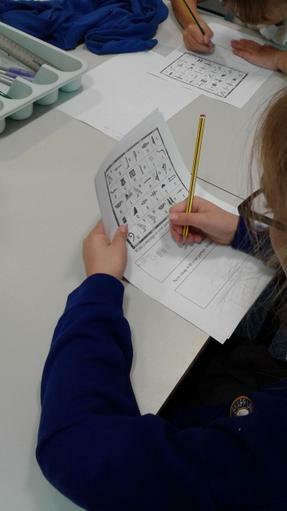 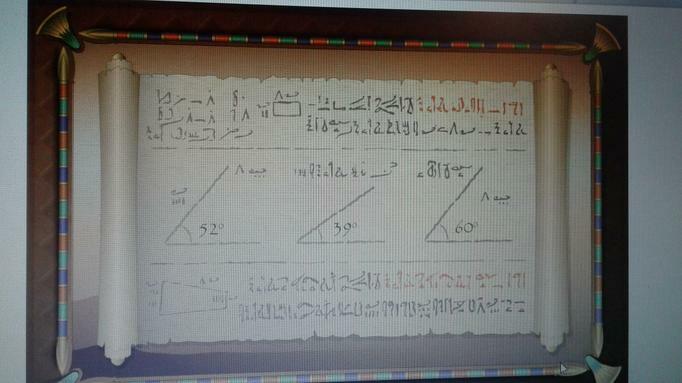 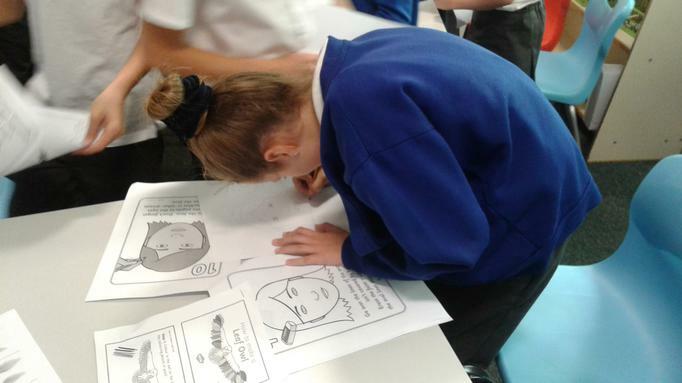 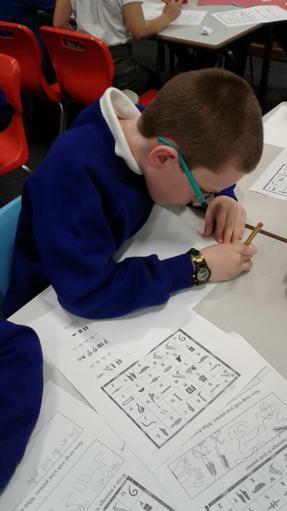 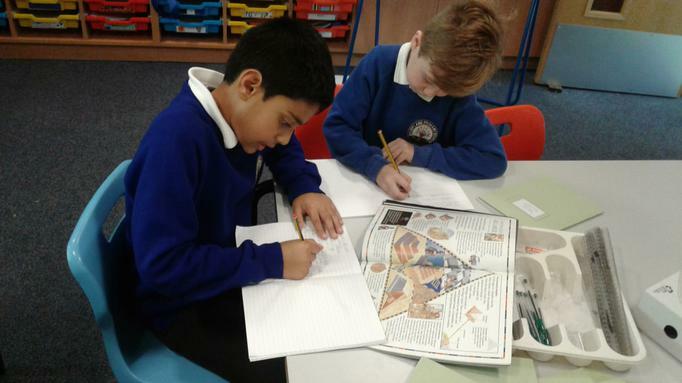 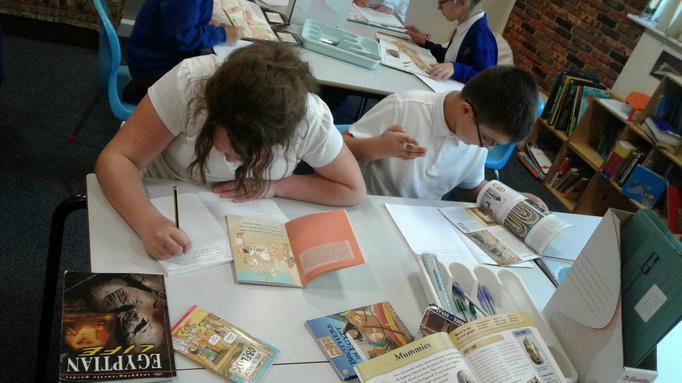 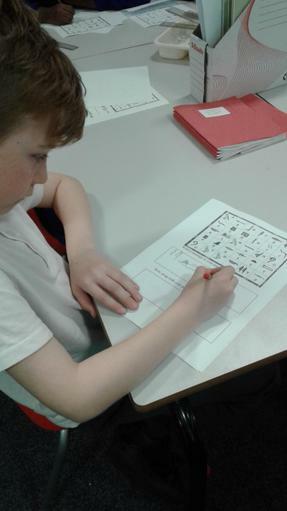 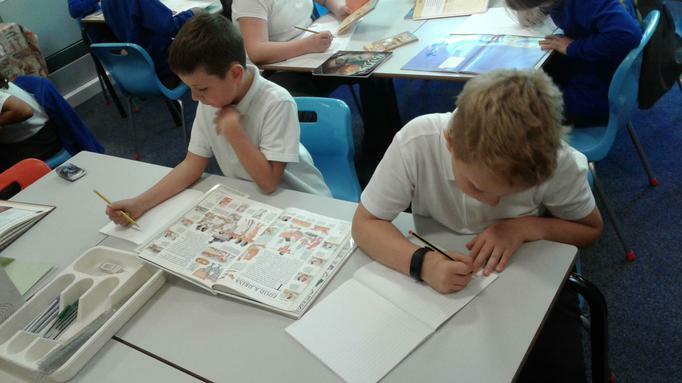 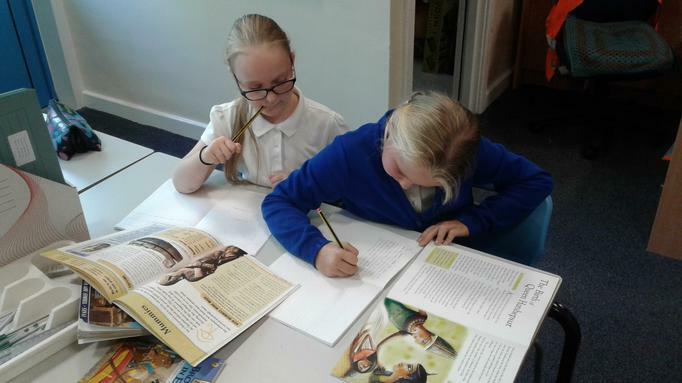 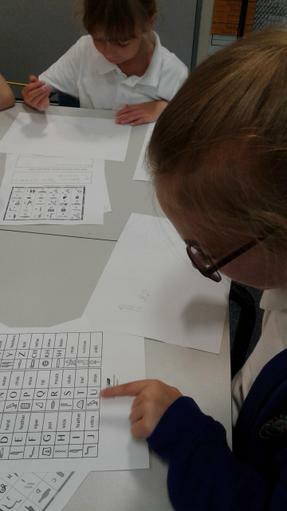 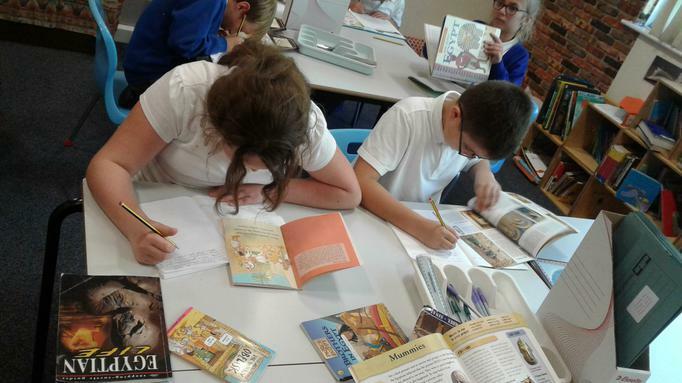 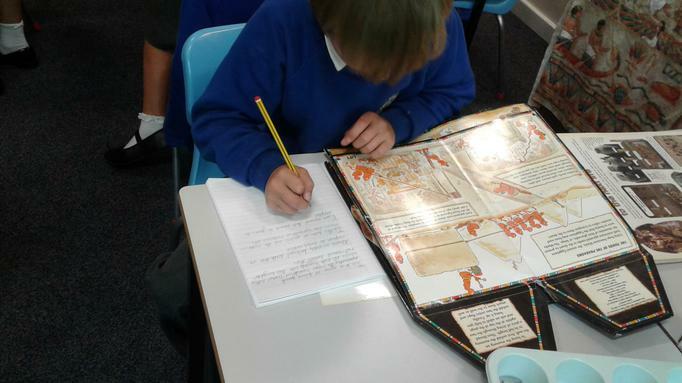 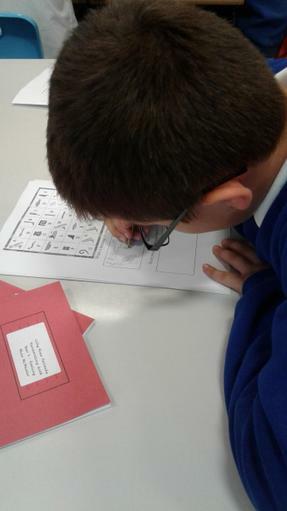 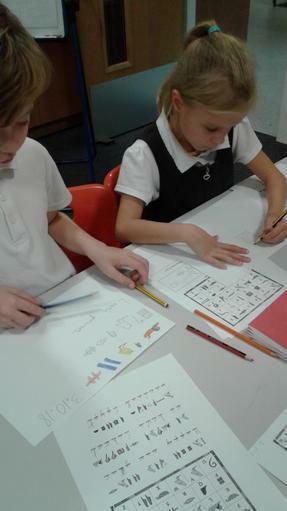 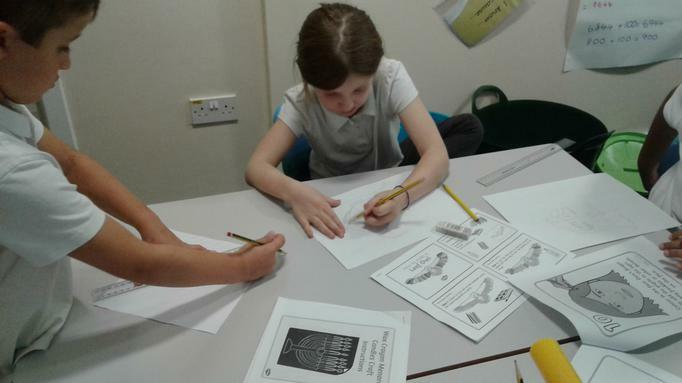 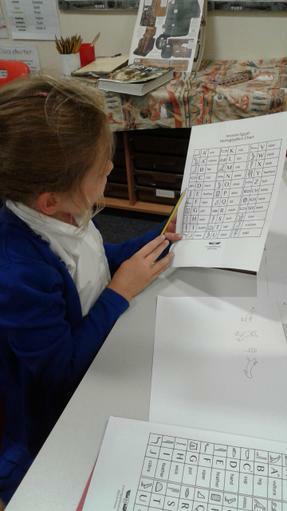 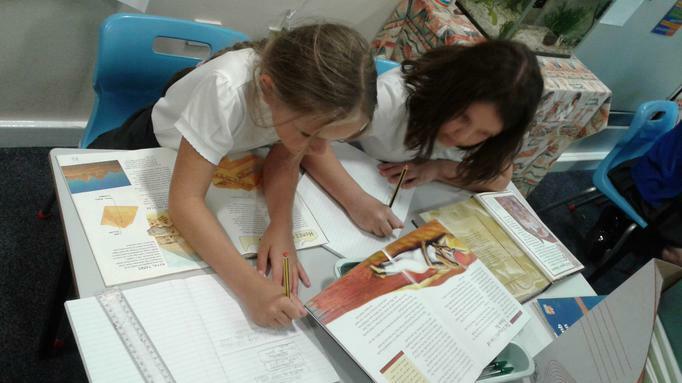 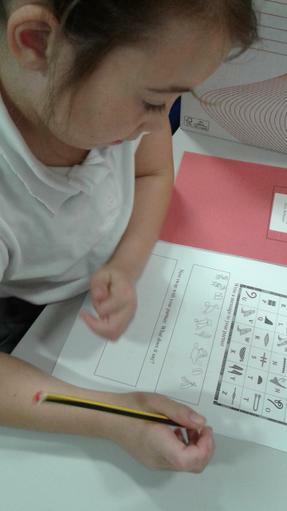 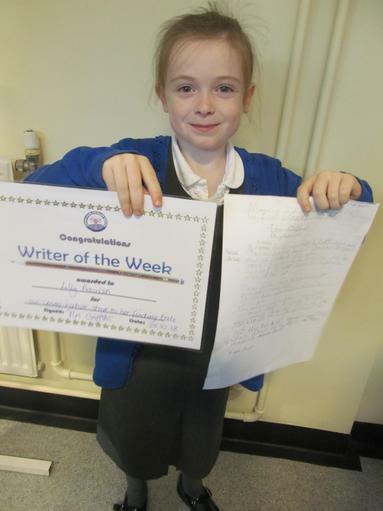 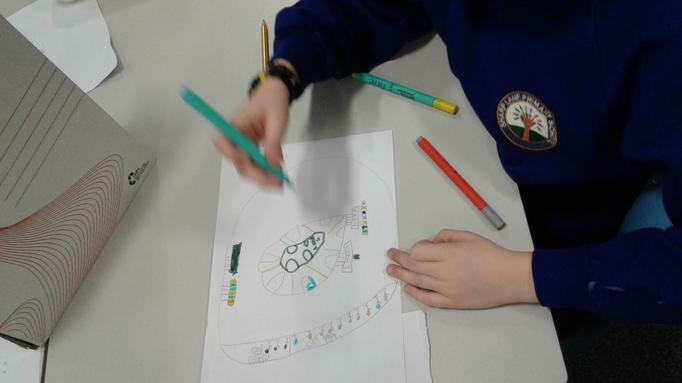 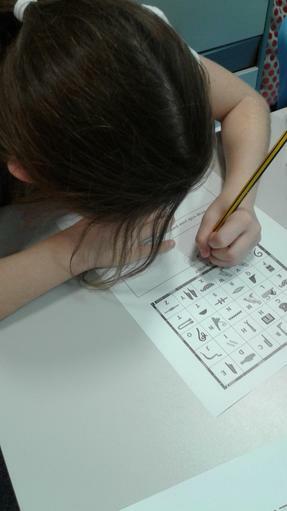 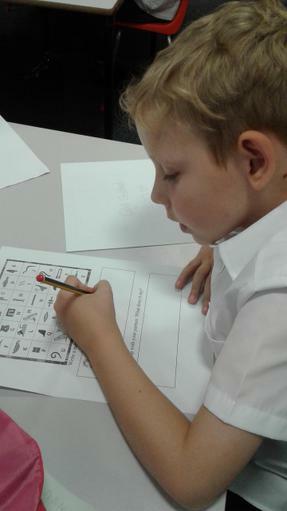 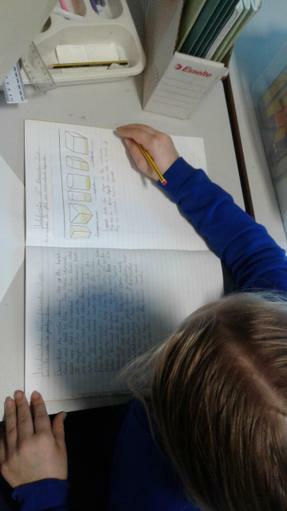 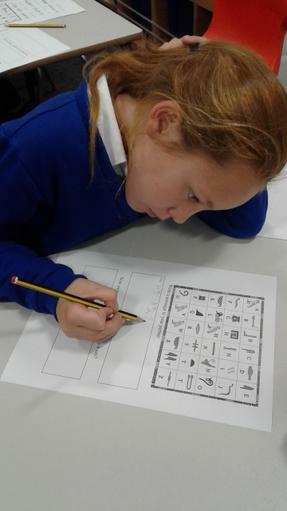 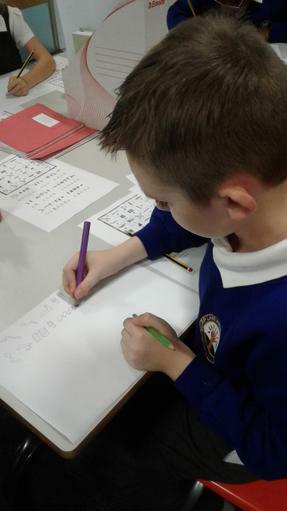 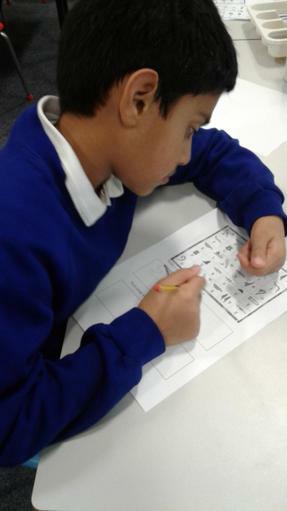 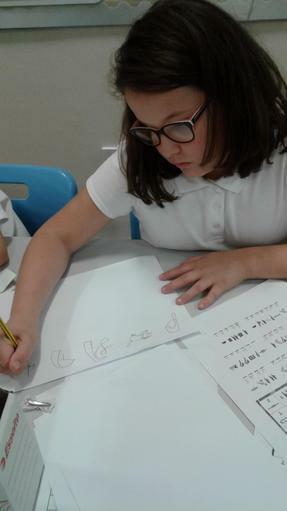 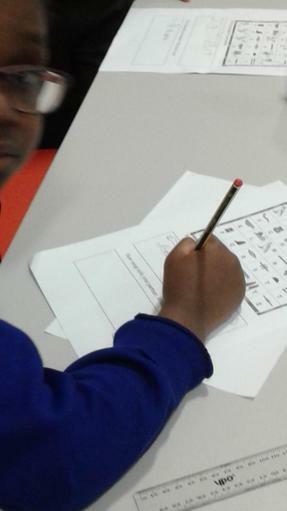 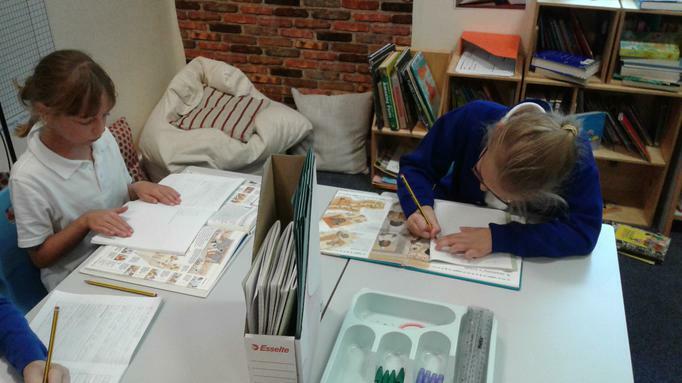 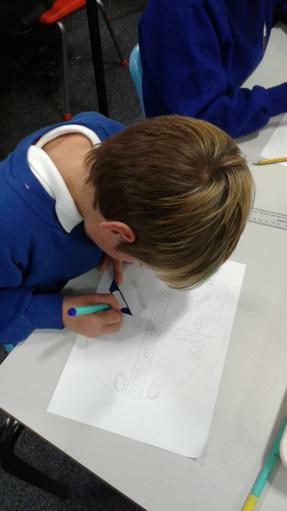 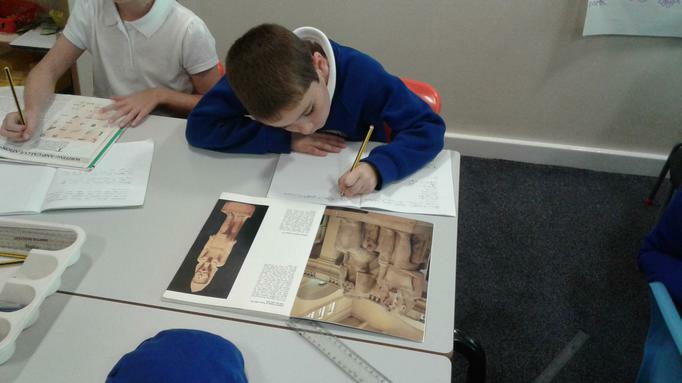 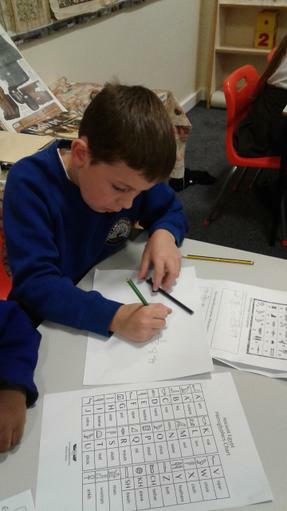 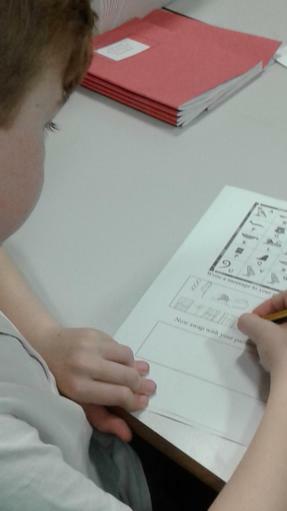 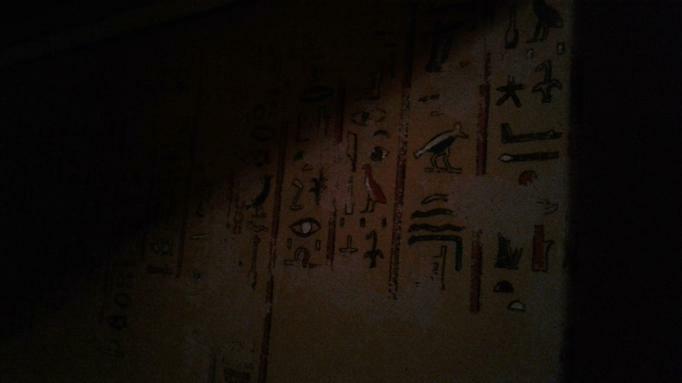 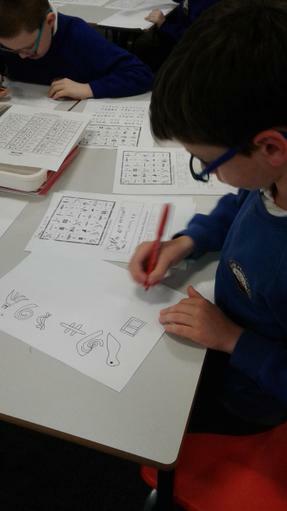 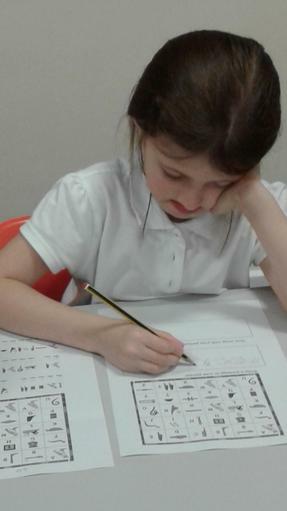 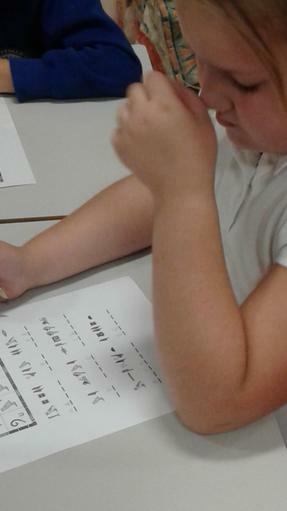 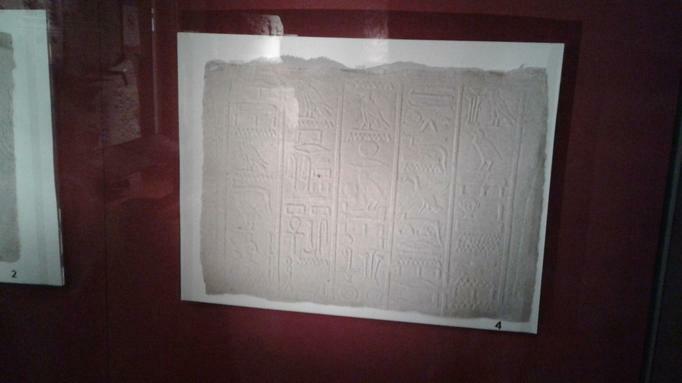 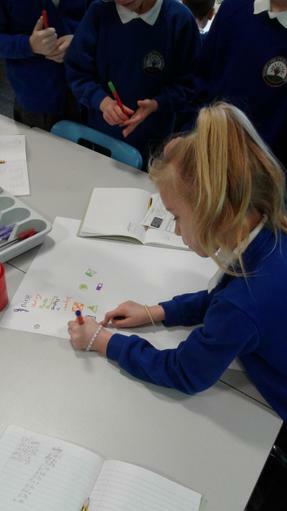 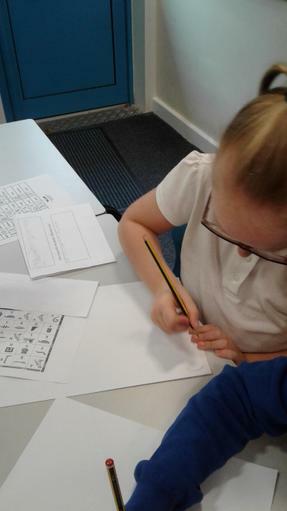 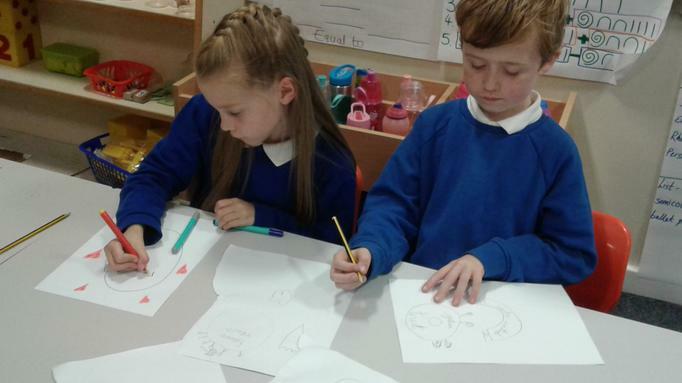 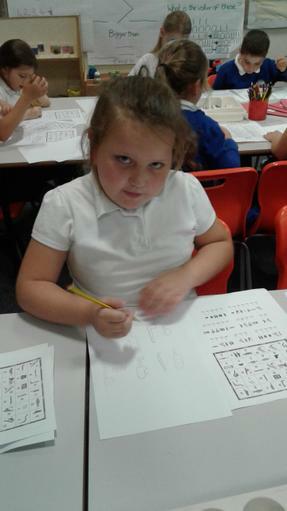 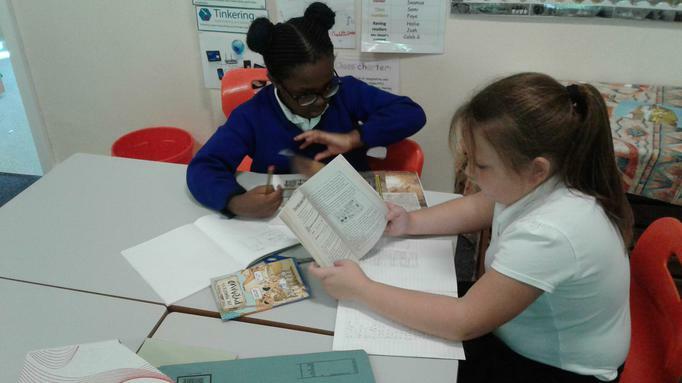 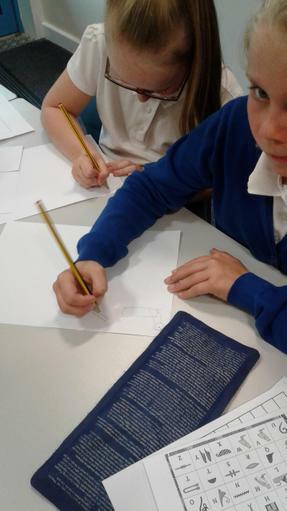 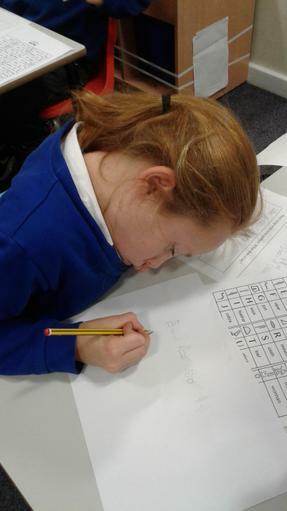 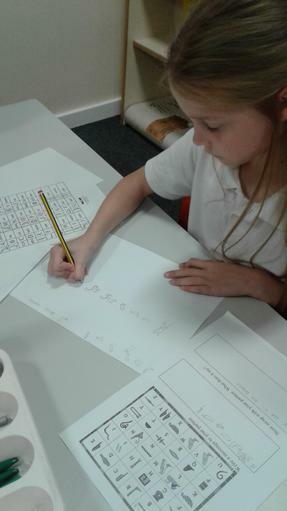 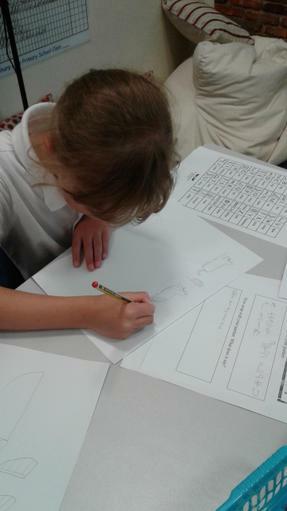 Reading and writing in hieroglyphics. 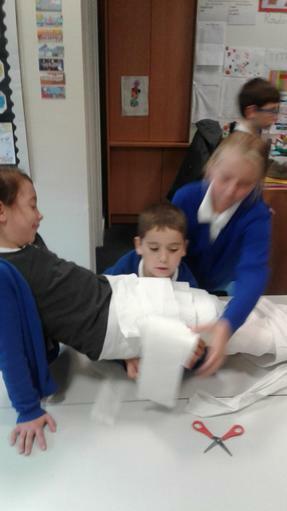 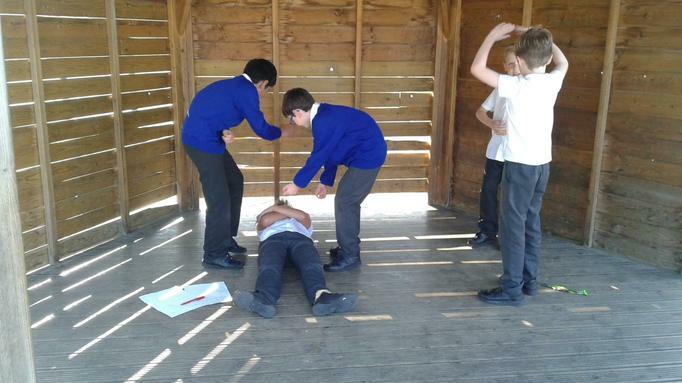  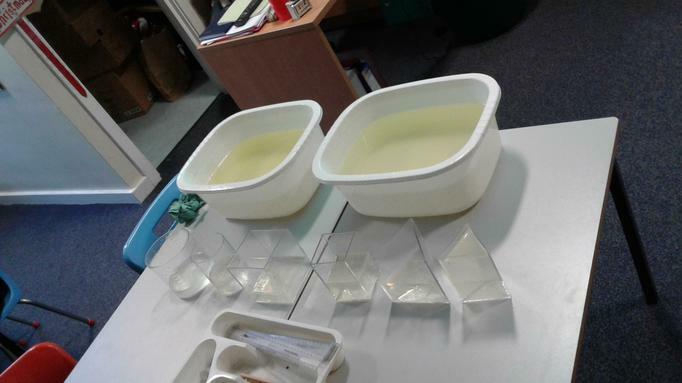 Have a go at building a pyramid. 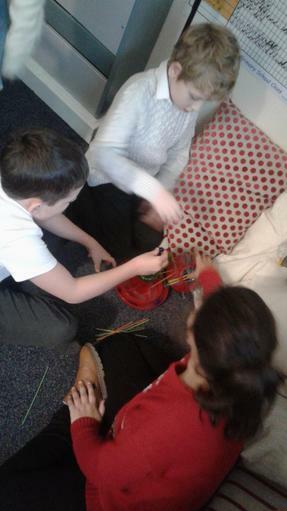 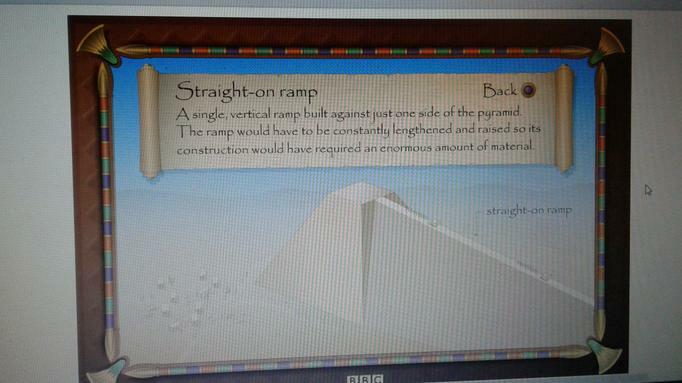 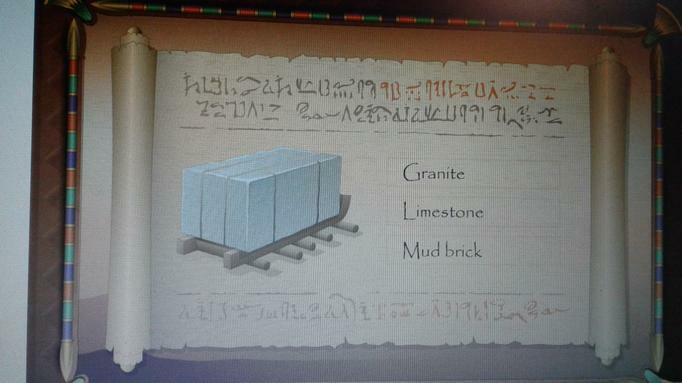 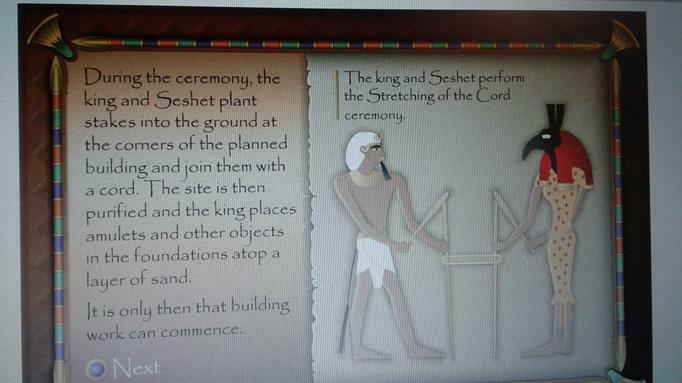 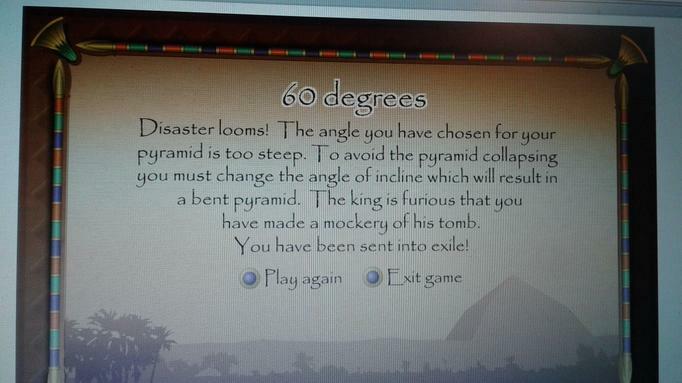 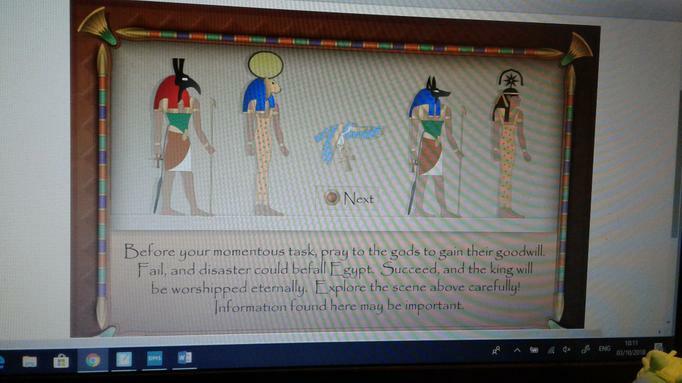 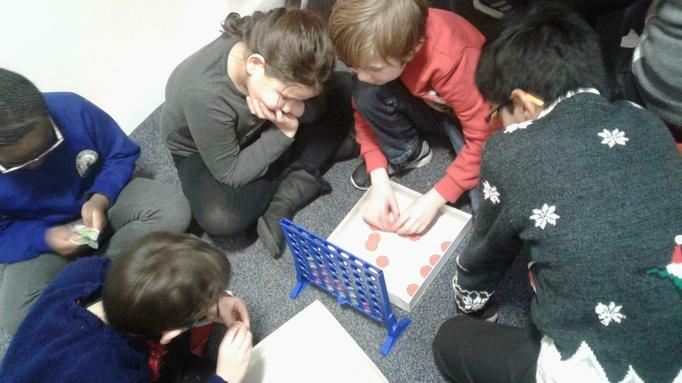 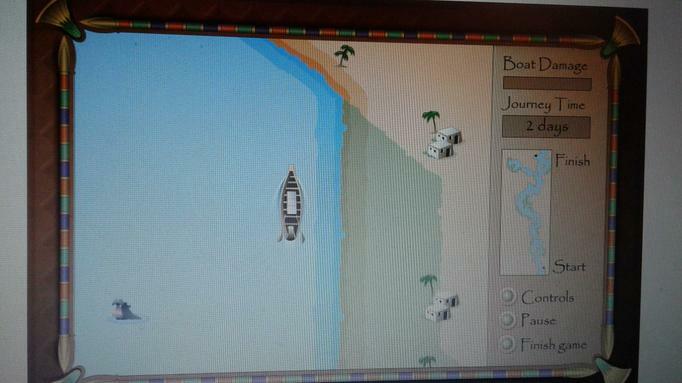 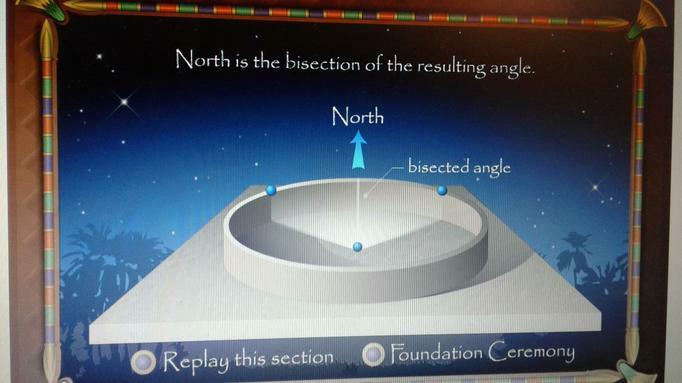 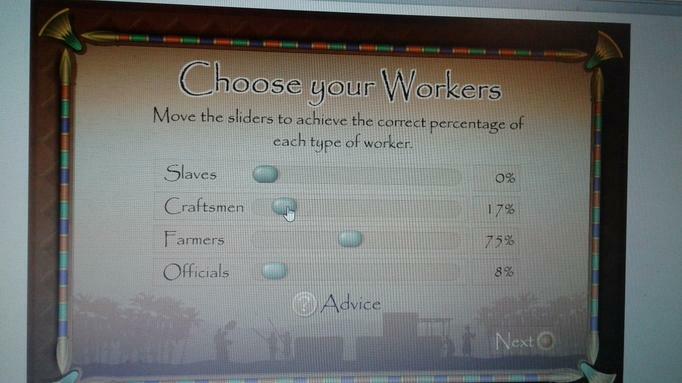 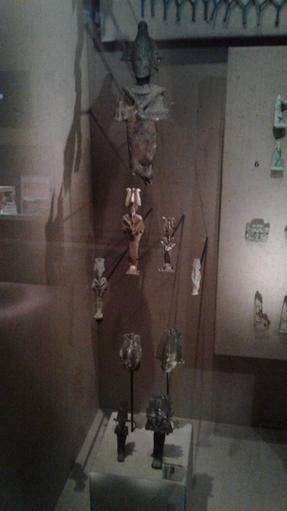 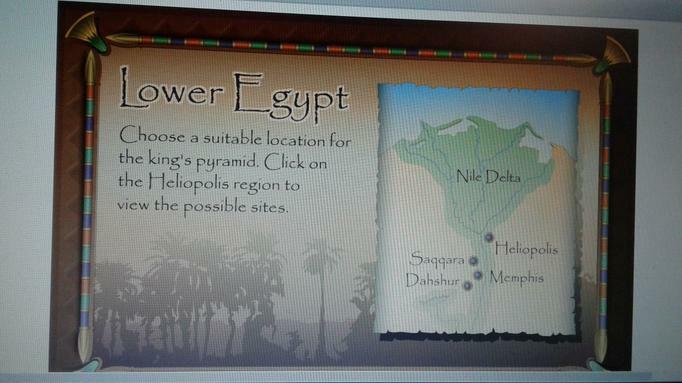 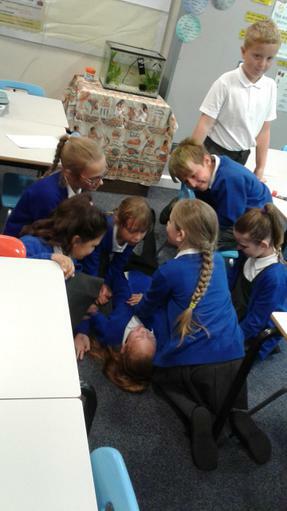 Playing a game to learn how to build a pyramid. 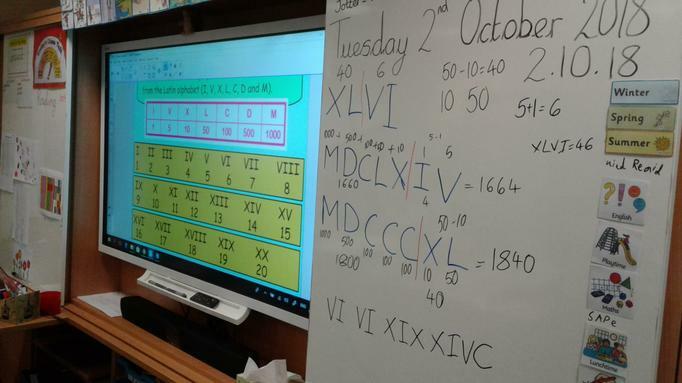 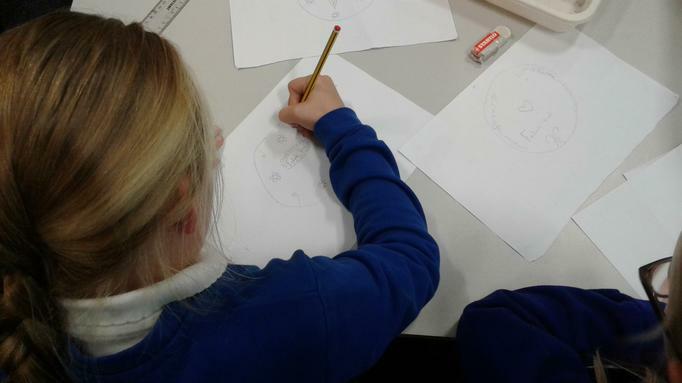 Can we work out our birthdays in Roman Numerals? 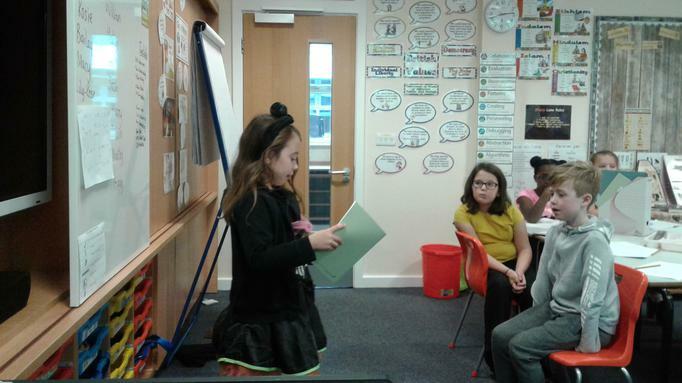 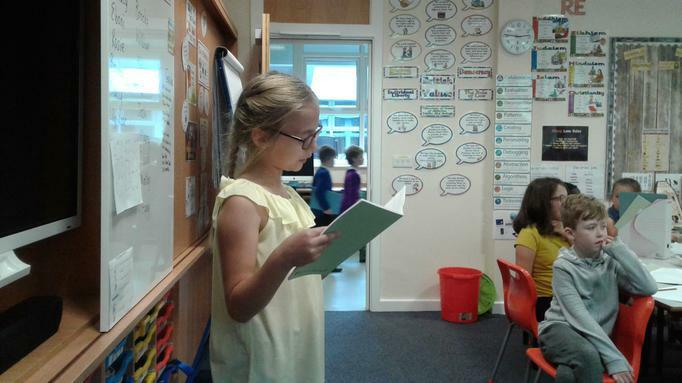 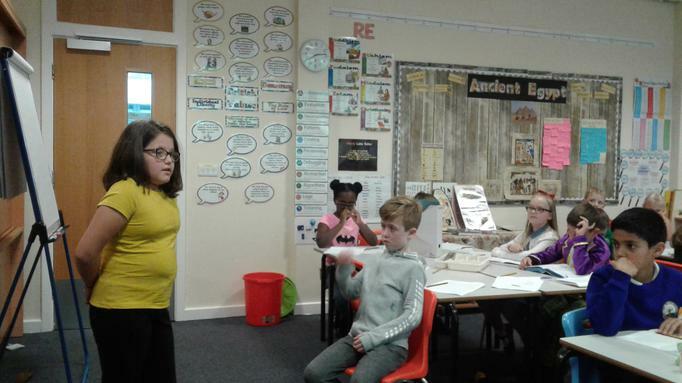 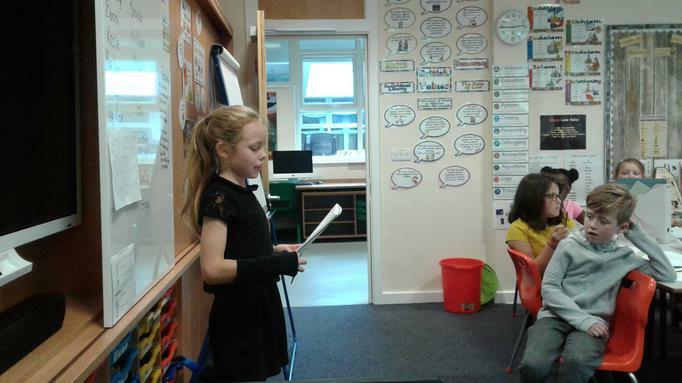 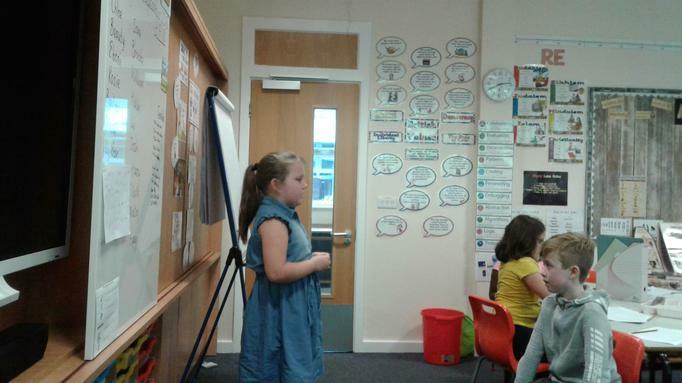 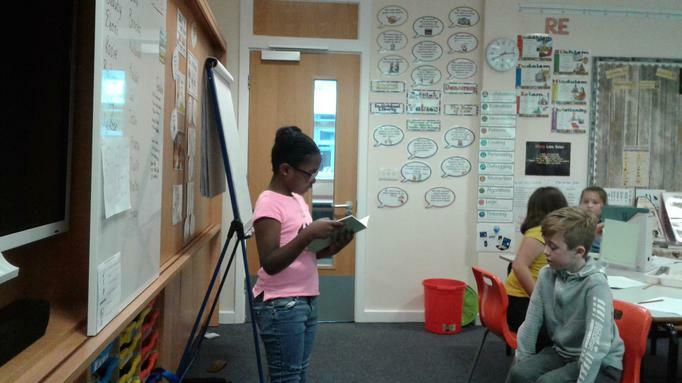 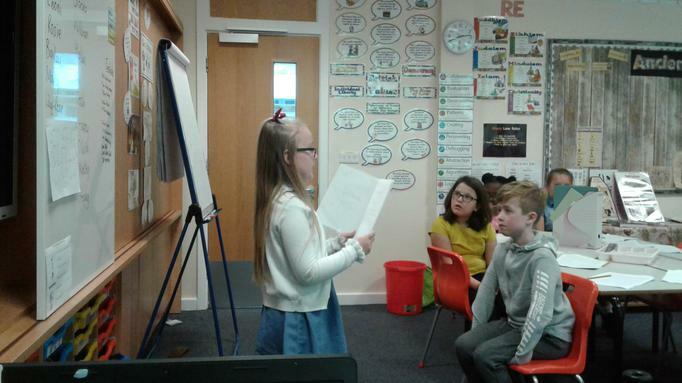 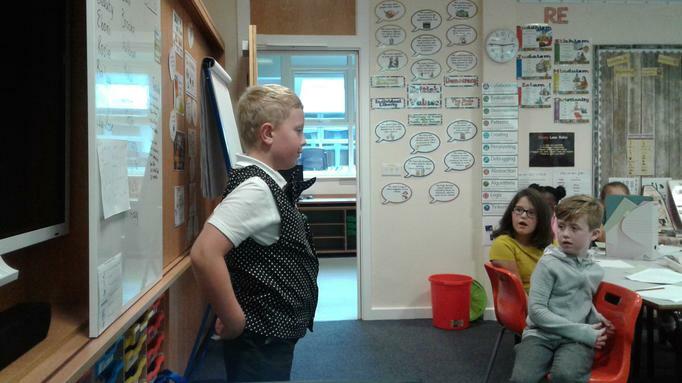 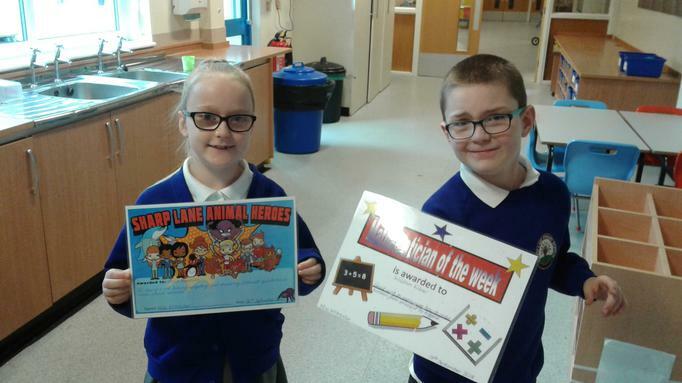 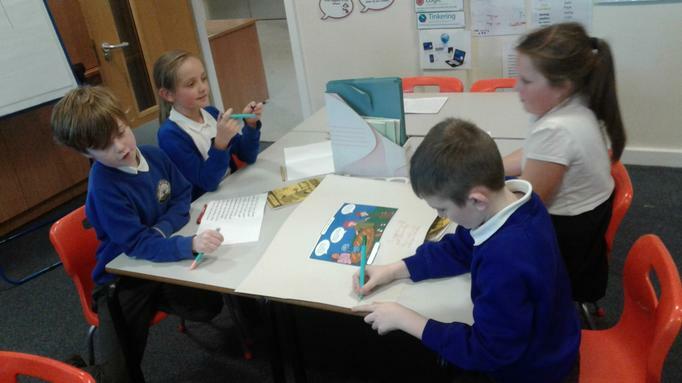 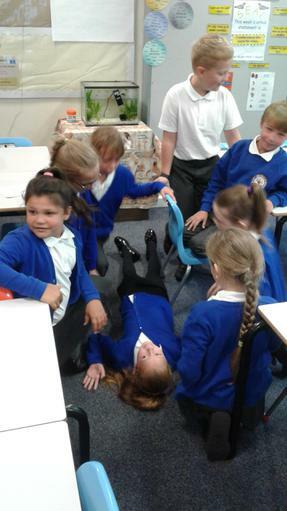 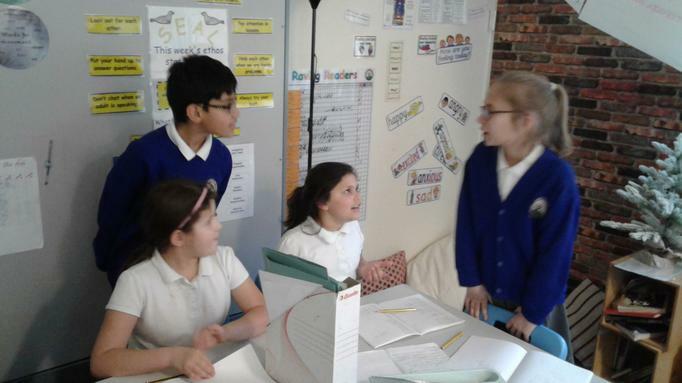 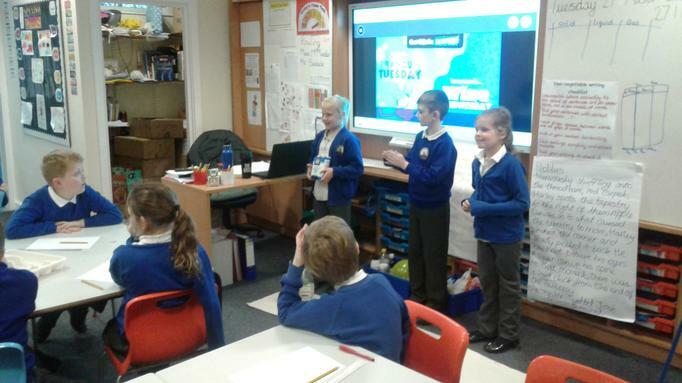 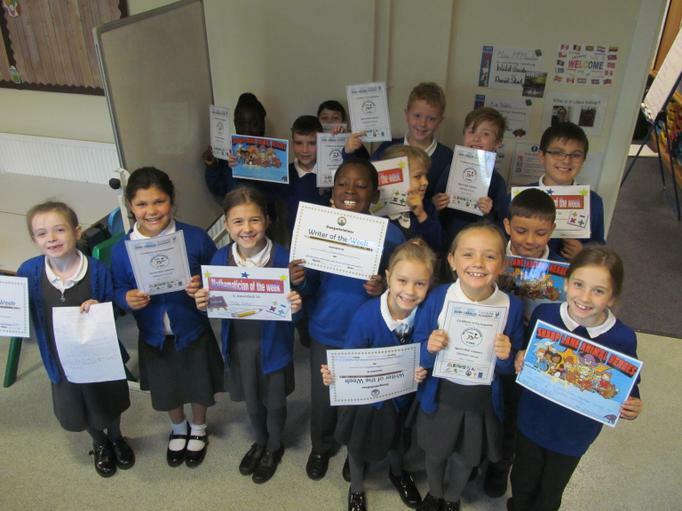 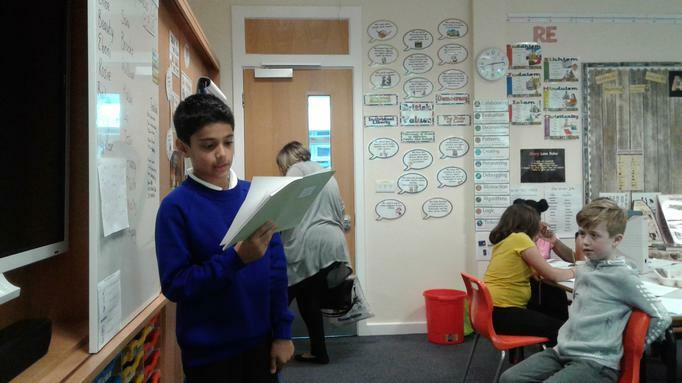 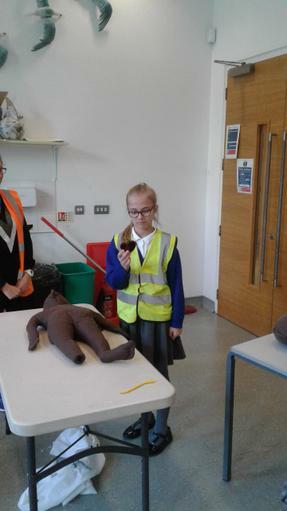 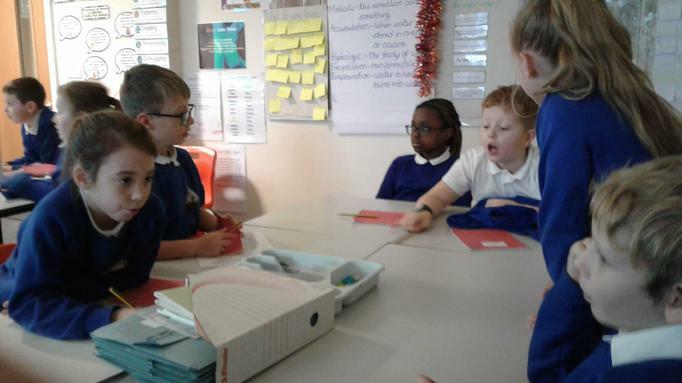 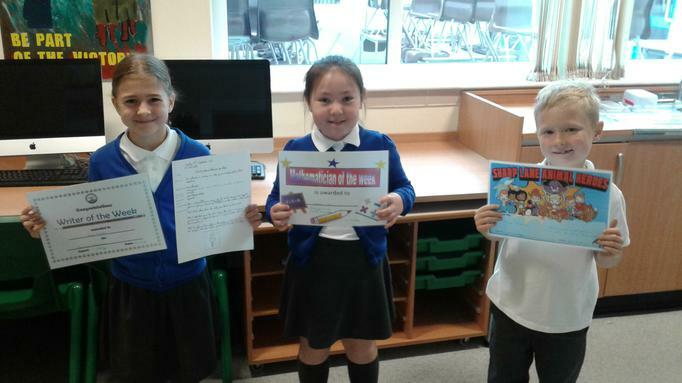 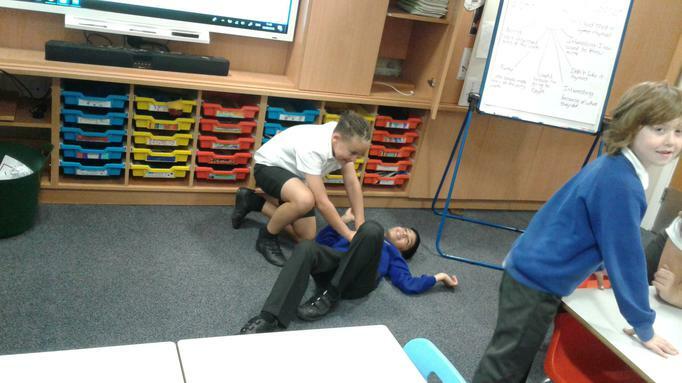 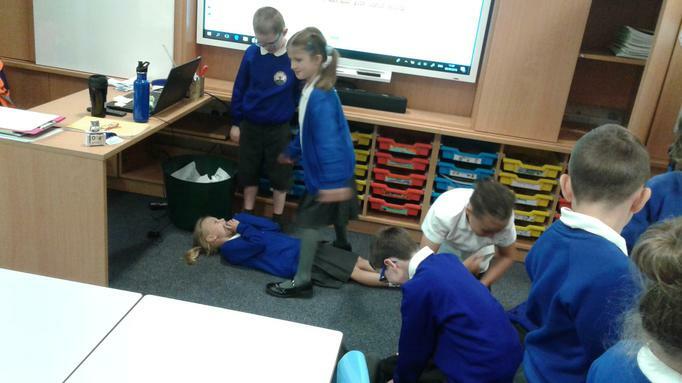 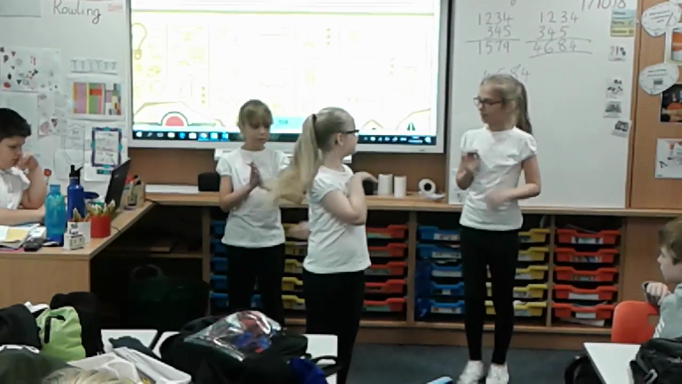 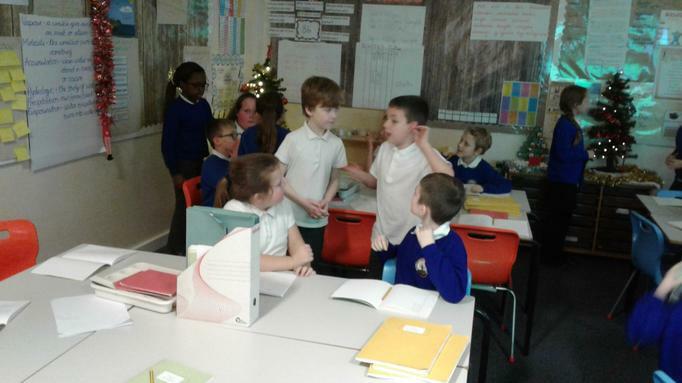 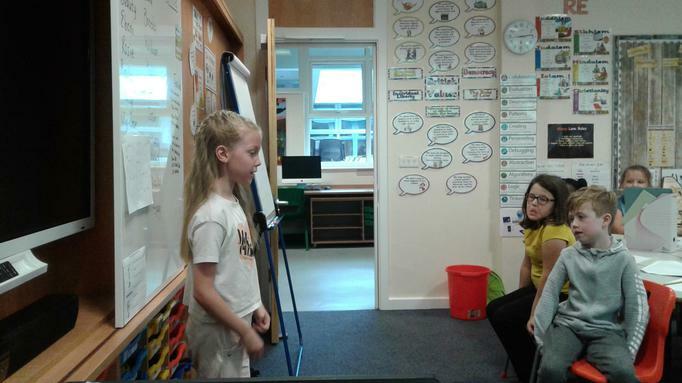 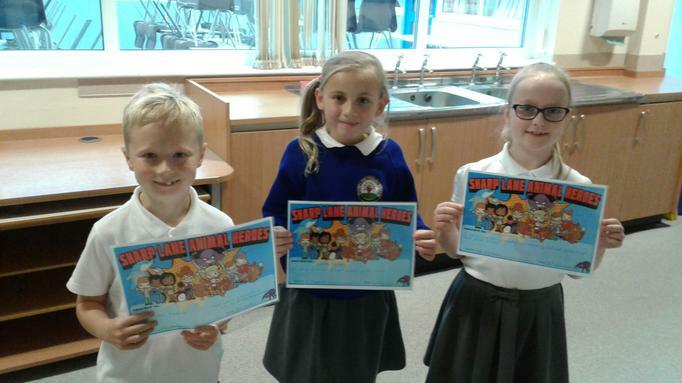 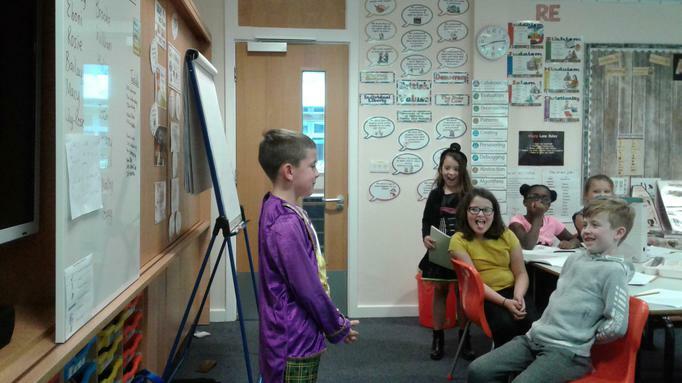 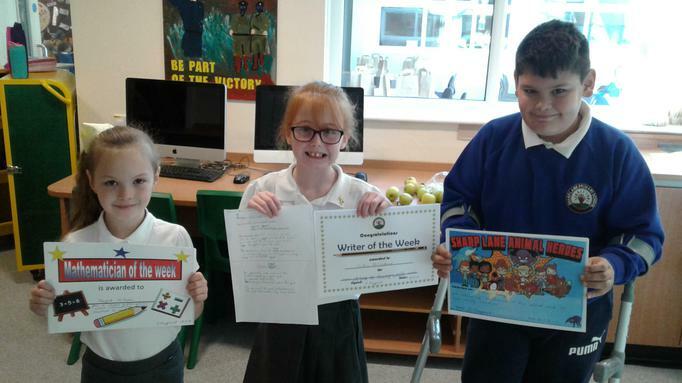 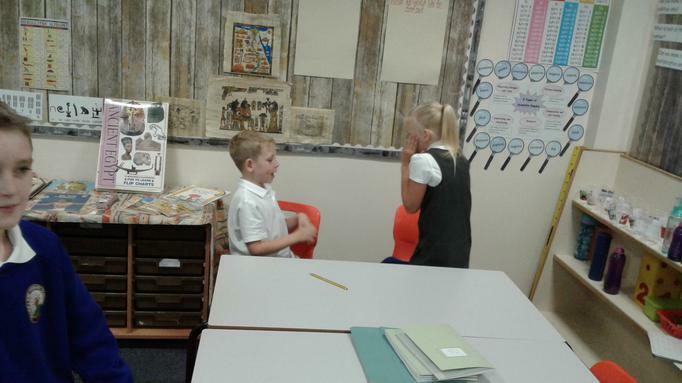 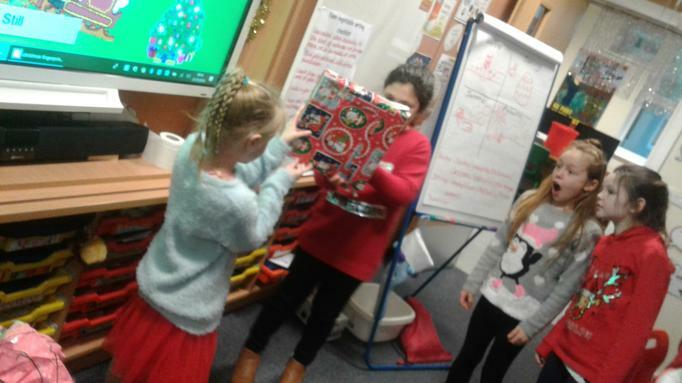 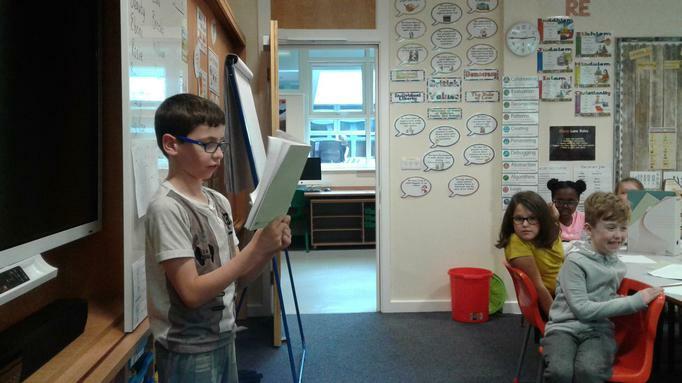 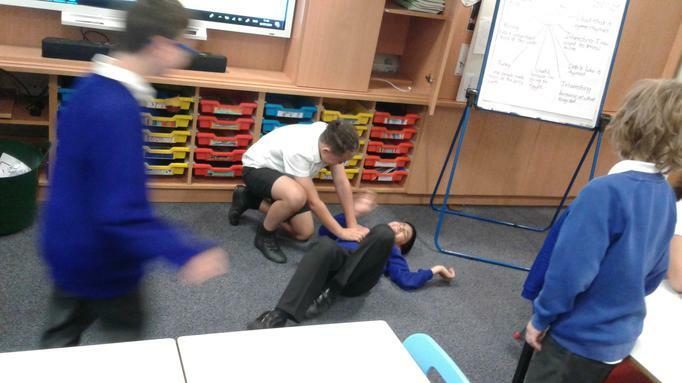 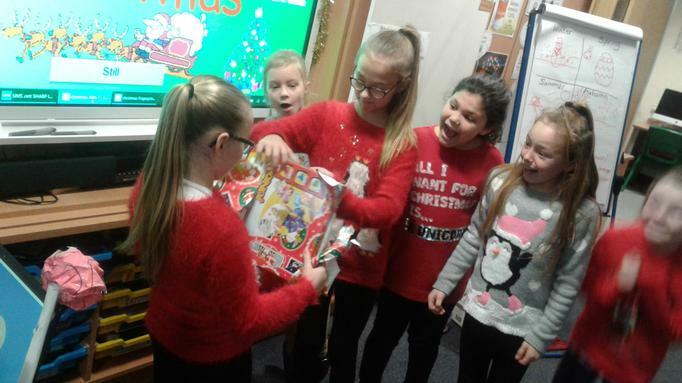 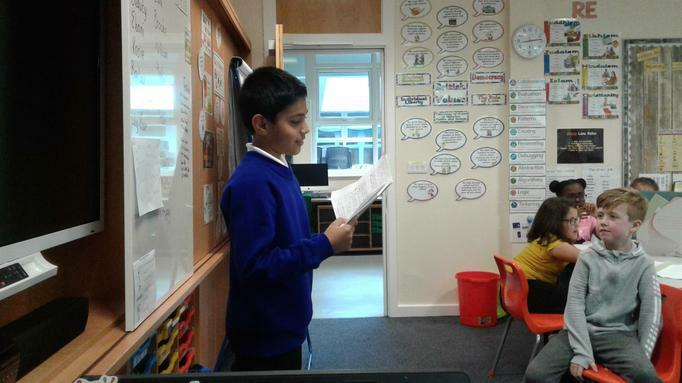 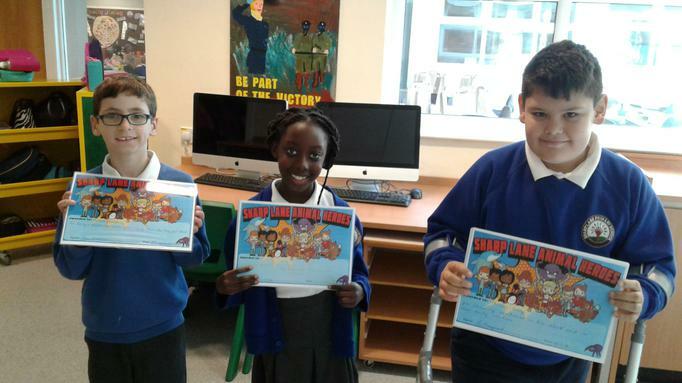 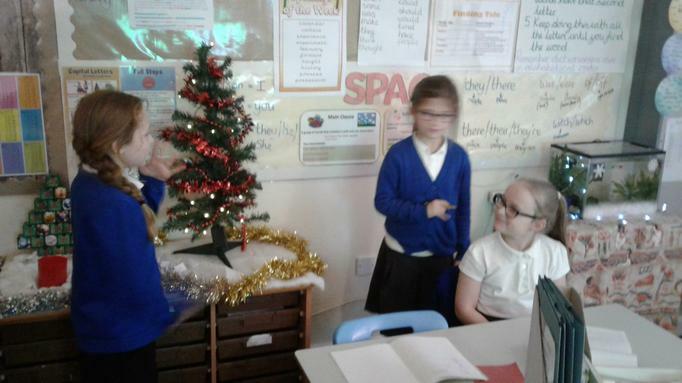 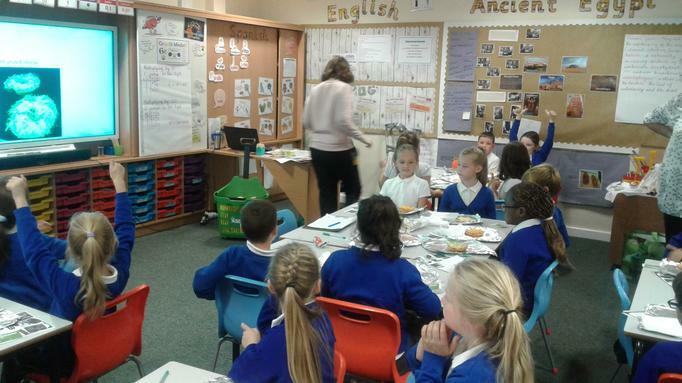 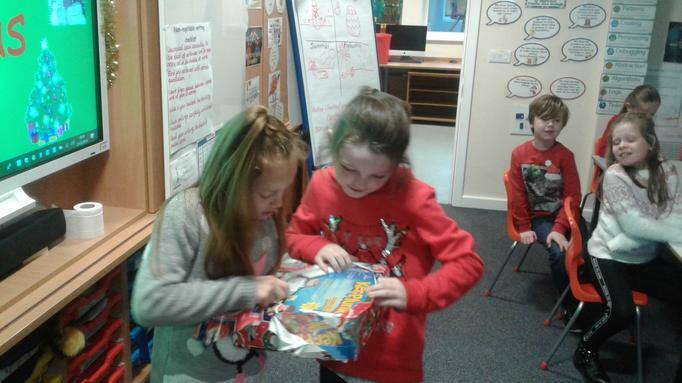 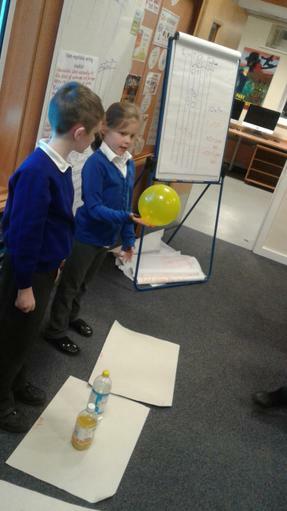 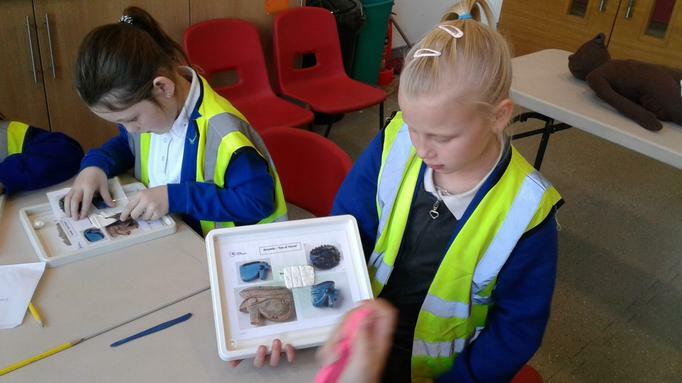 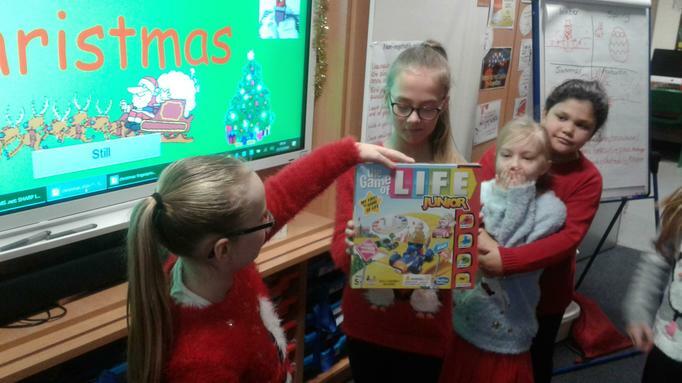 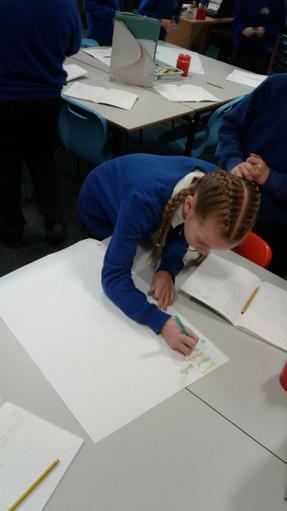 A presentation for their application for school council. 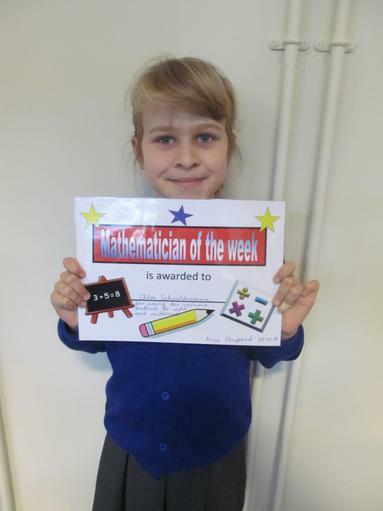 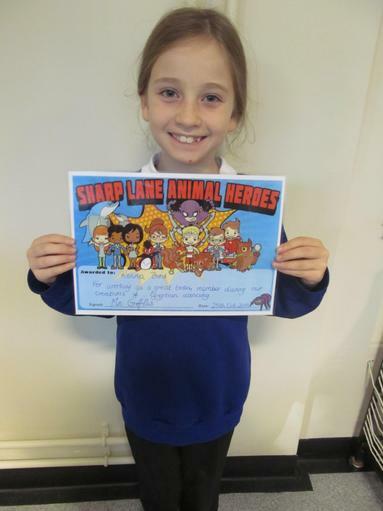 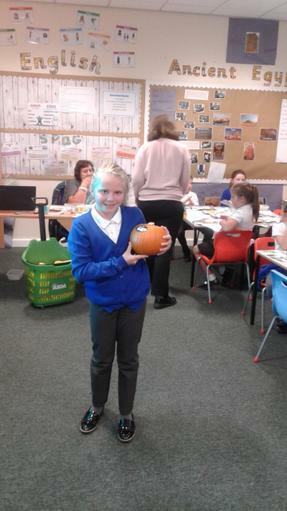 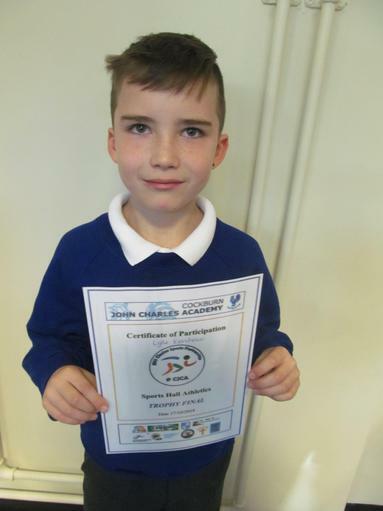 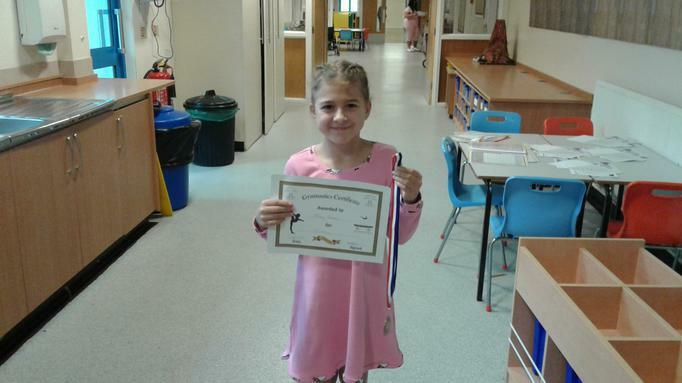 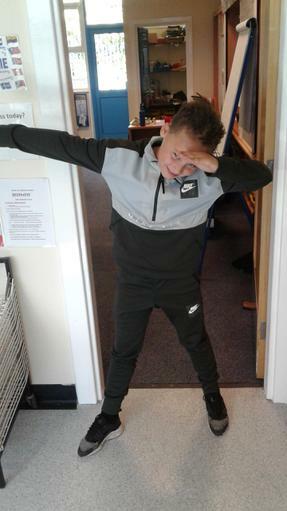 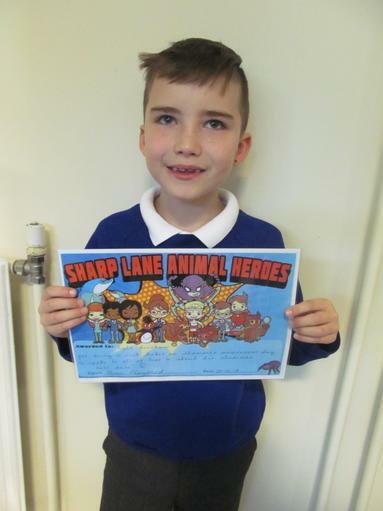 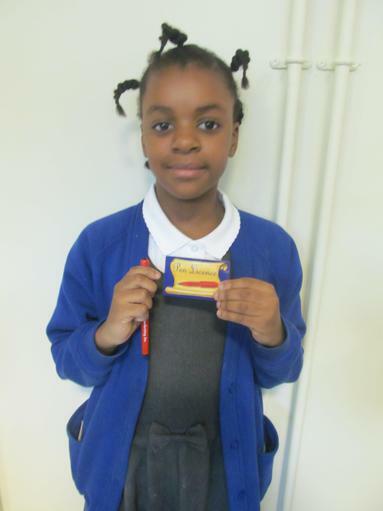 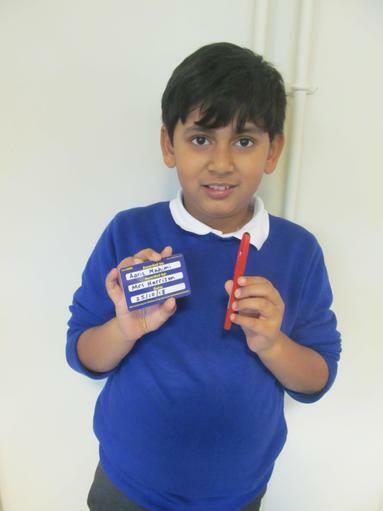 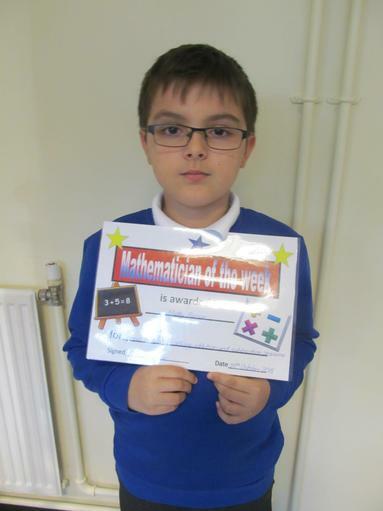 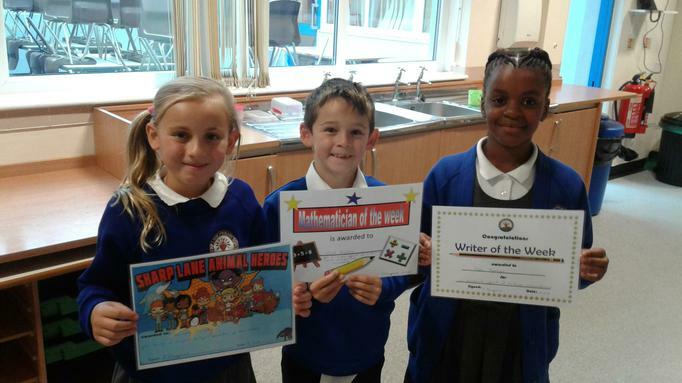 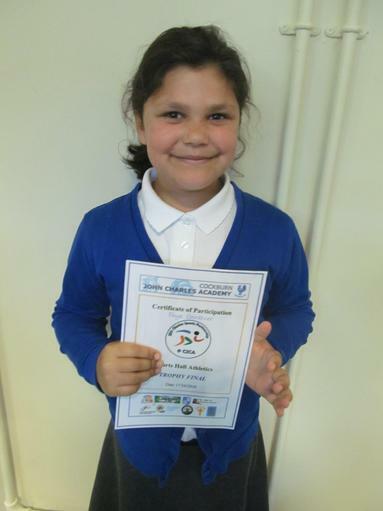 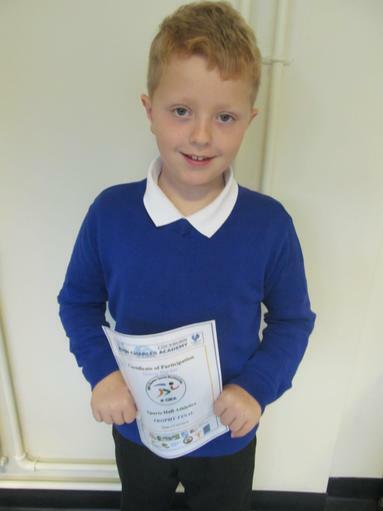 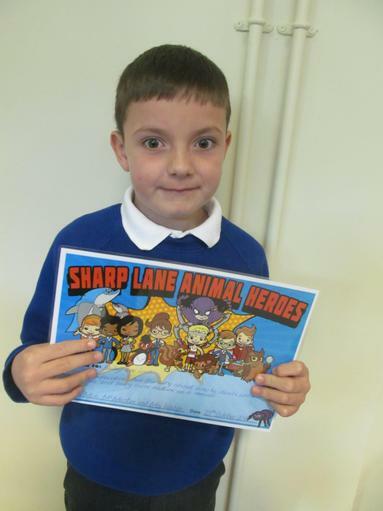 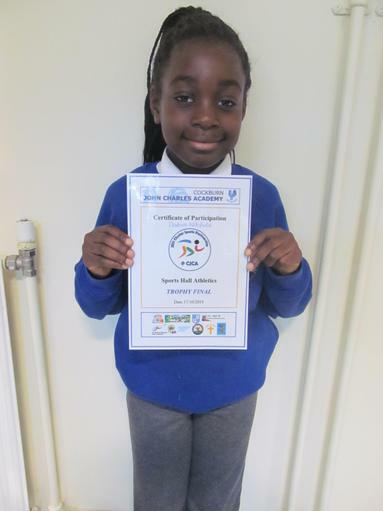 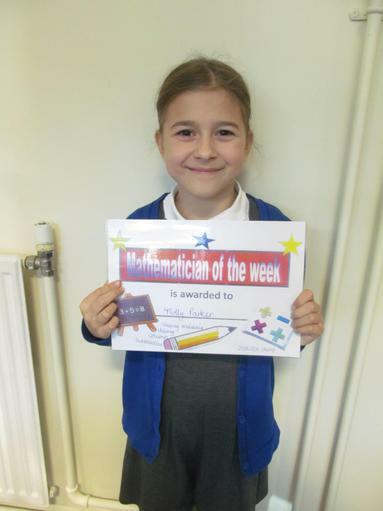 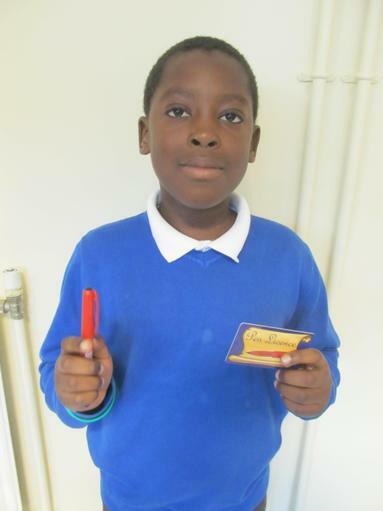 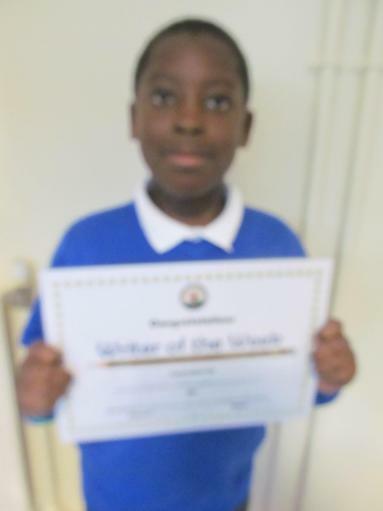 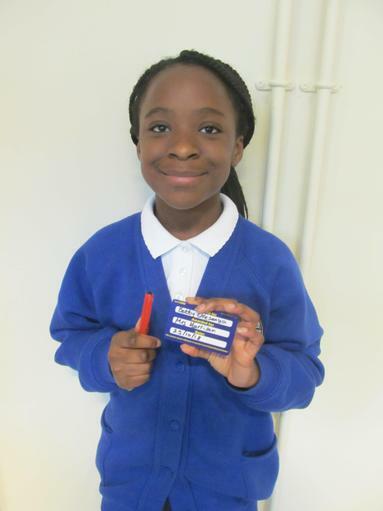 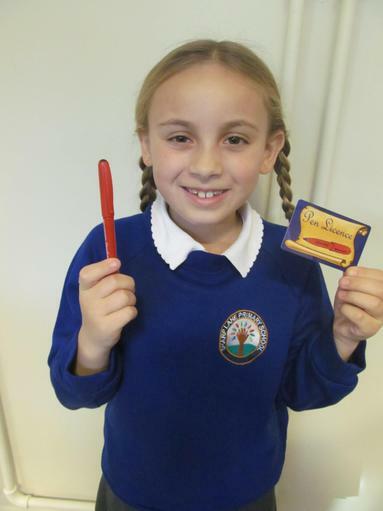 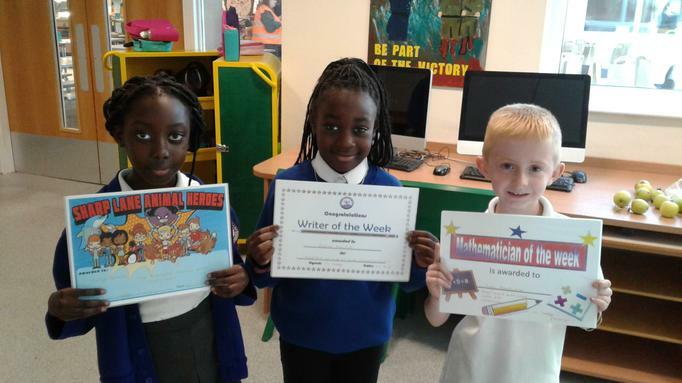 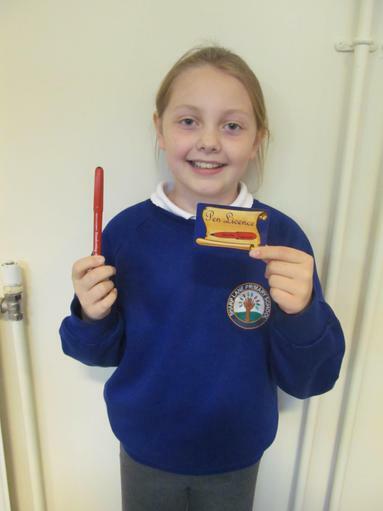 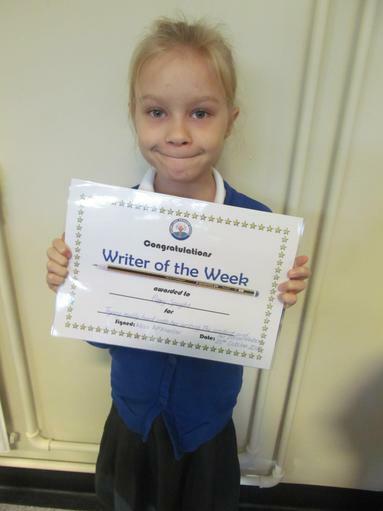 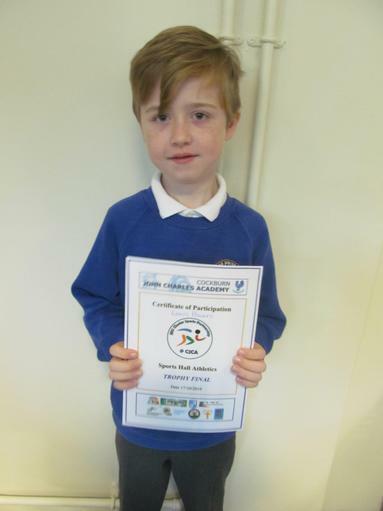 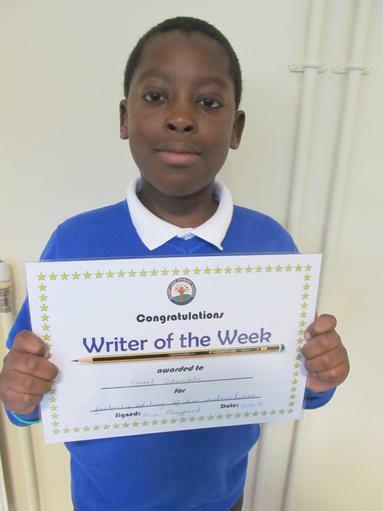 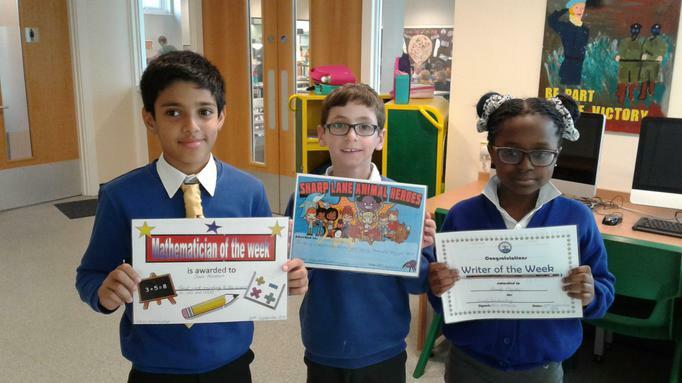 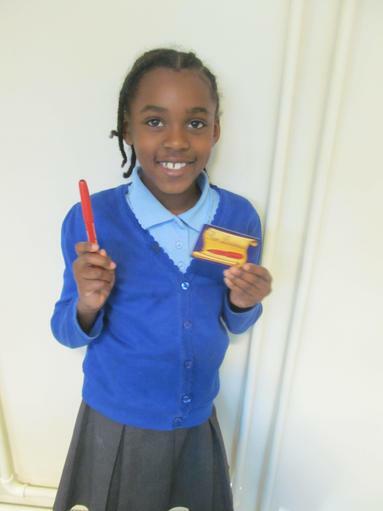 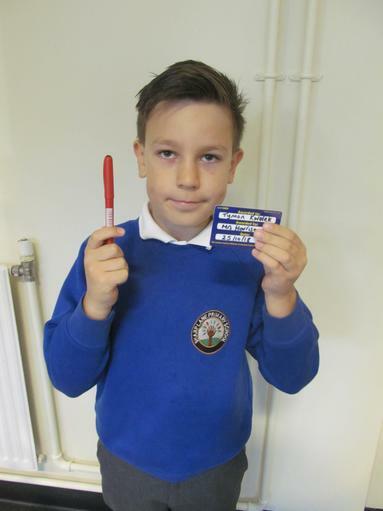 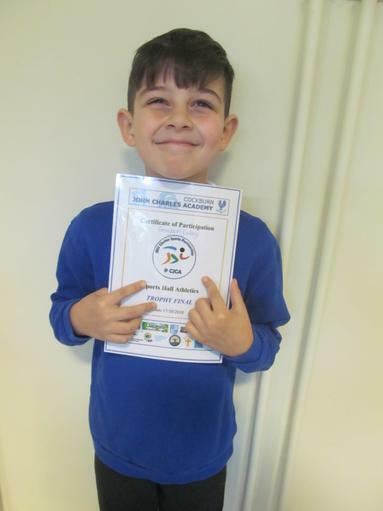 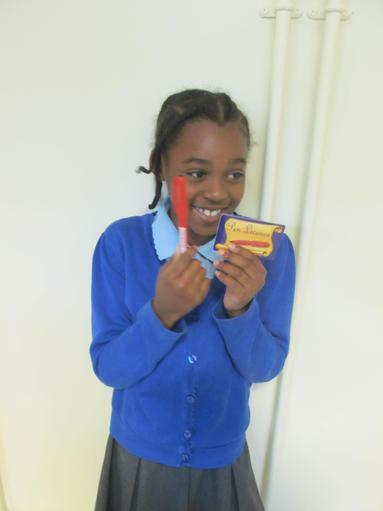 Congratulations to Josh who is our school council member. 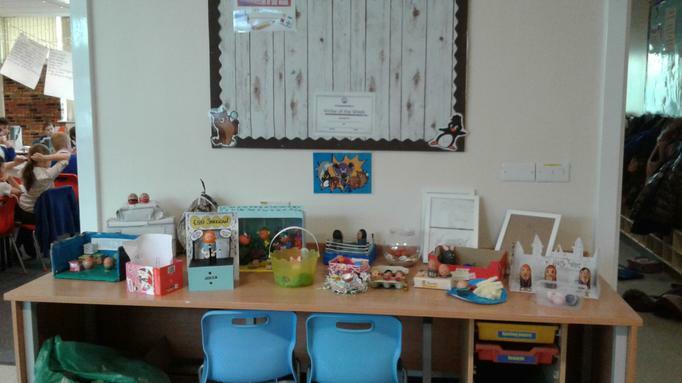 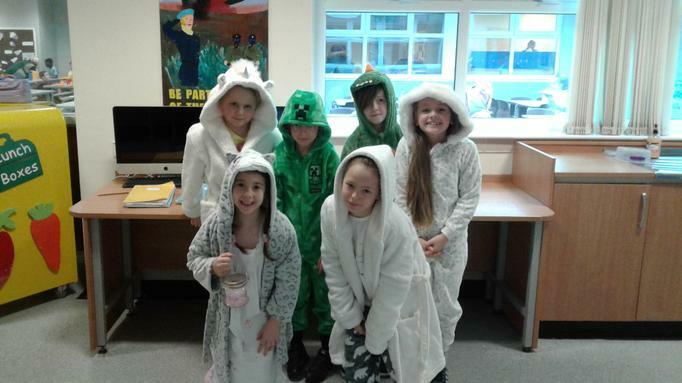 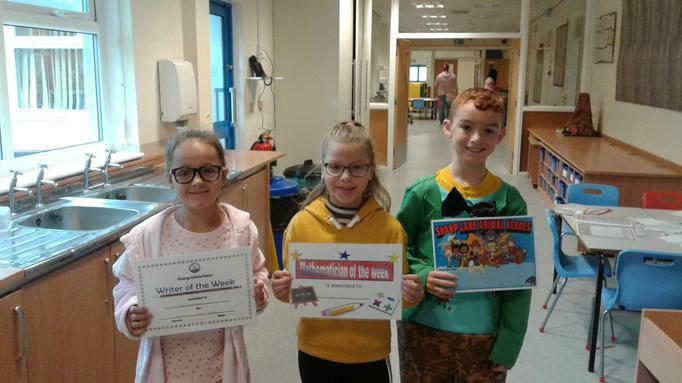 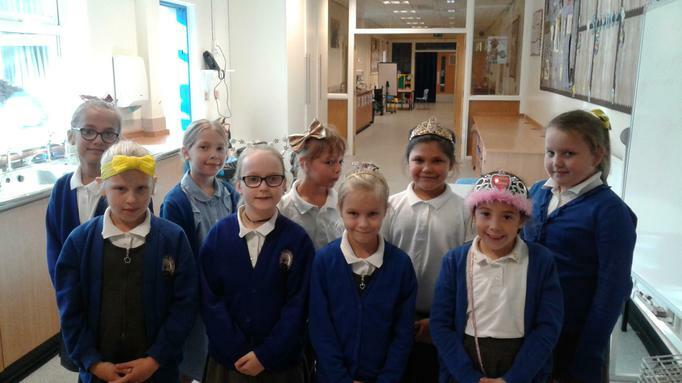 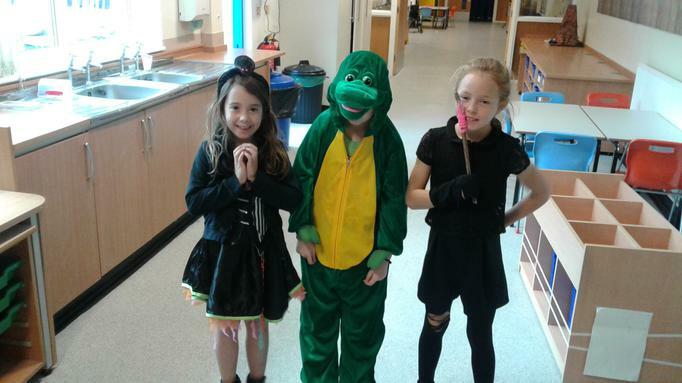 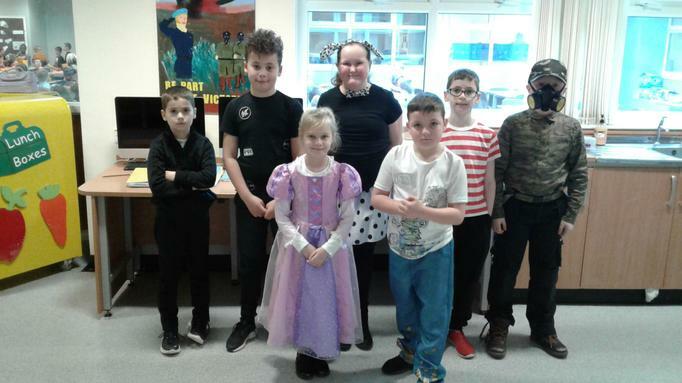 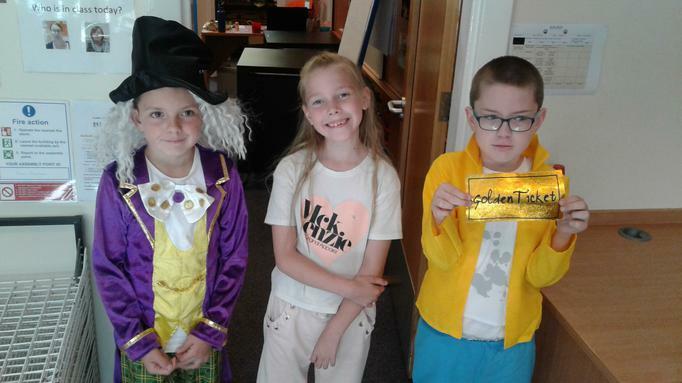 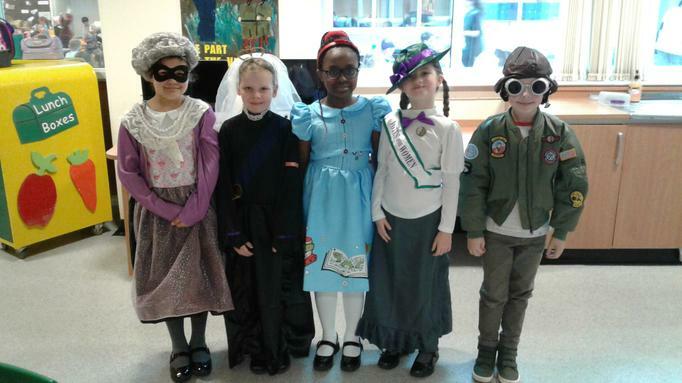 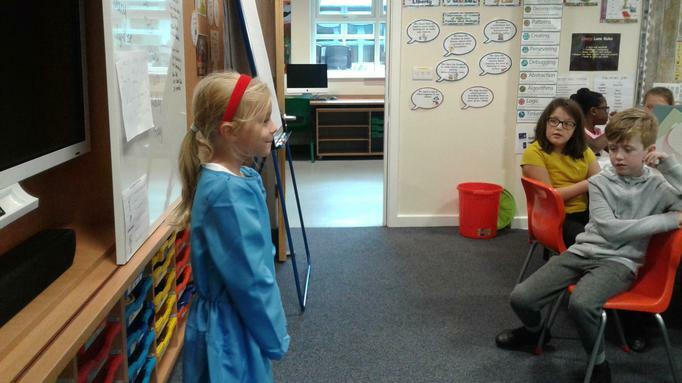 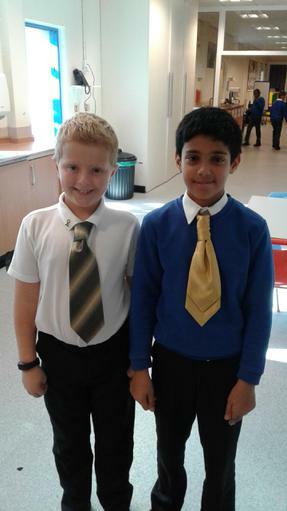 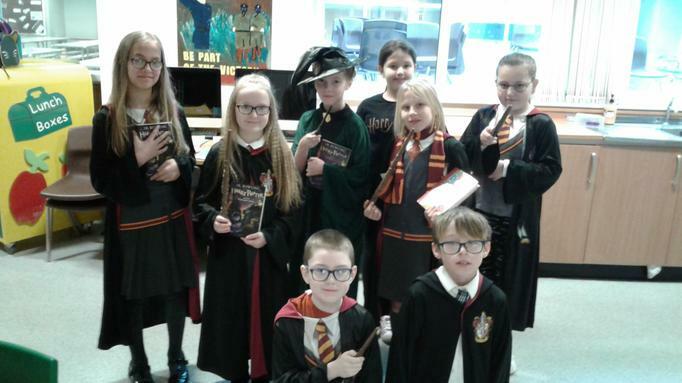 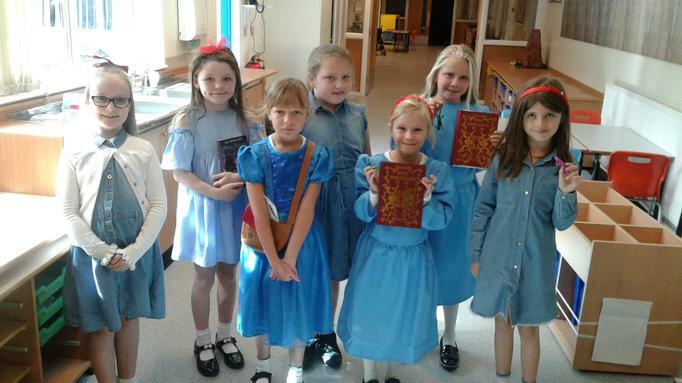 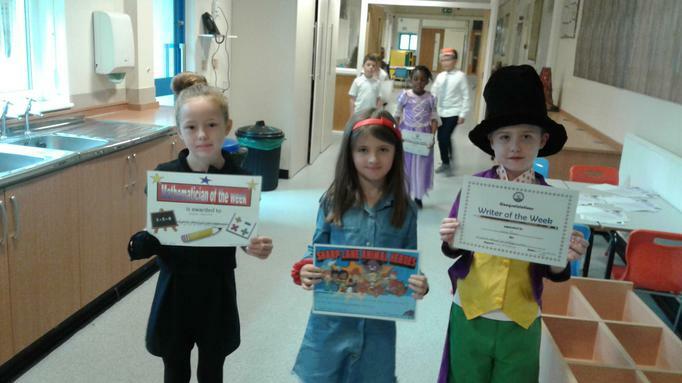 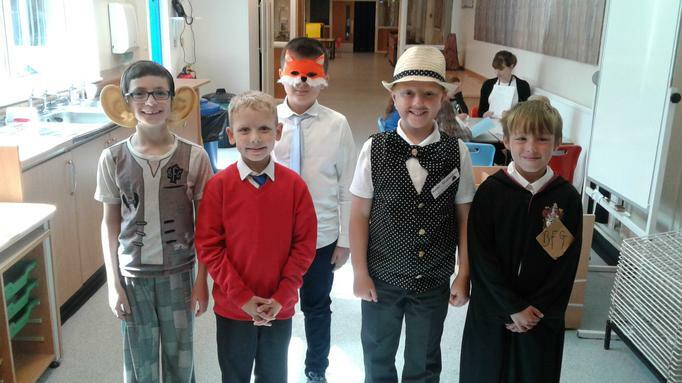 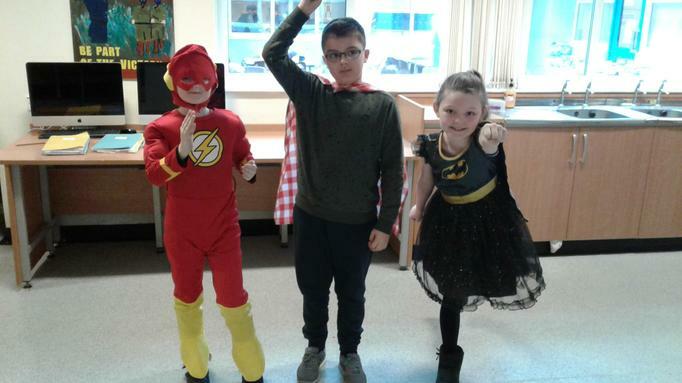 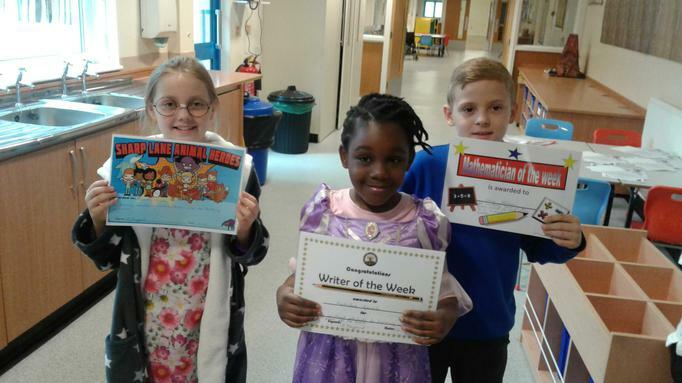 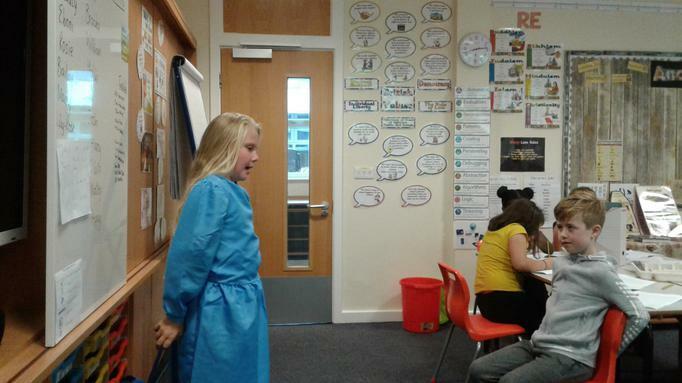 Some of our amazing costumes from Roald Dahl Day. 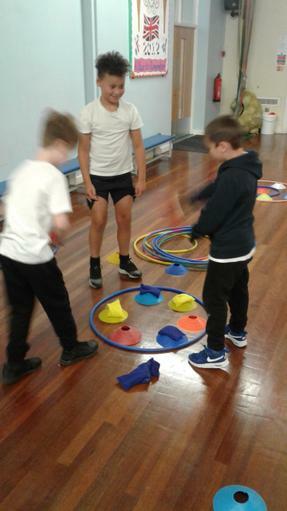 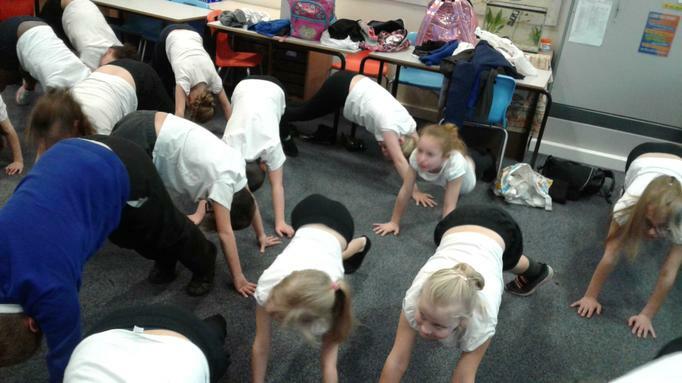 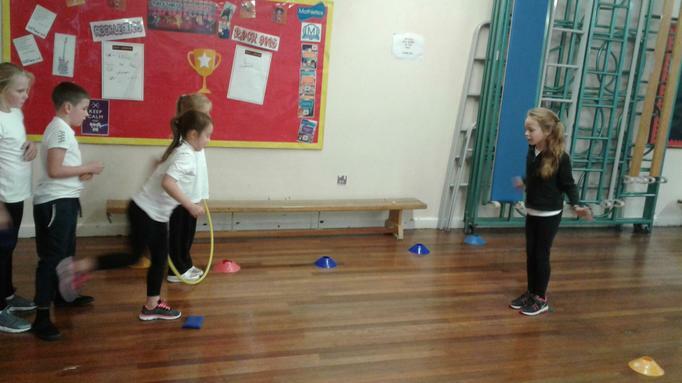 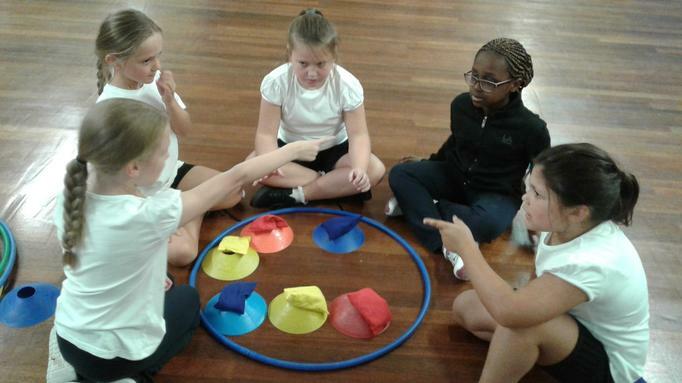 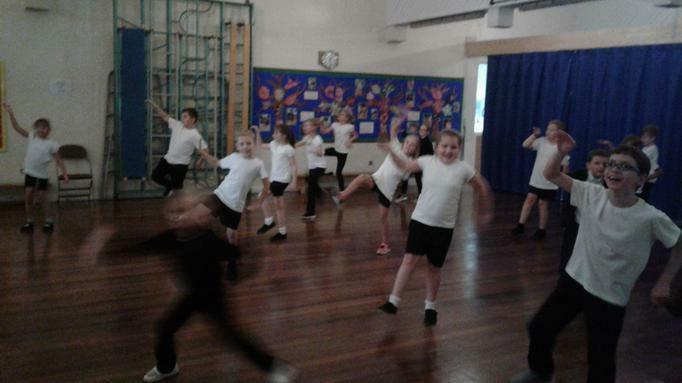 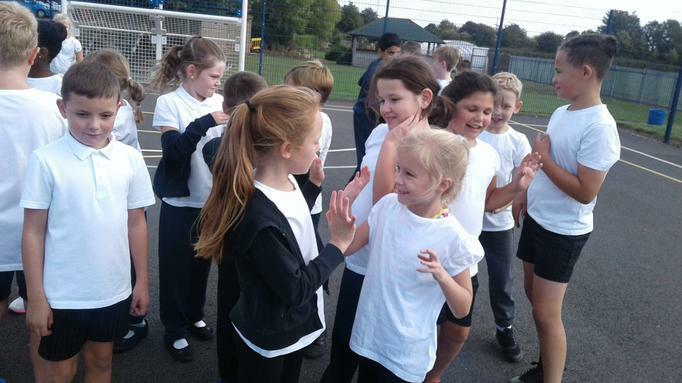 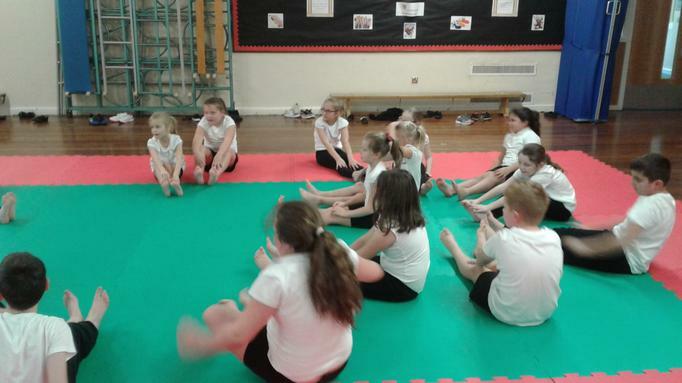 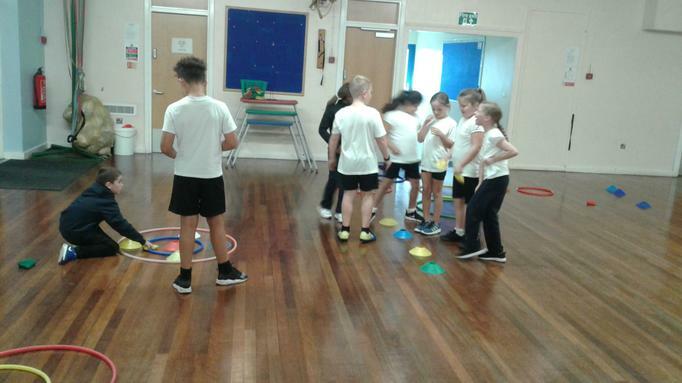 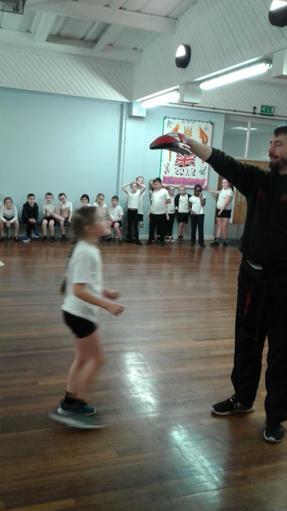 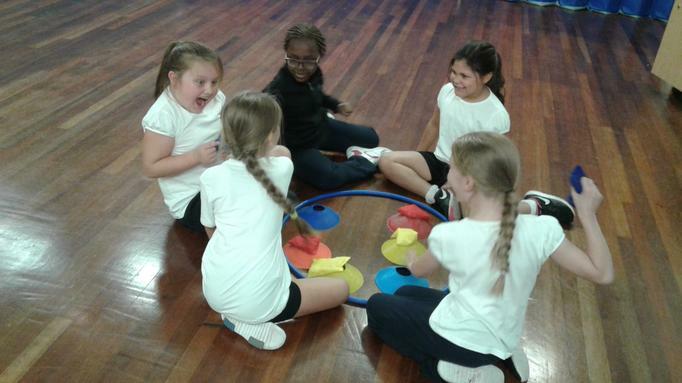 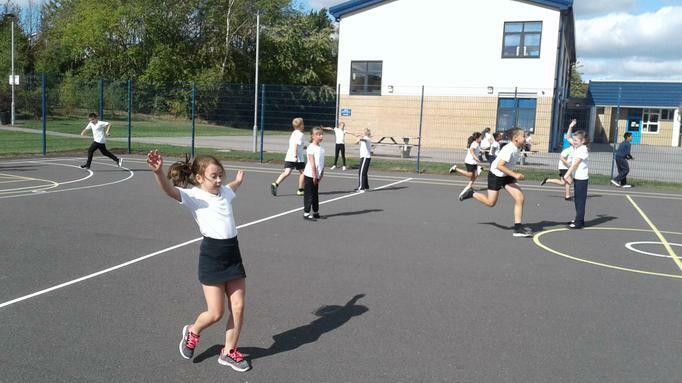 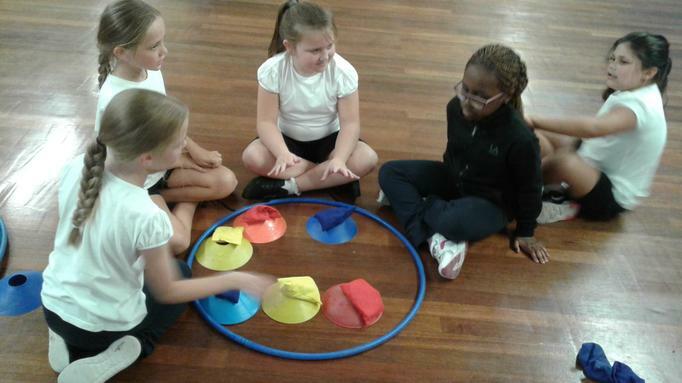 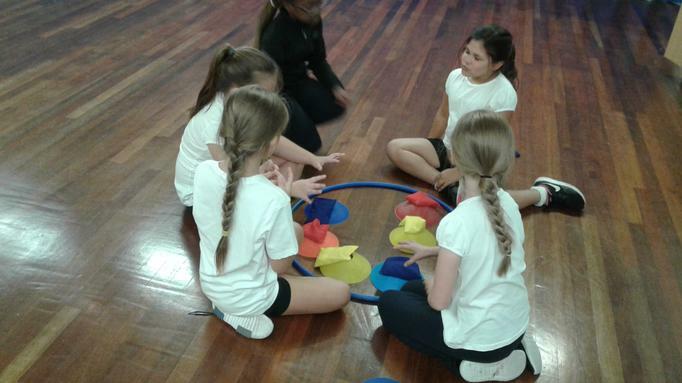 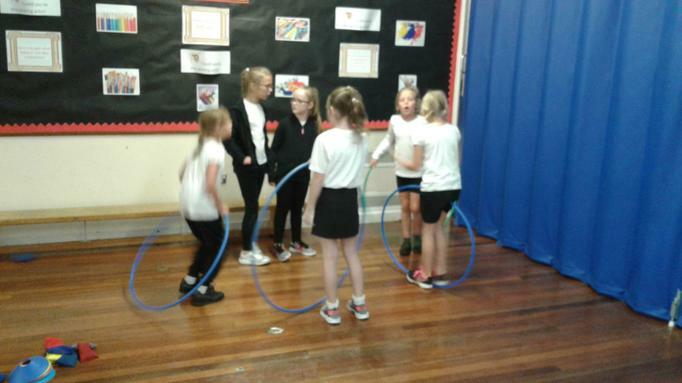 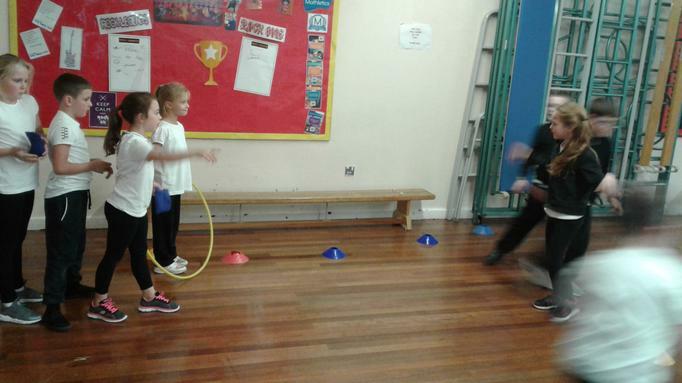 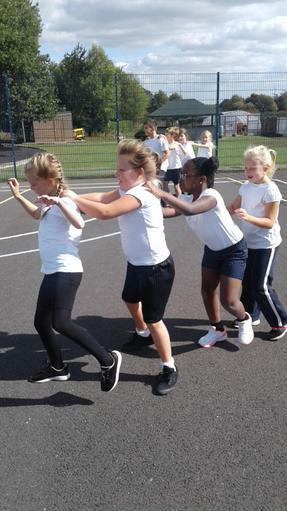 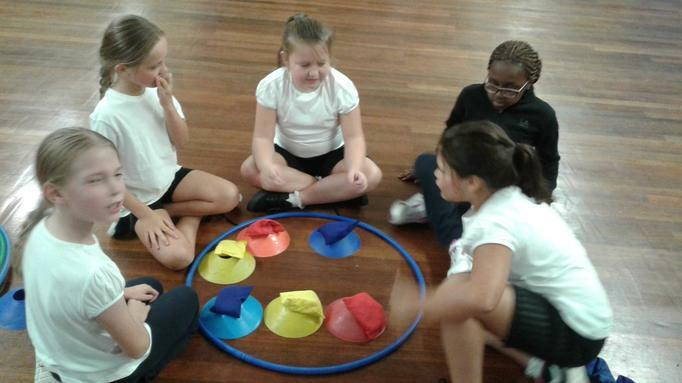 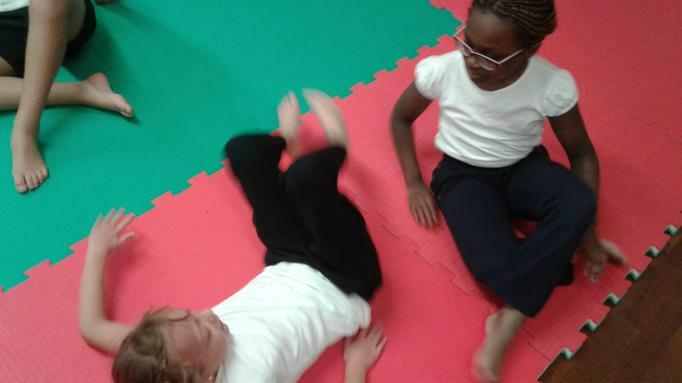 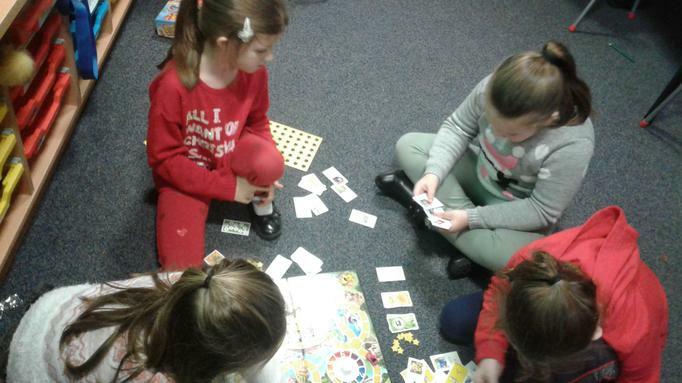 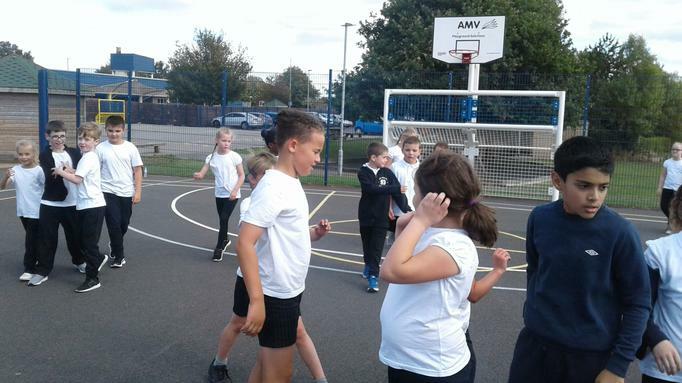 We had great fun learning new games in P.E. 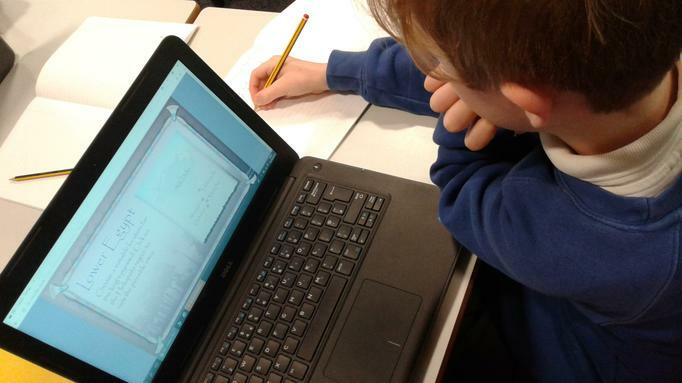 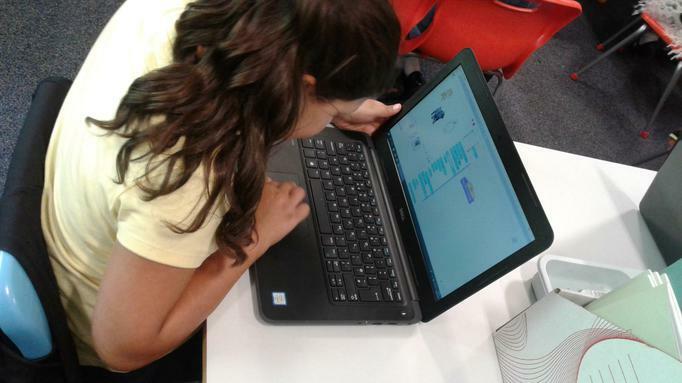 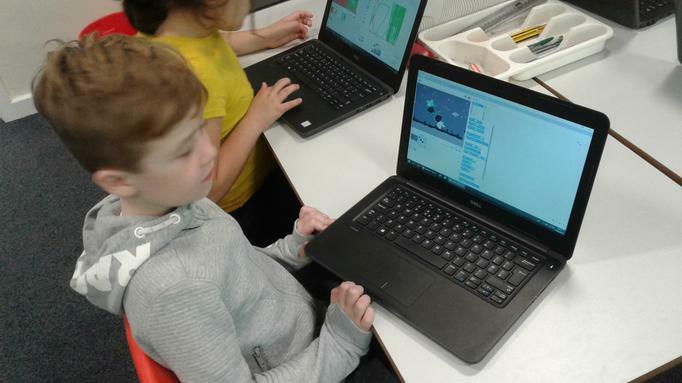 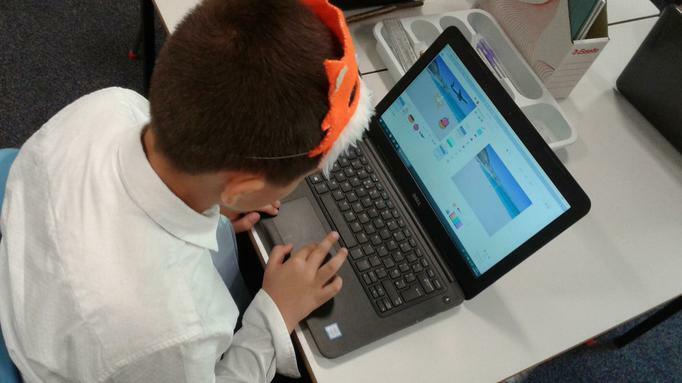 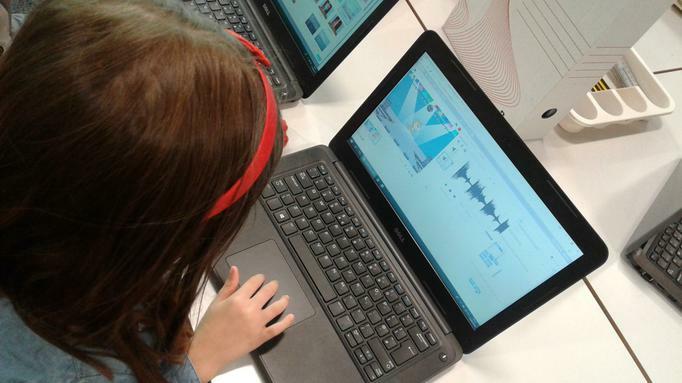 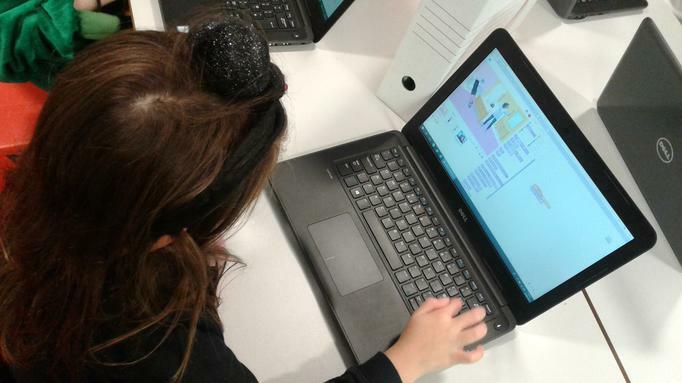 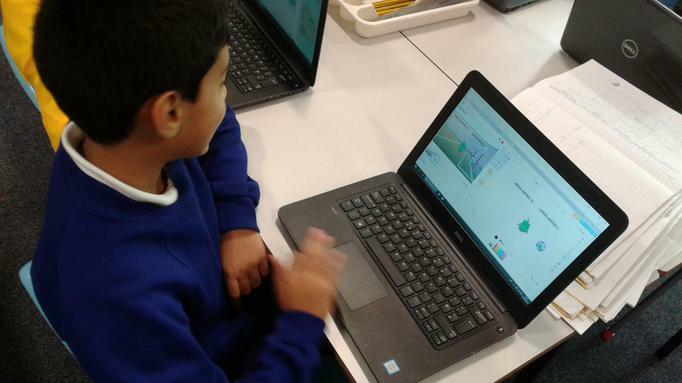 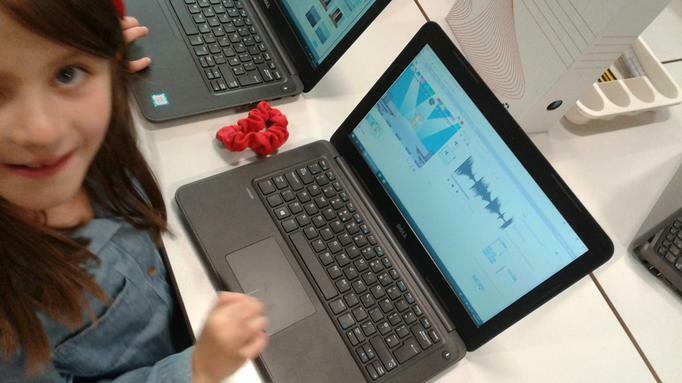 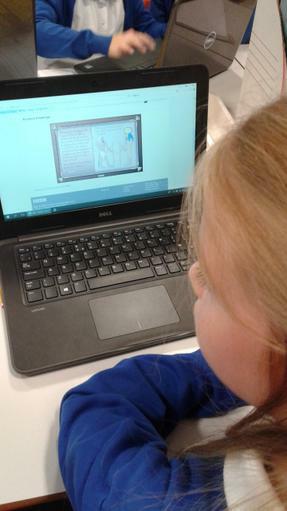 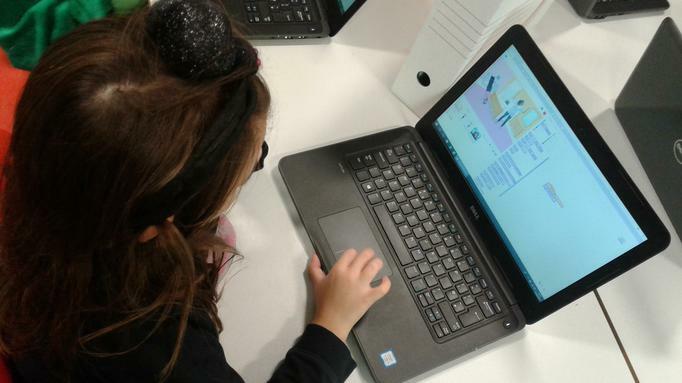 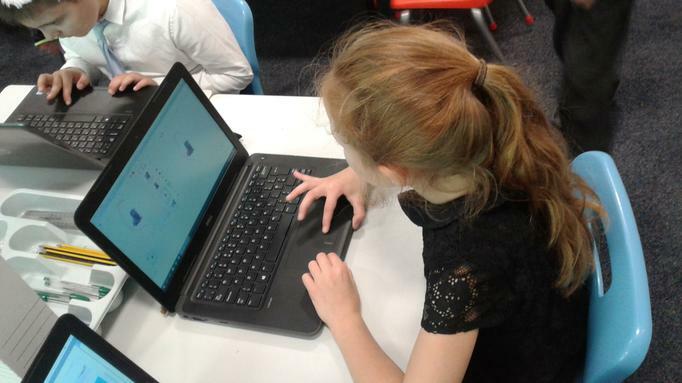 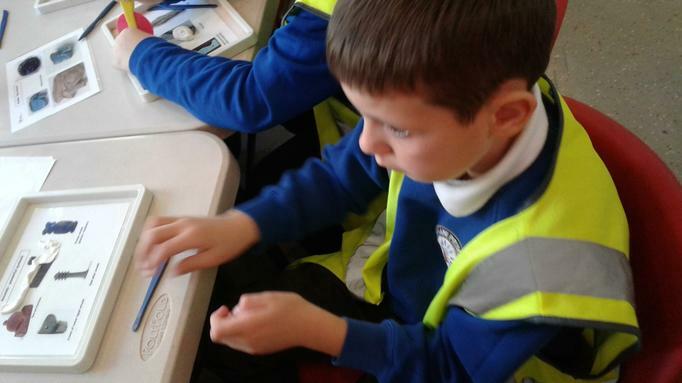 Using Scratch to learn about programming. 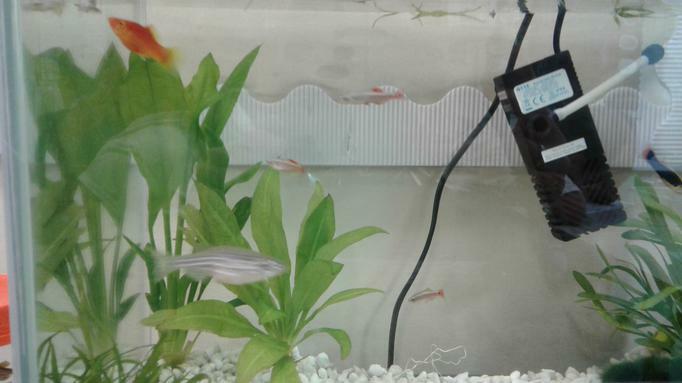 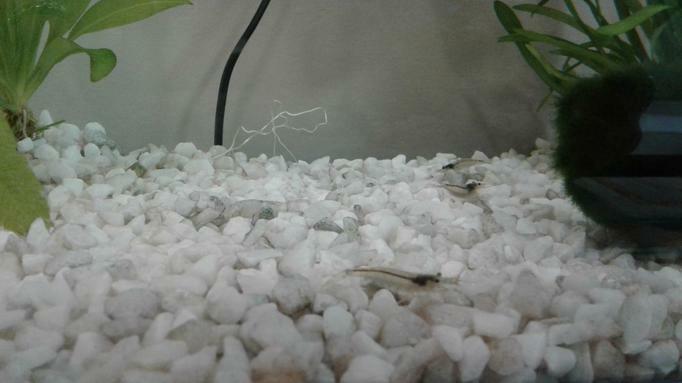 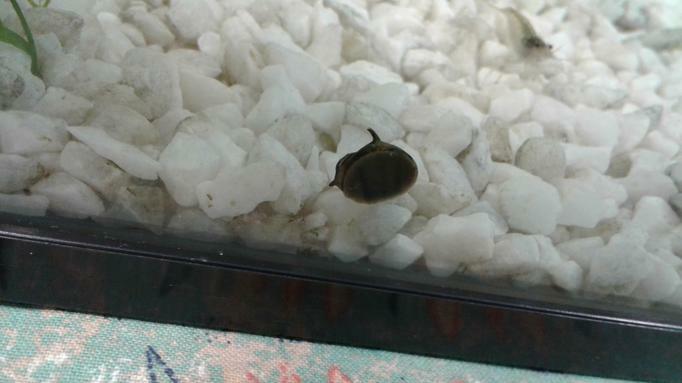 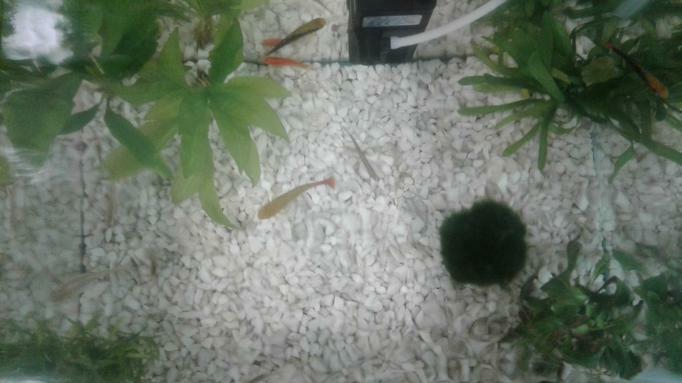 We were really excited to meet our fish, shrimp and snail. 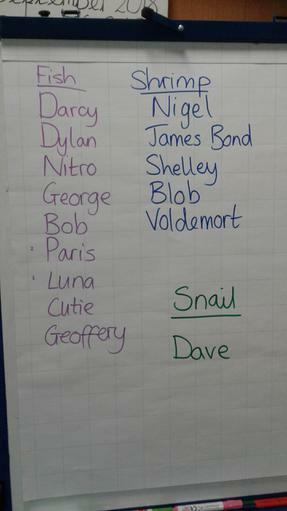 We came up with some great names for them. 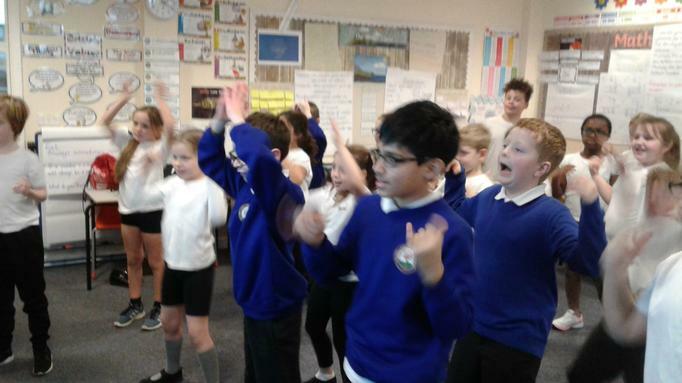 Doing some Gonoodle in class to keep us active. 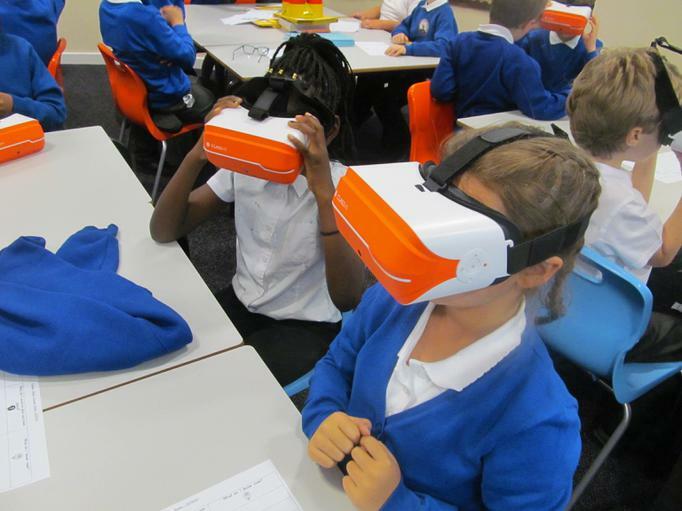 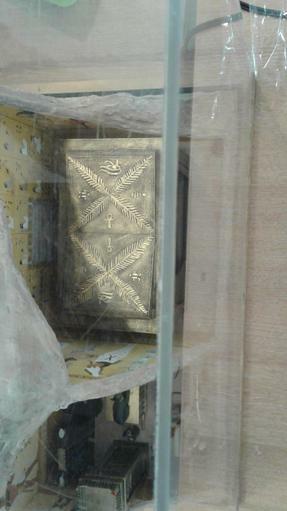 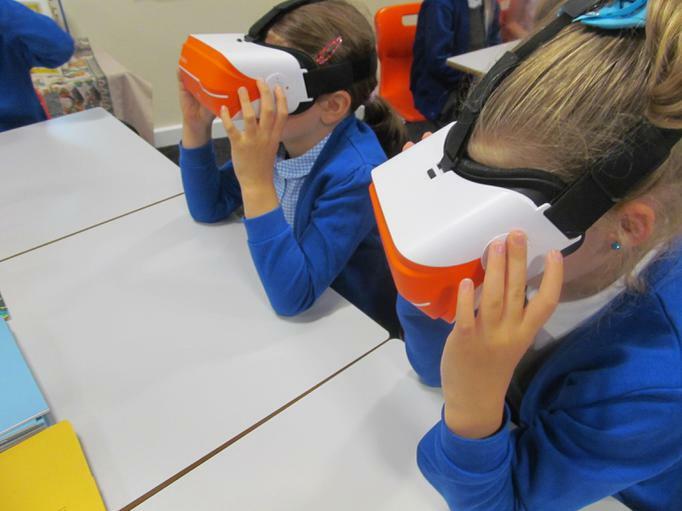 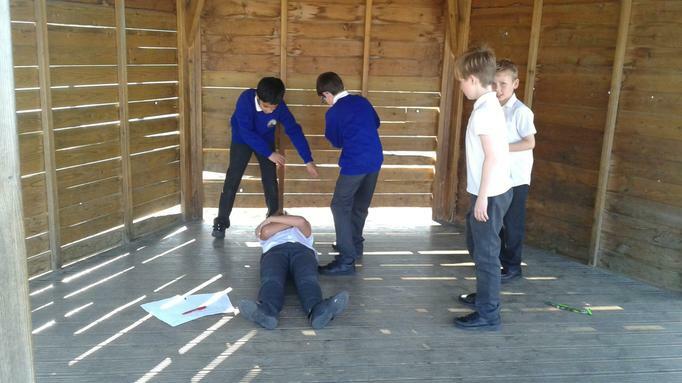 Egyptian Drama and Virtual Reality Headsets.